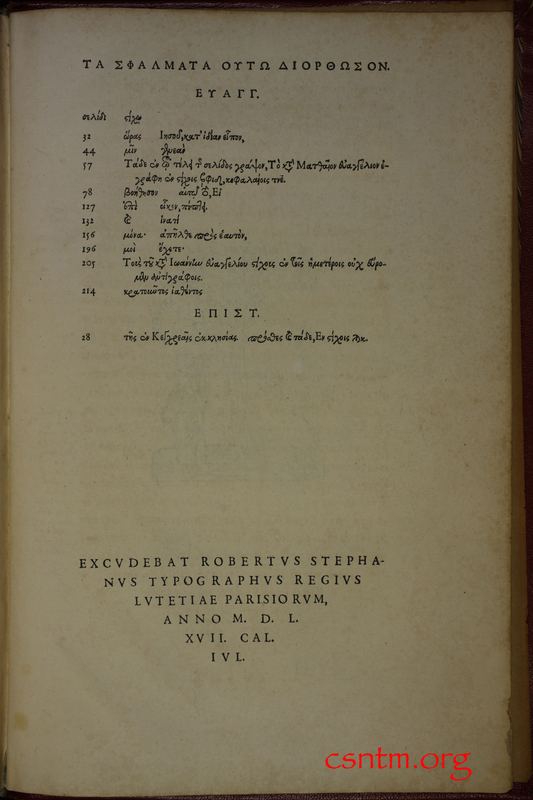 Robert Estienne (a.k.a. 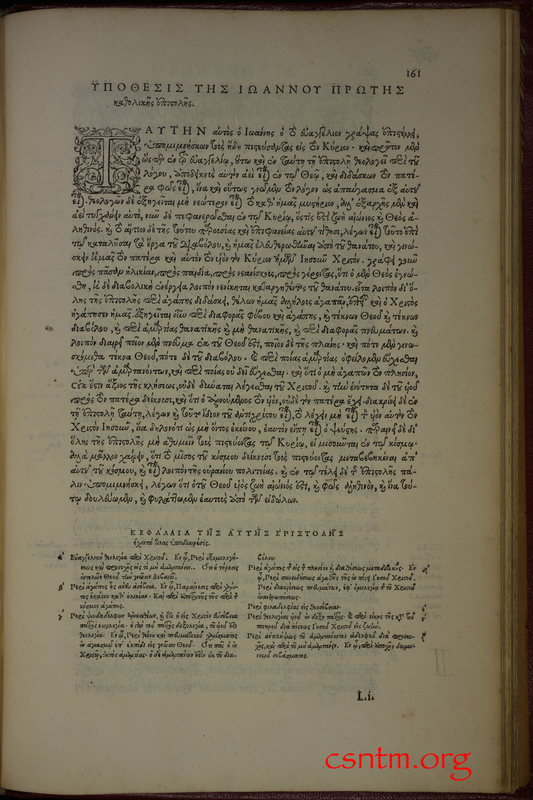 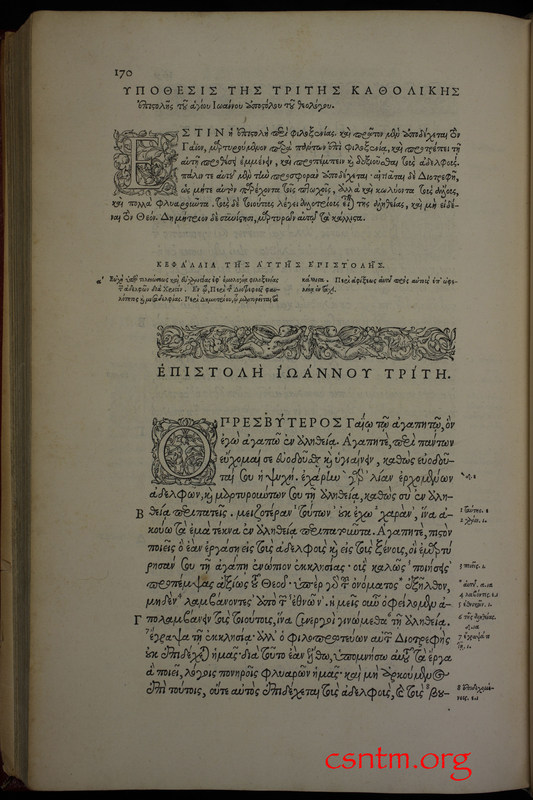 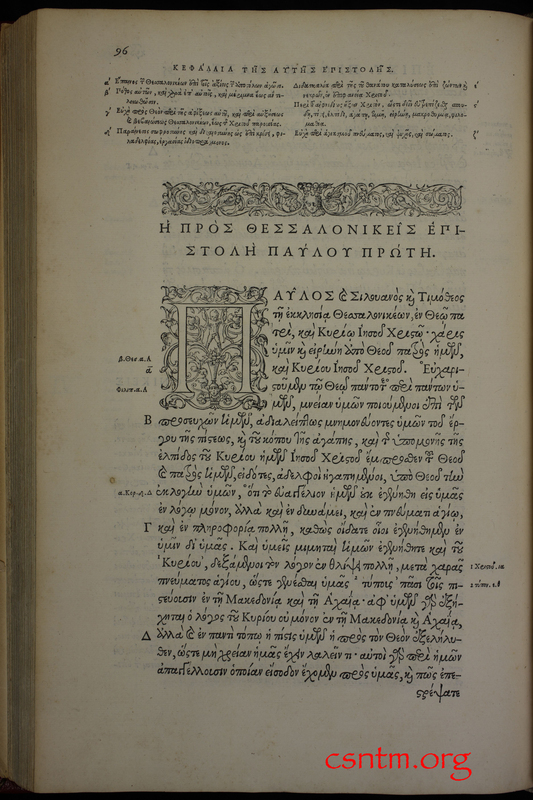 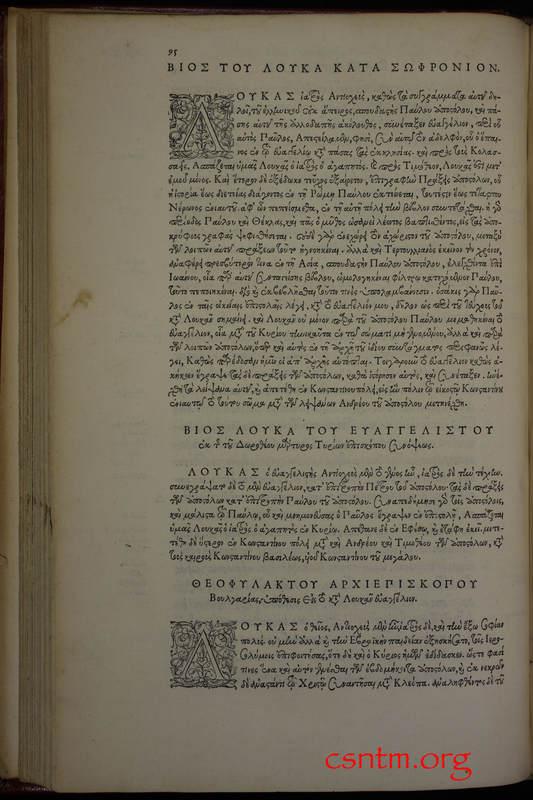 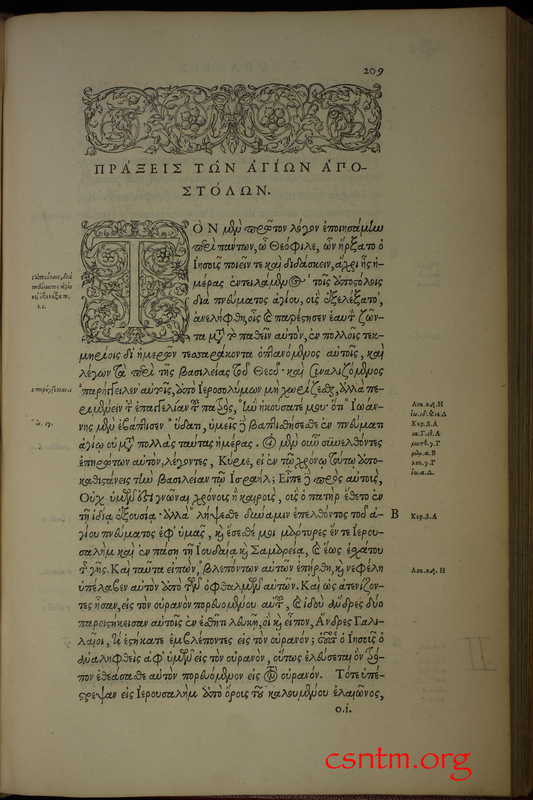 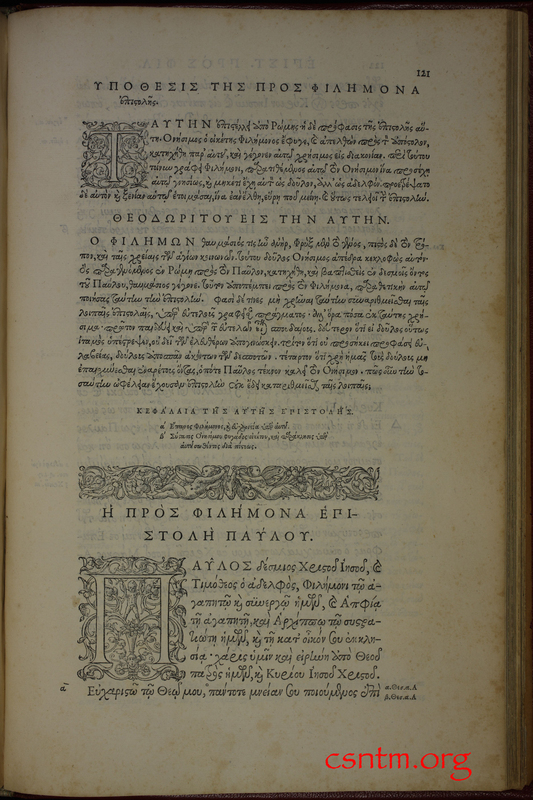 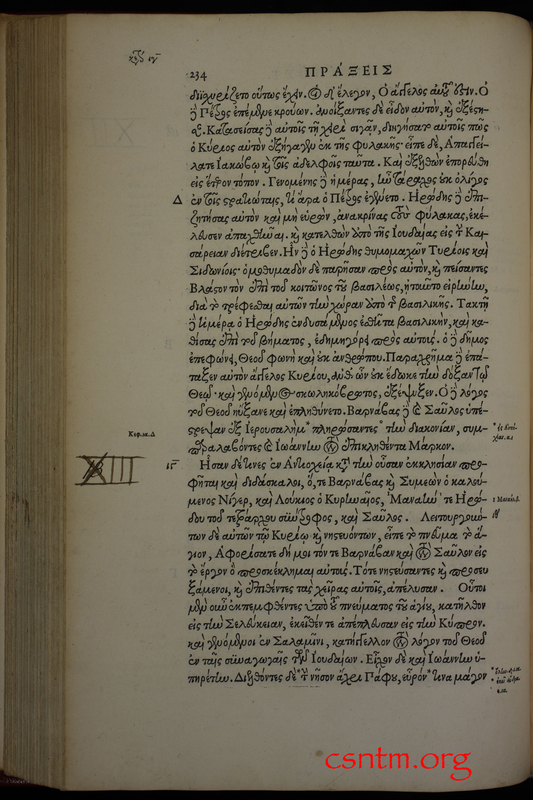 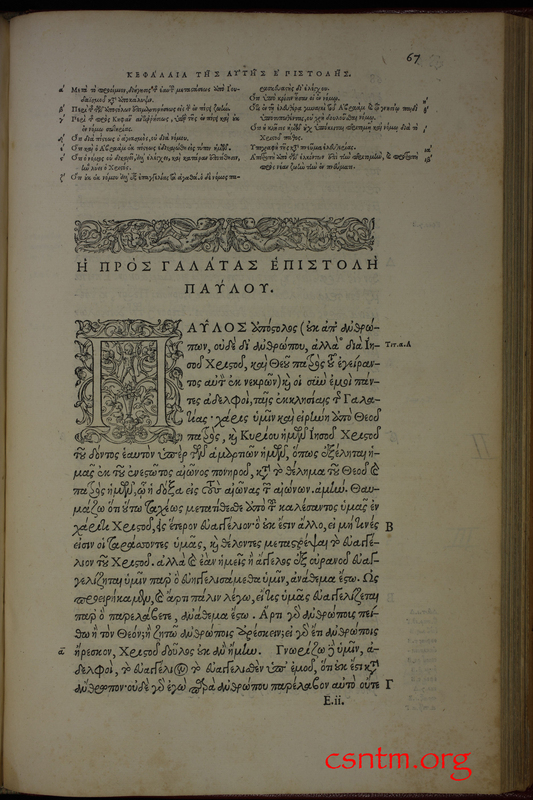 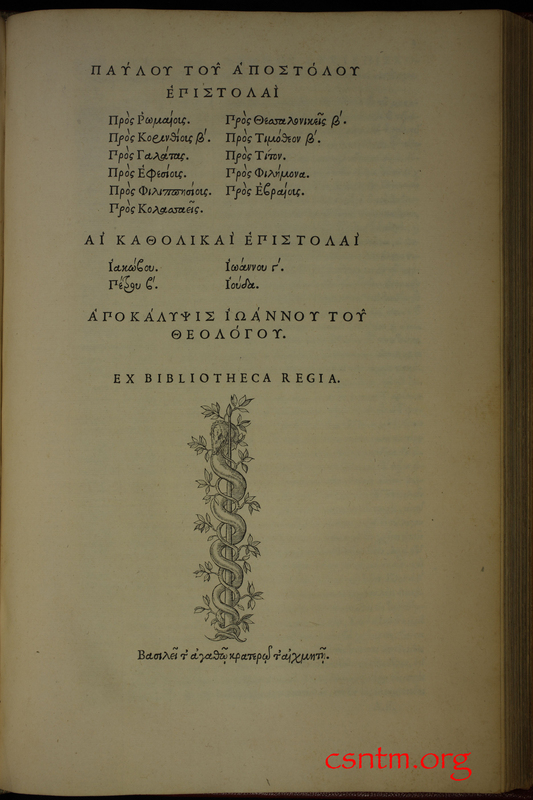 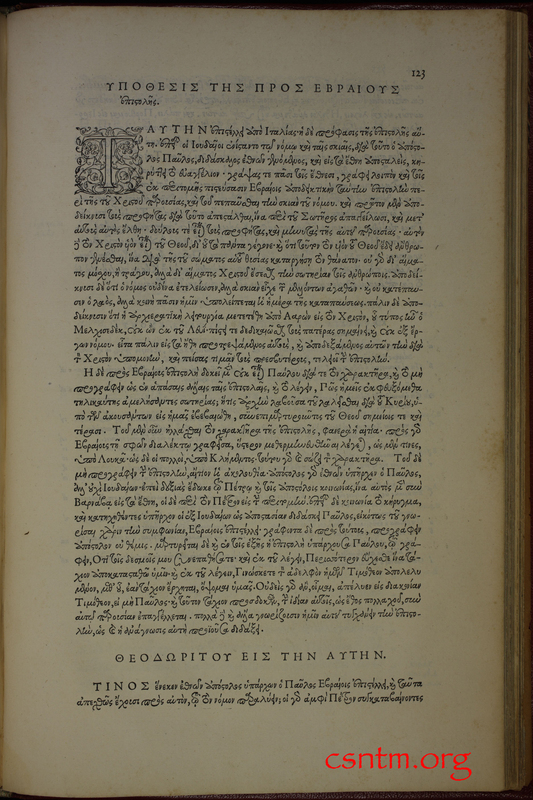 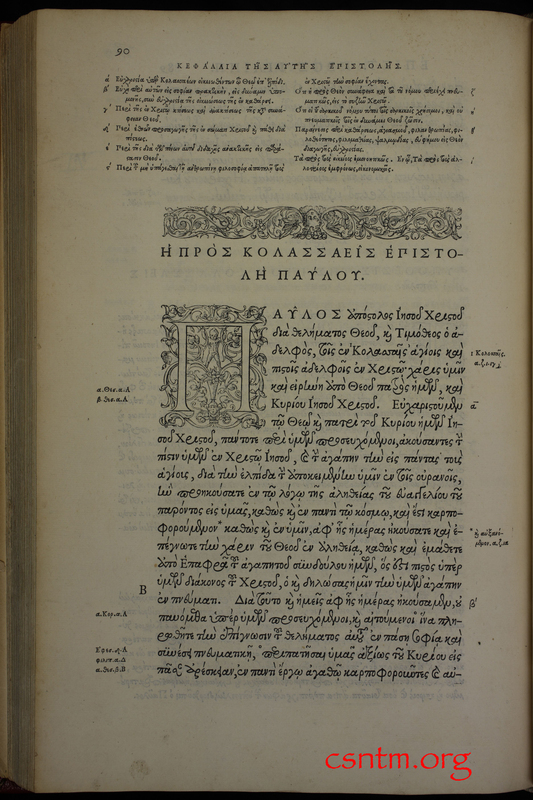 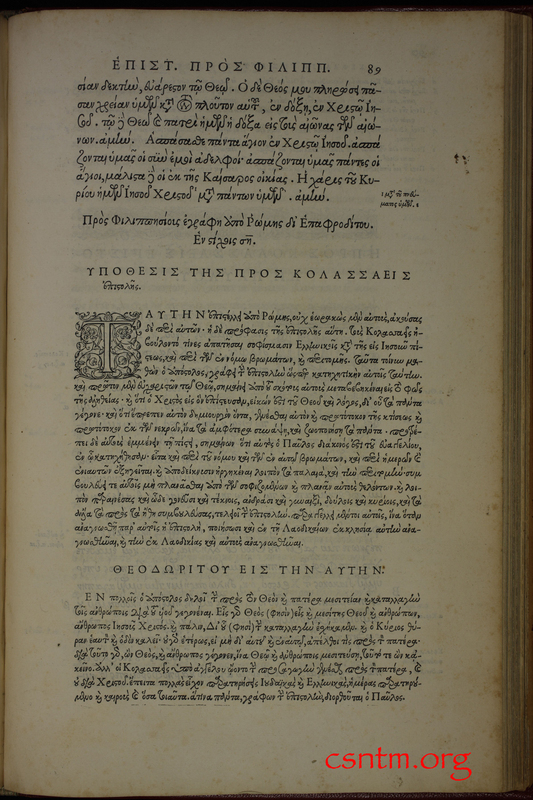 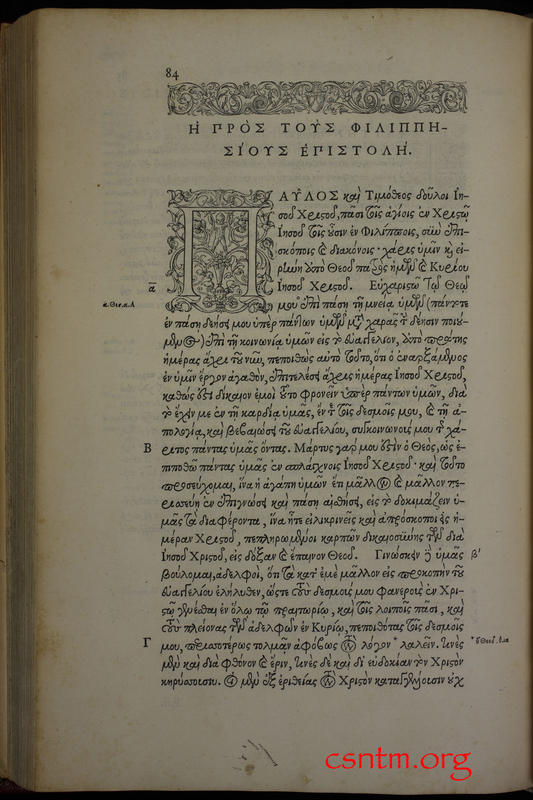 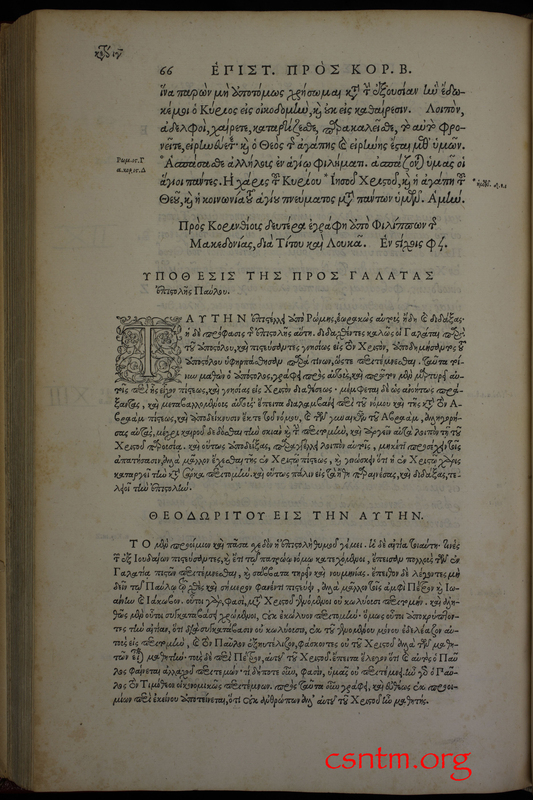 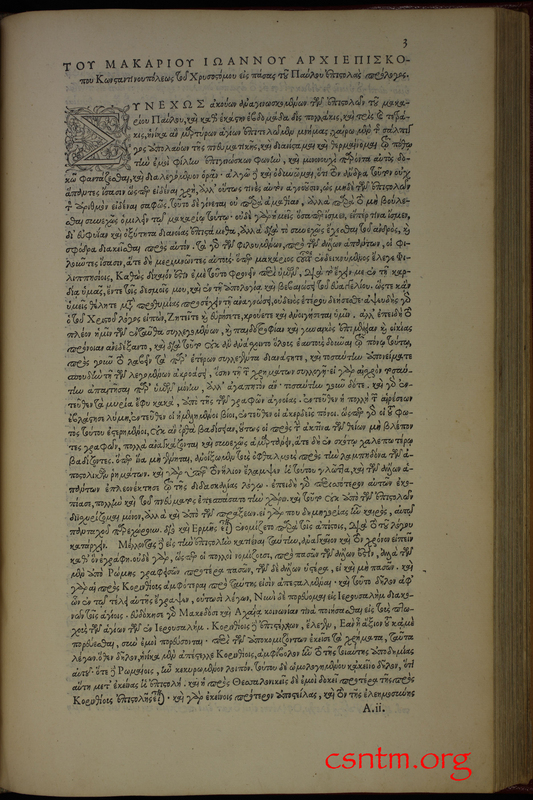 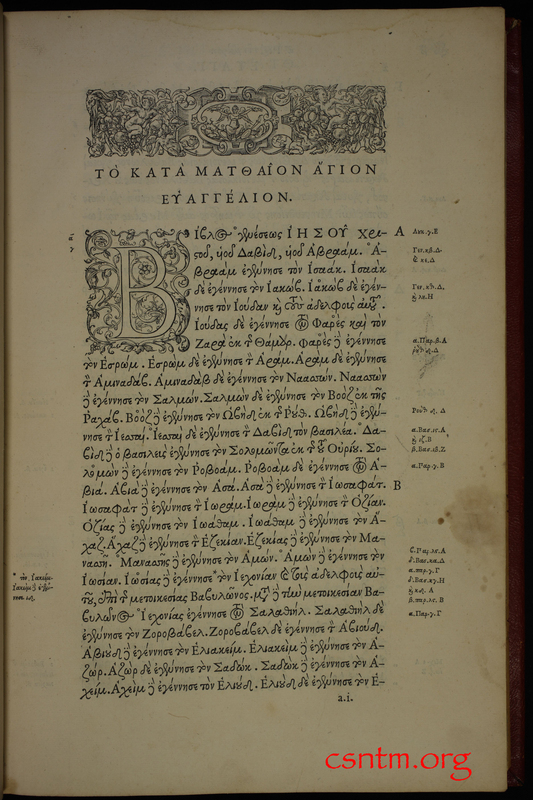 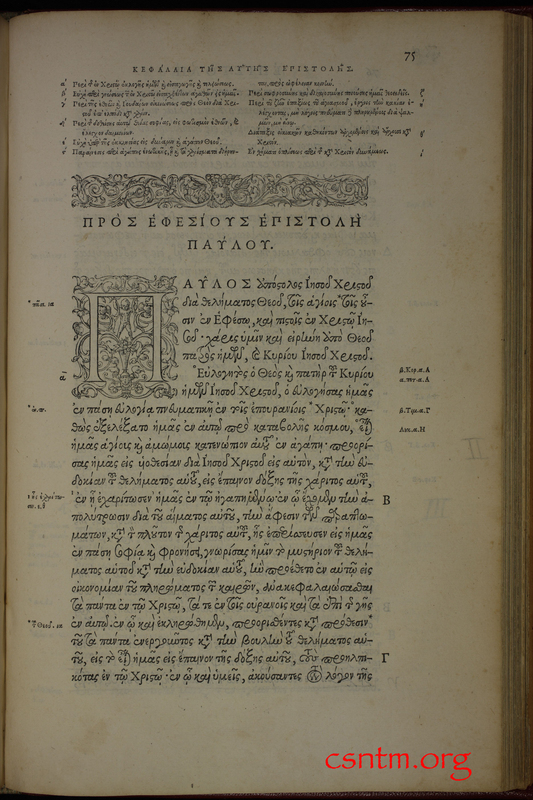 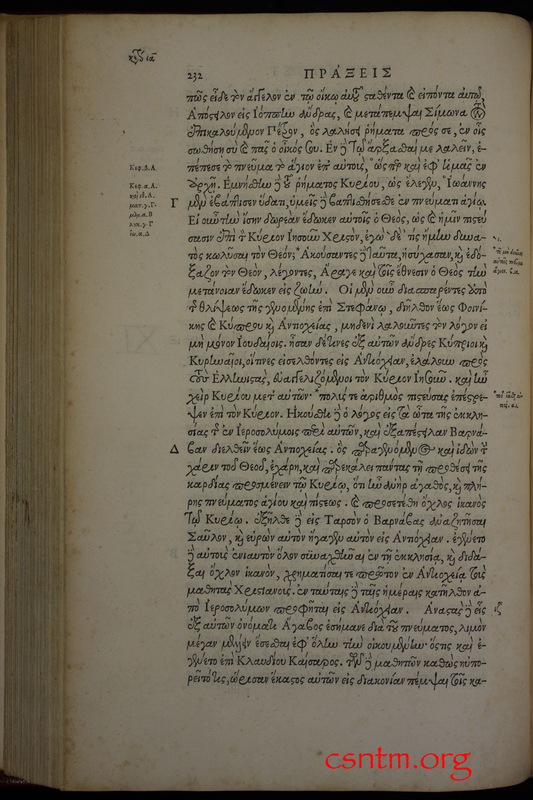 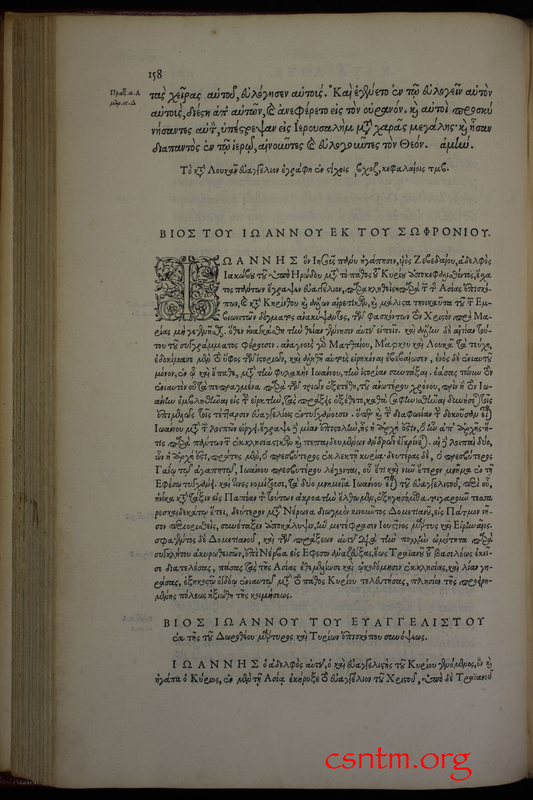 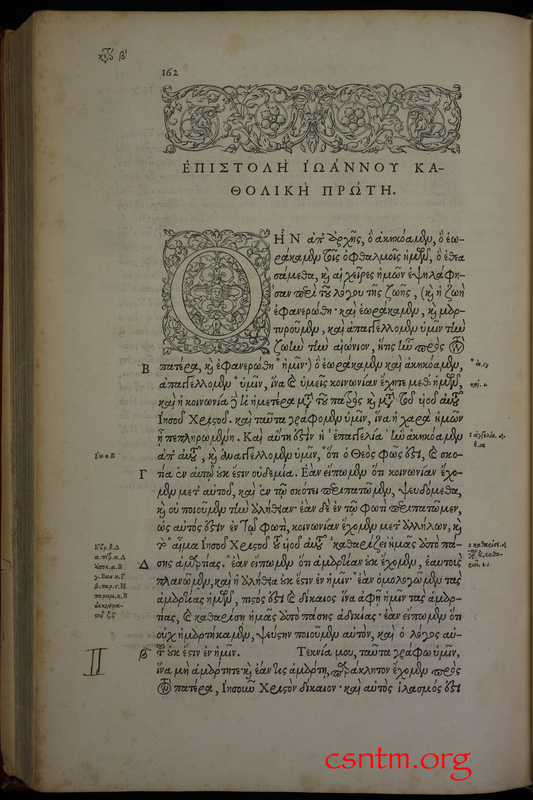 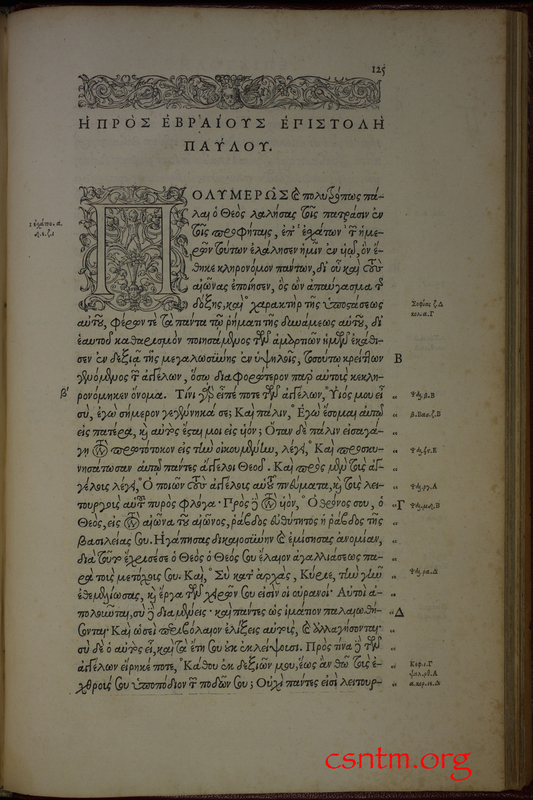 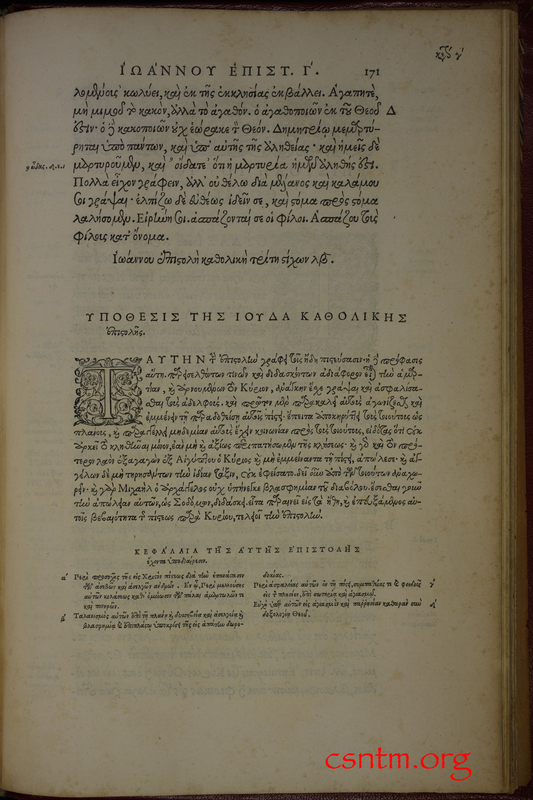 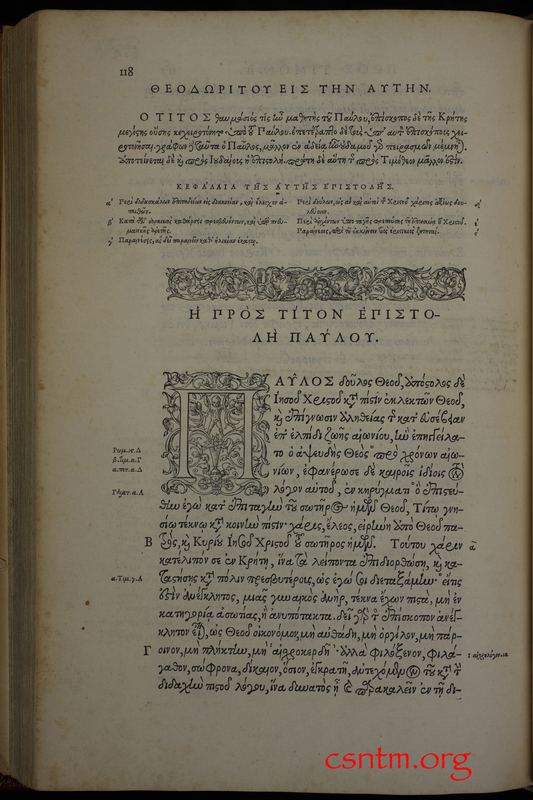 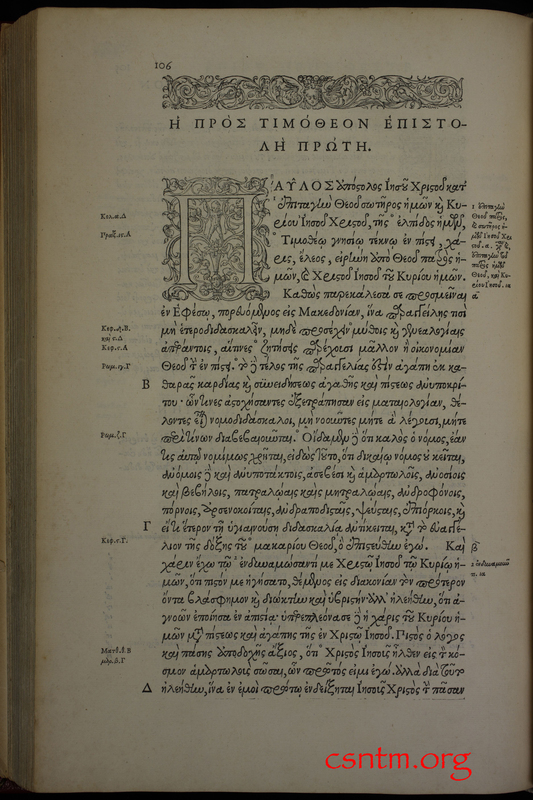 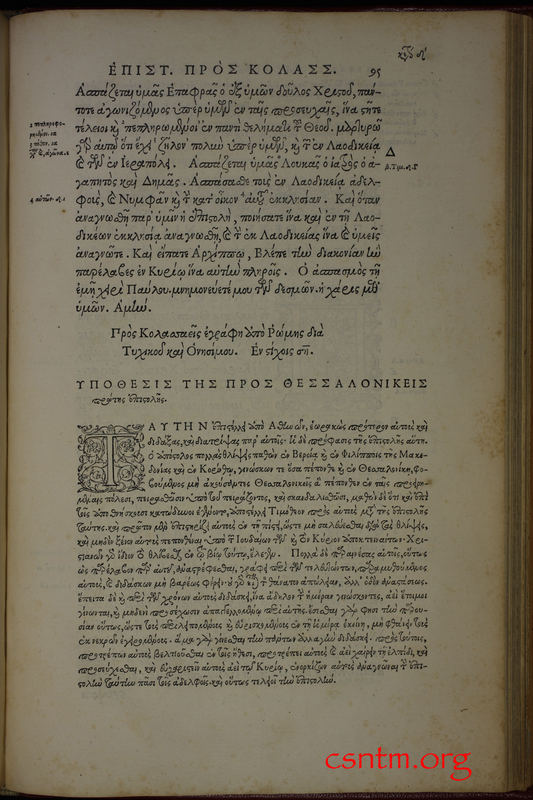 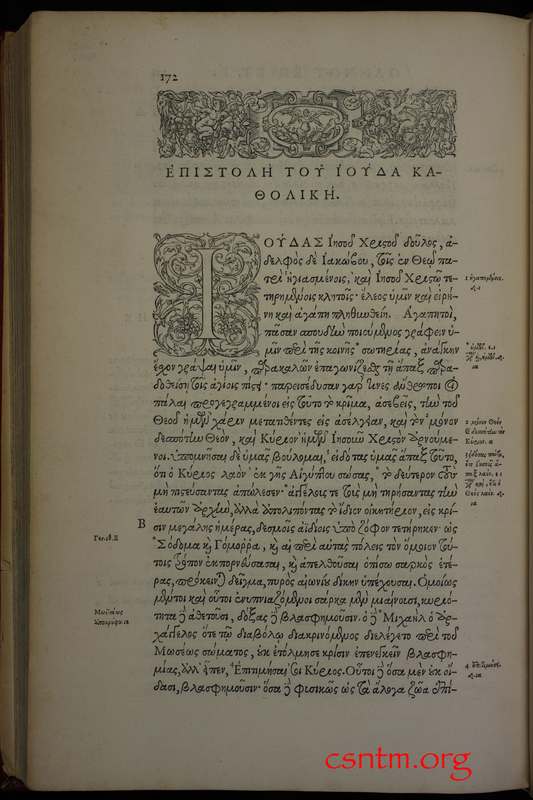 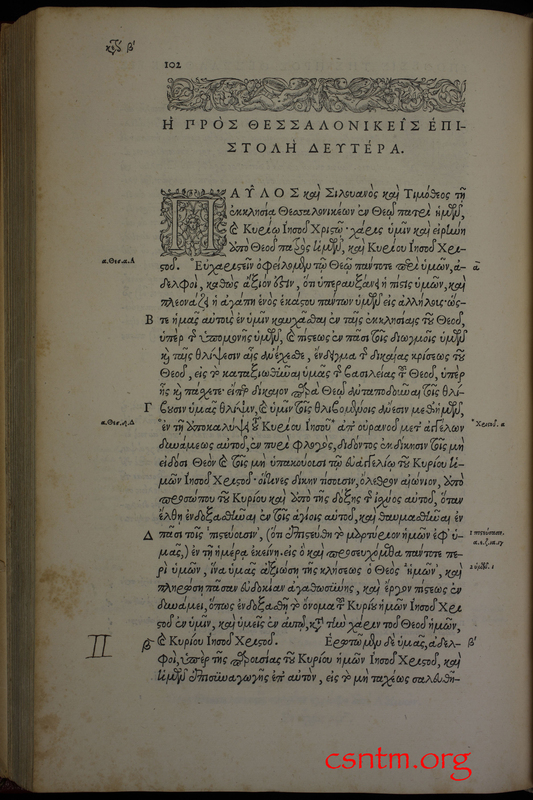 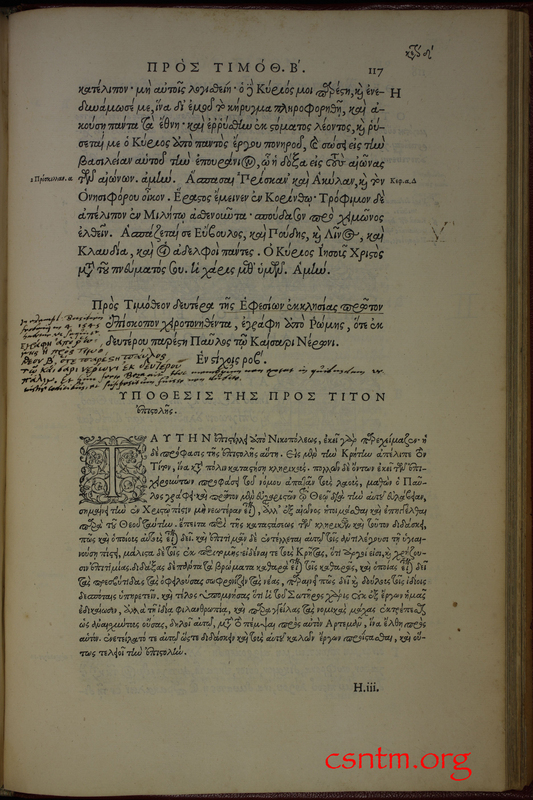 Stephanus) published four Greek New Testaments in the sixteenth century (1546, 1549, 1550, and 1551). 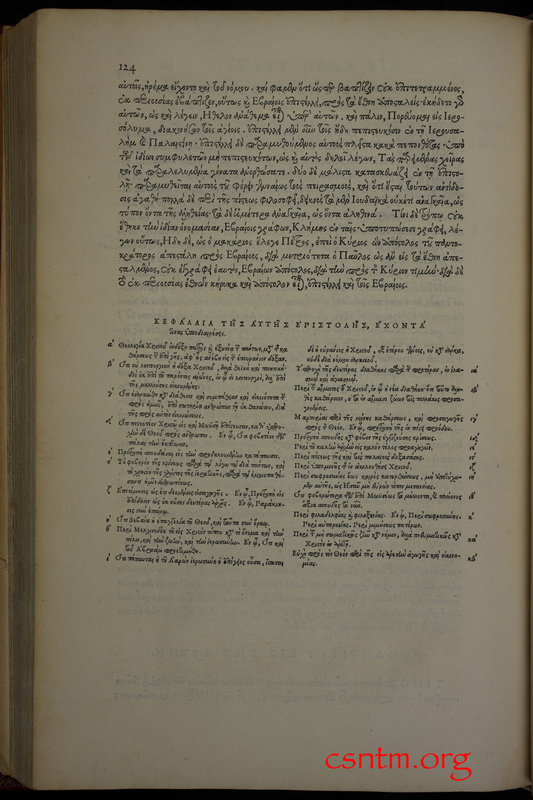 The first three editions of his Novum Testamentum were published in Paris, the fourth in Geneva. 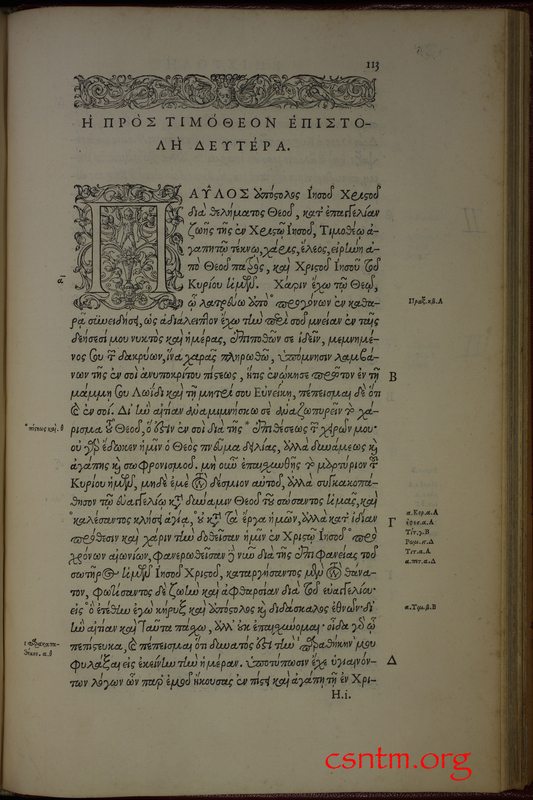 His third edition of 1550 was affectionately known as Editio Regia, because of the magnificent Greek font and large folio size of the codex. 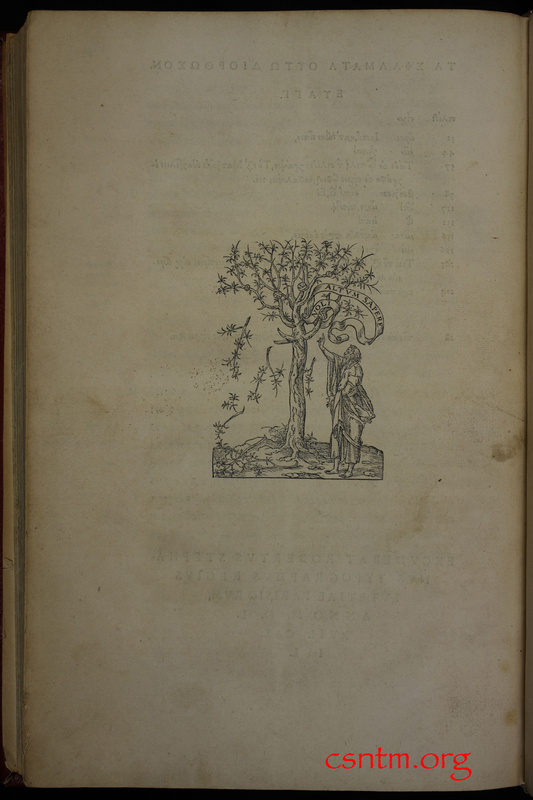 Not only the most handsome, the 1550 Stephanus is also the most important of his texts. 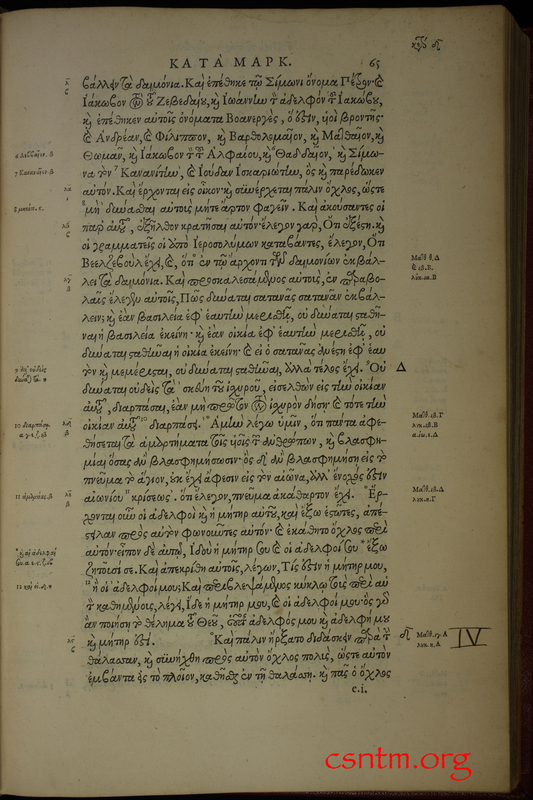 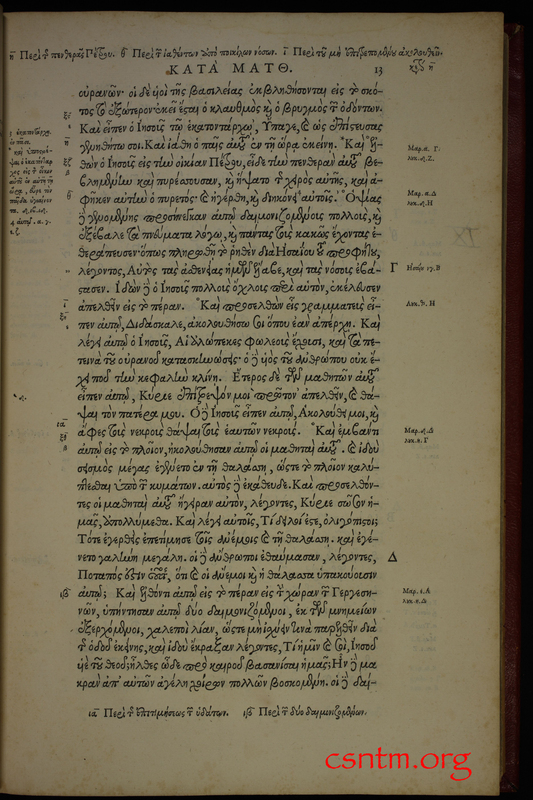 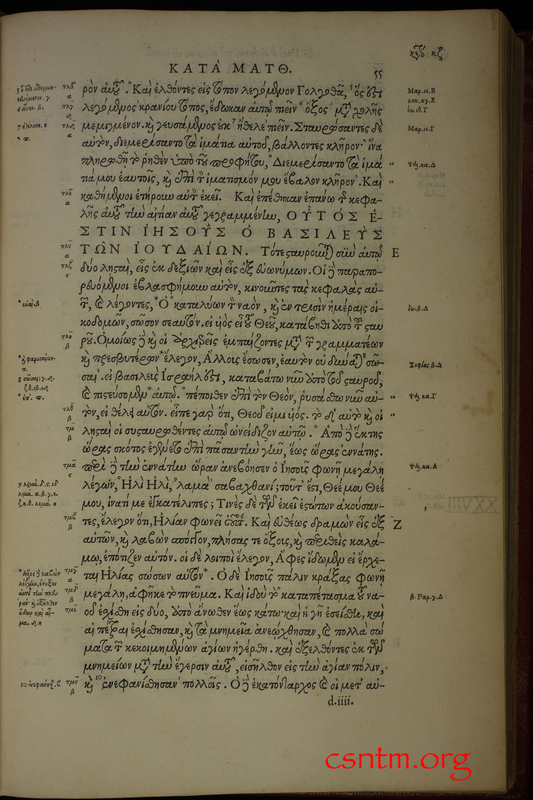 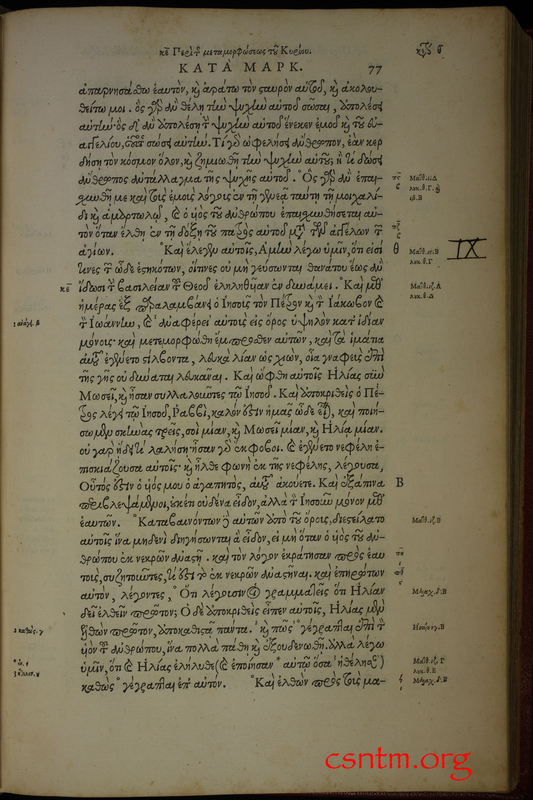 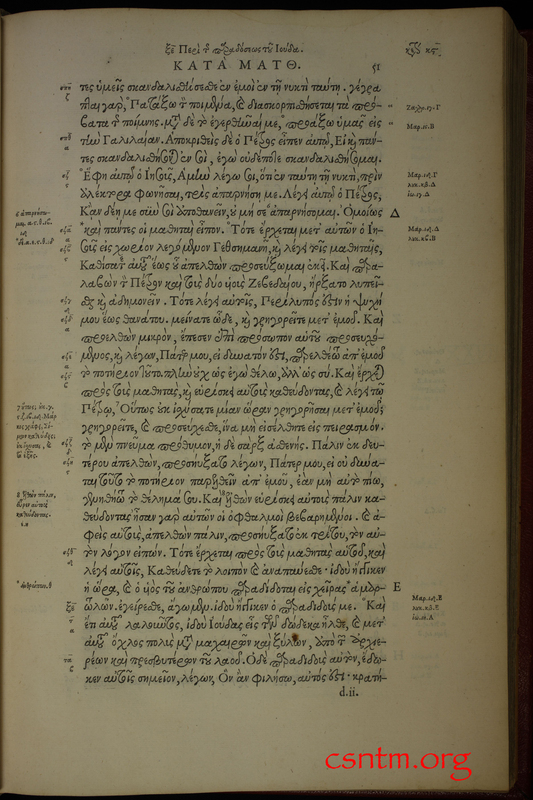 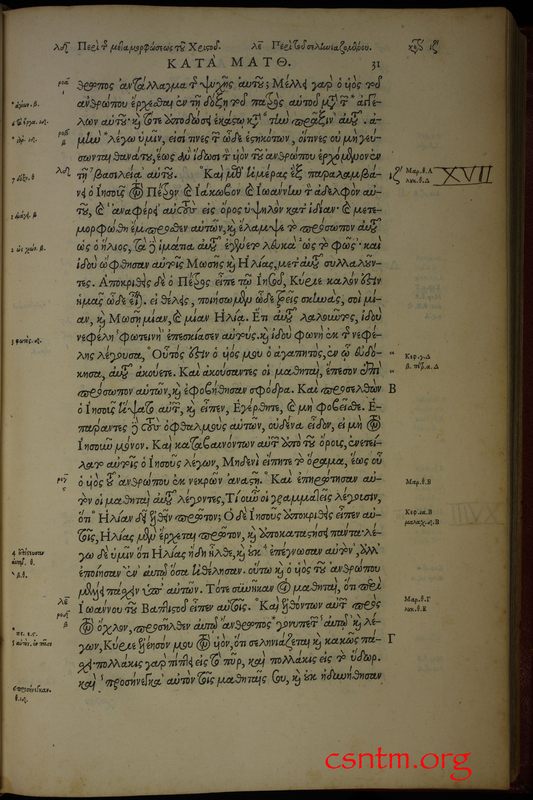 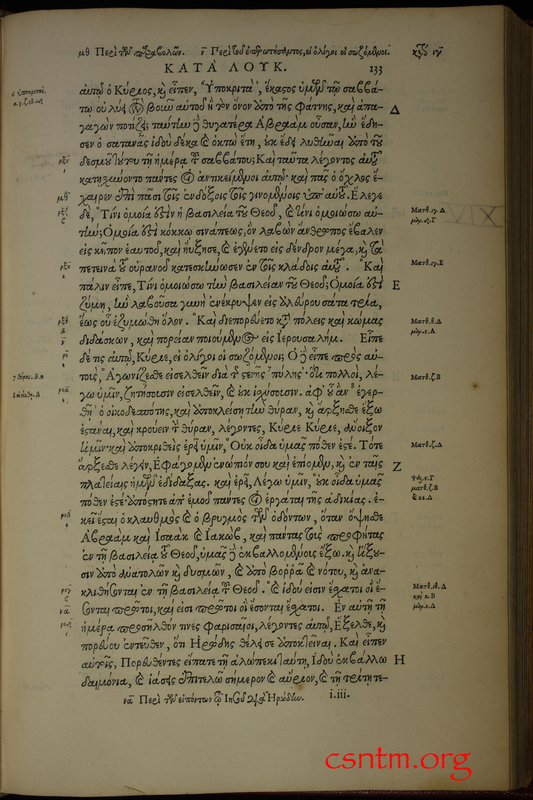 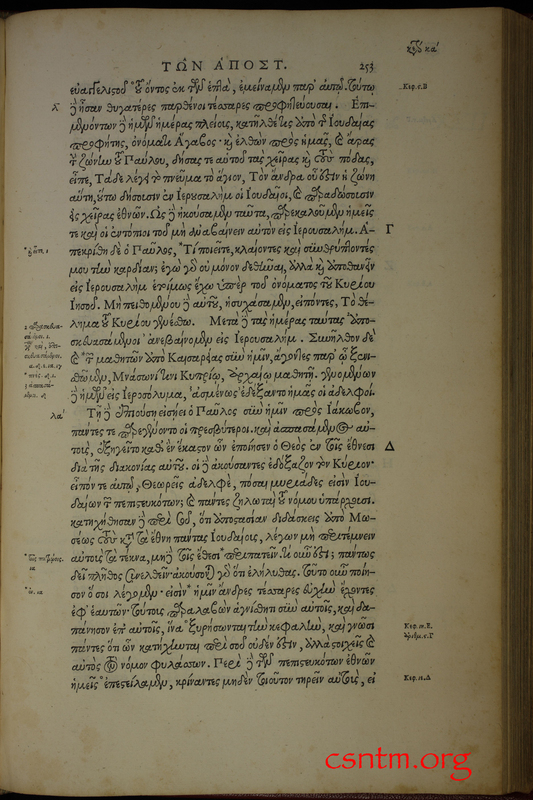 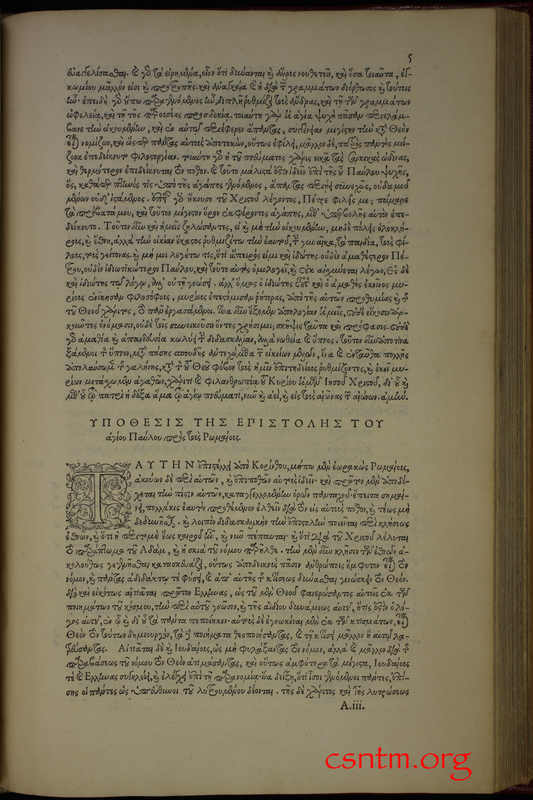 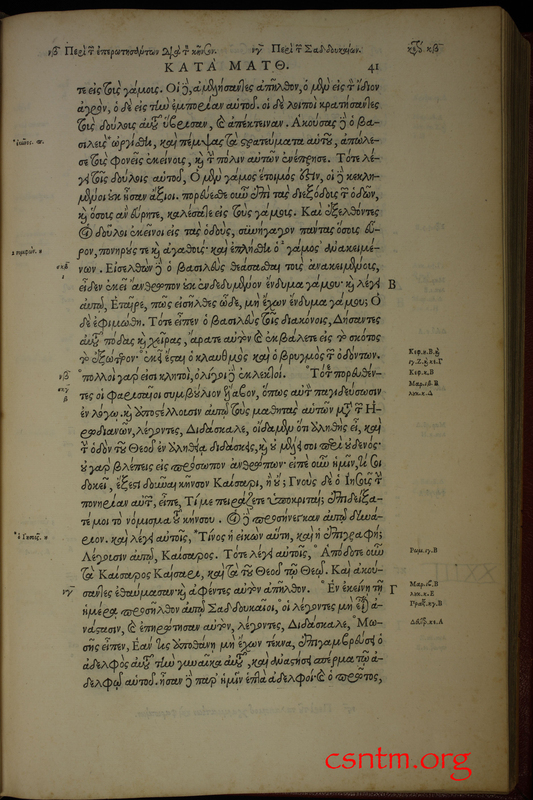 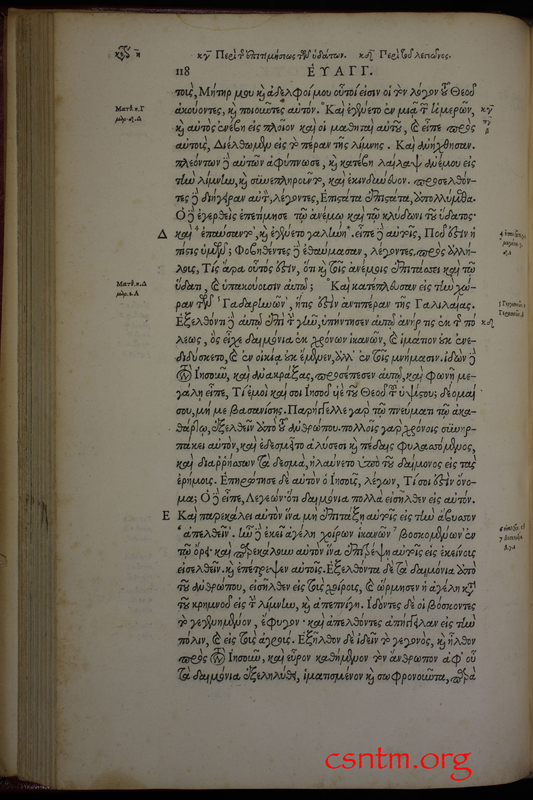 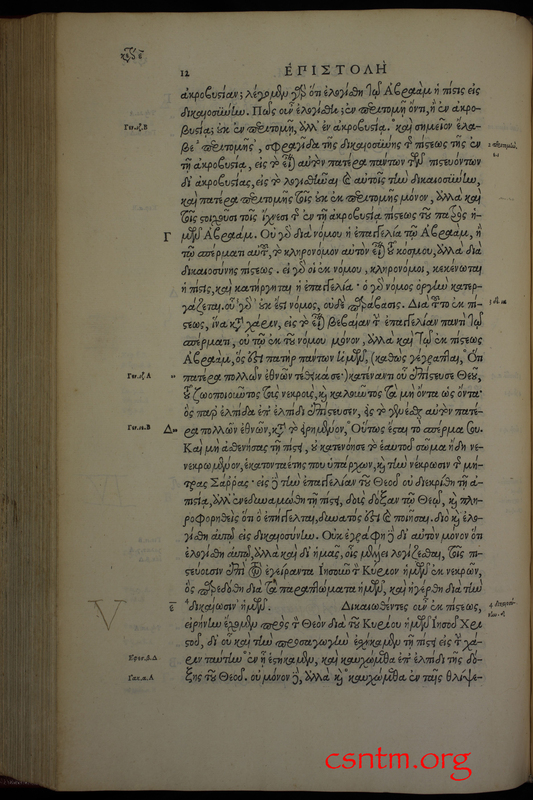 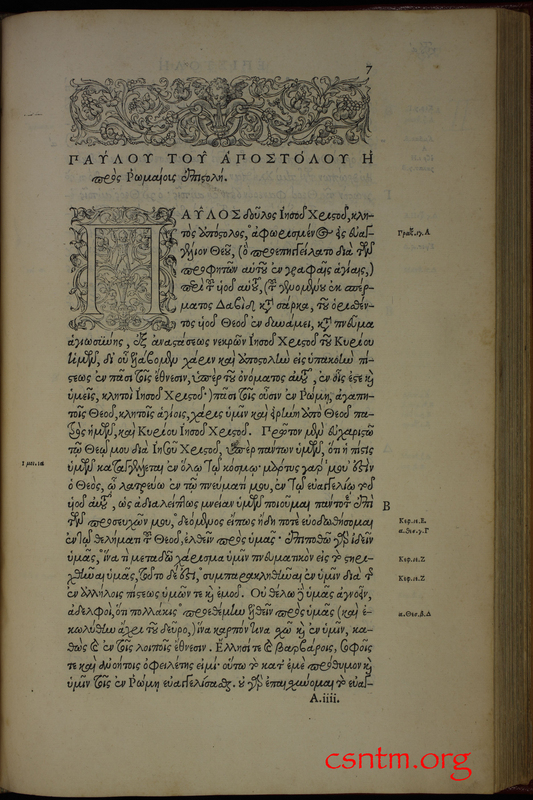 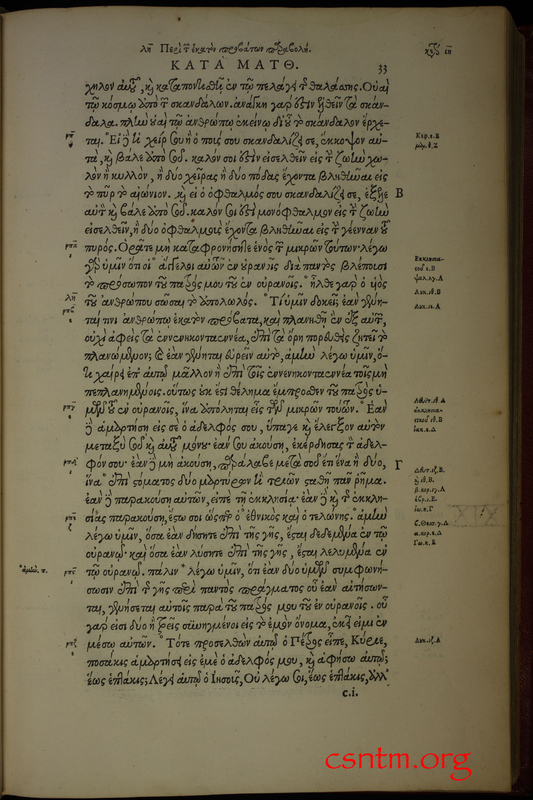 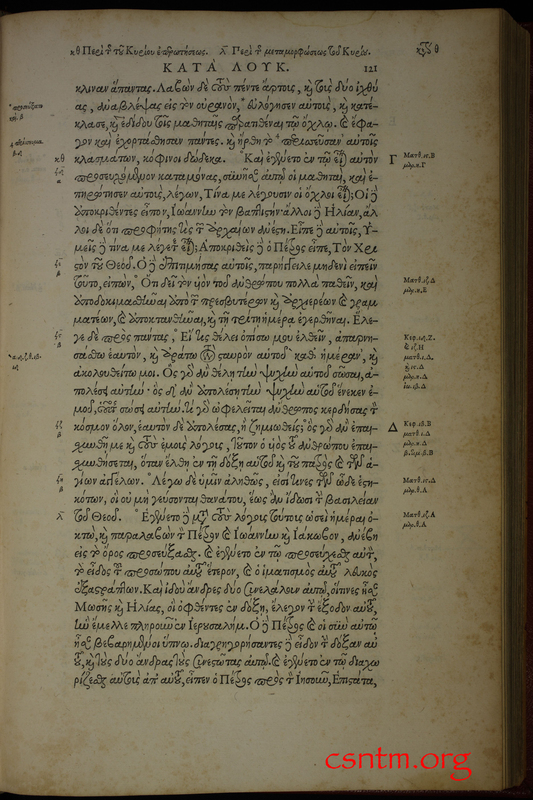 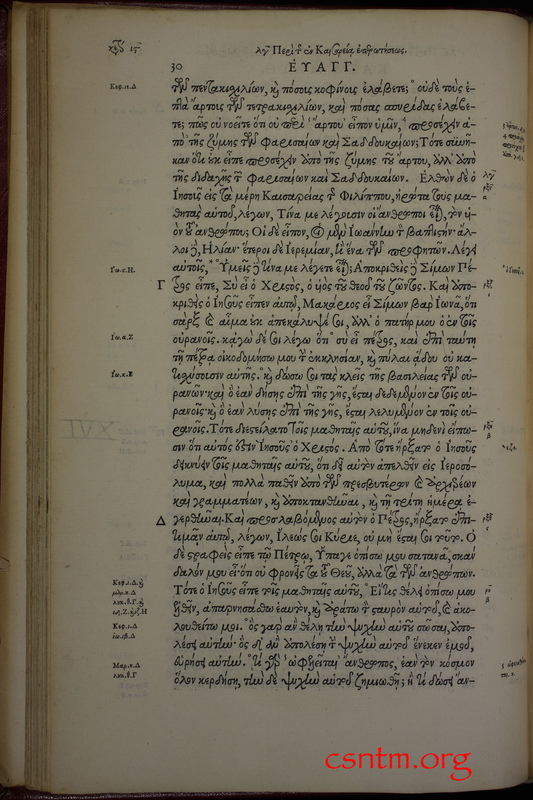 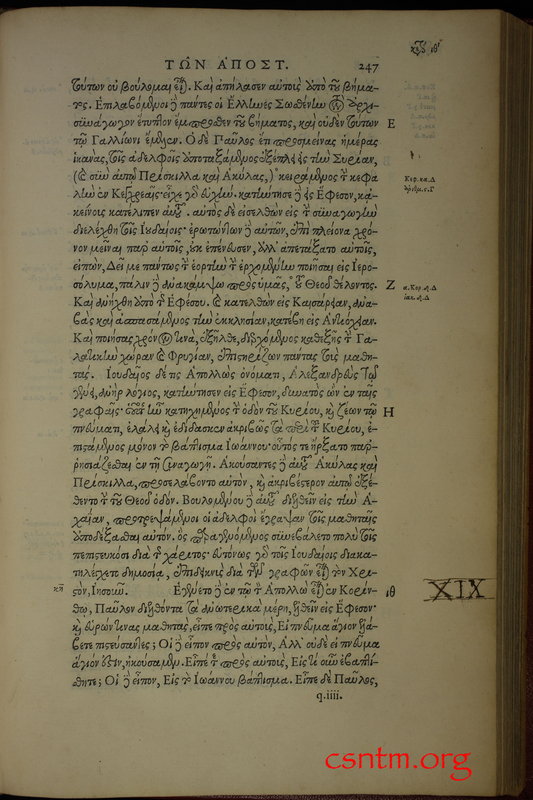 This was the first published Greek New Testament to have a textual apparatus. 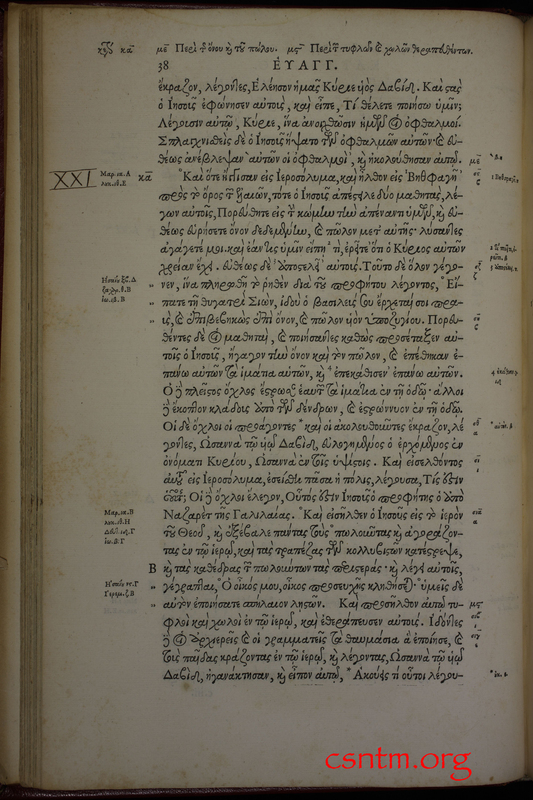 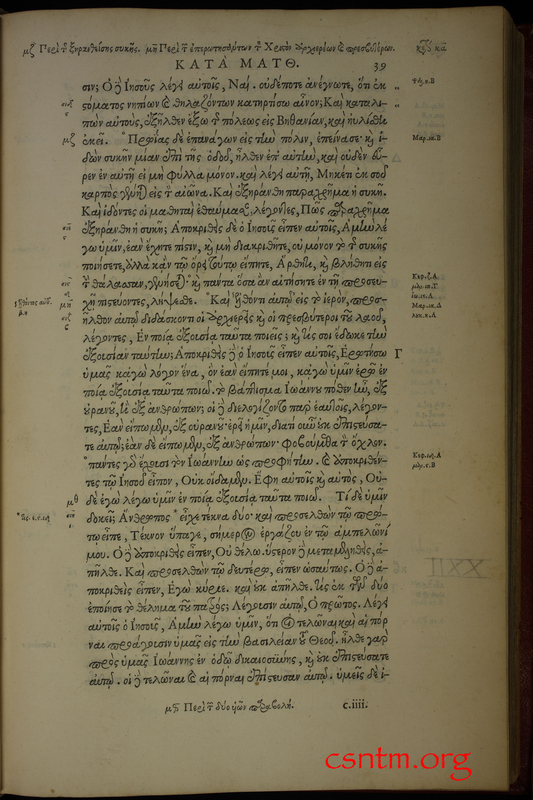 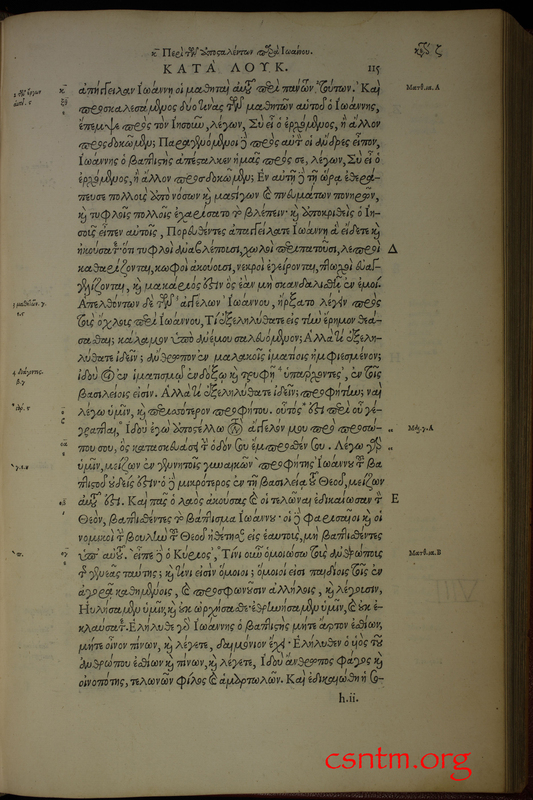 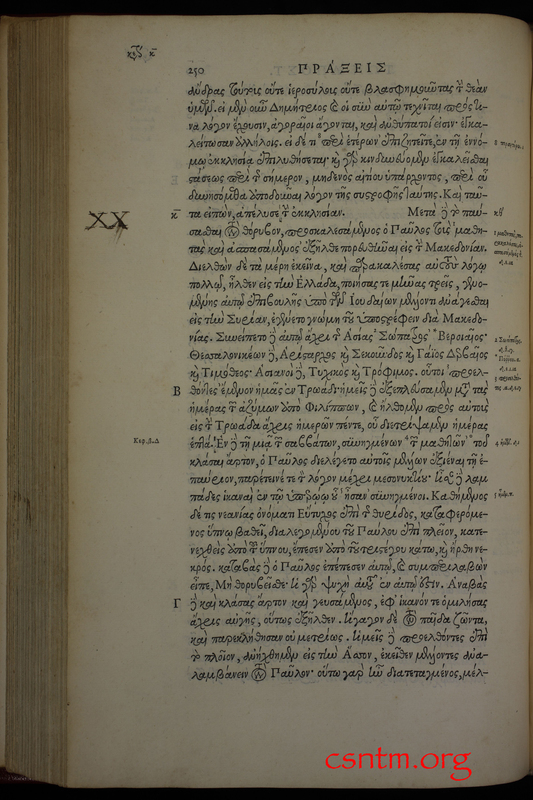 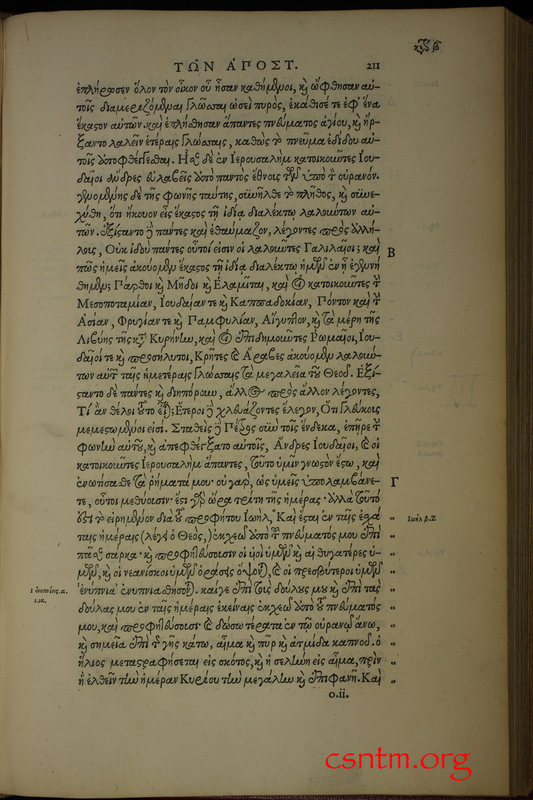 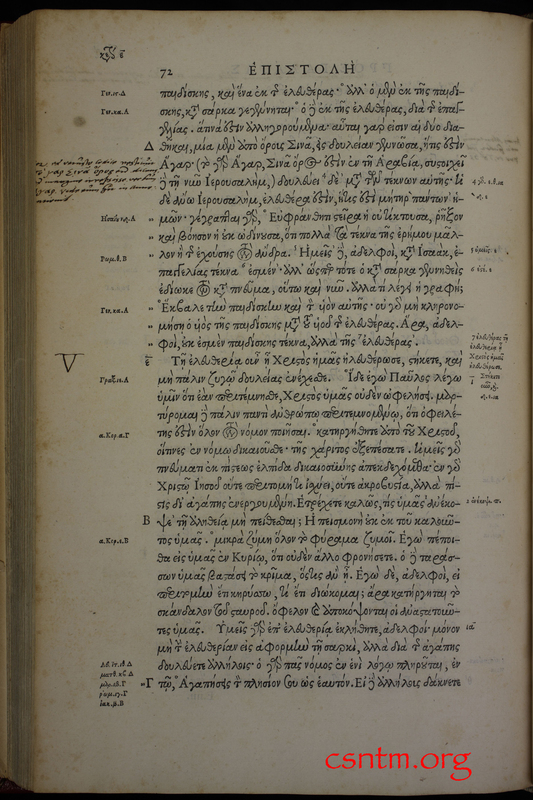 Stephanus examined 15 manuscripts and listed several of their readings in the margins of his Editio Regia. 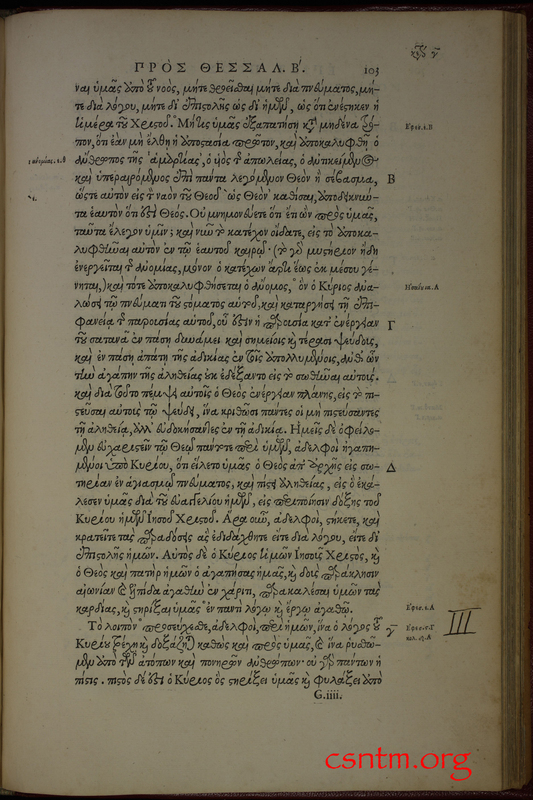 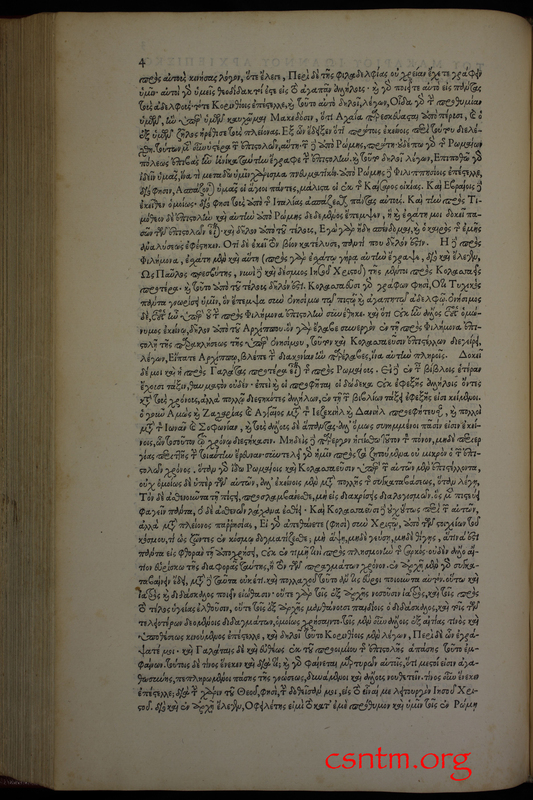 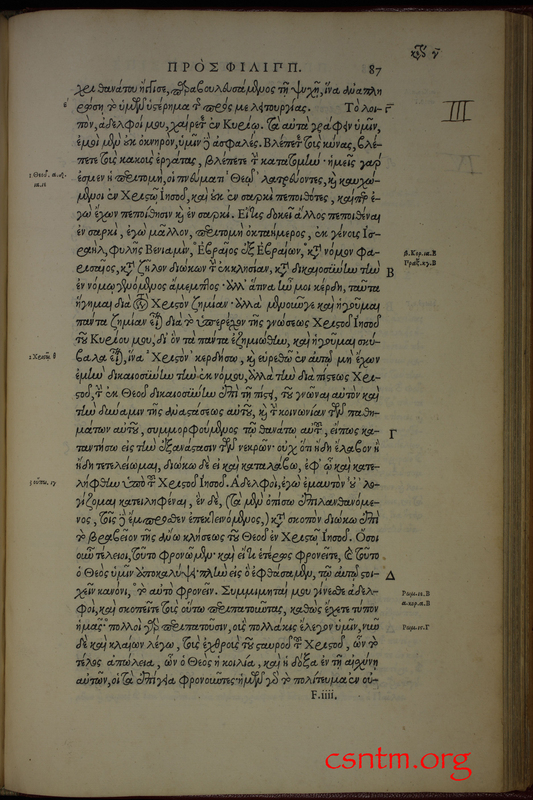 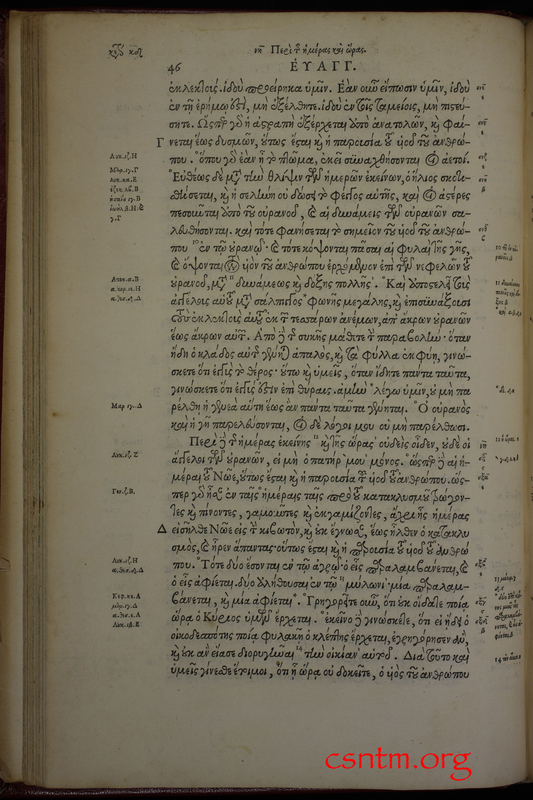 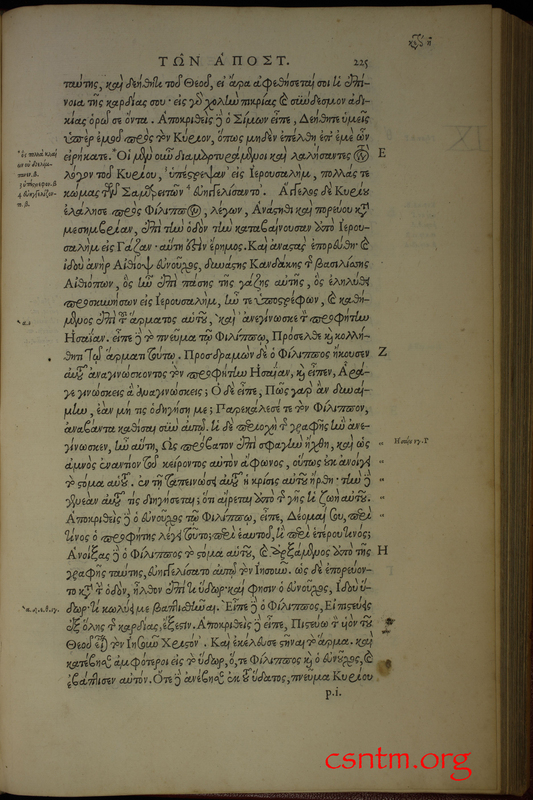 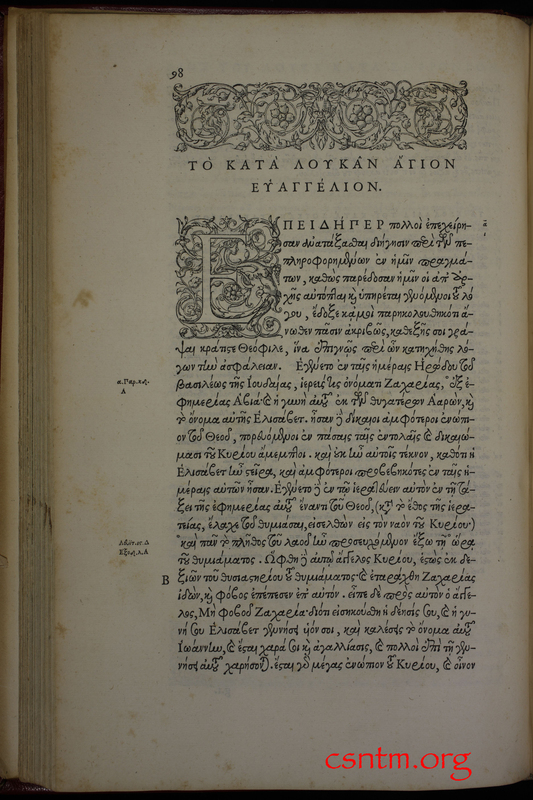 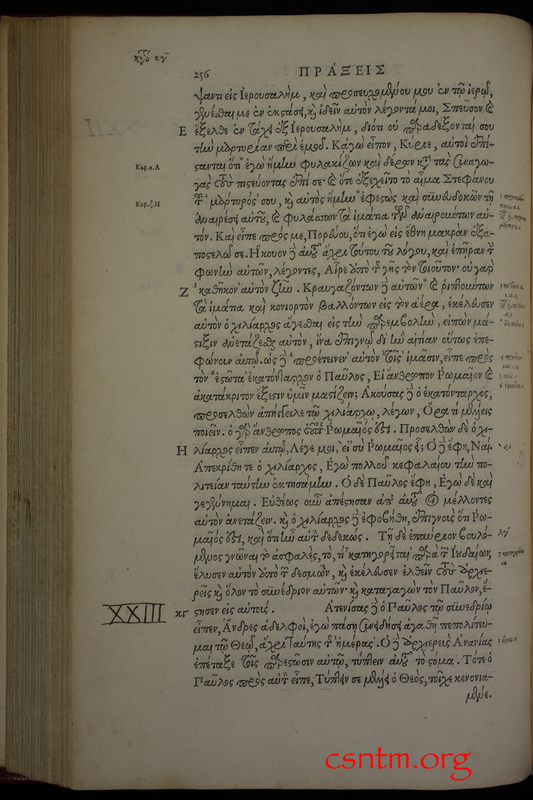 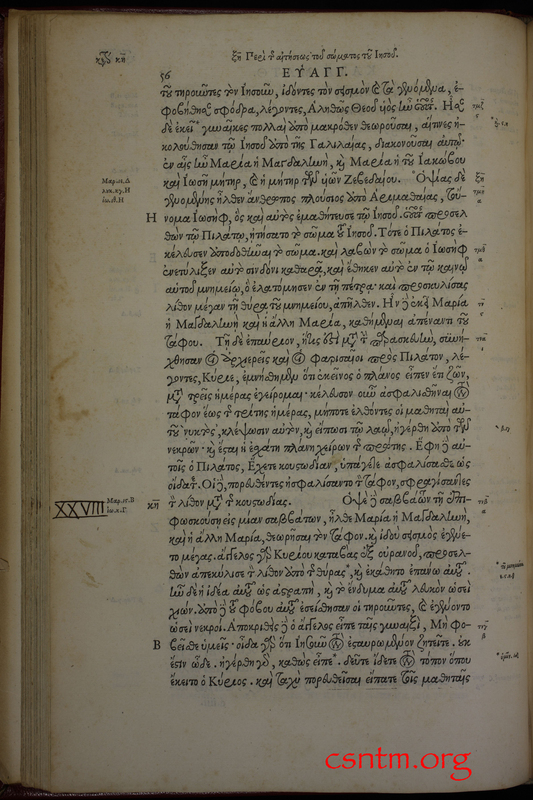 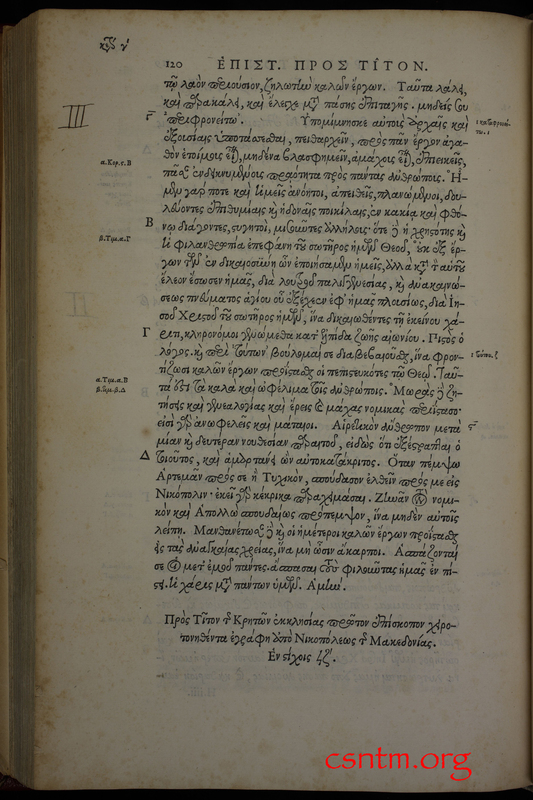 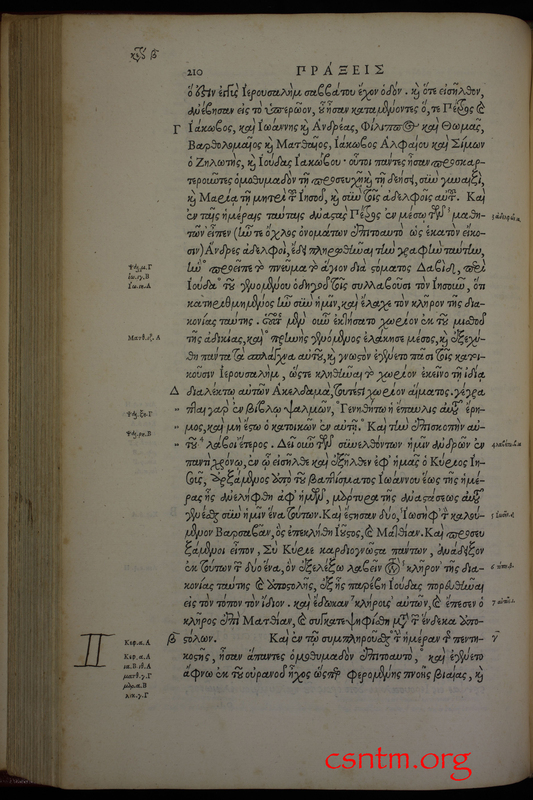 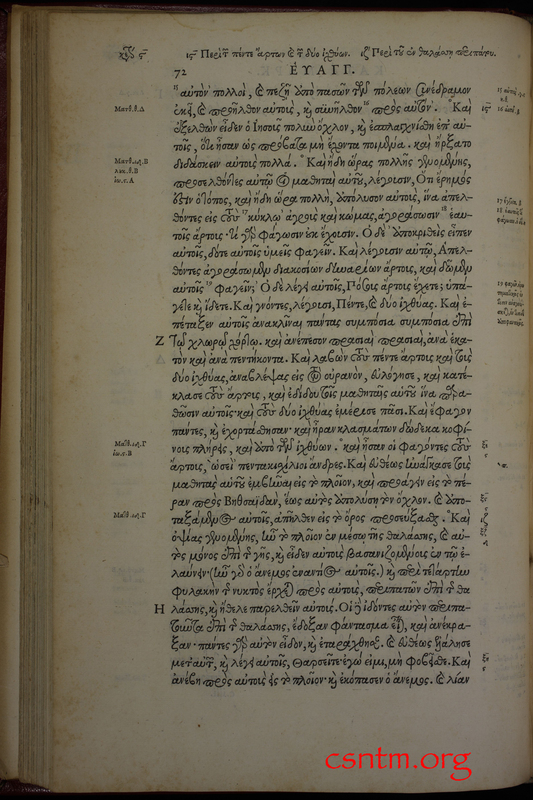 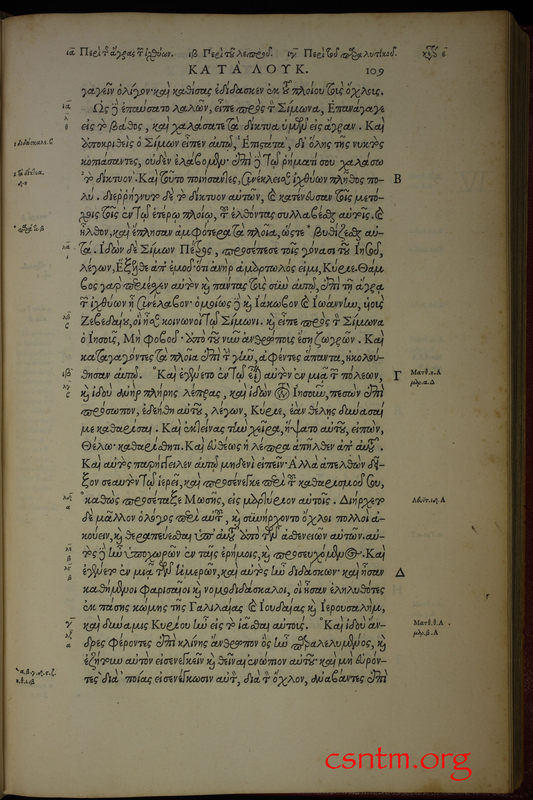 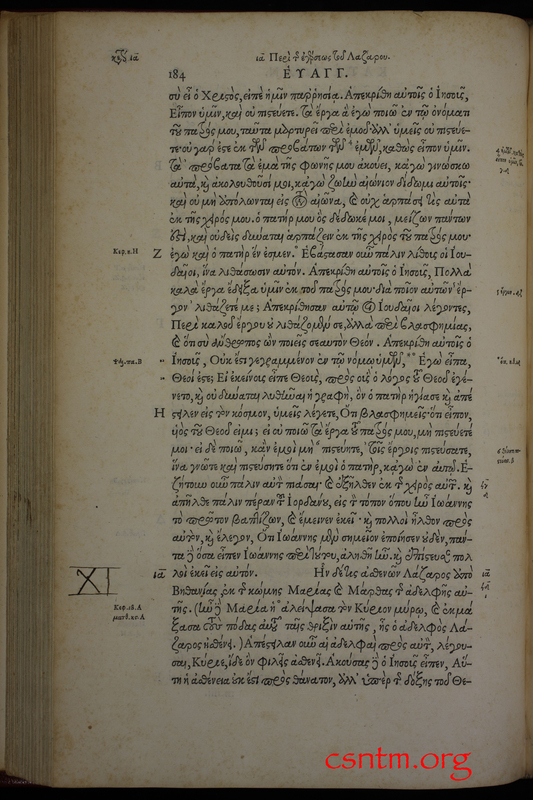 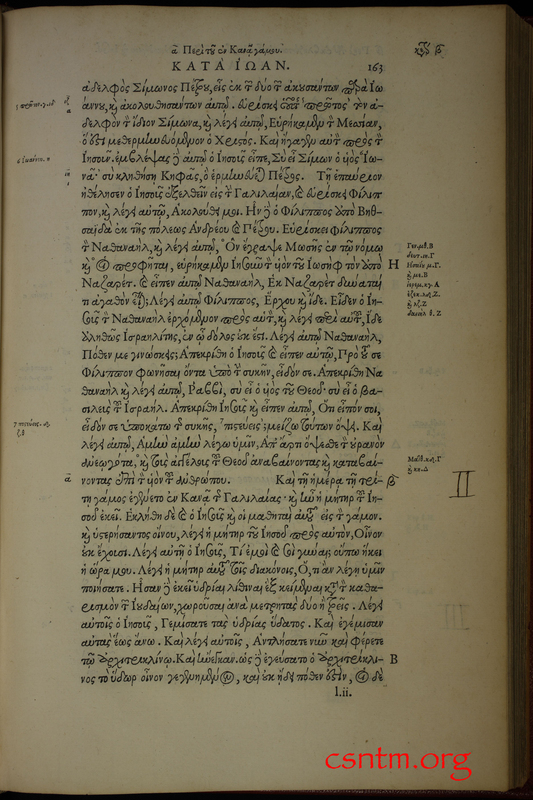 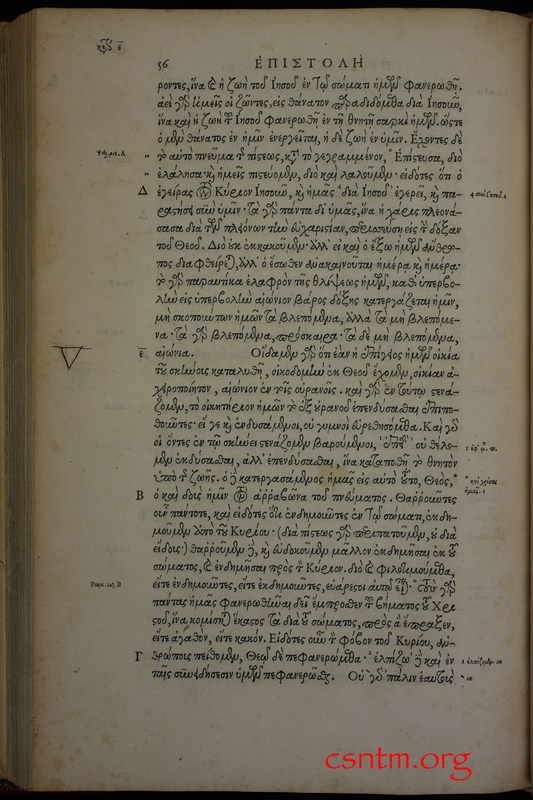 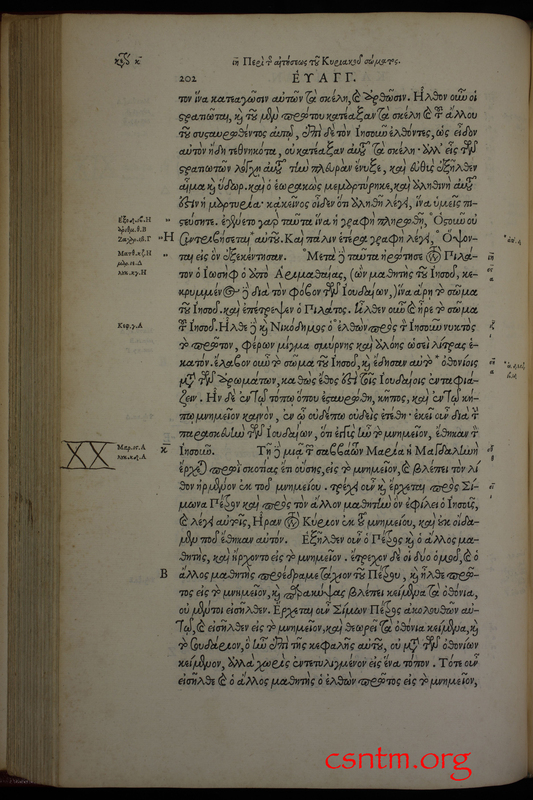 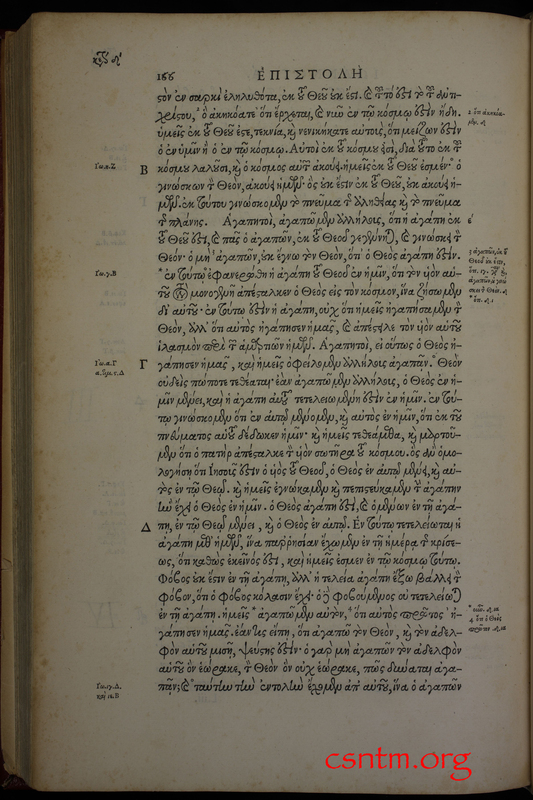 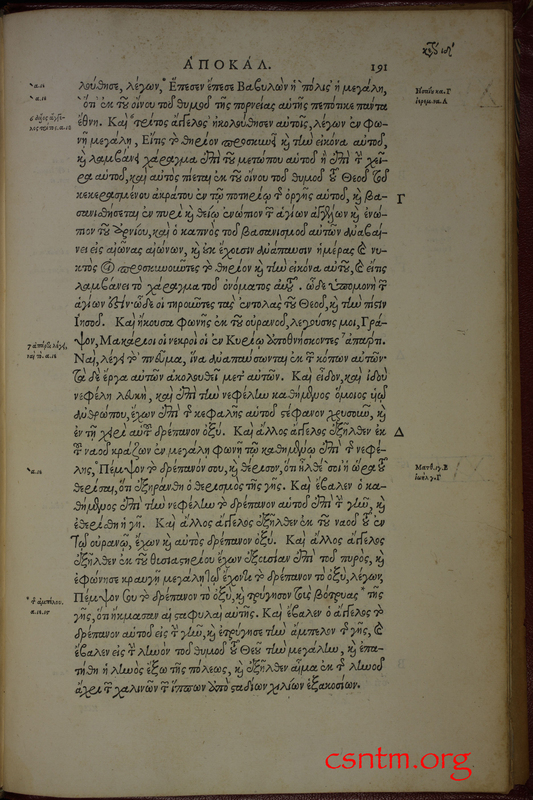 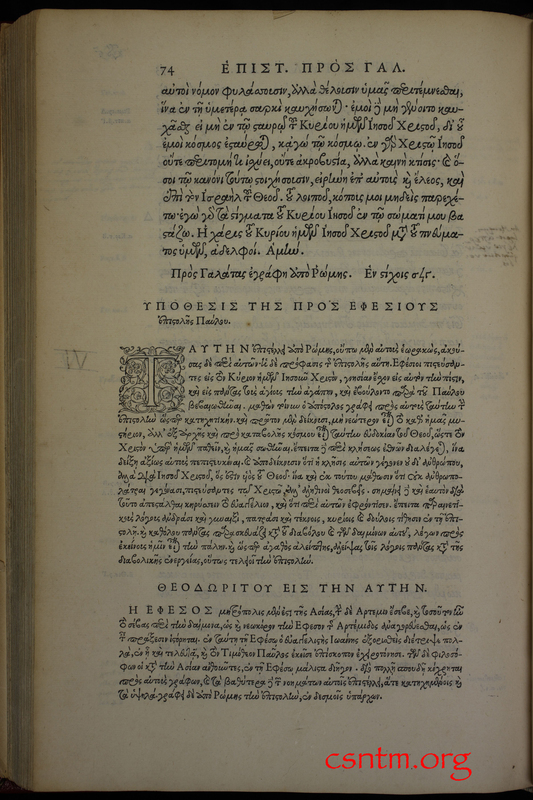 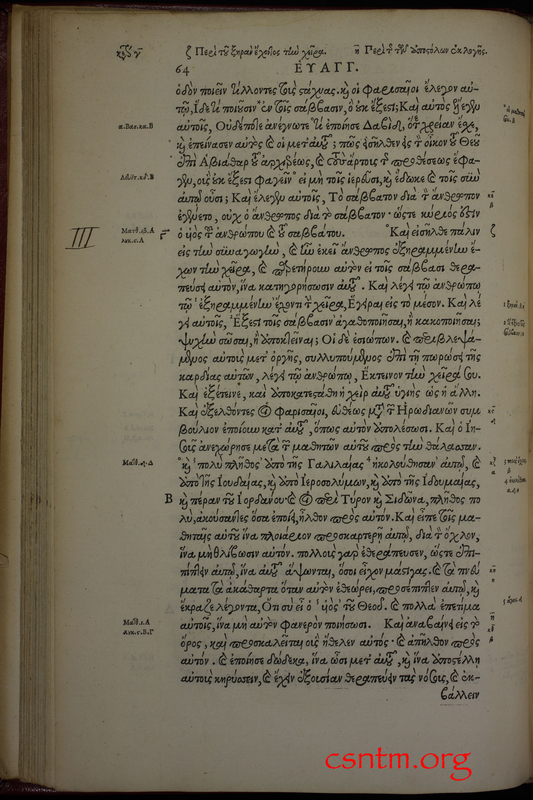 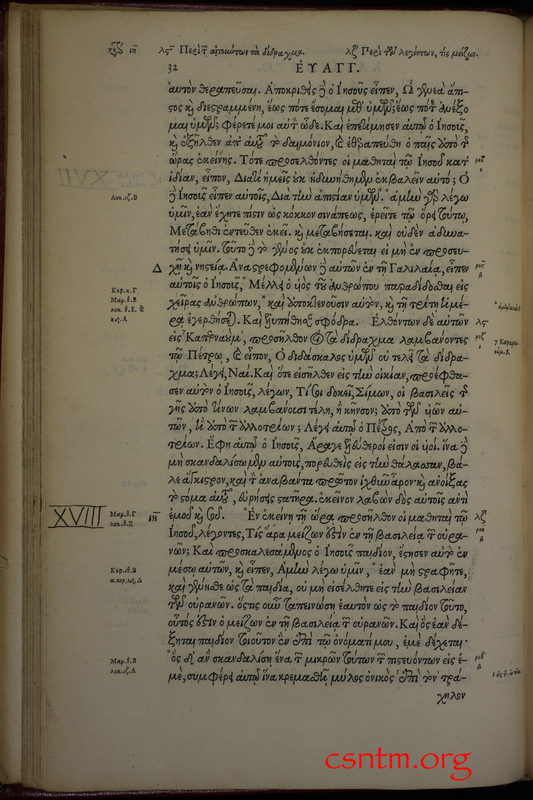 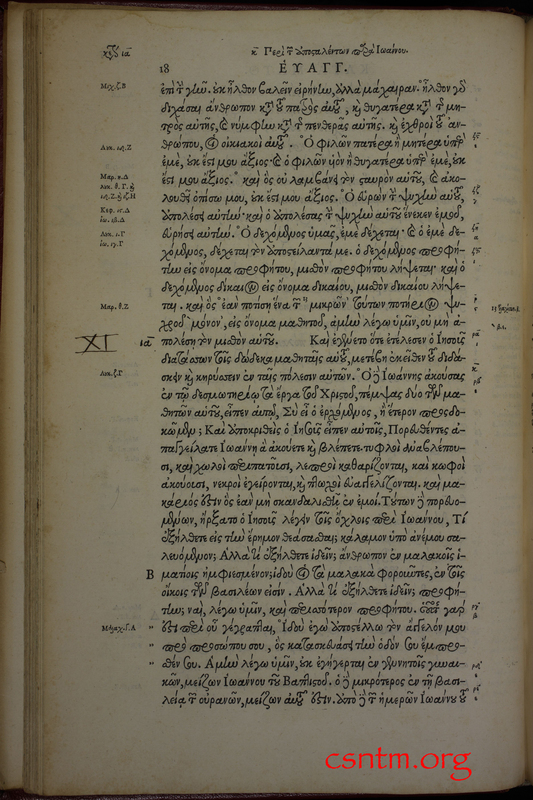 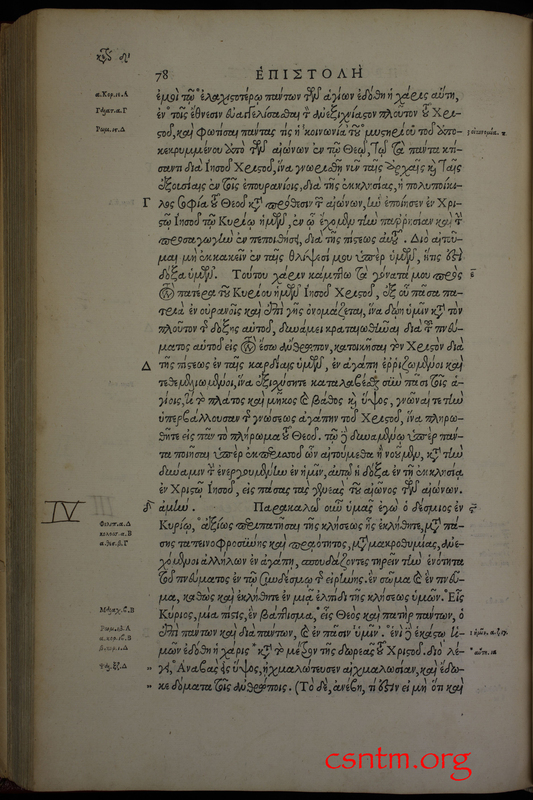 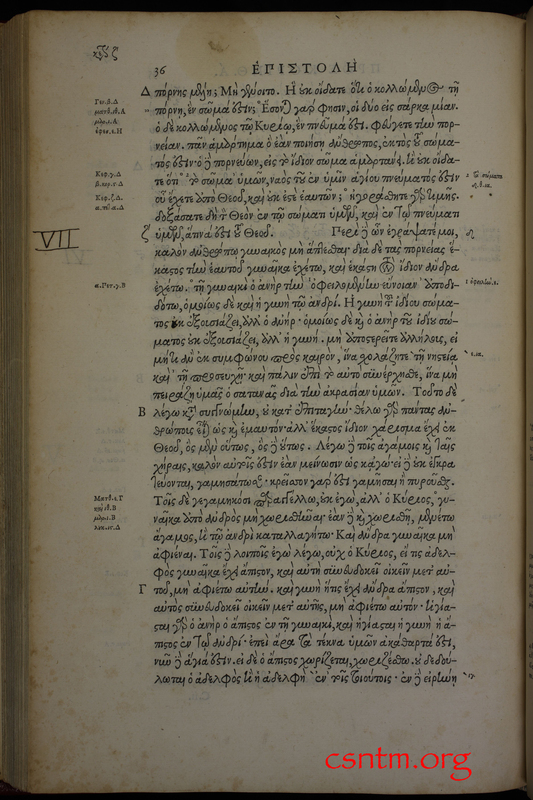 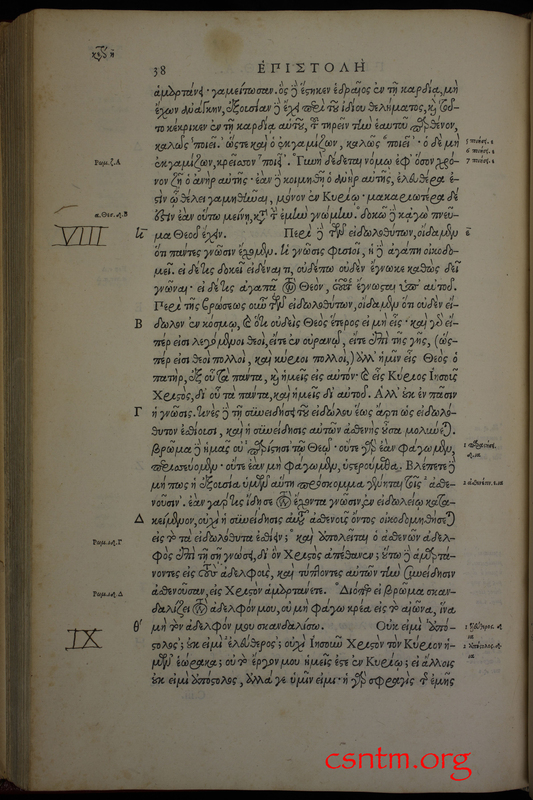 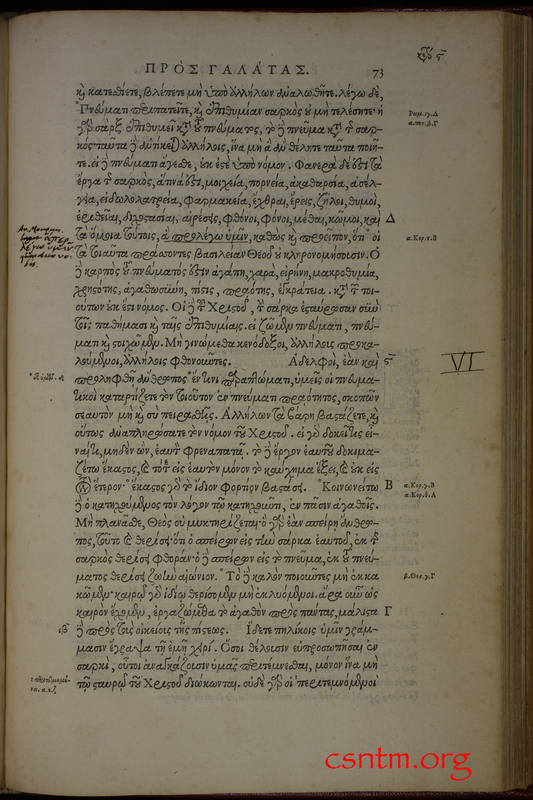 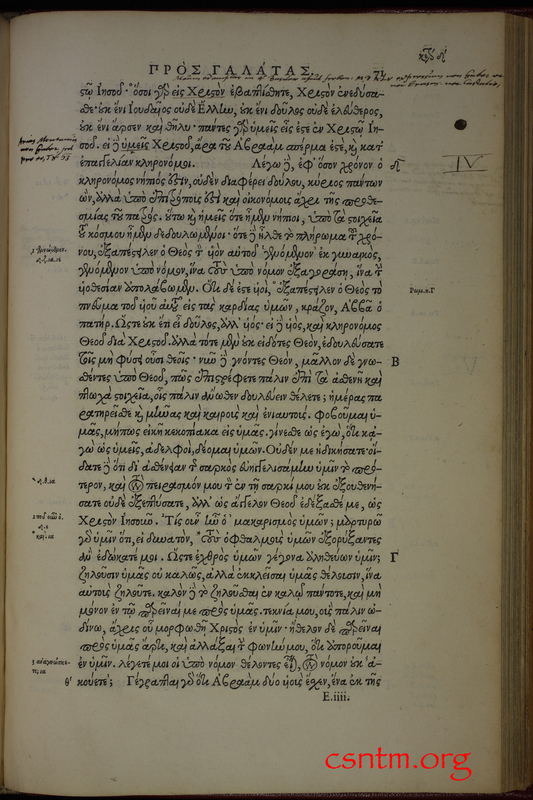 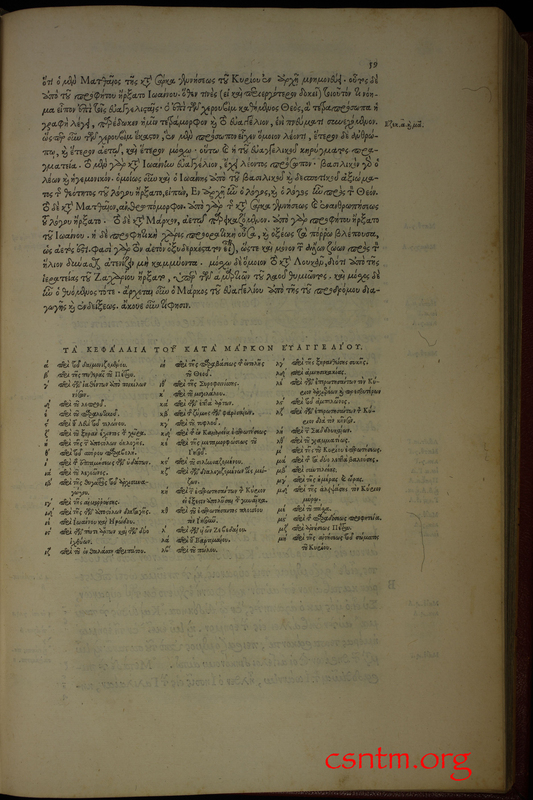 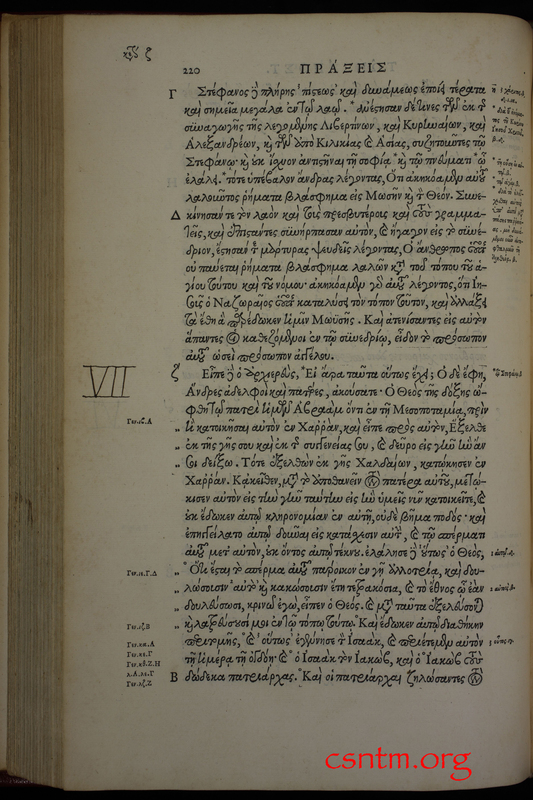 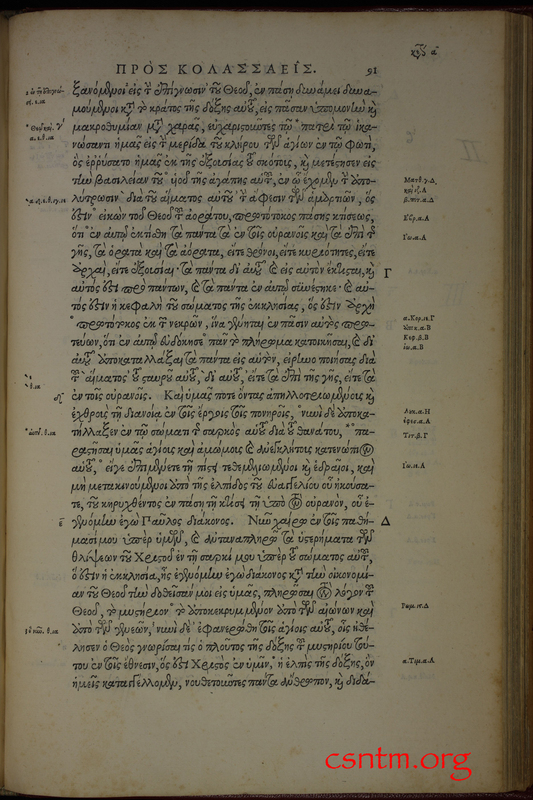 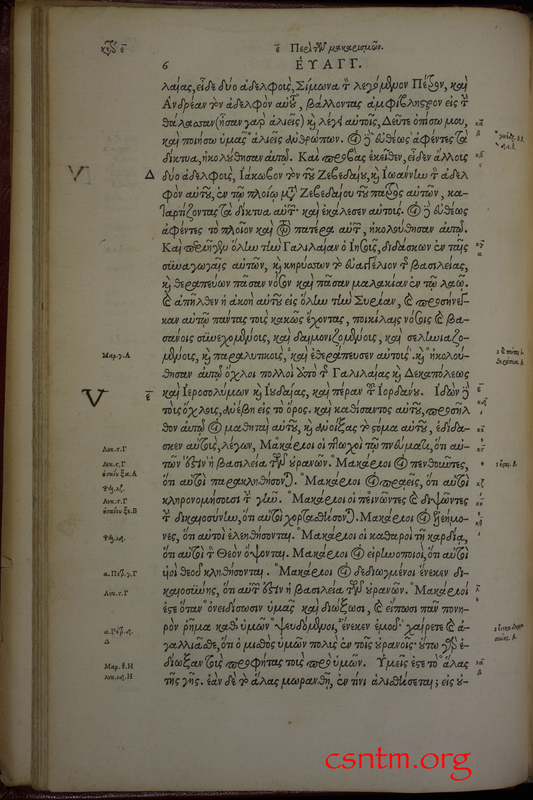 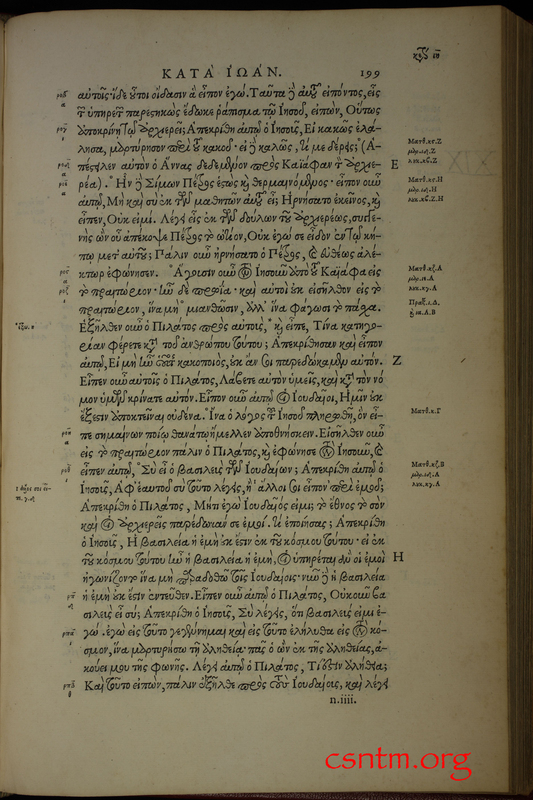 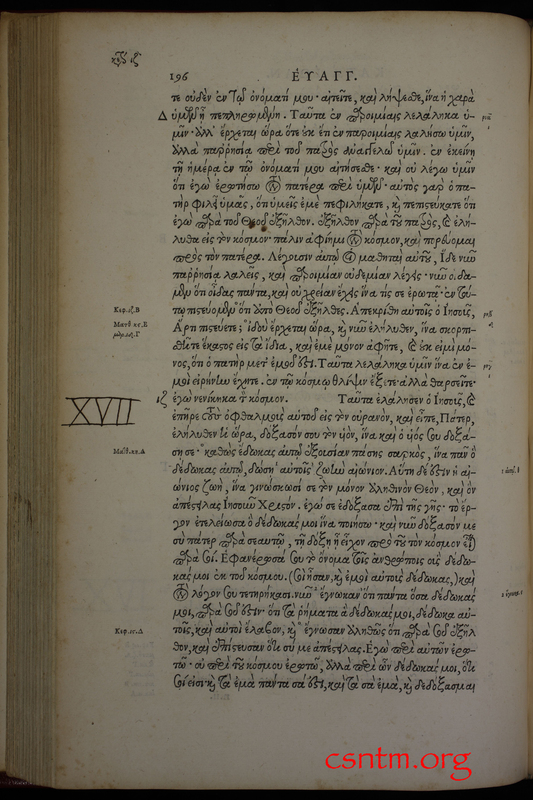 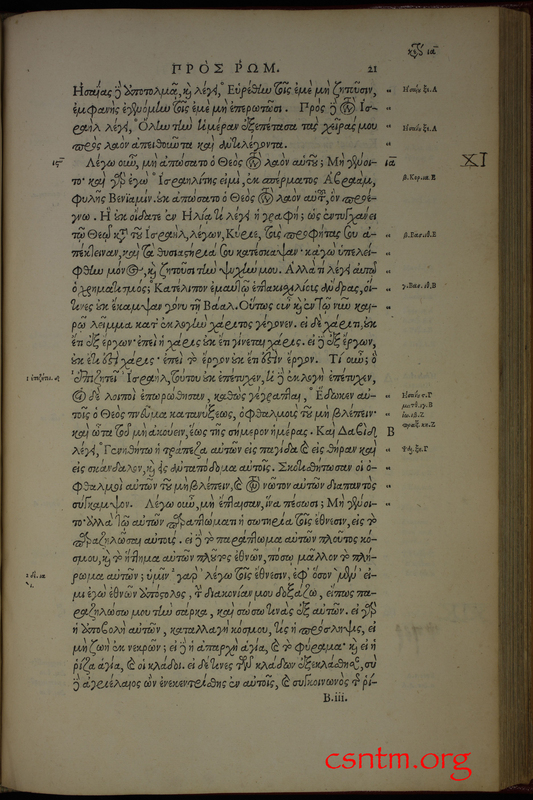 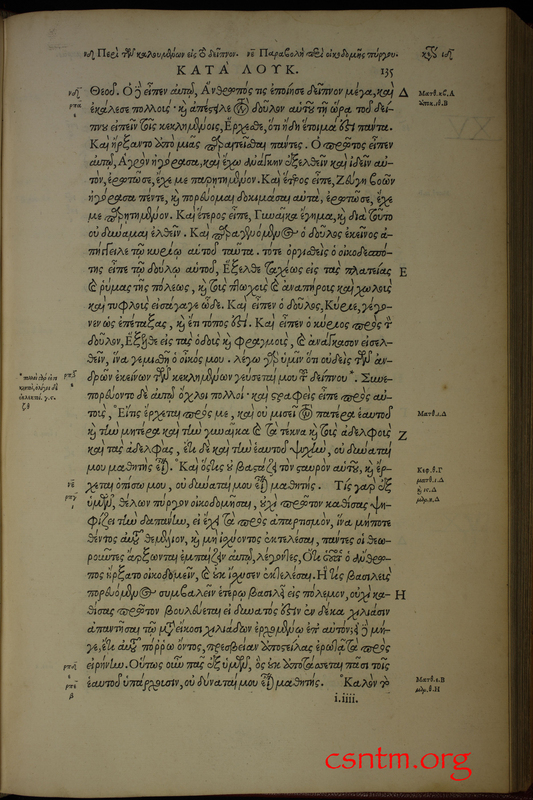 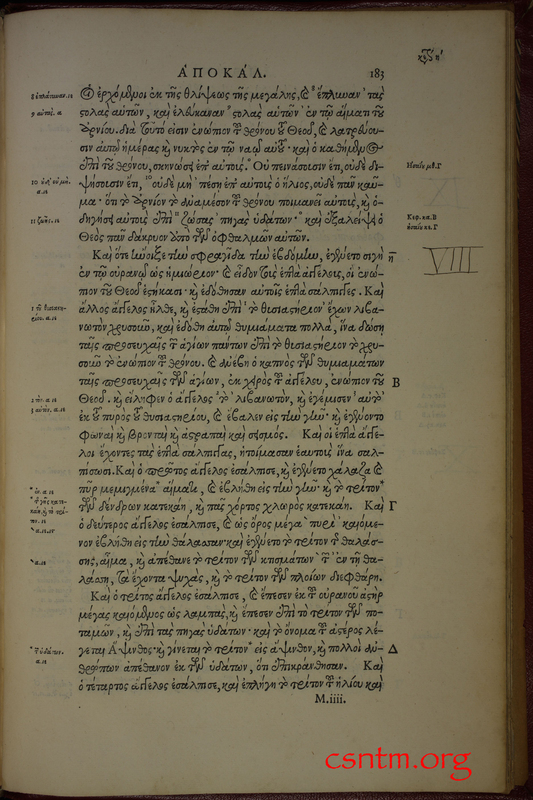 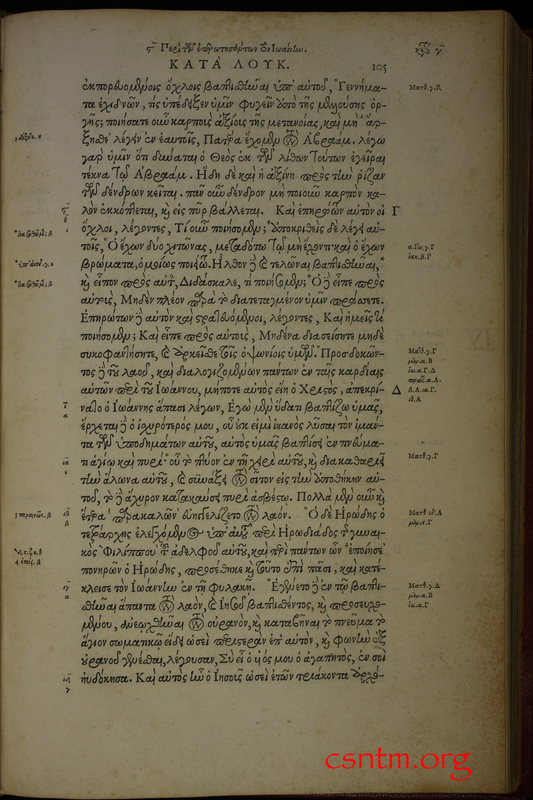 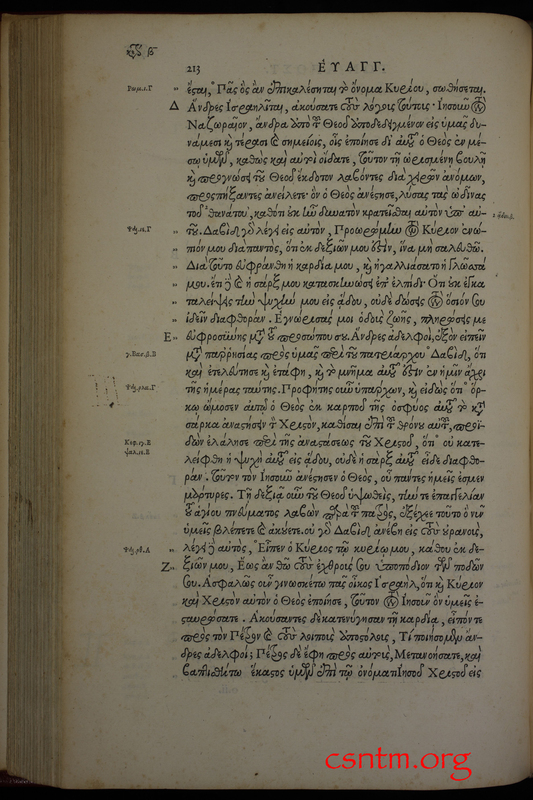 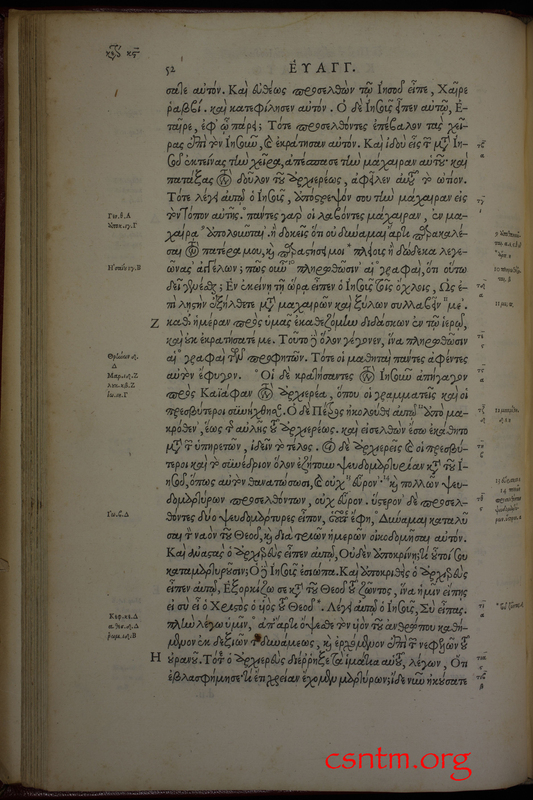 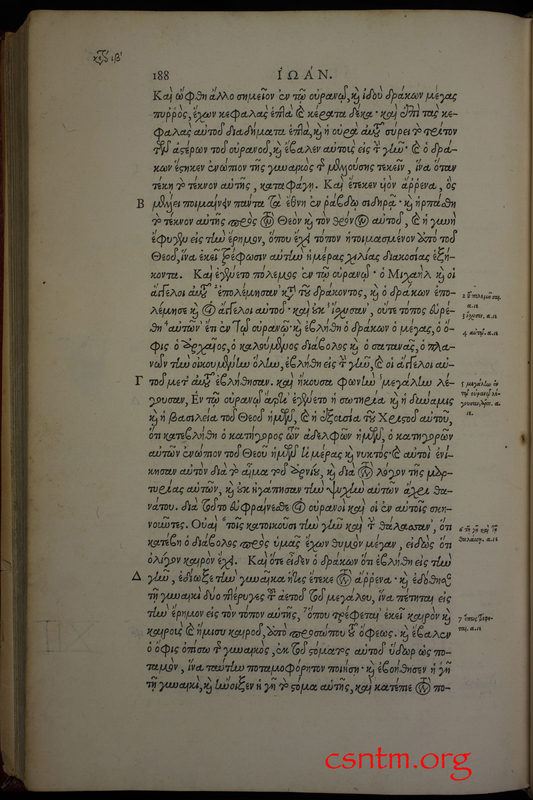 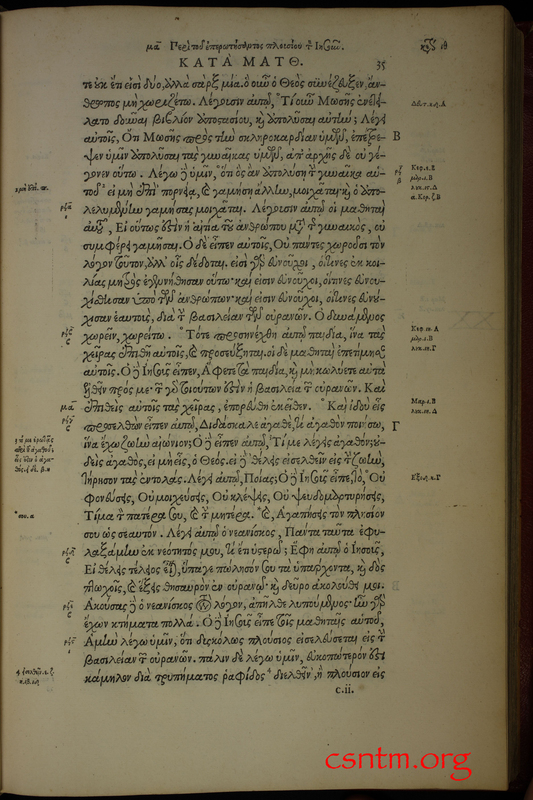 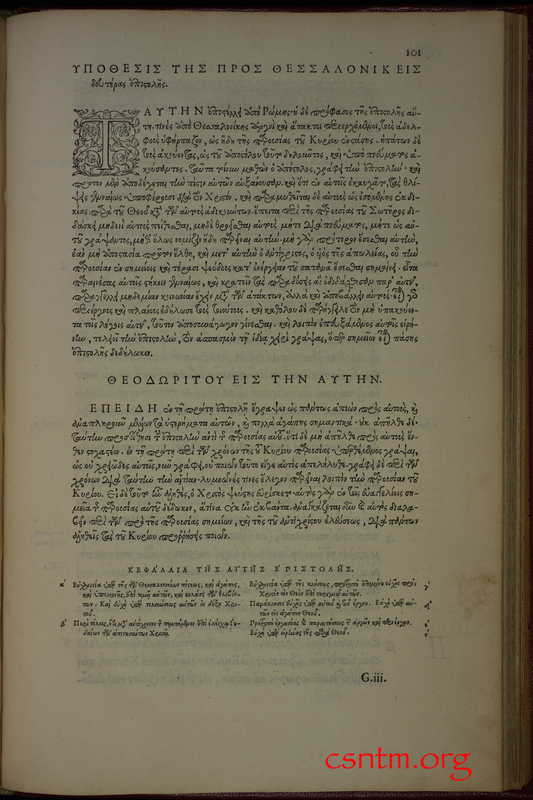 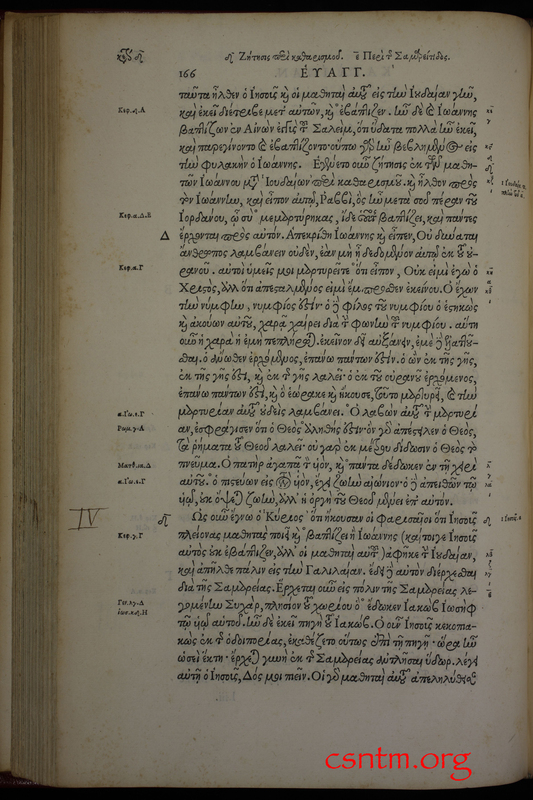 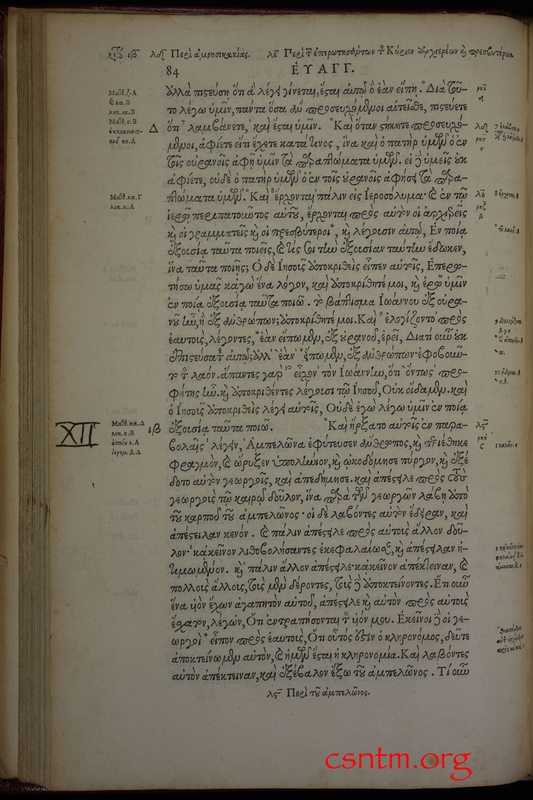 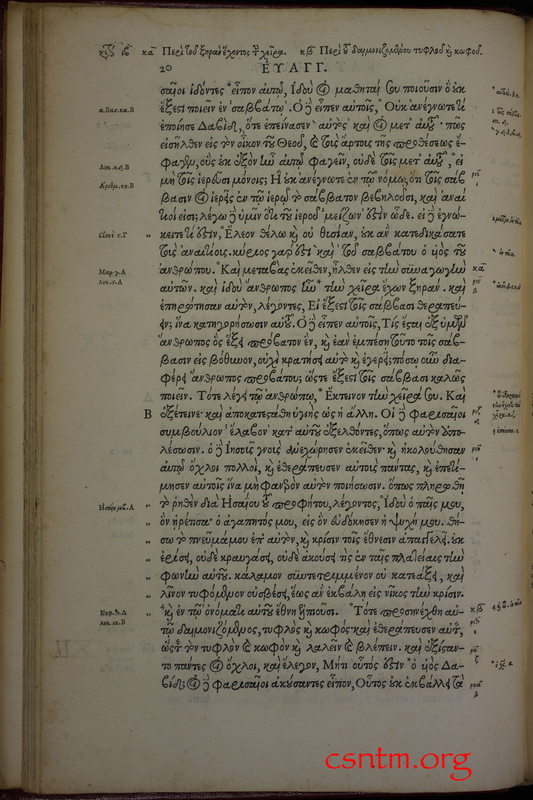 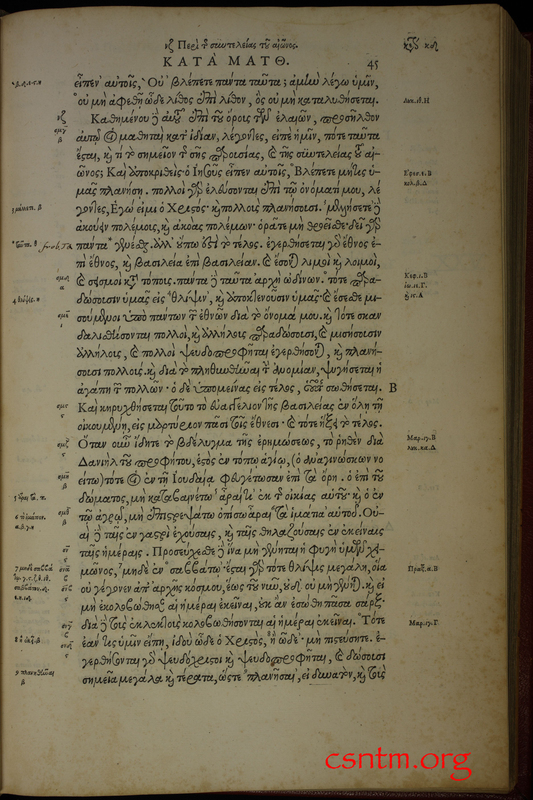 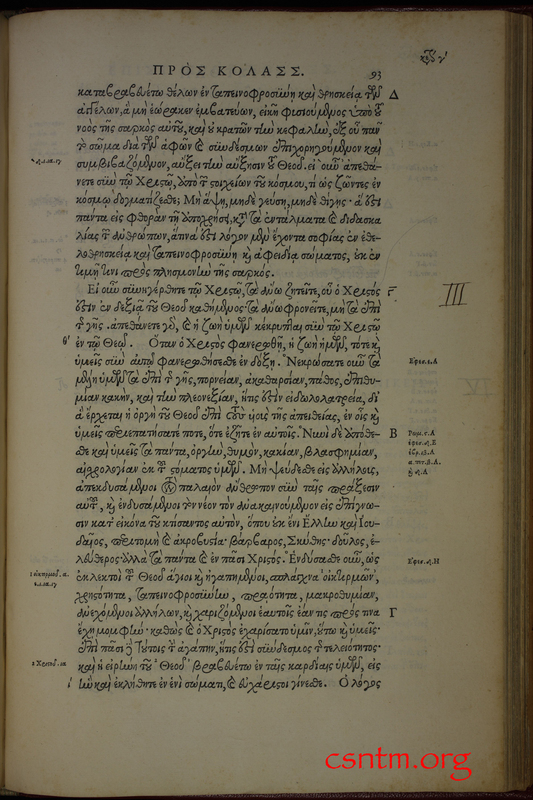 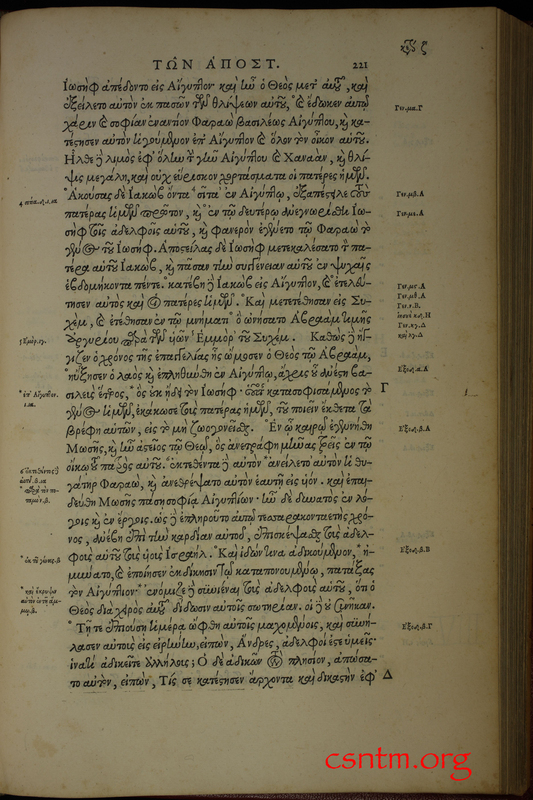 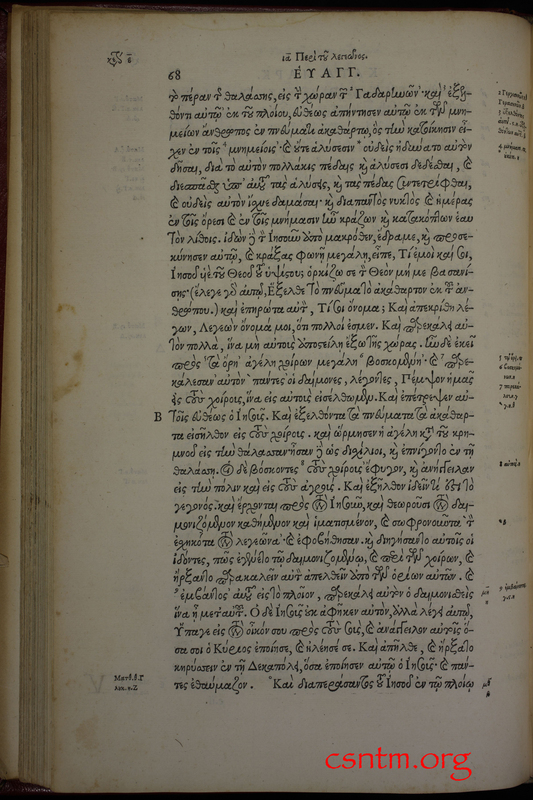 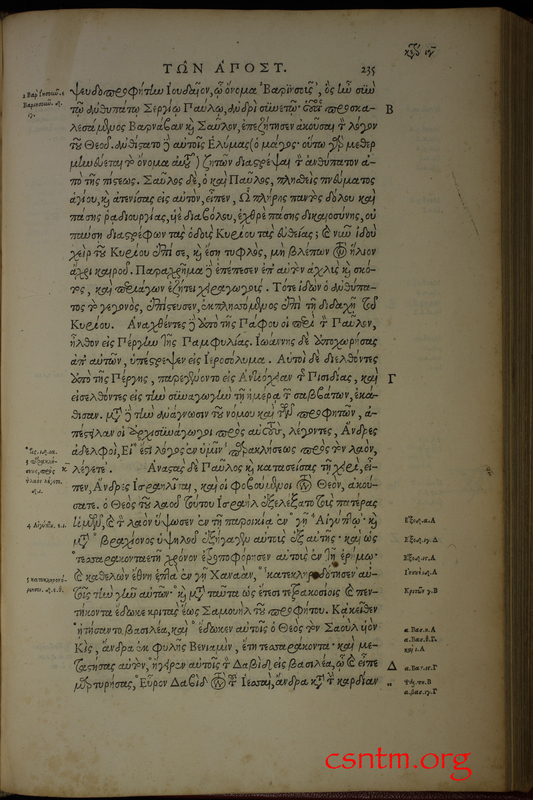 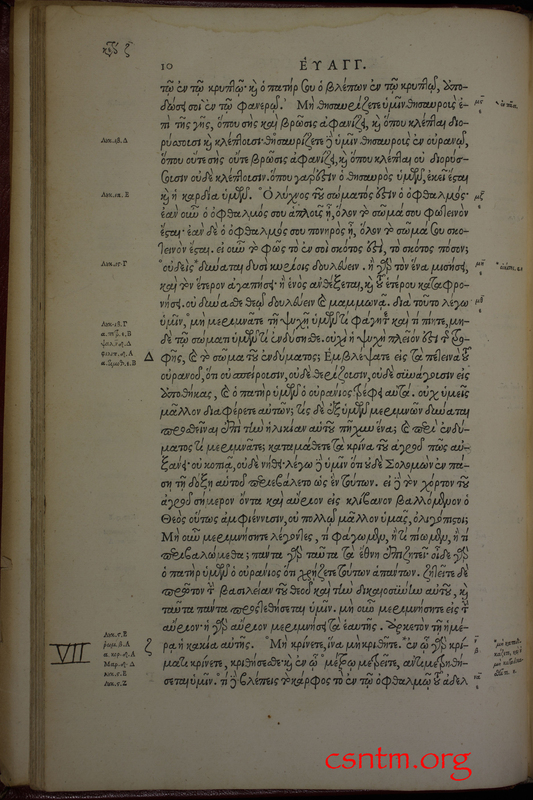 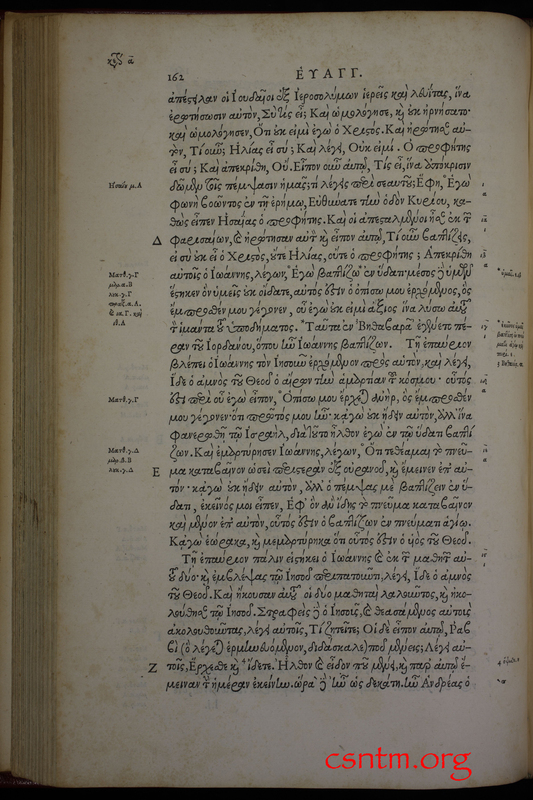 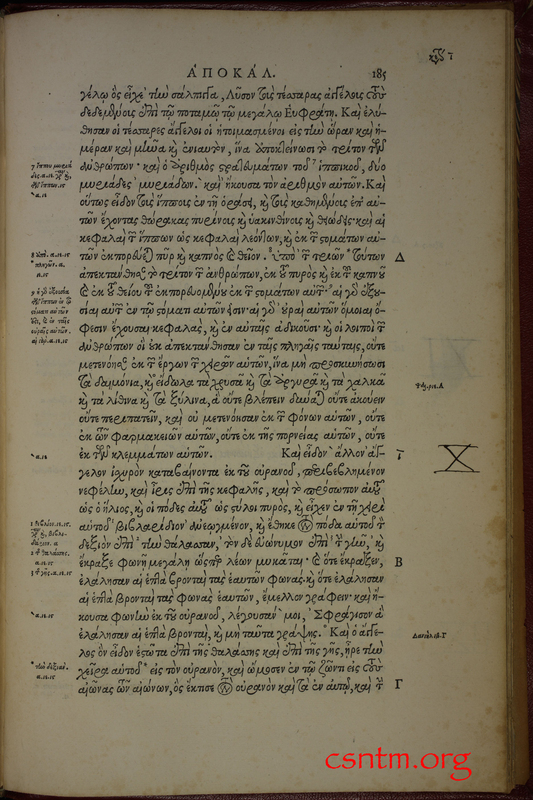 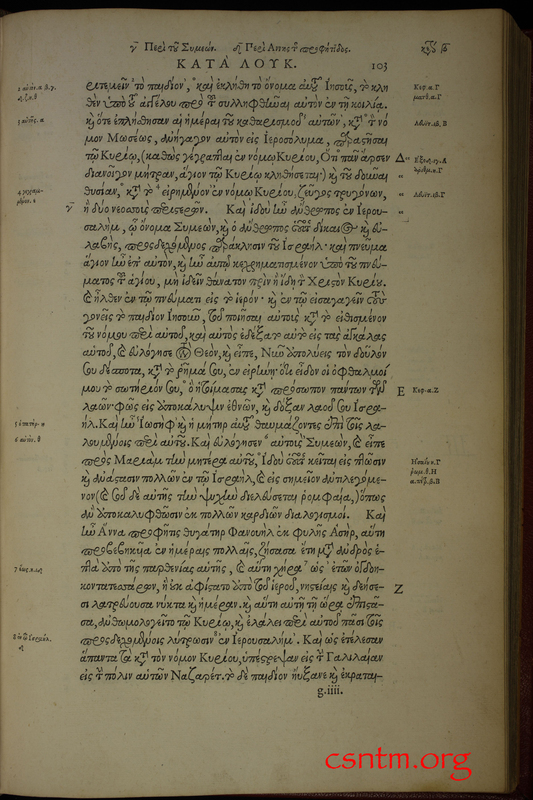 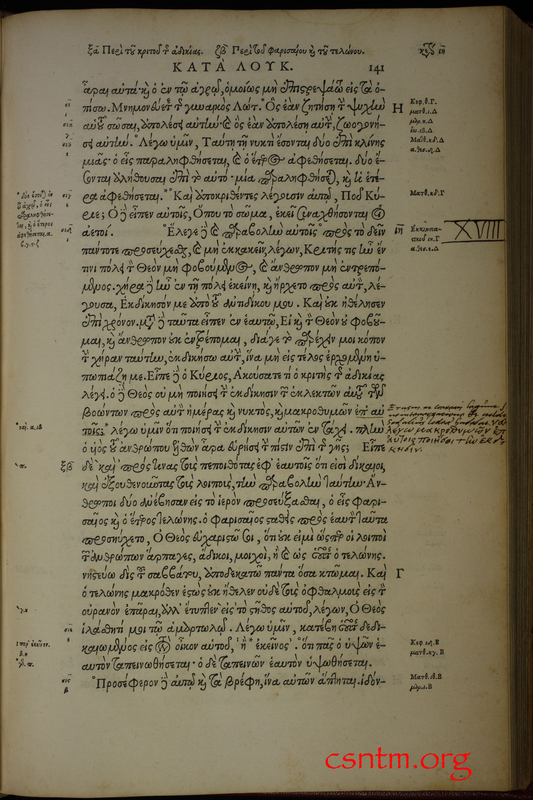 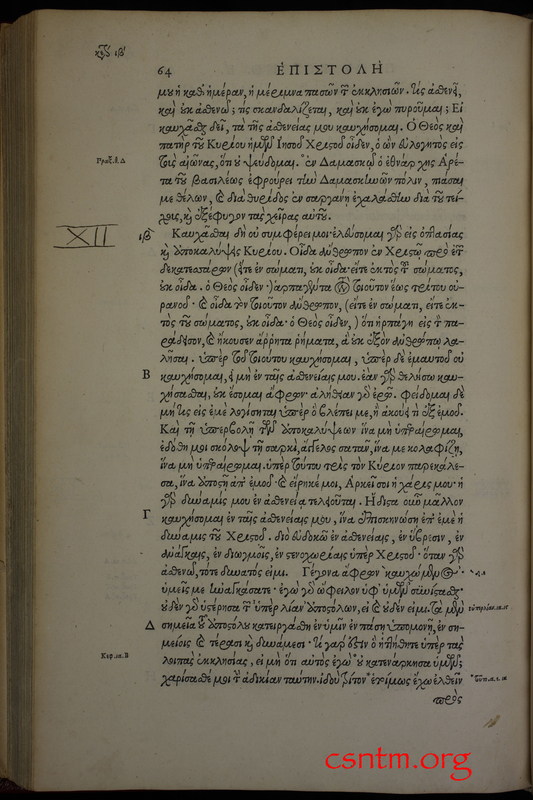 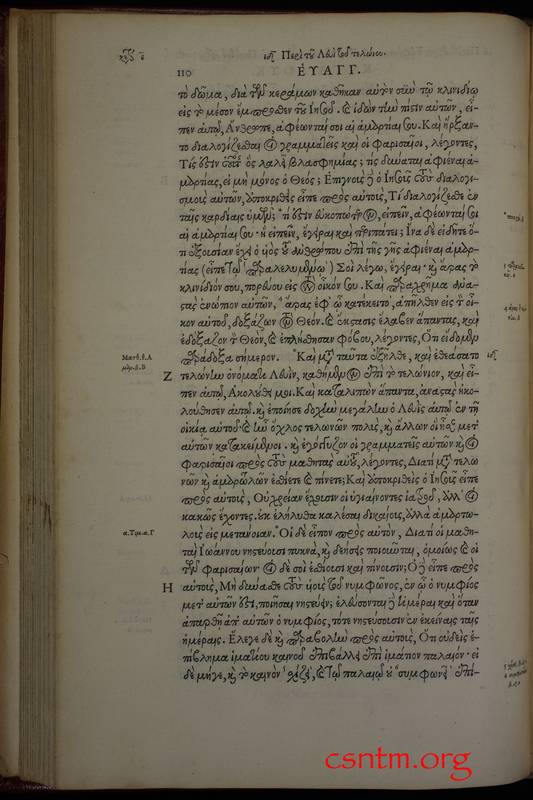 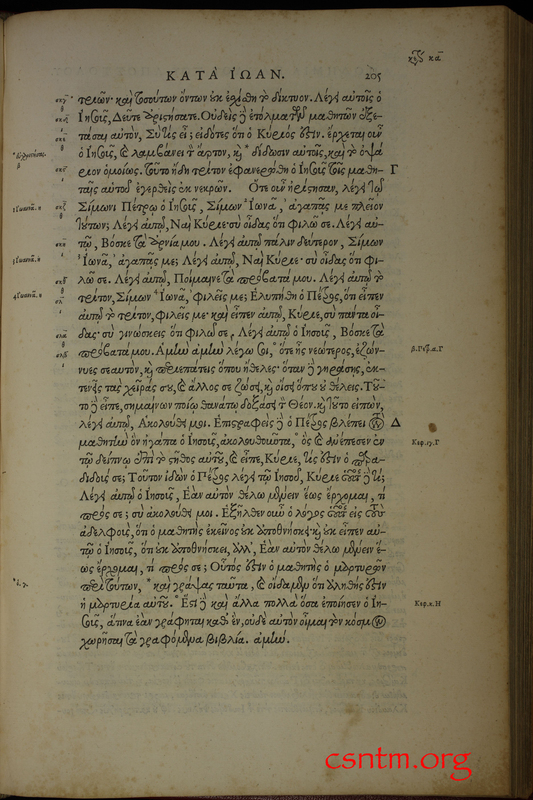 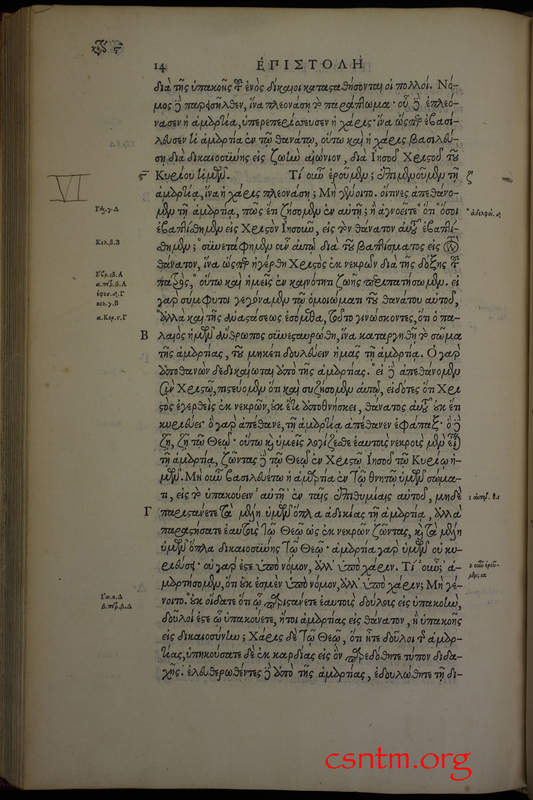 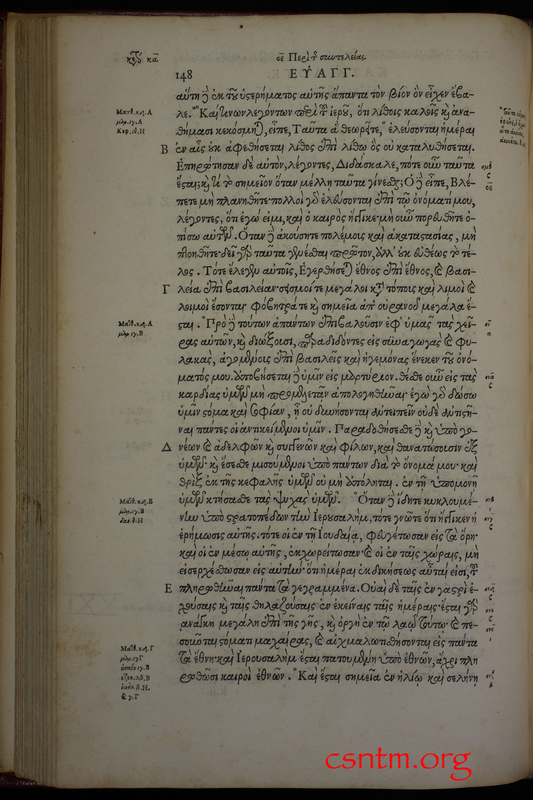 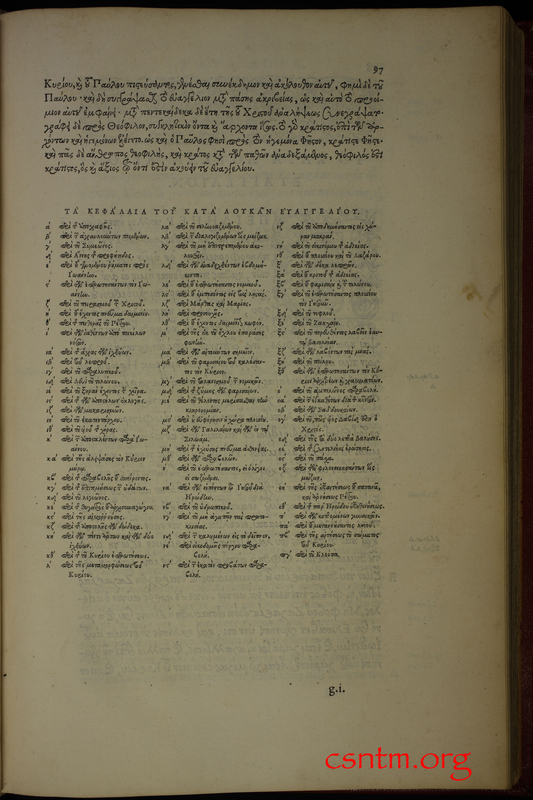 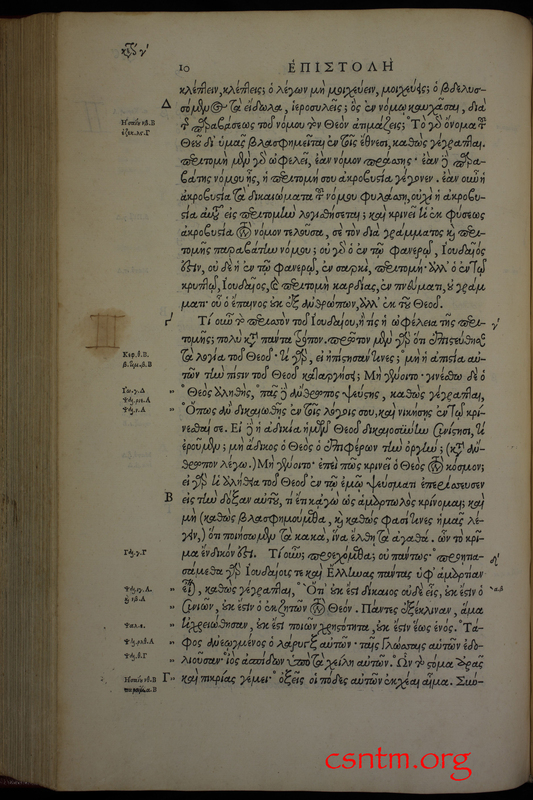 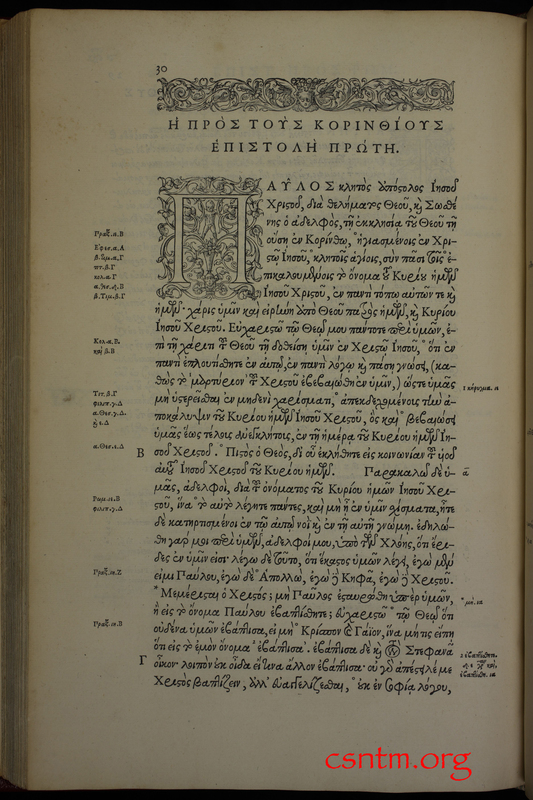 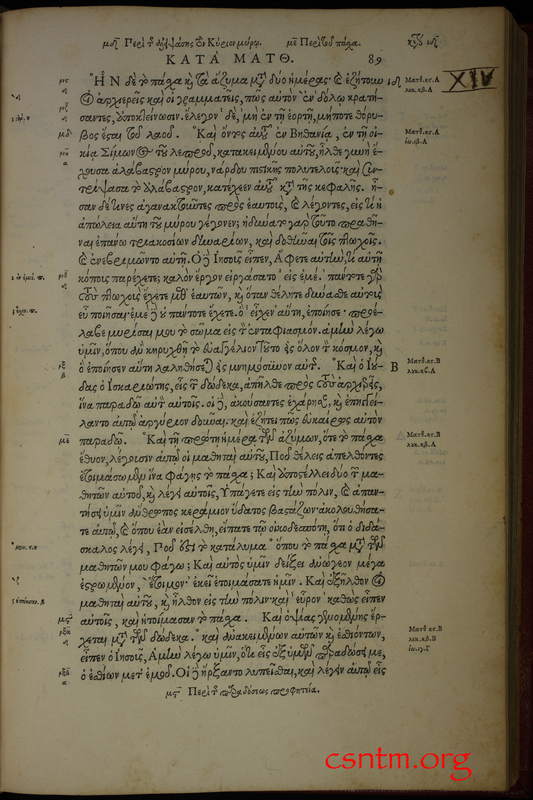 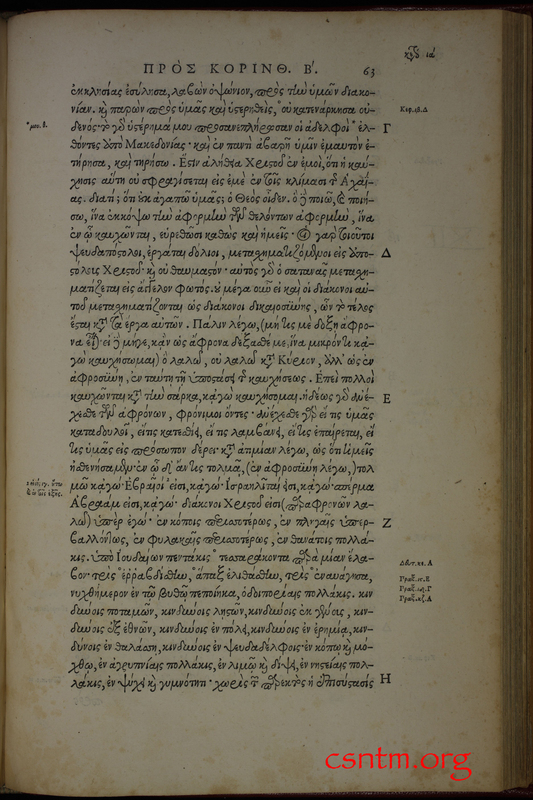 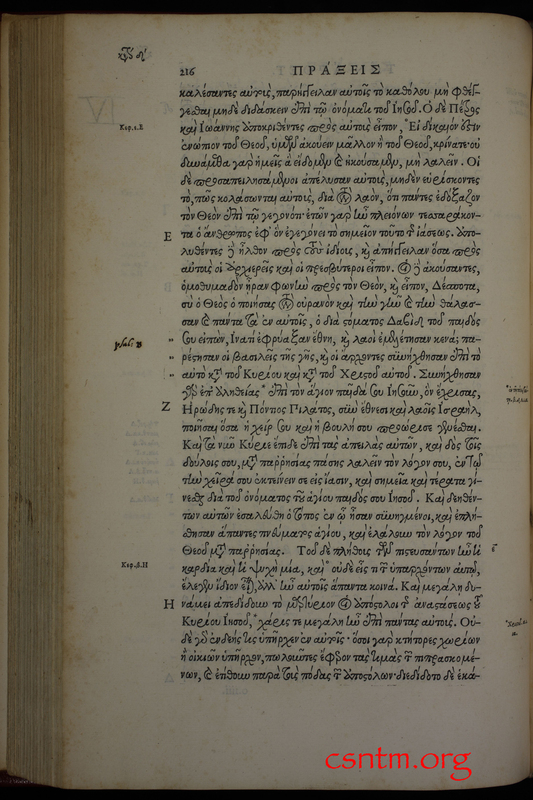 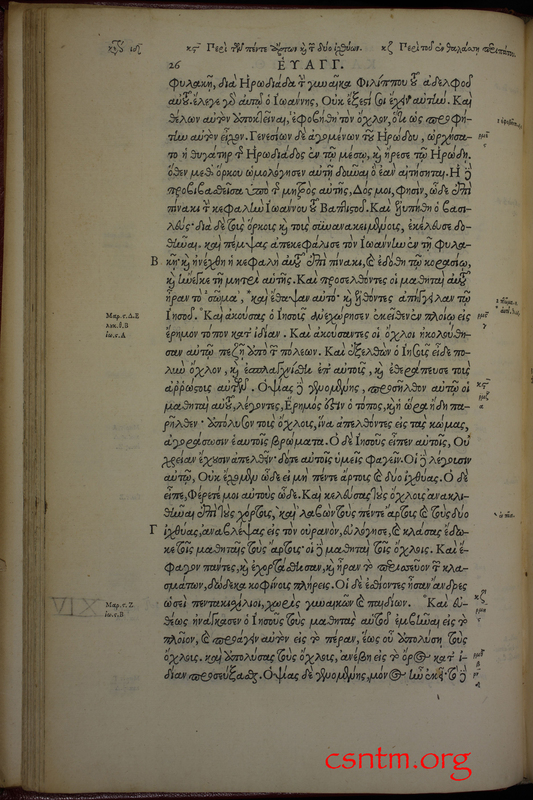 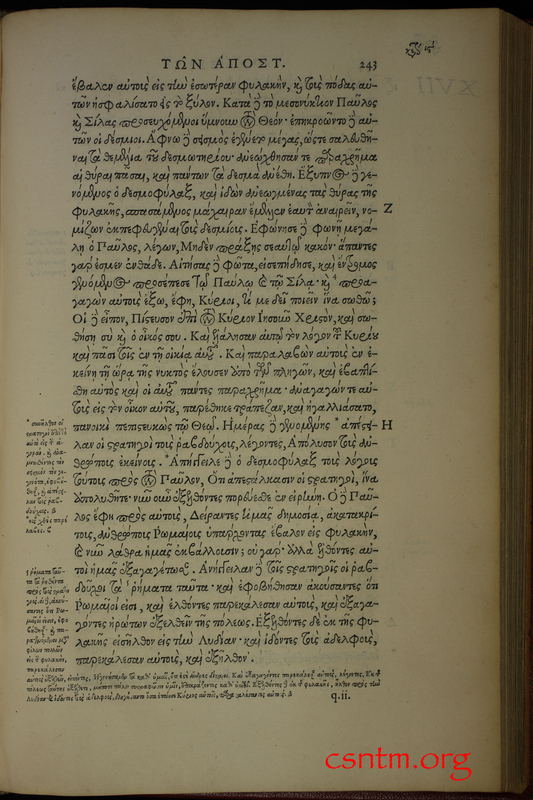 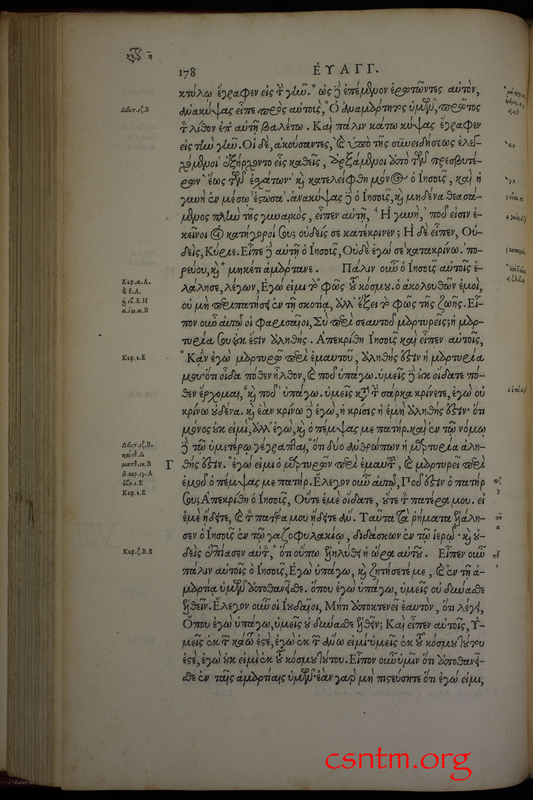 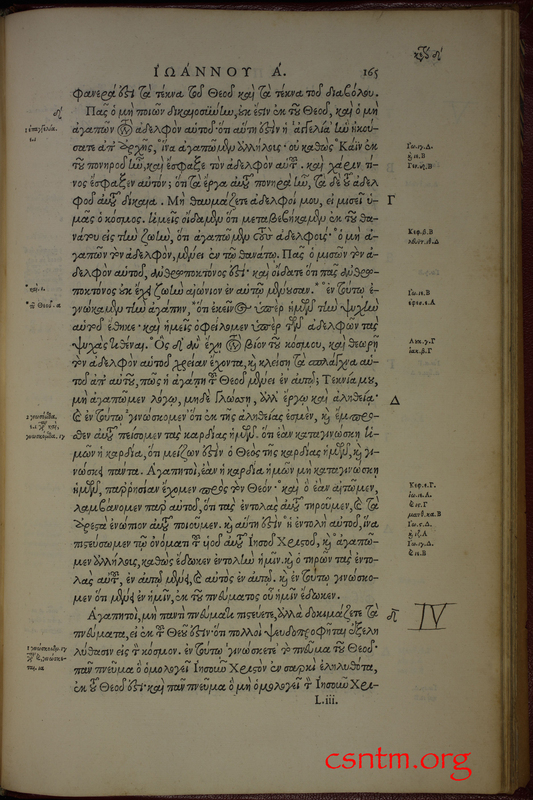 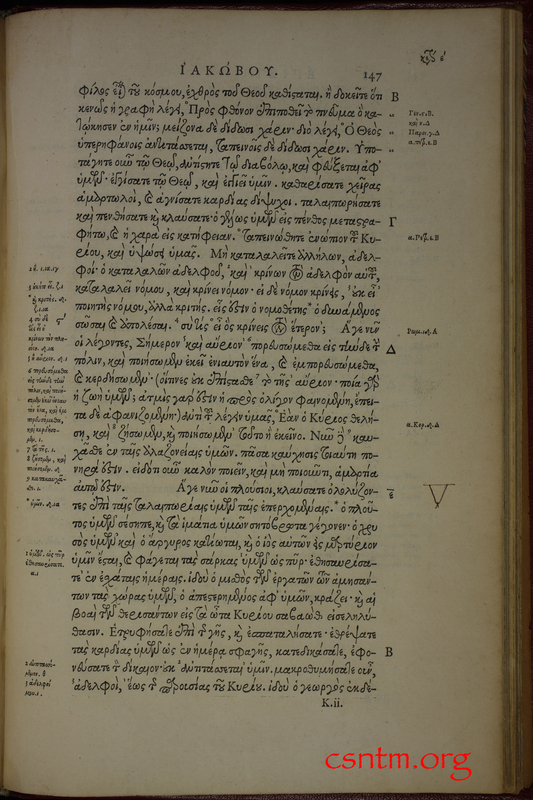 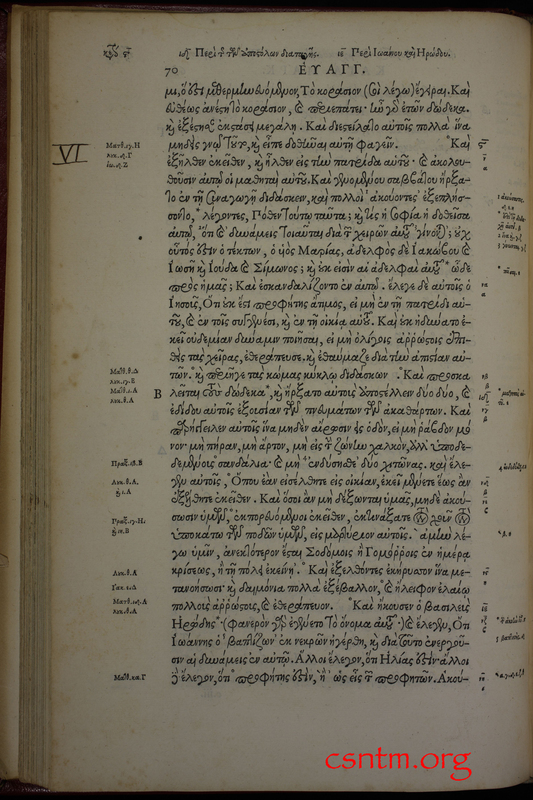 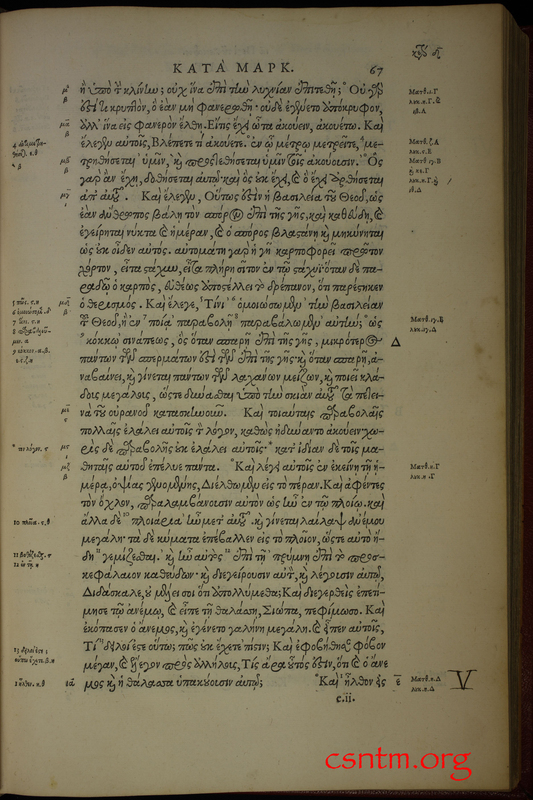 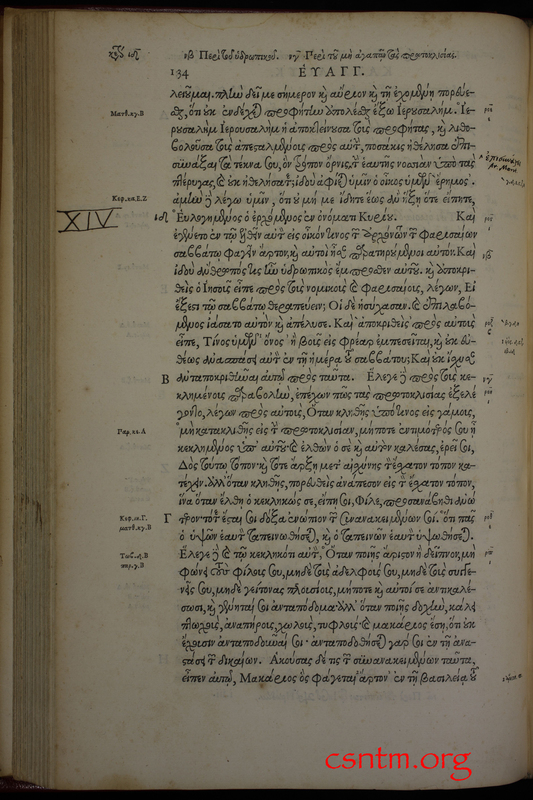 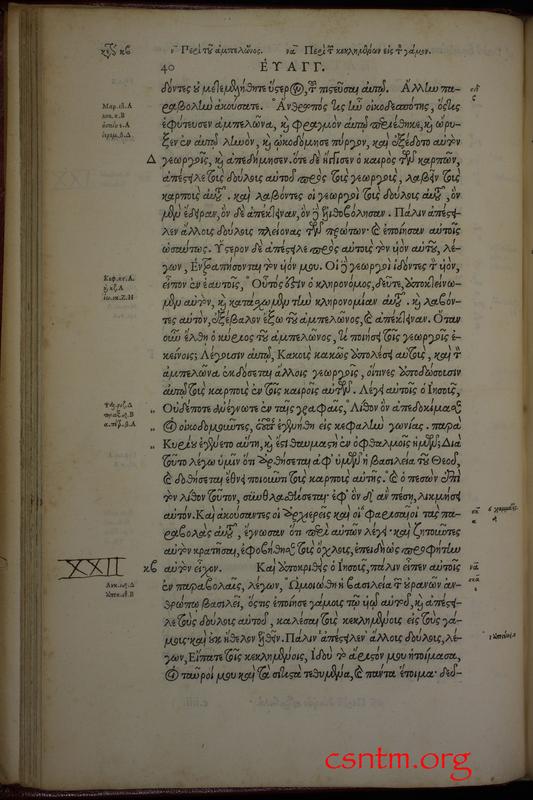 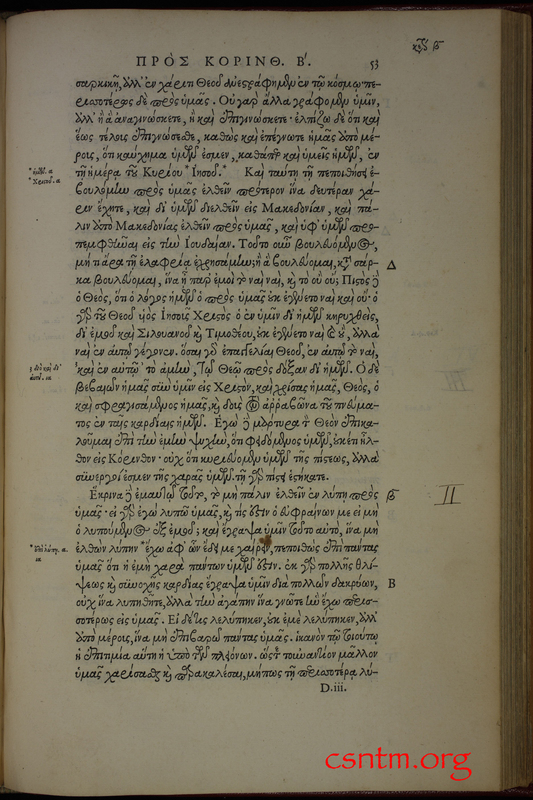 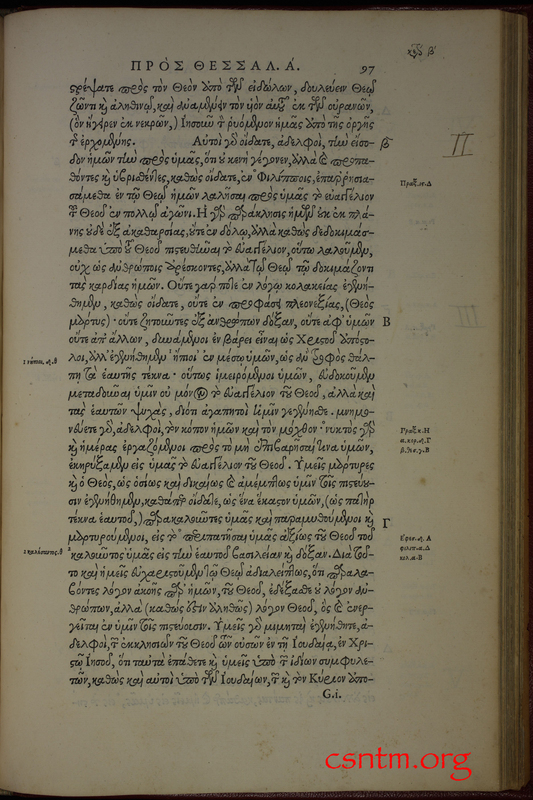 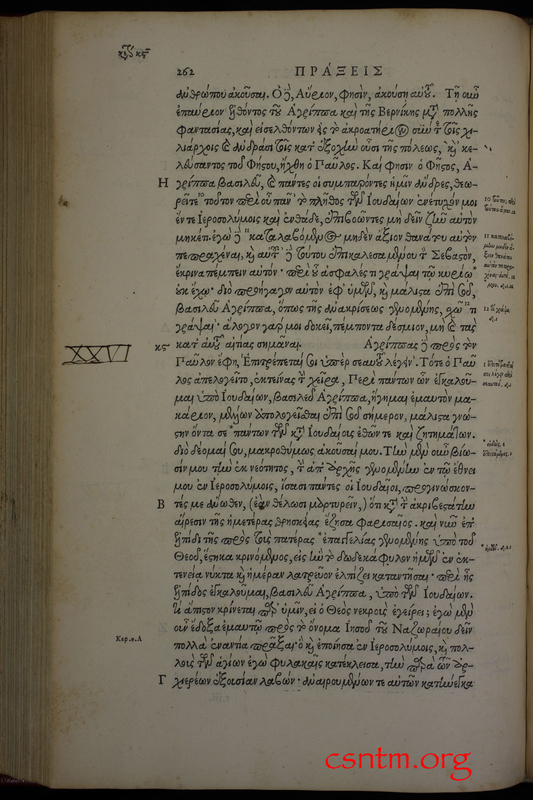 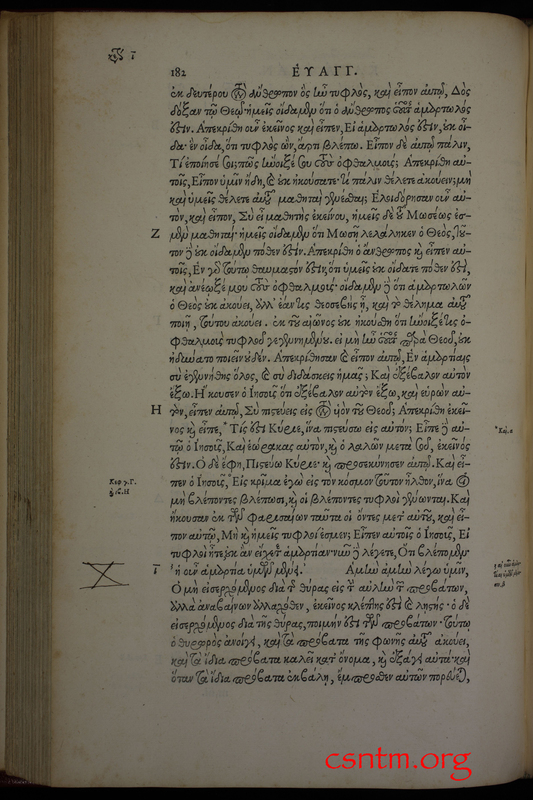 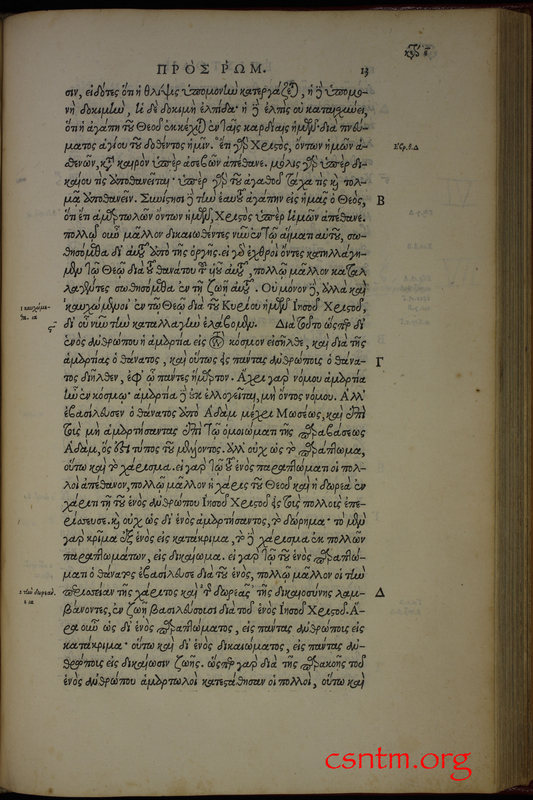 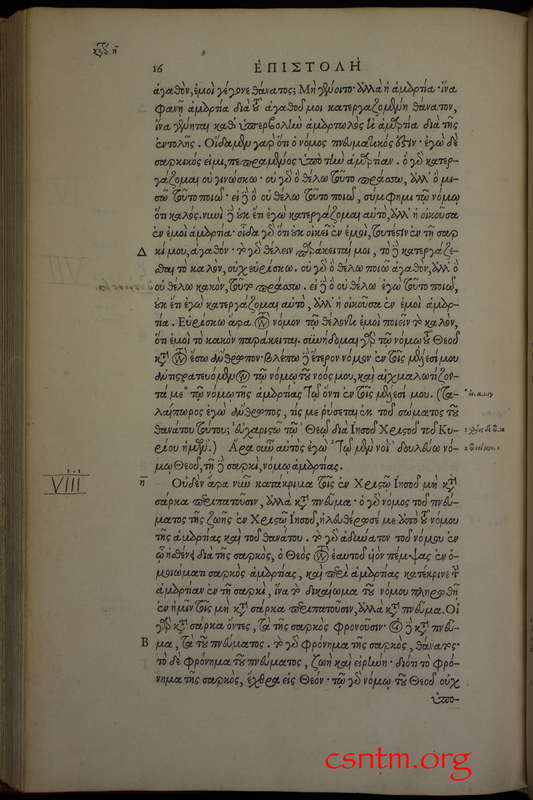 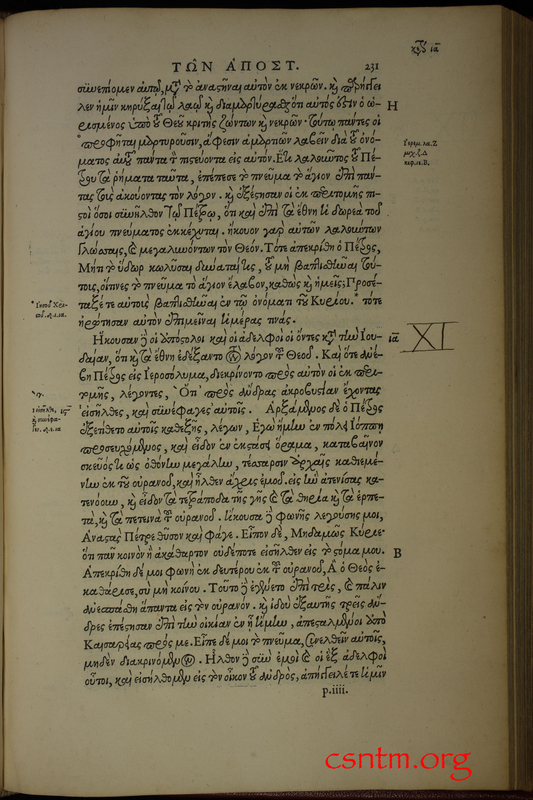 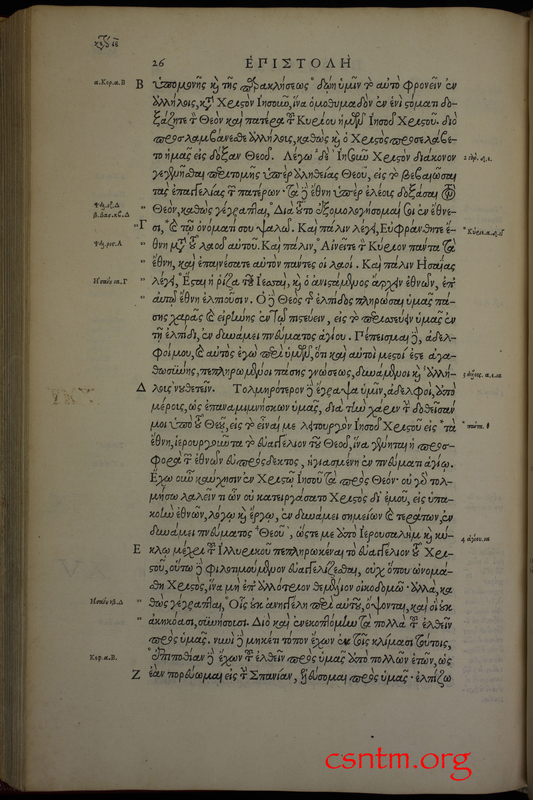 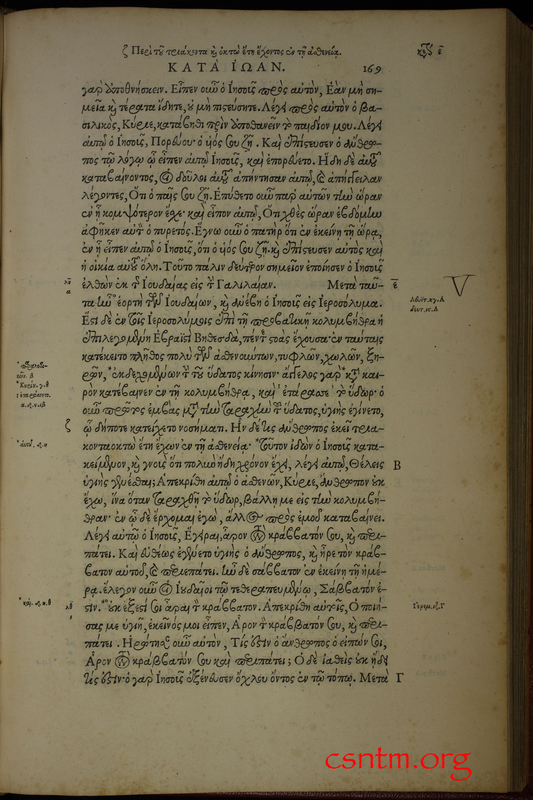 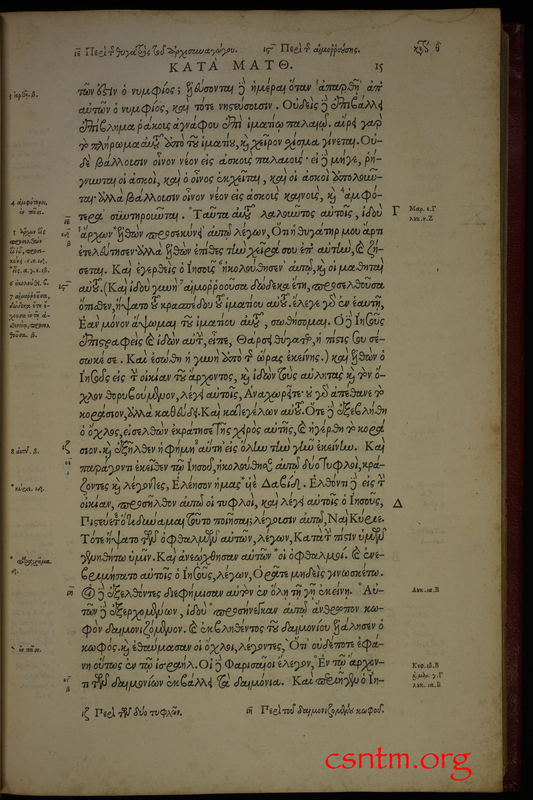 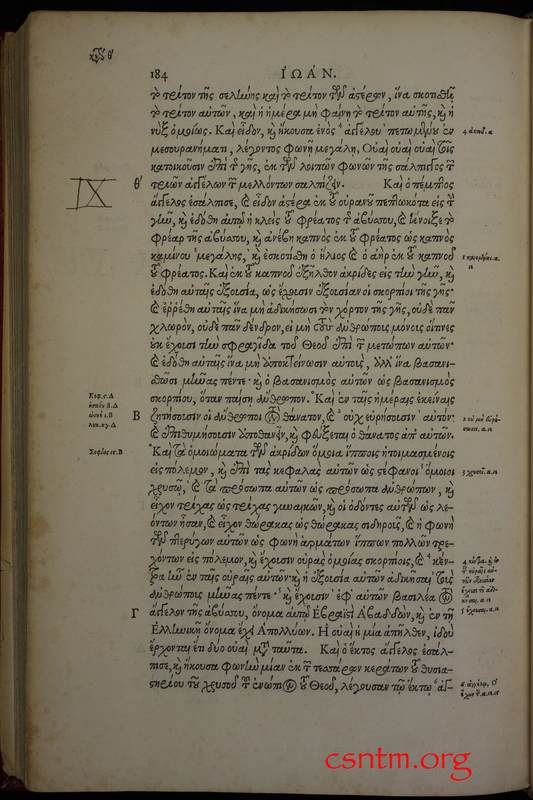 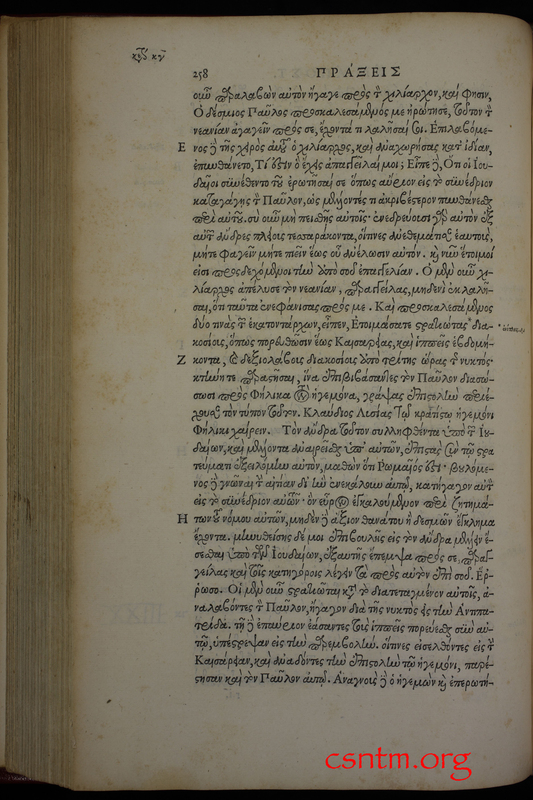 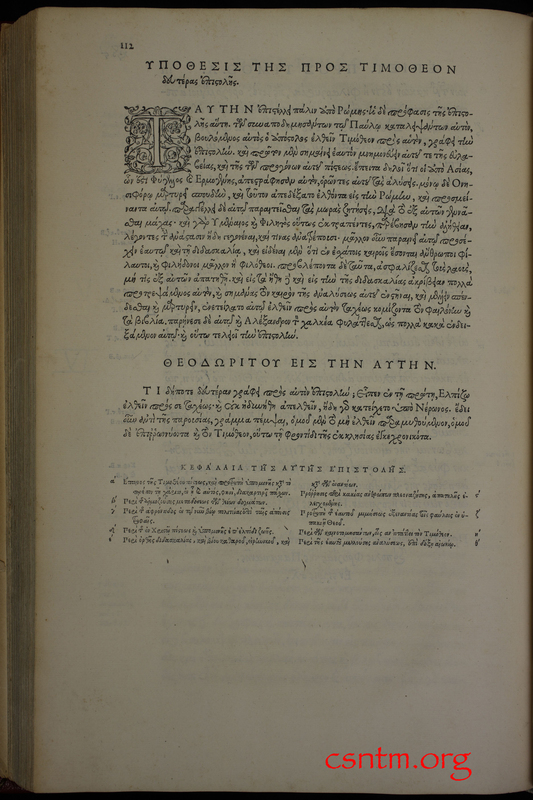 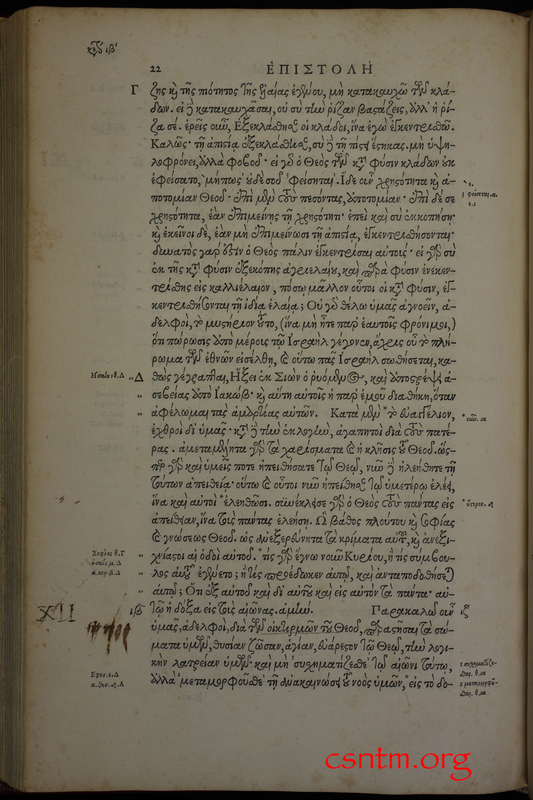 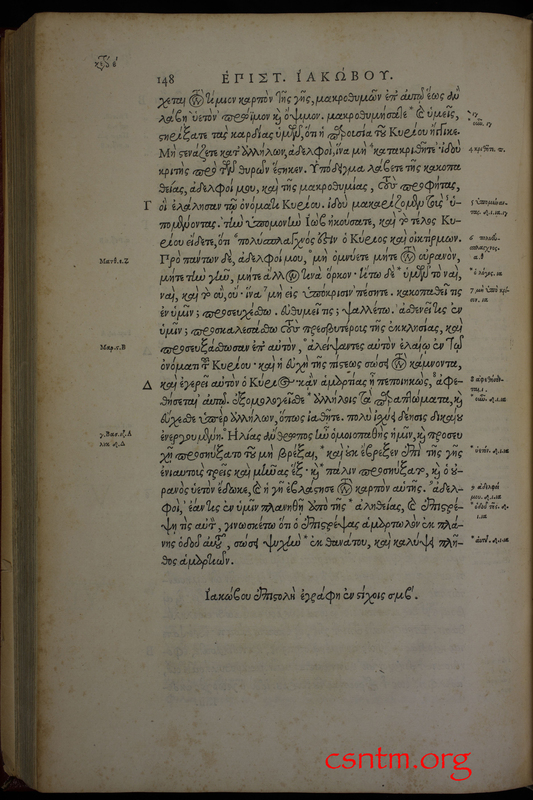 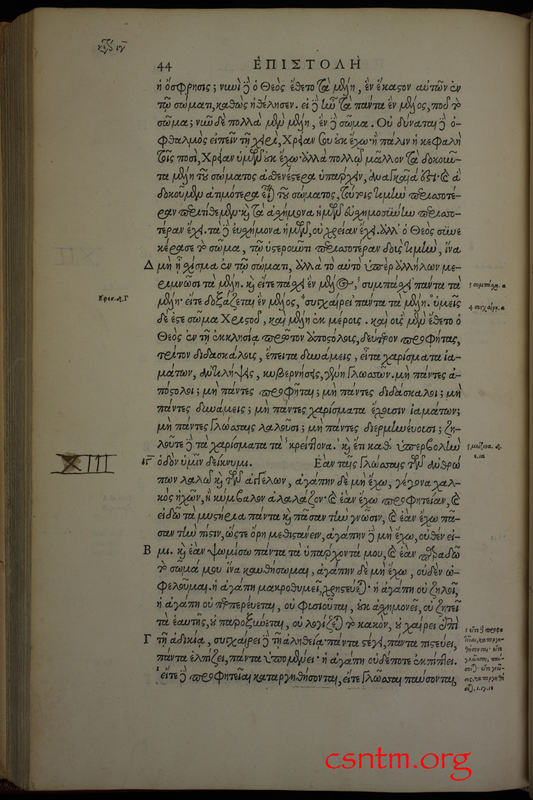 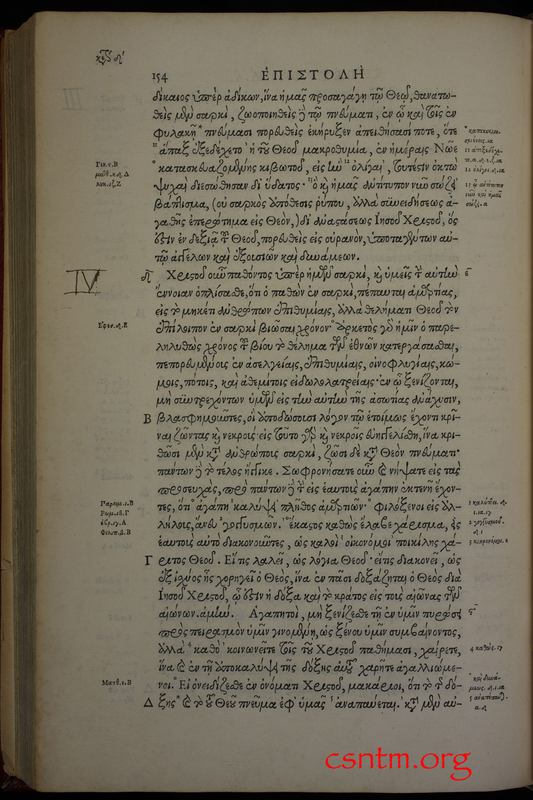 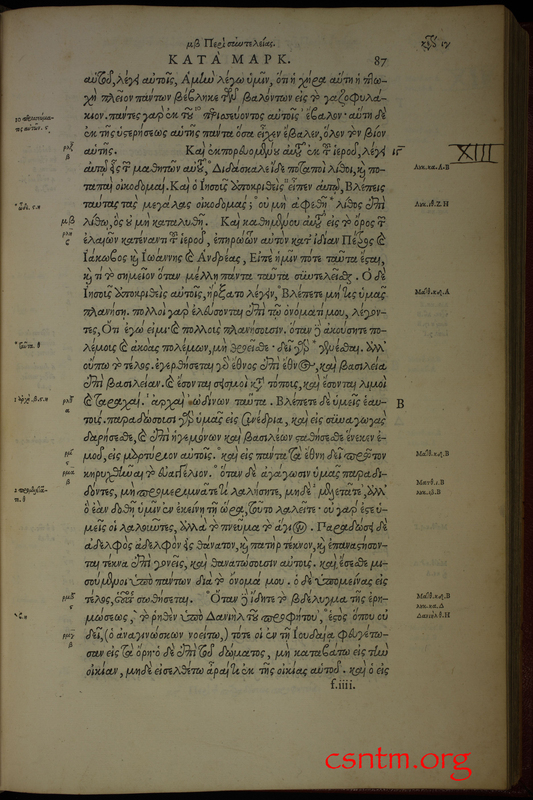 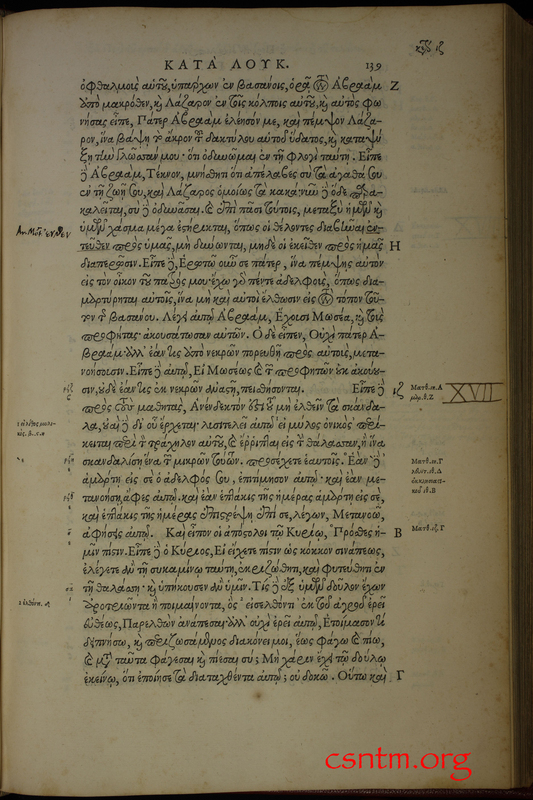 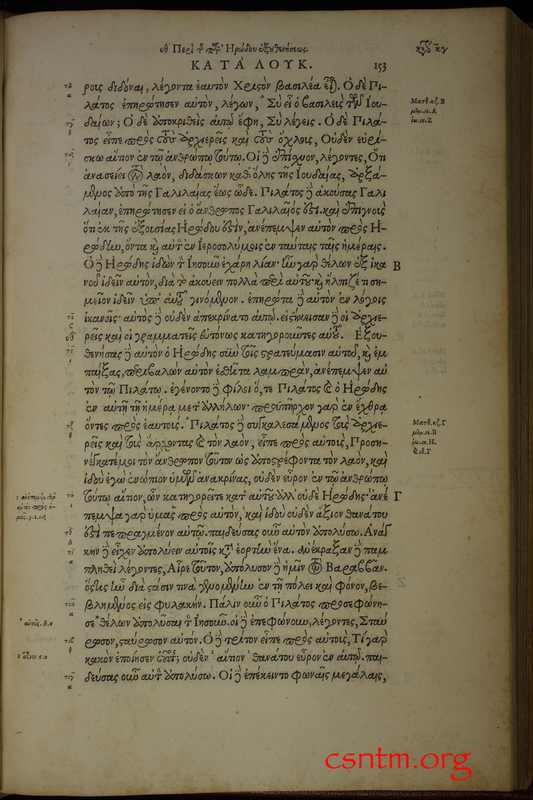 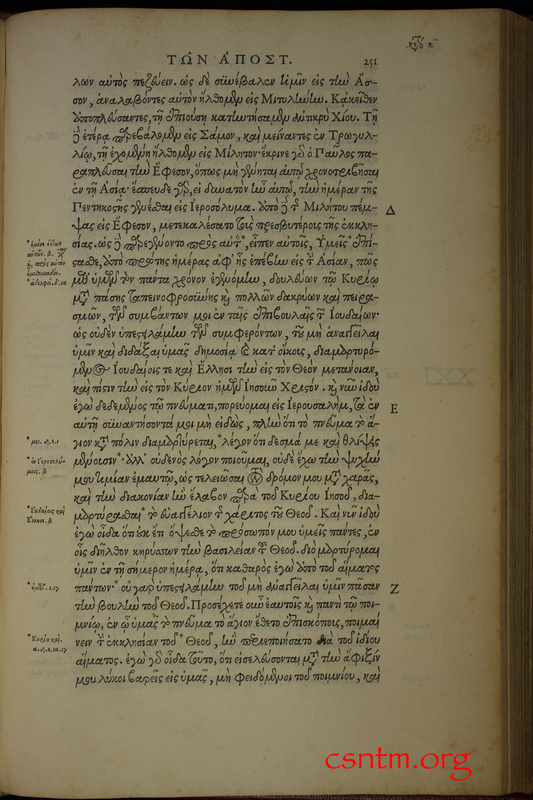 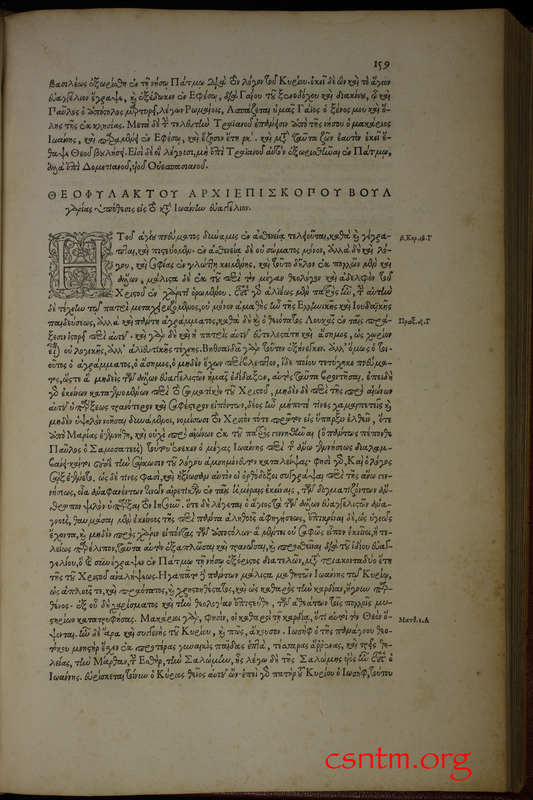 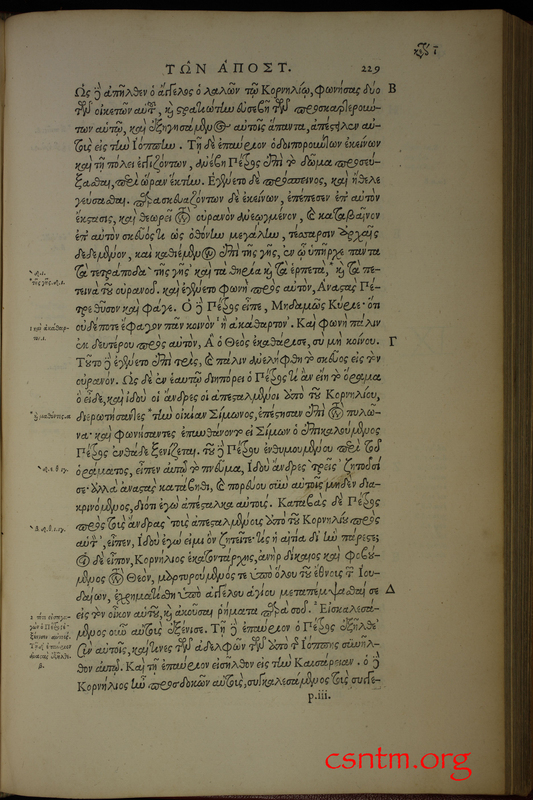 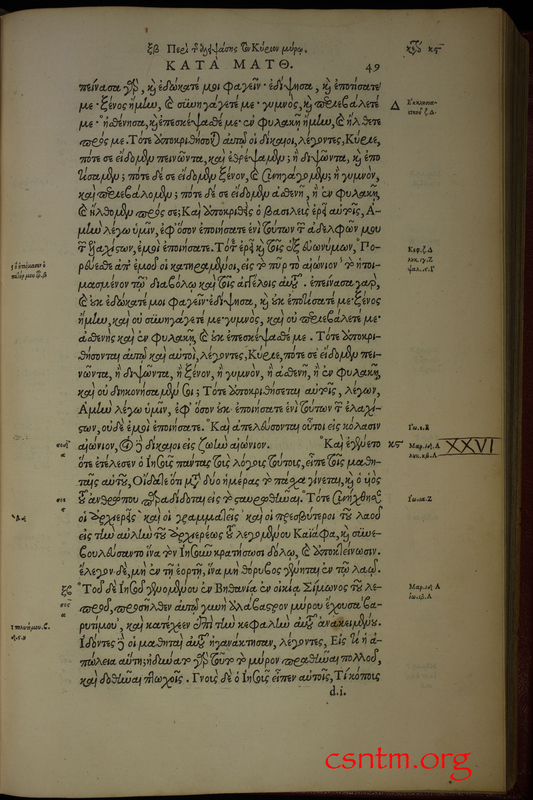 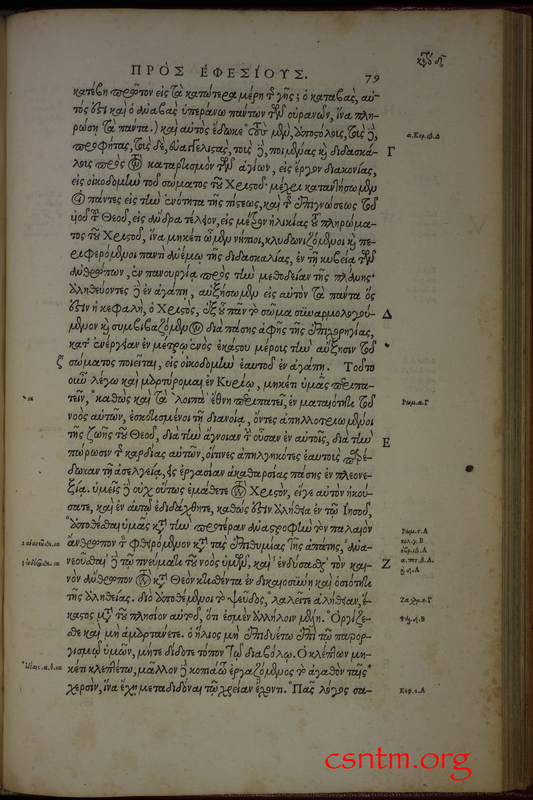 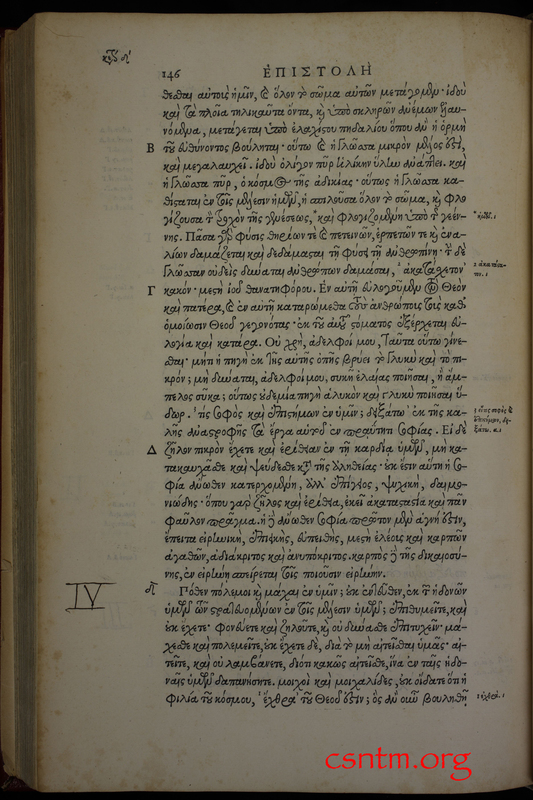 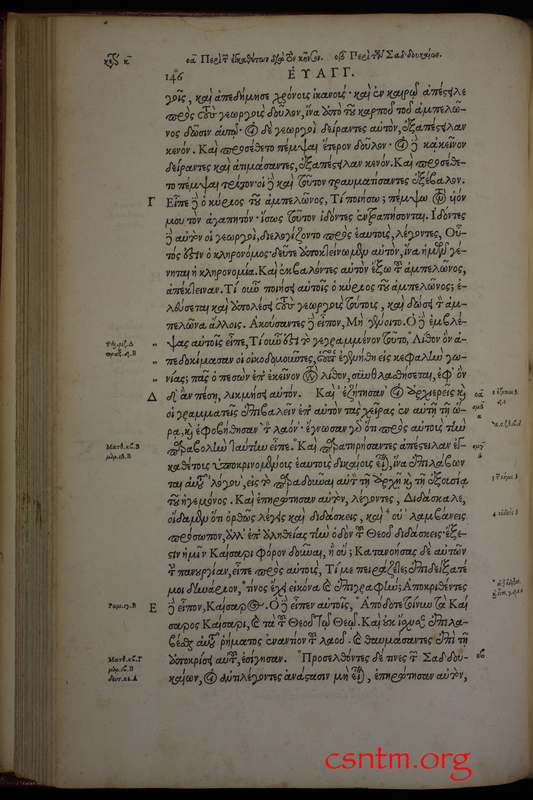 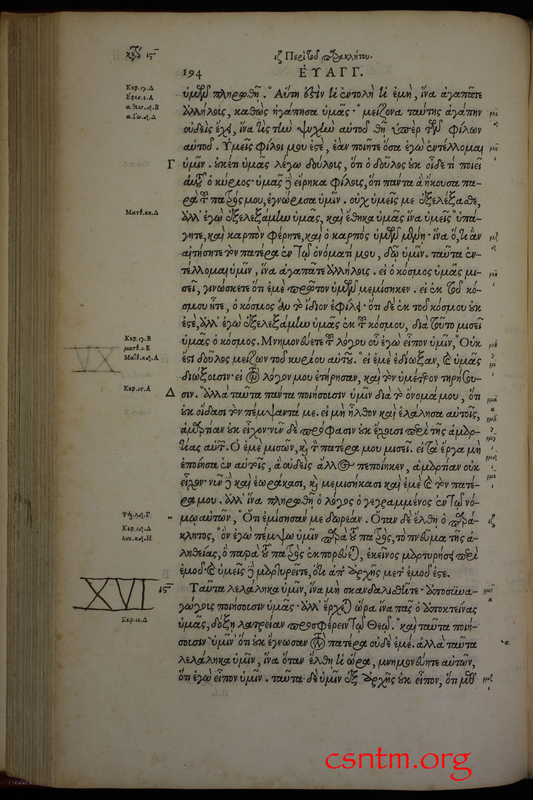 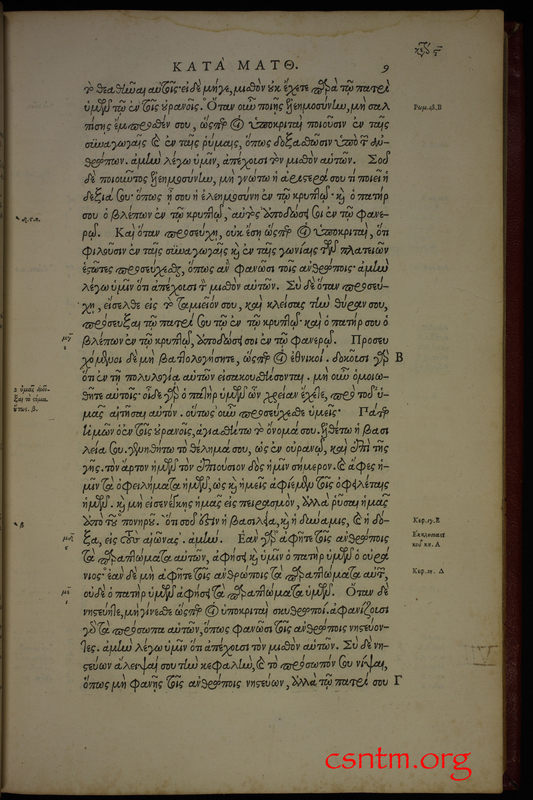 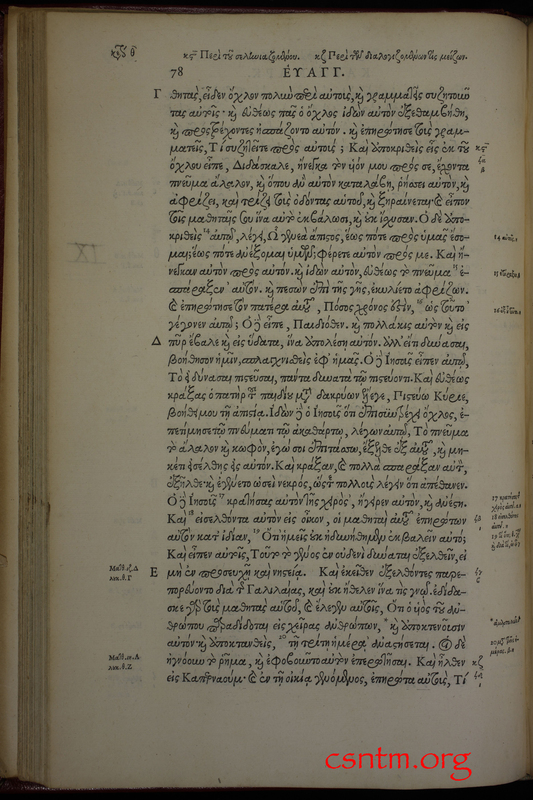 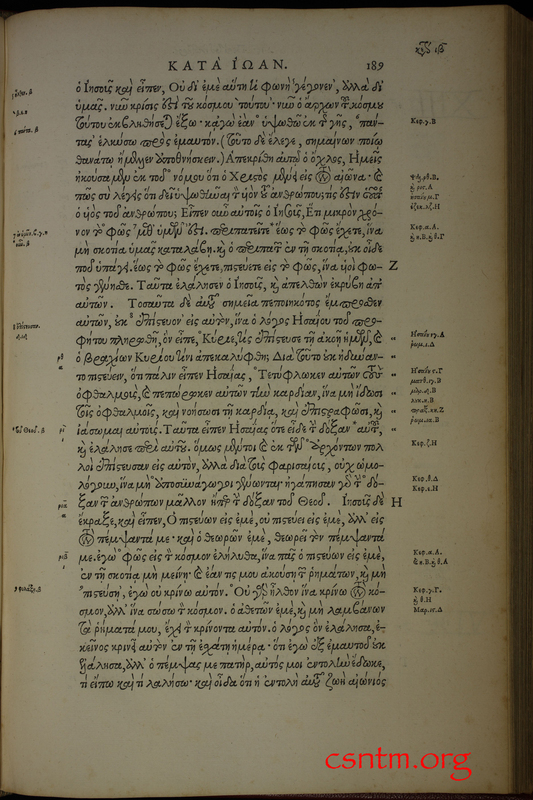 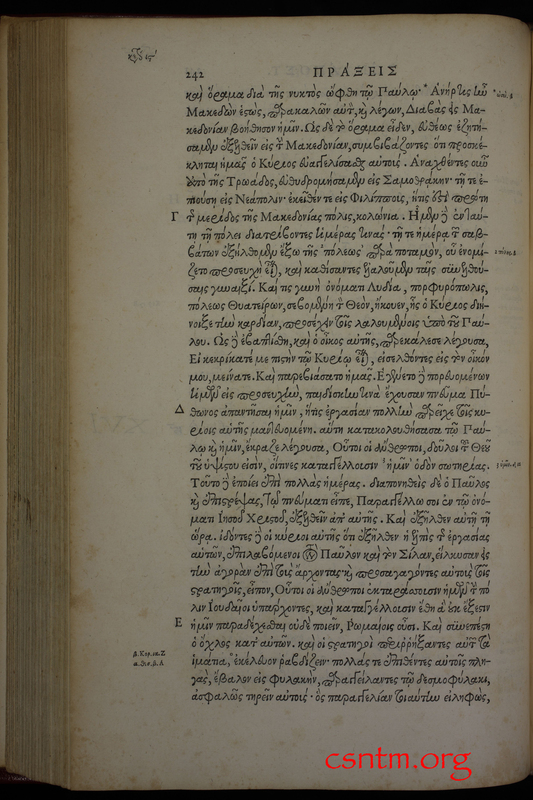 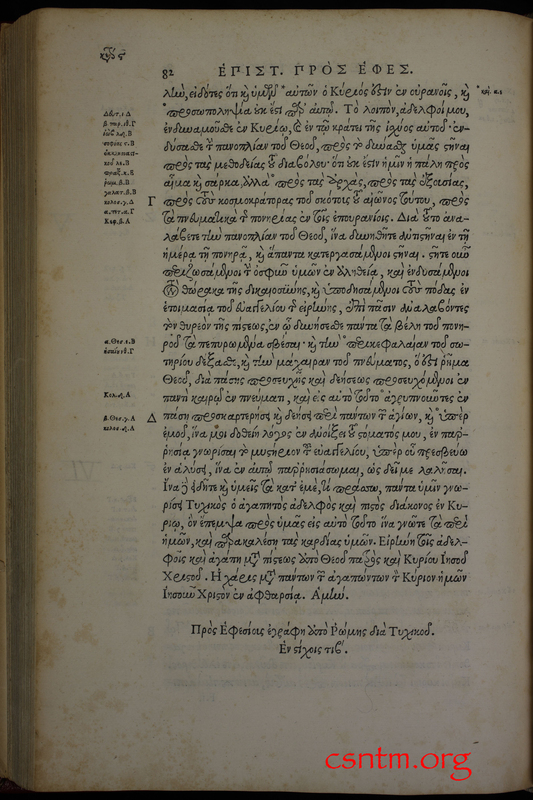 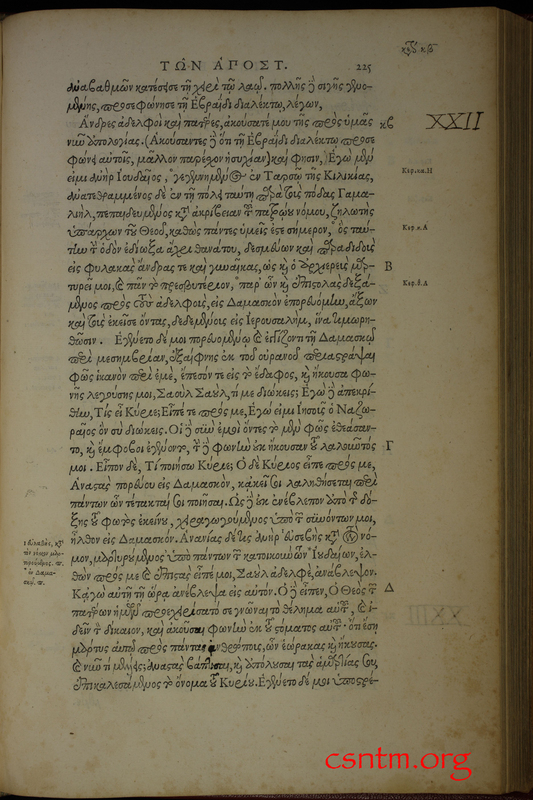 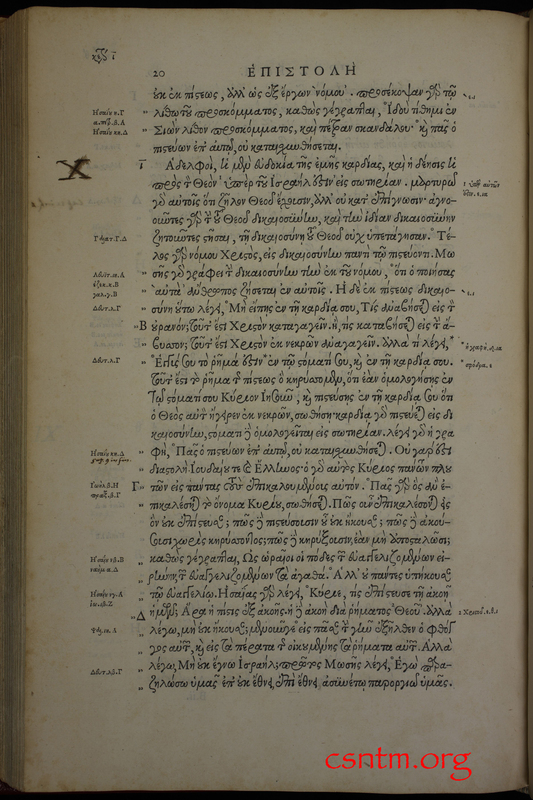 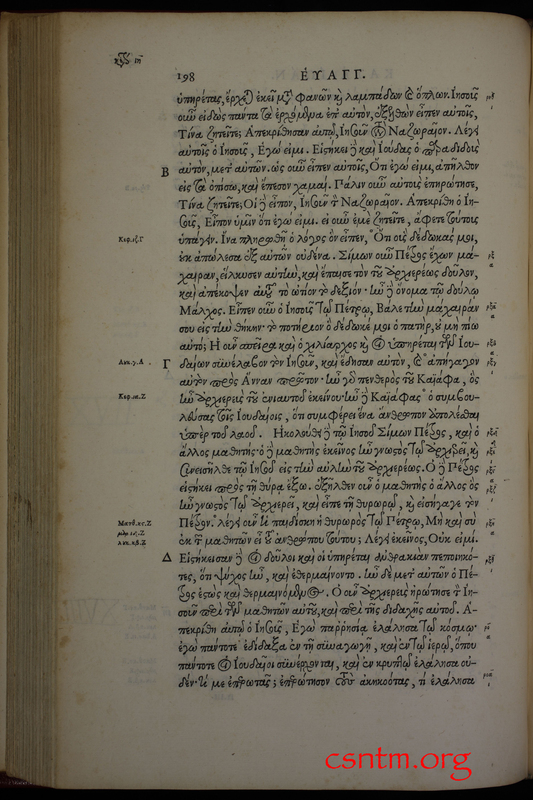 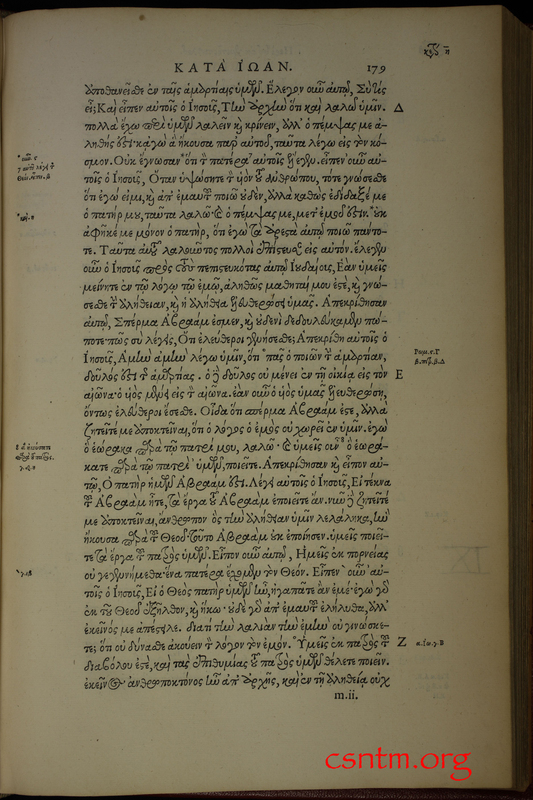 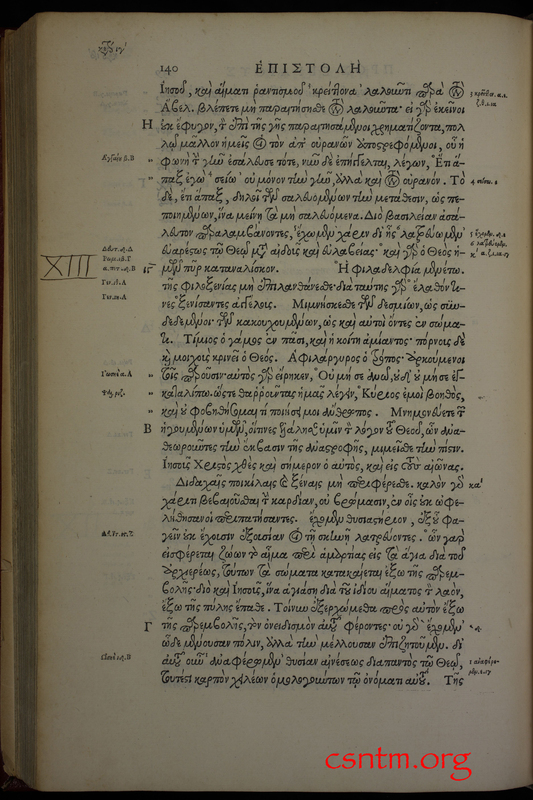 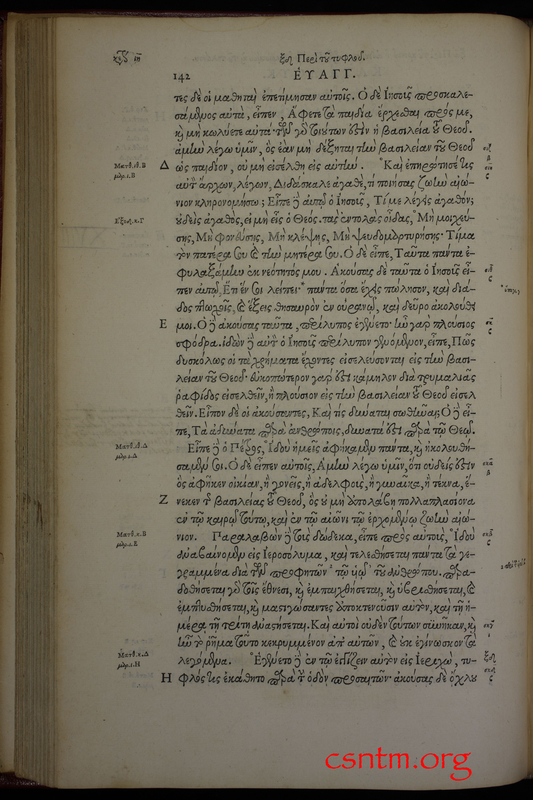 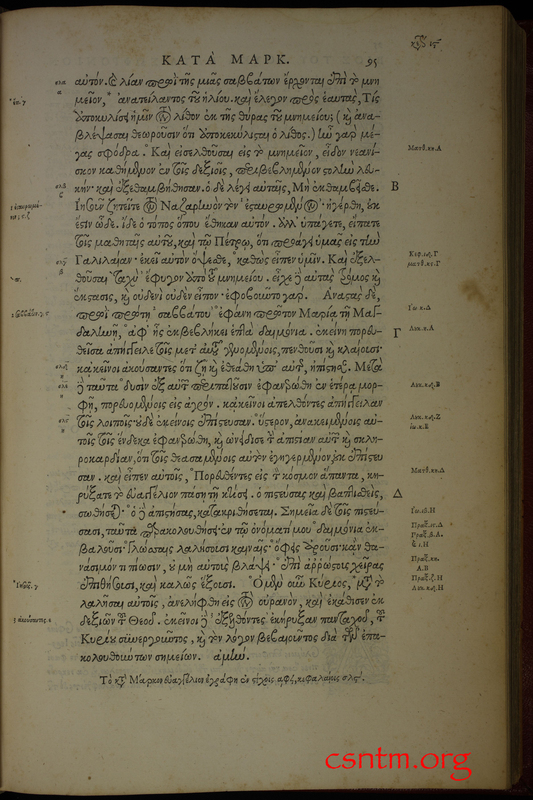 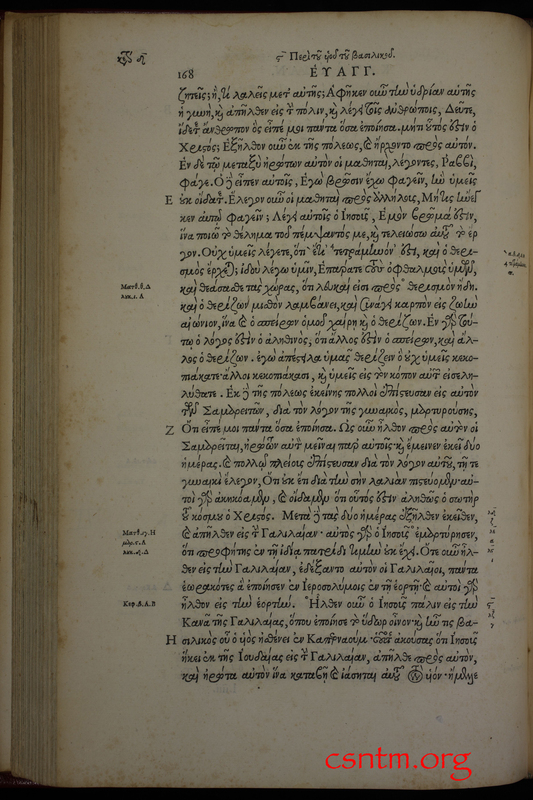 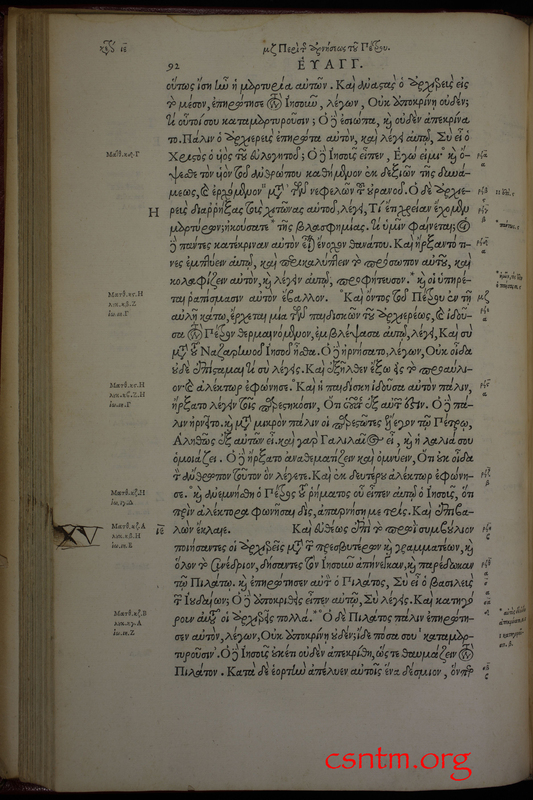 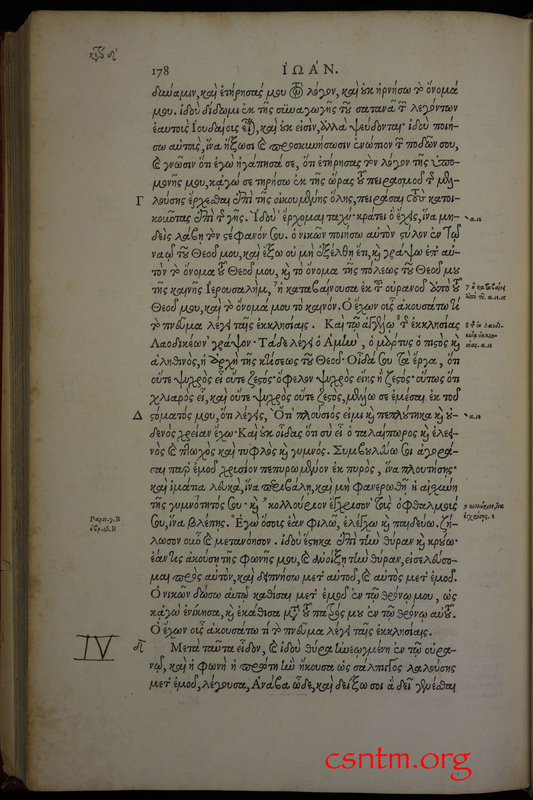 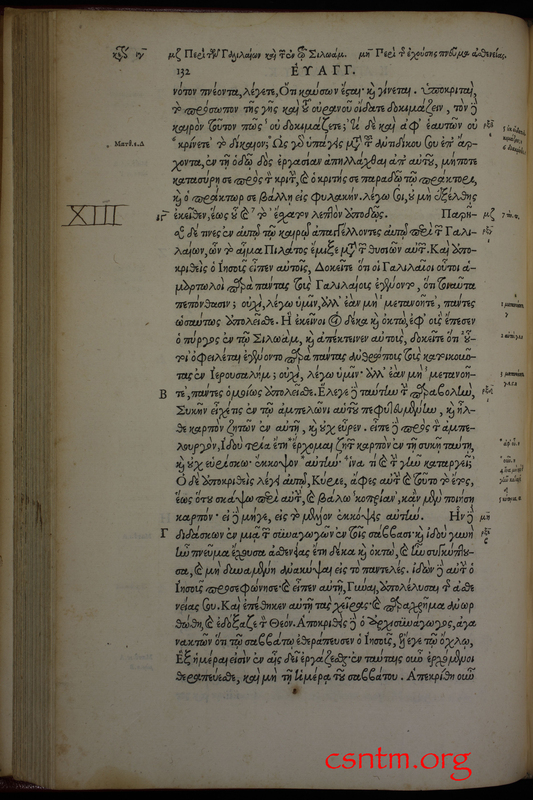 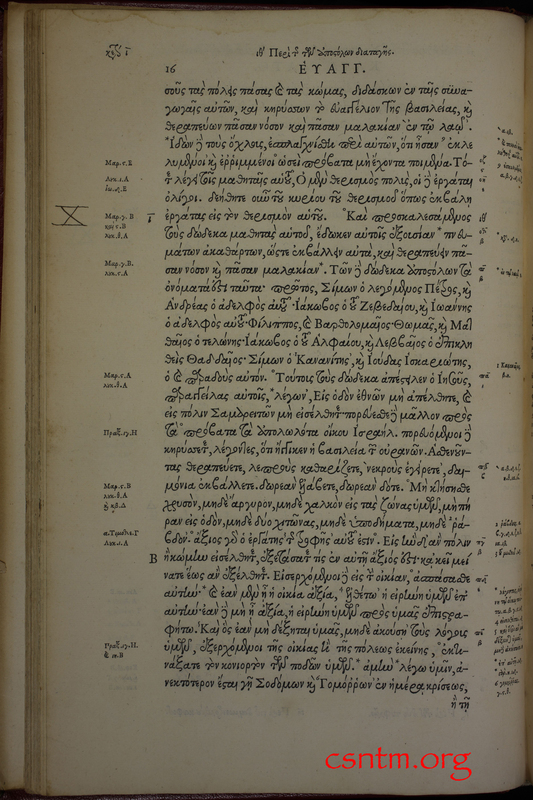 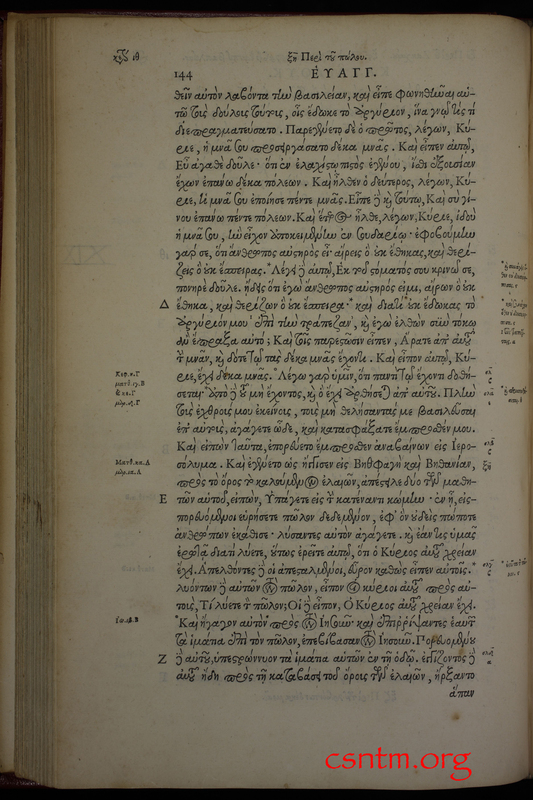 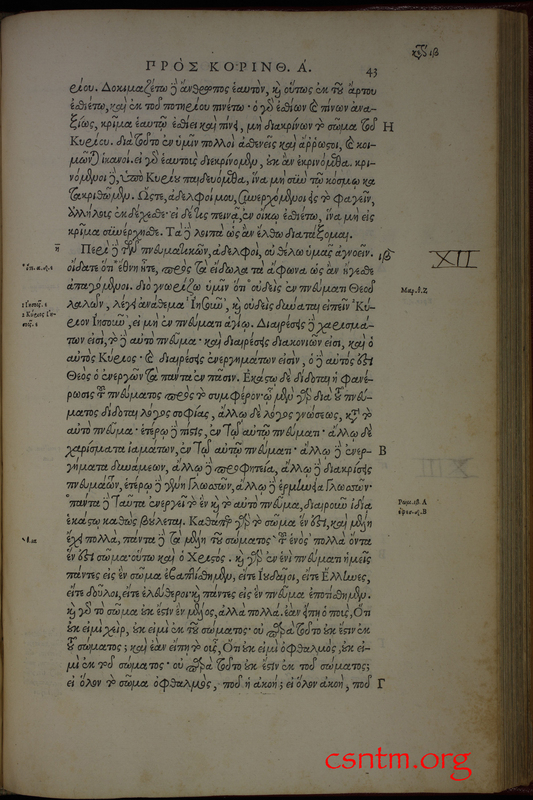 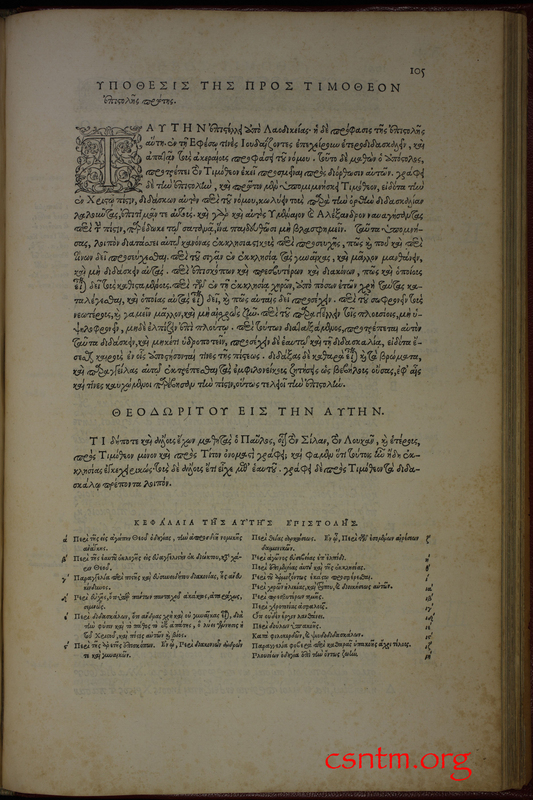 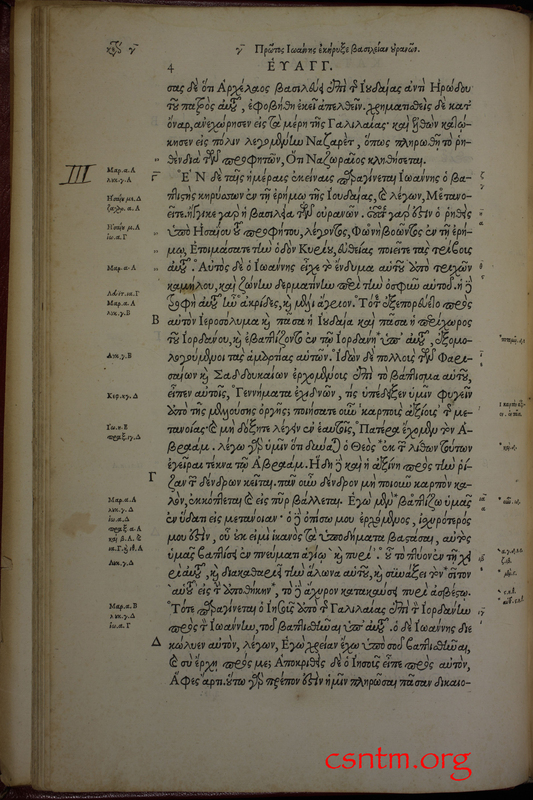 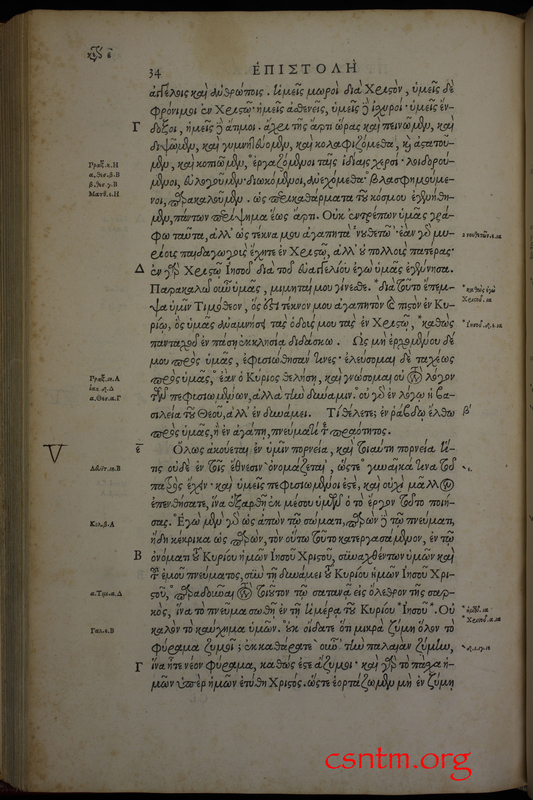 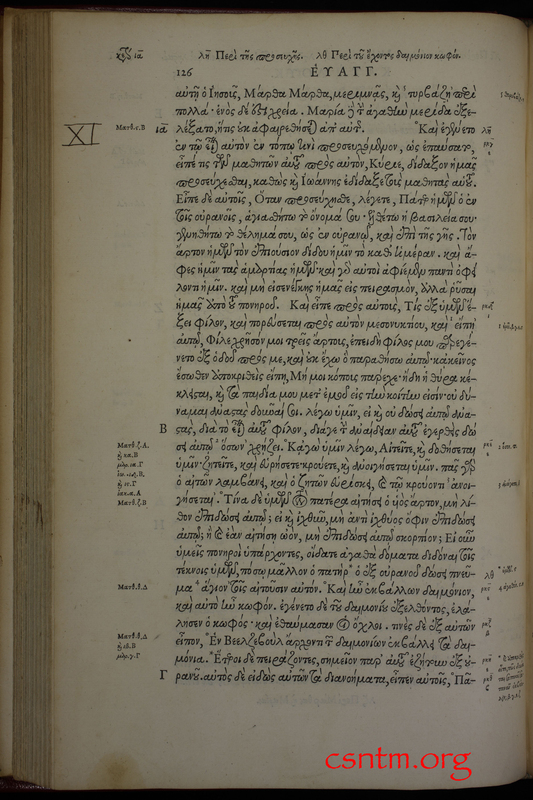 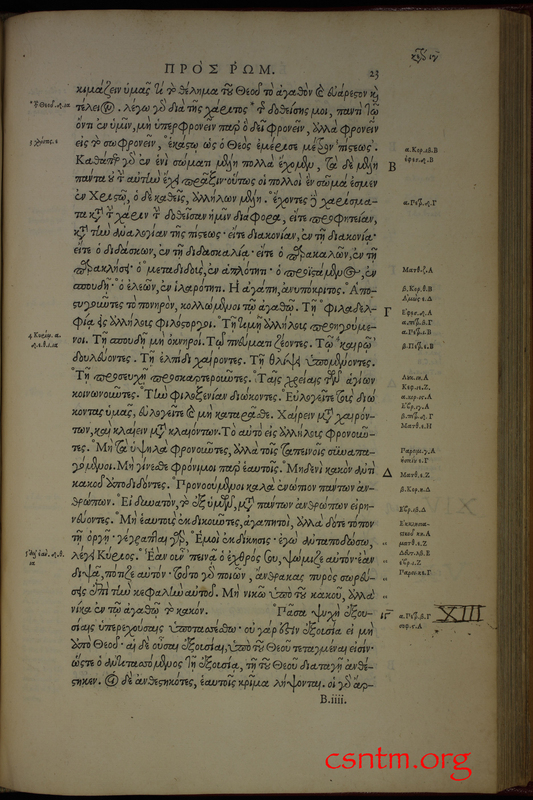 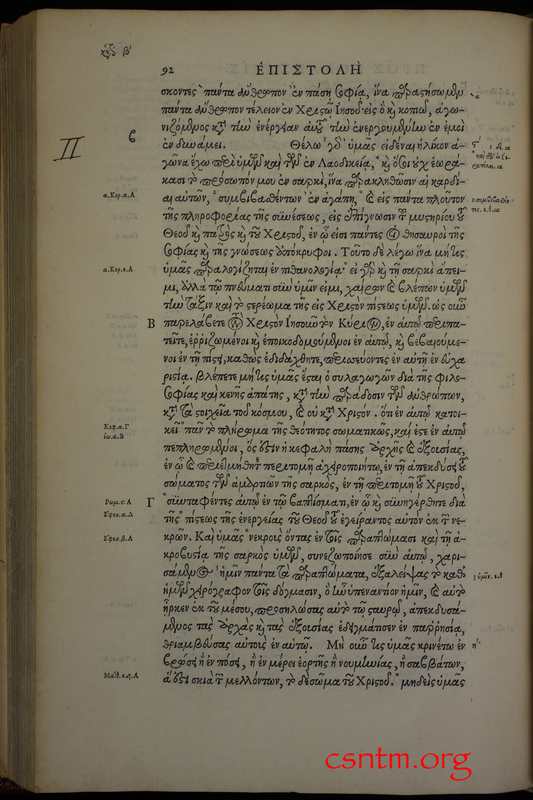 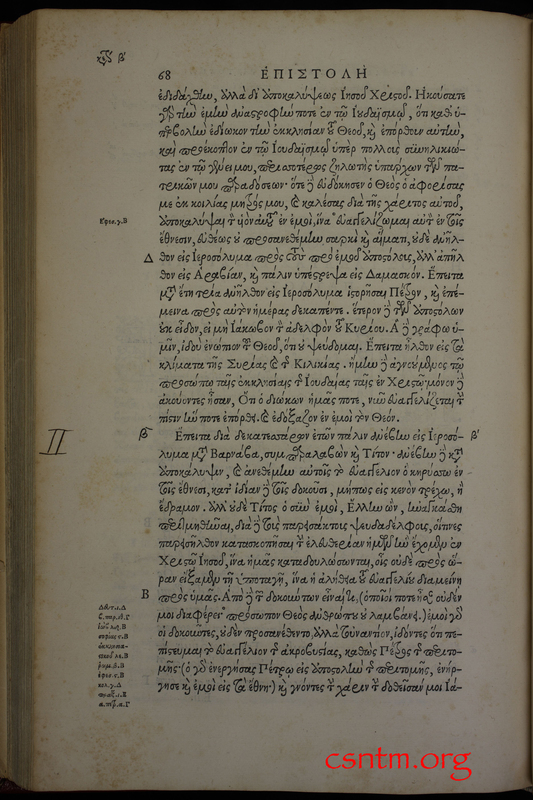 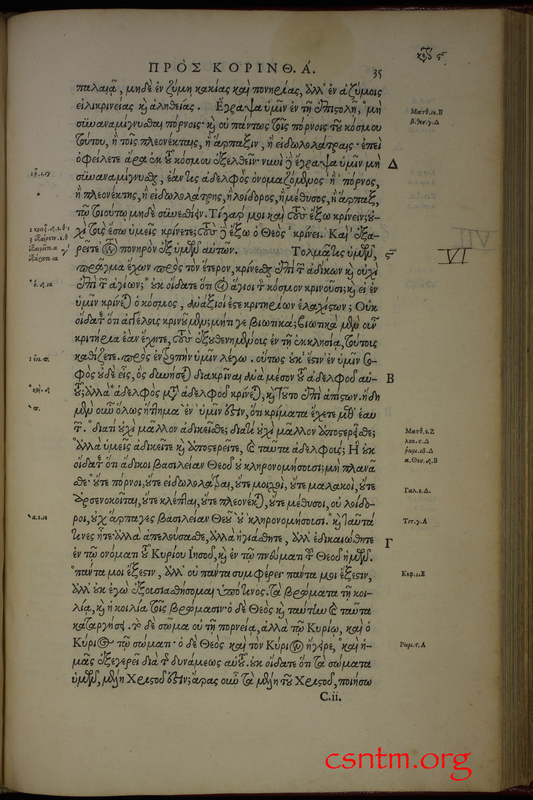 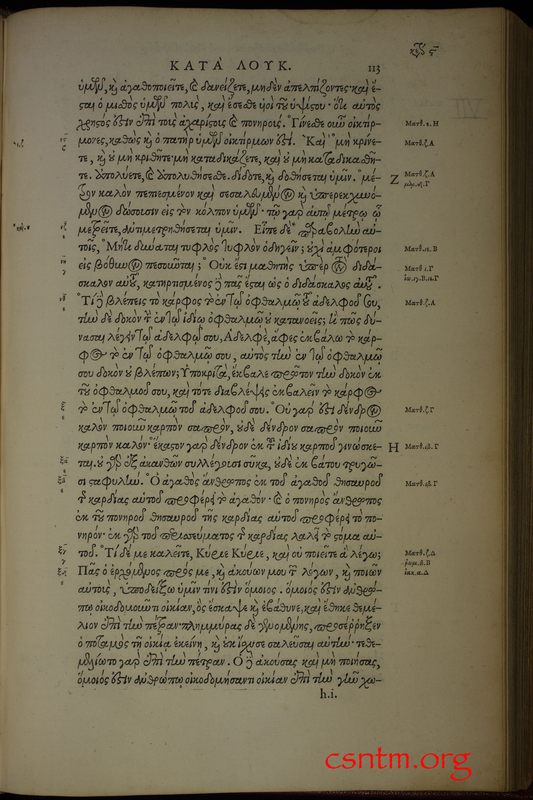 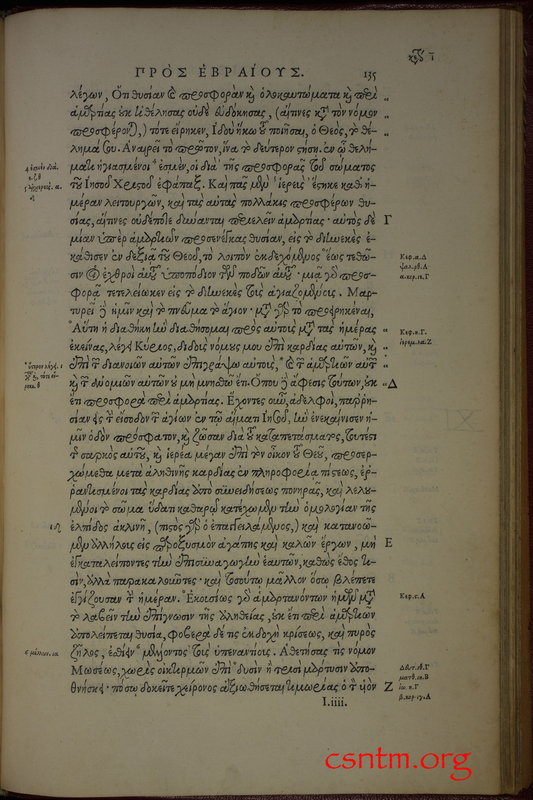 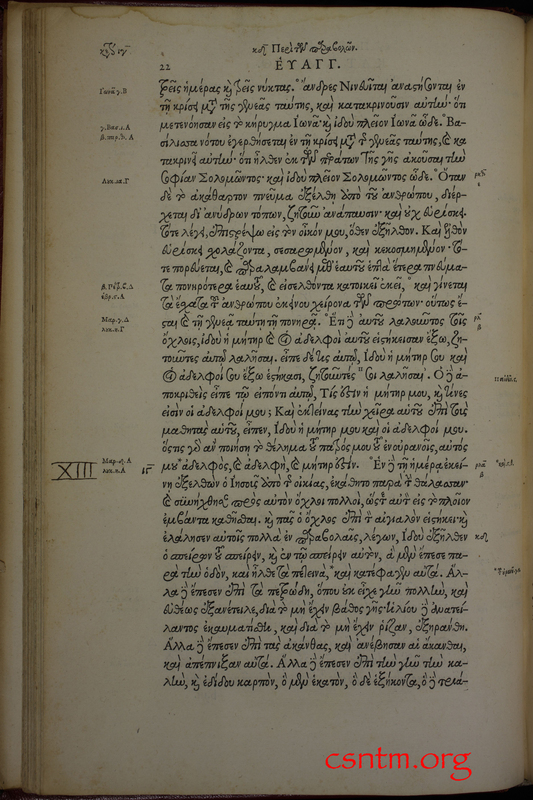 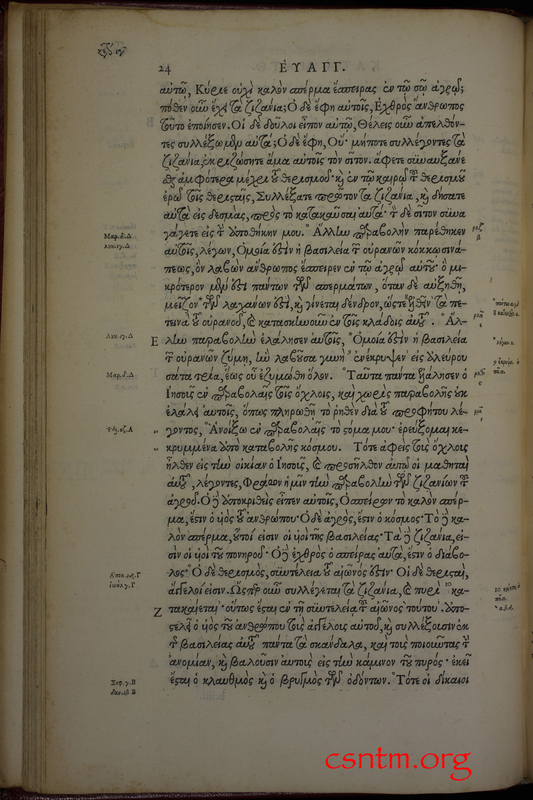 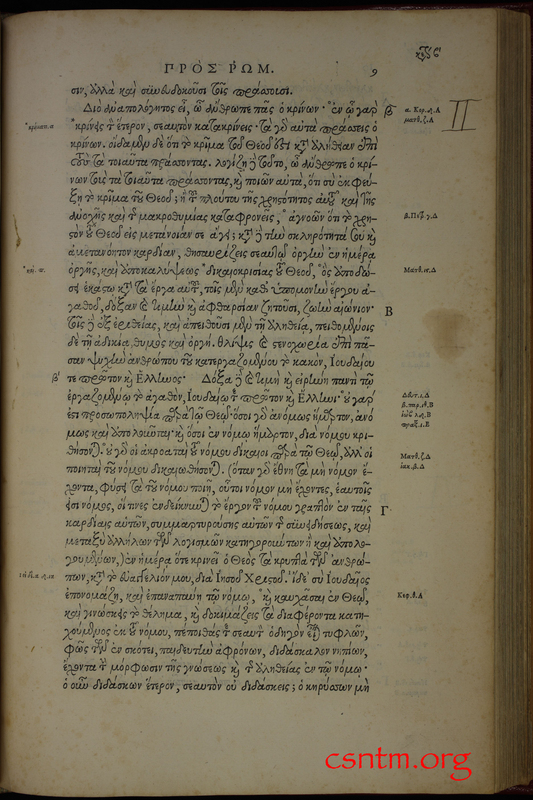 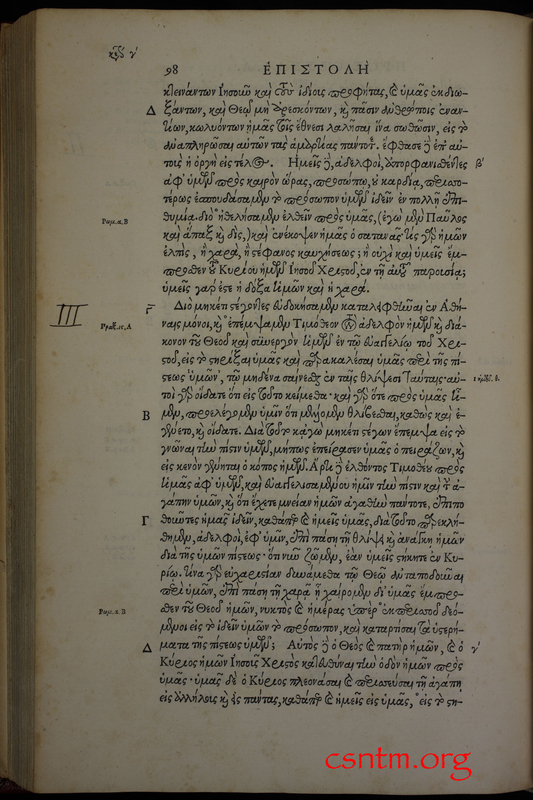 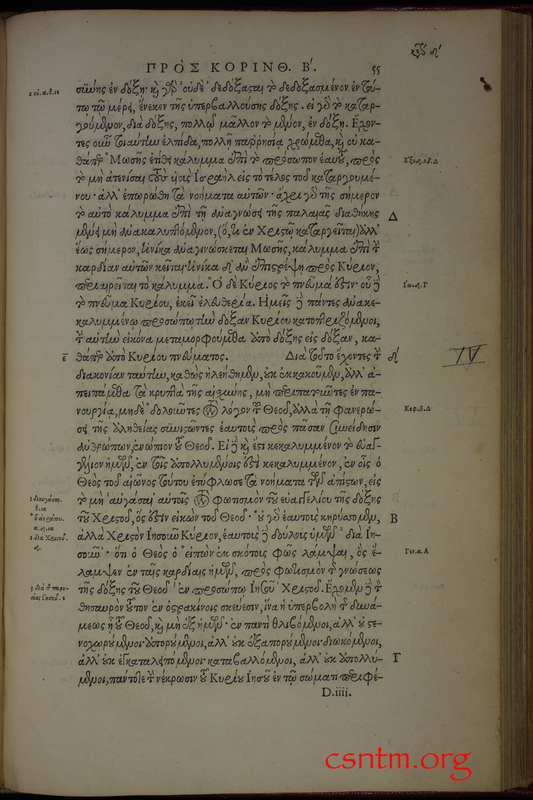 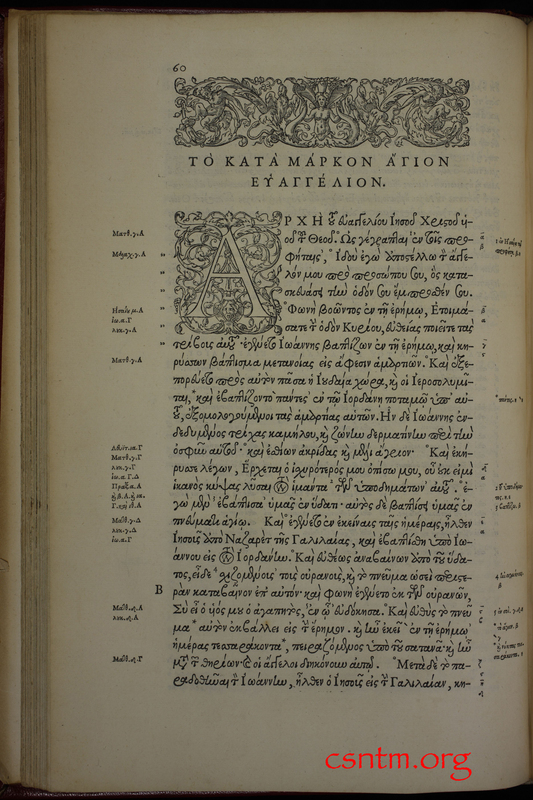 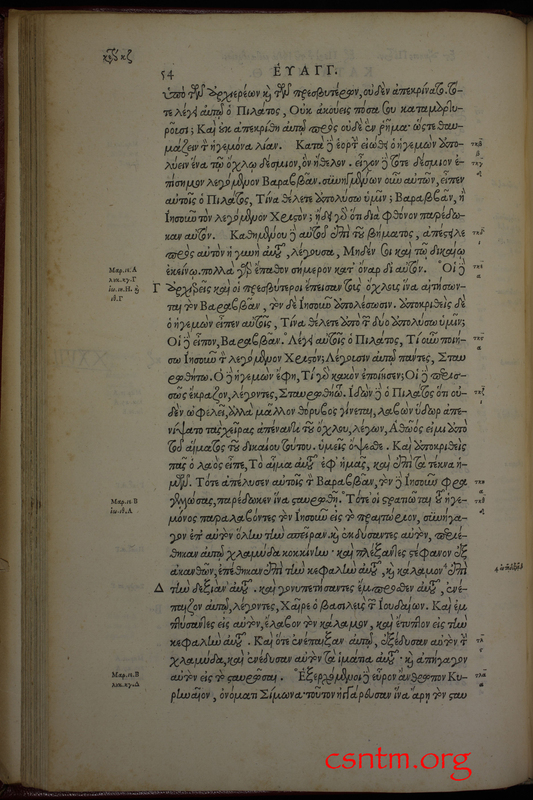 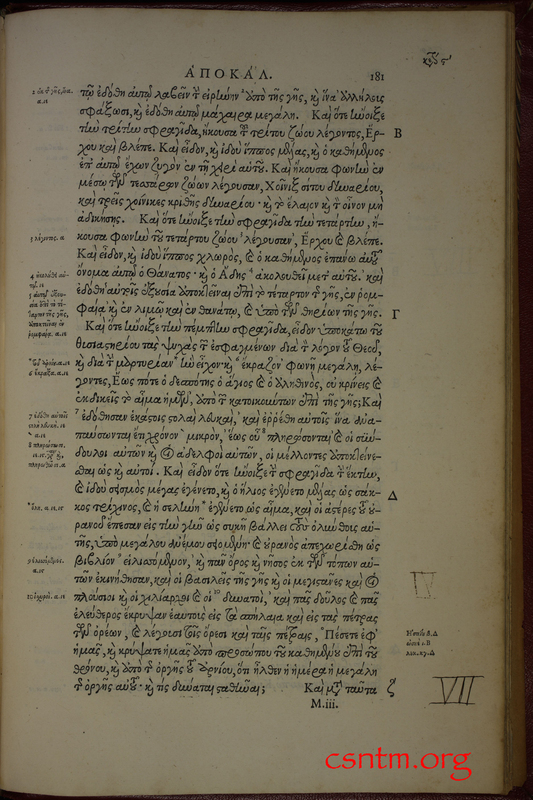 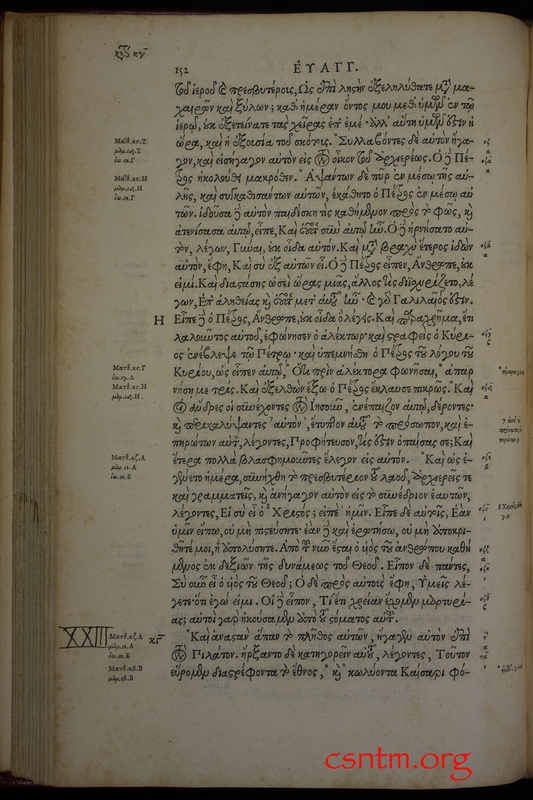 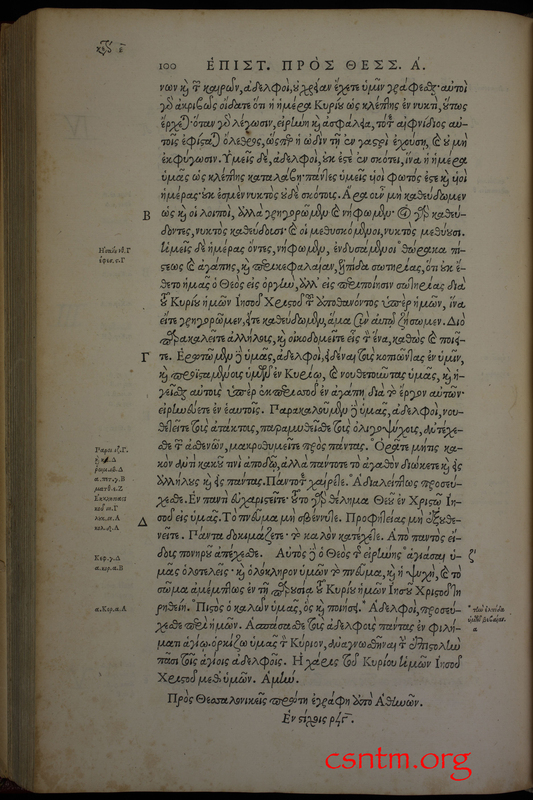 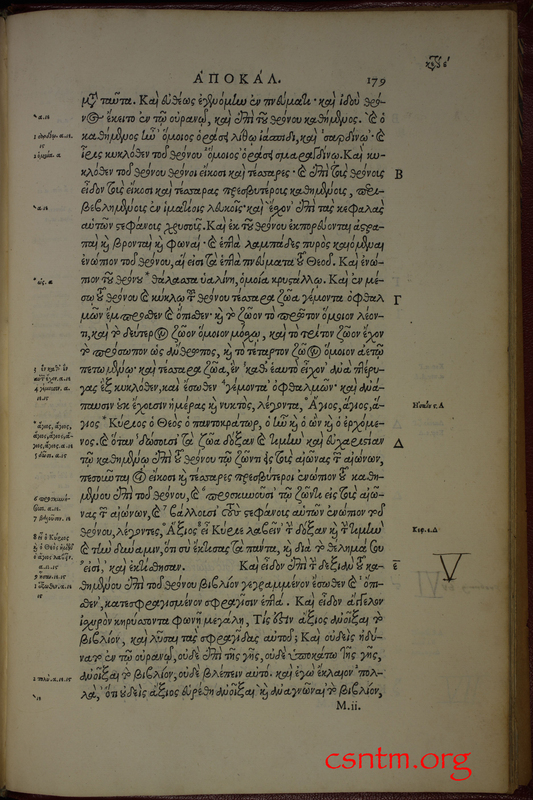 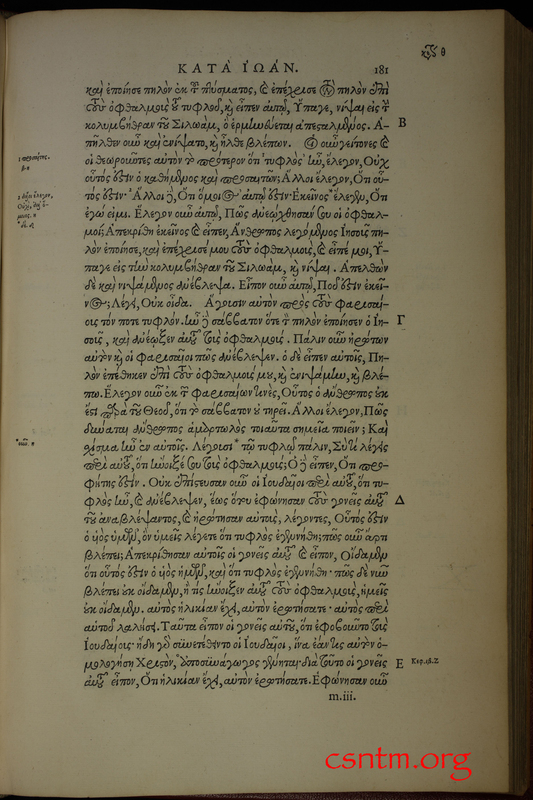 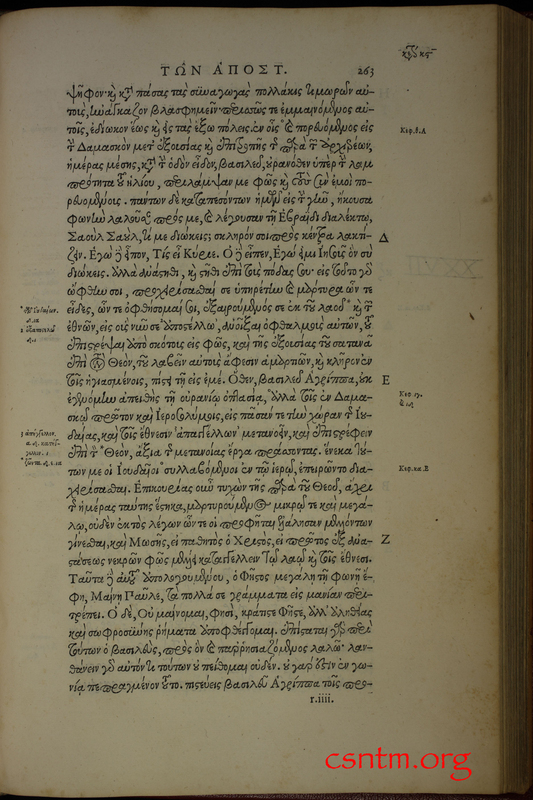 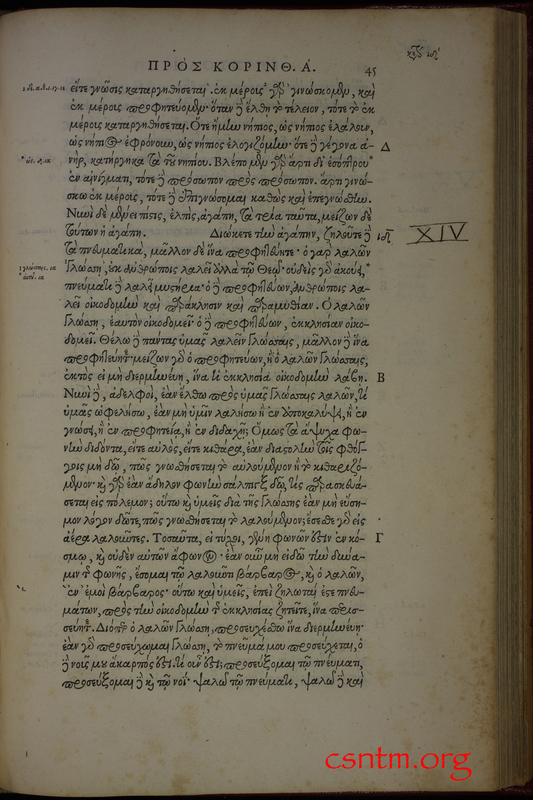 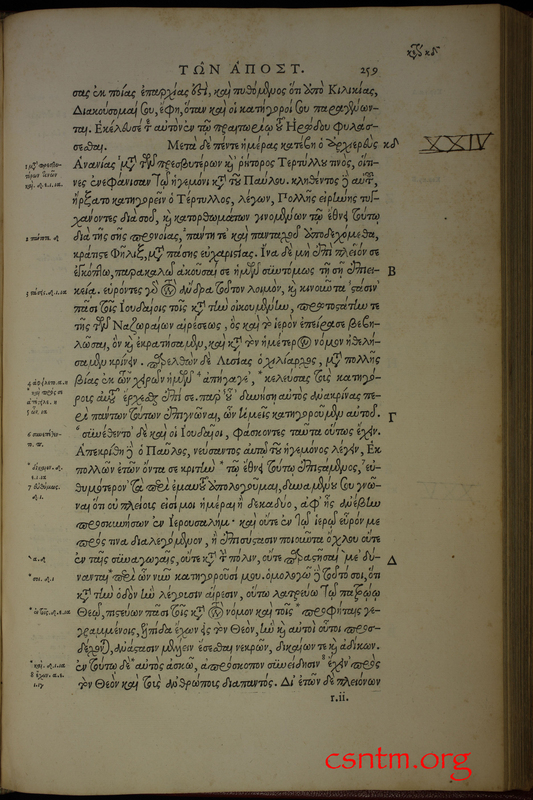 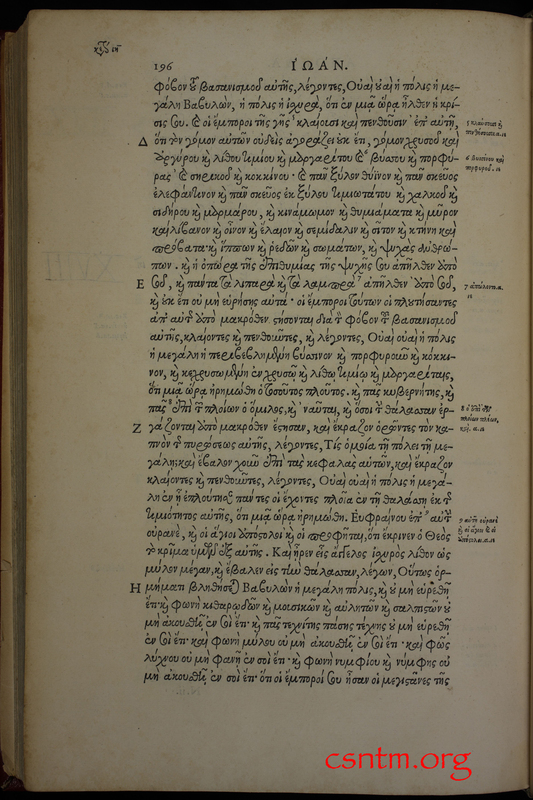 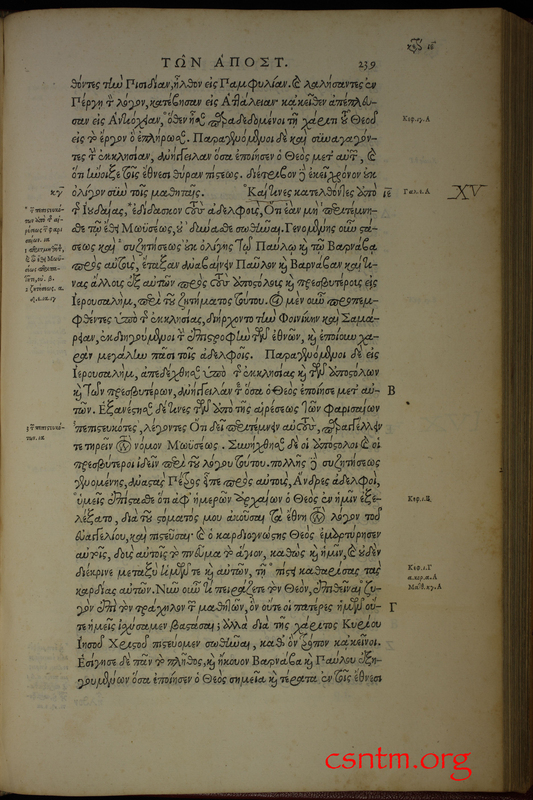 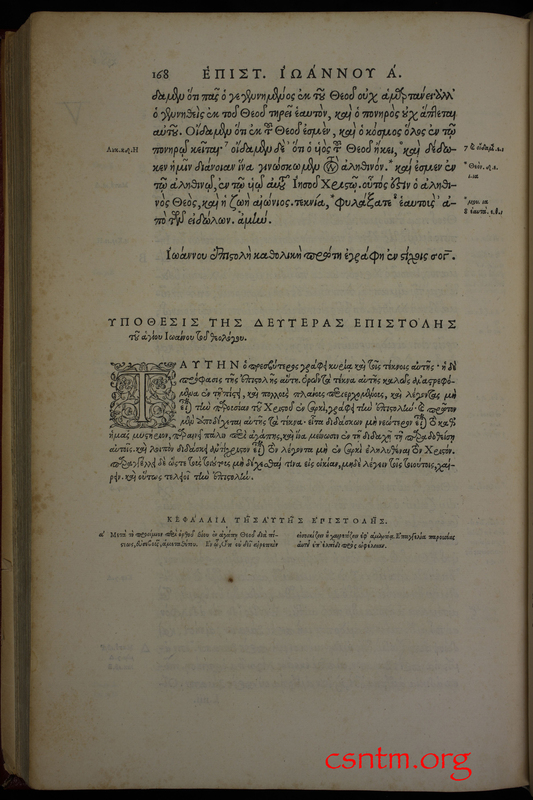 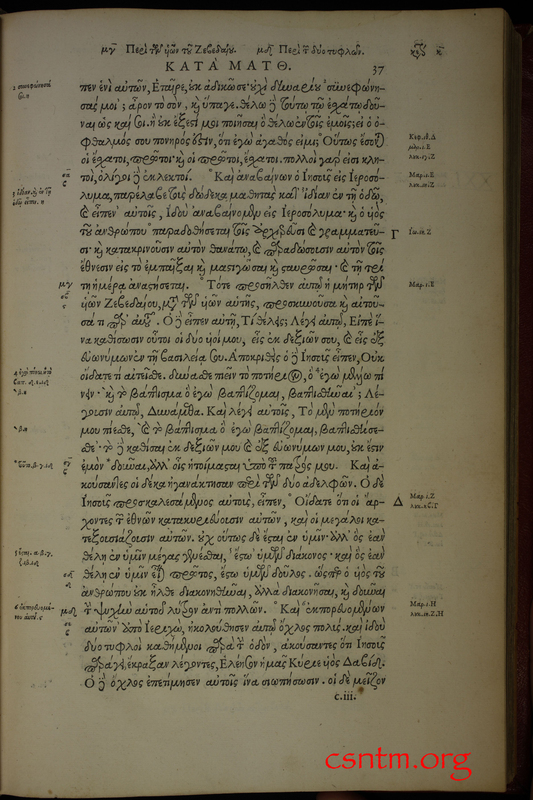 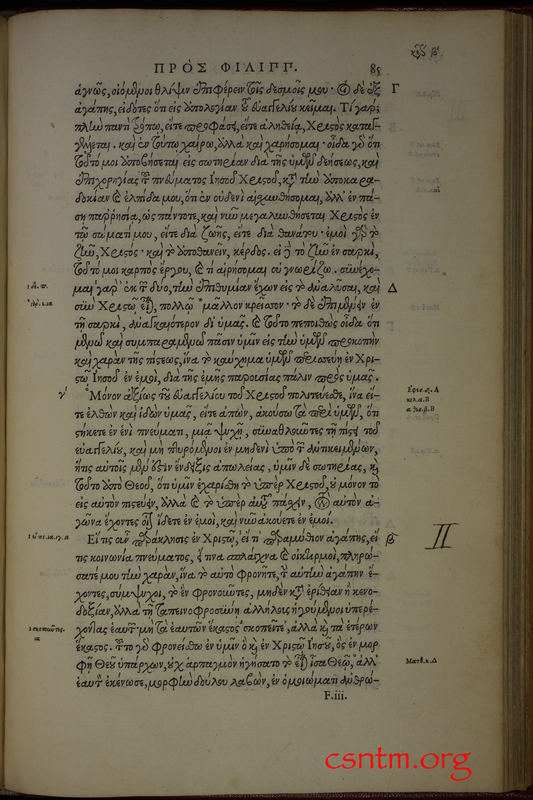 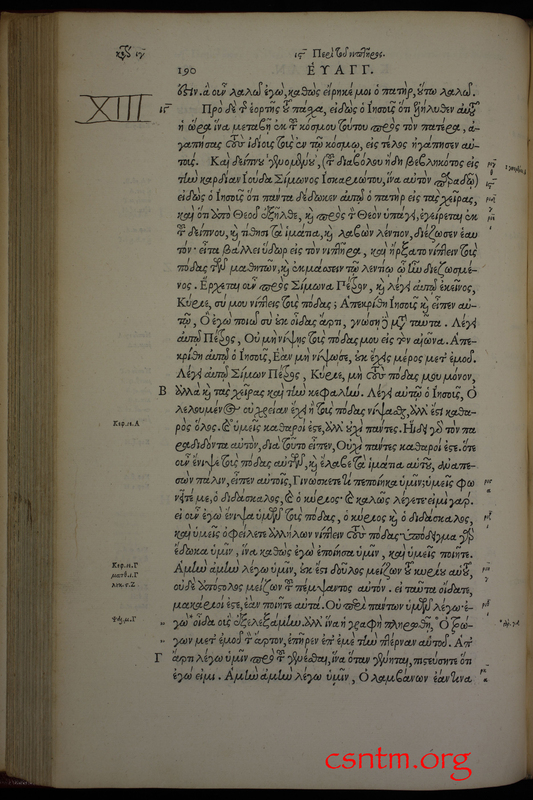 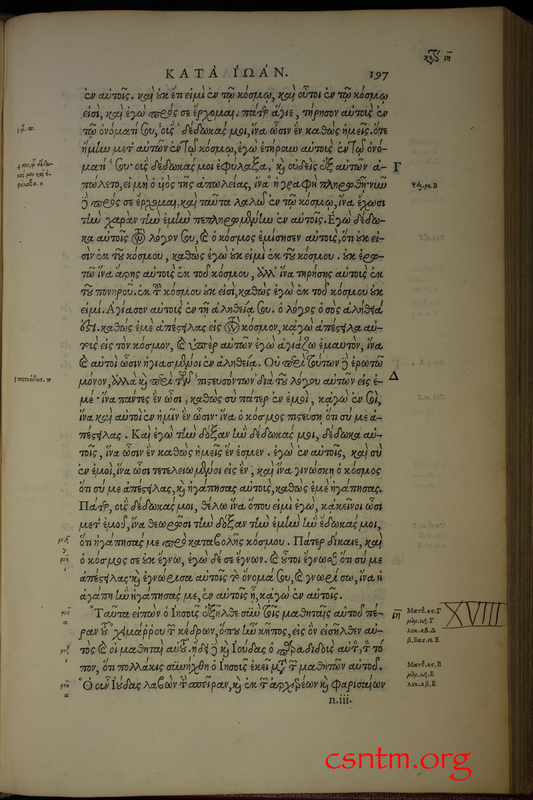 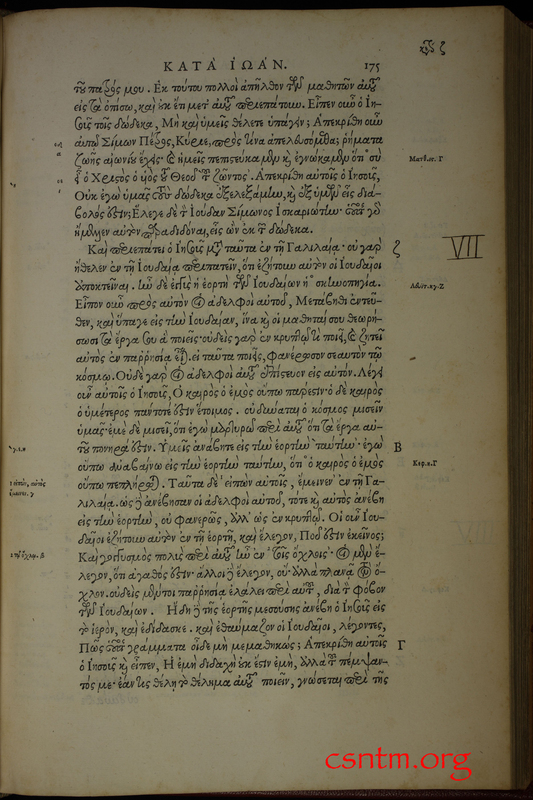 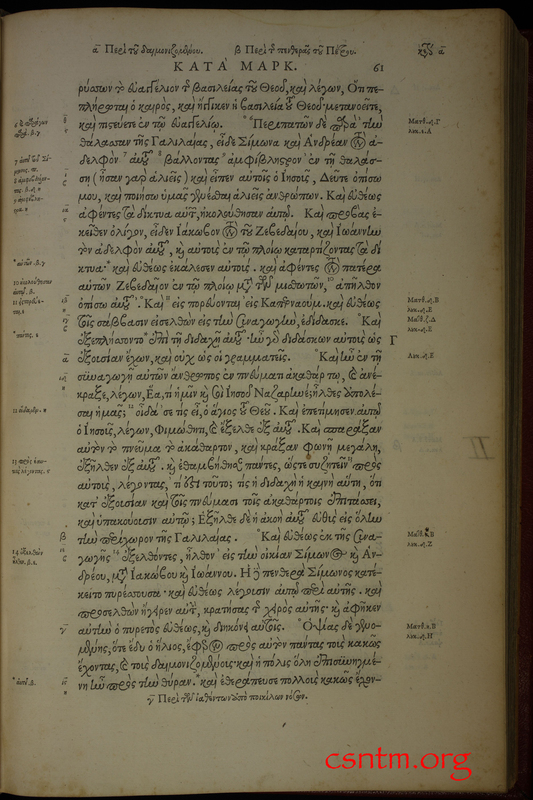 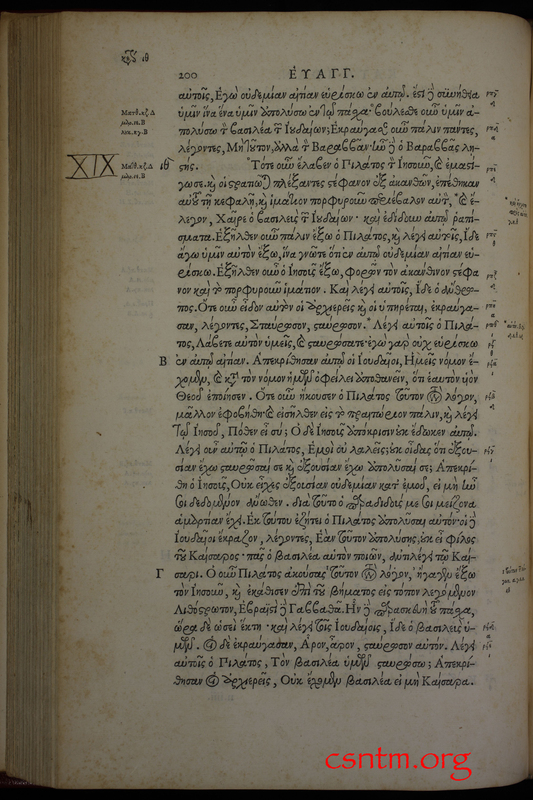 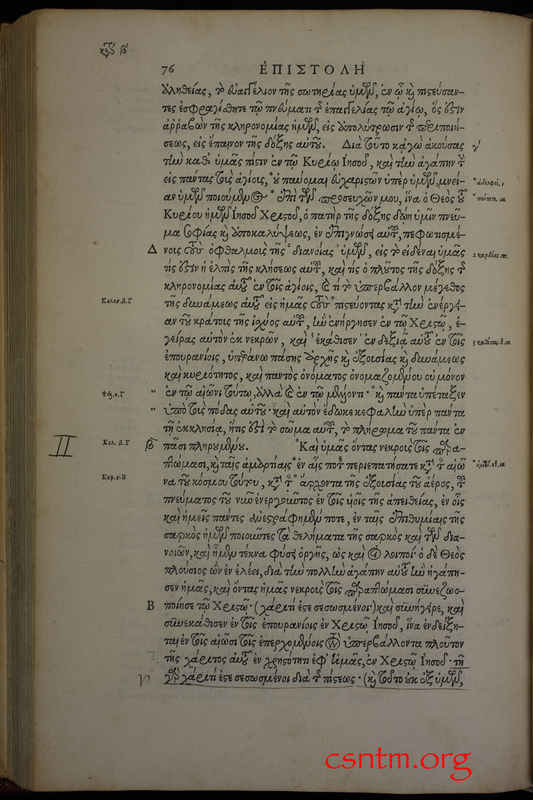 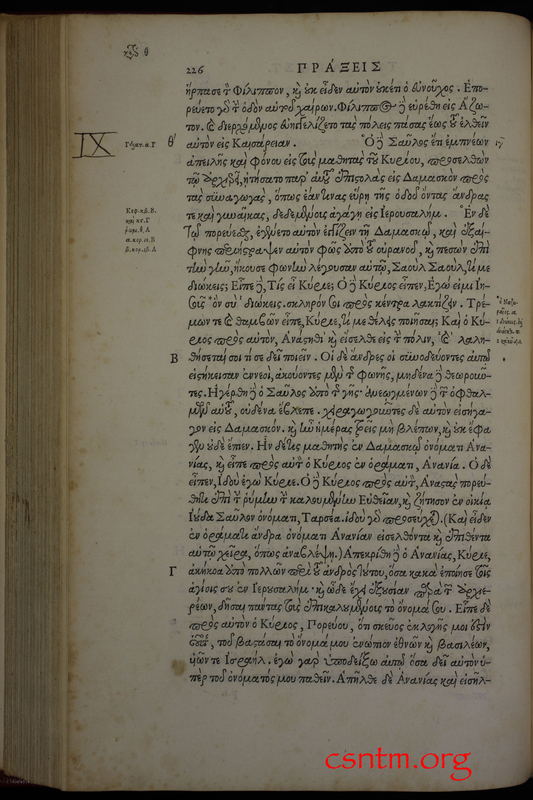 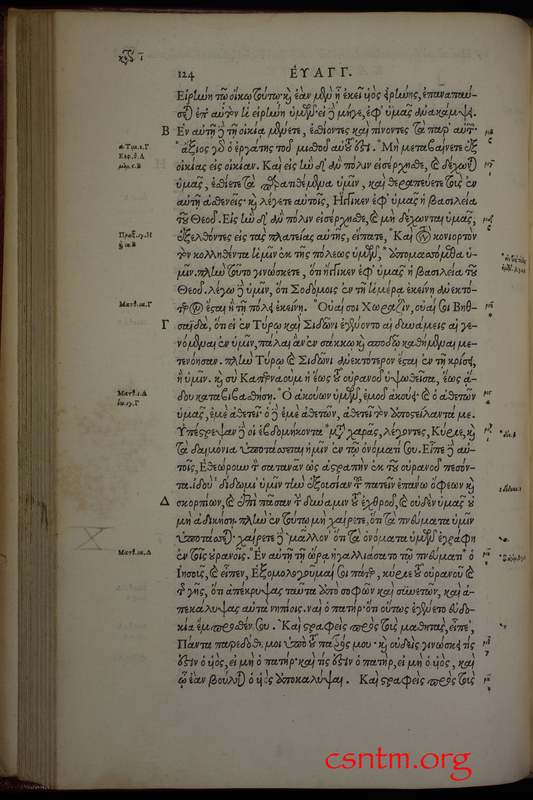 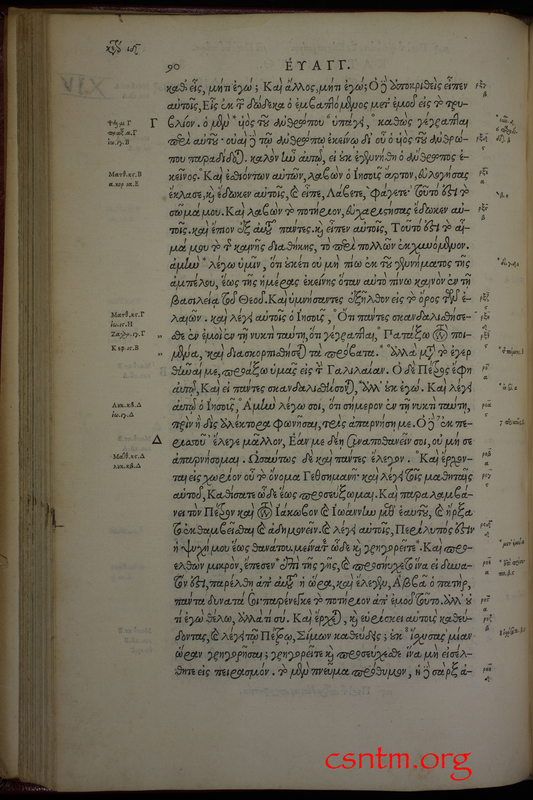 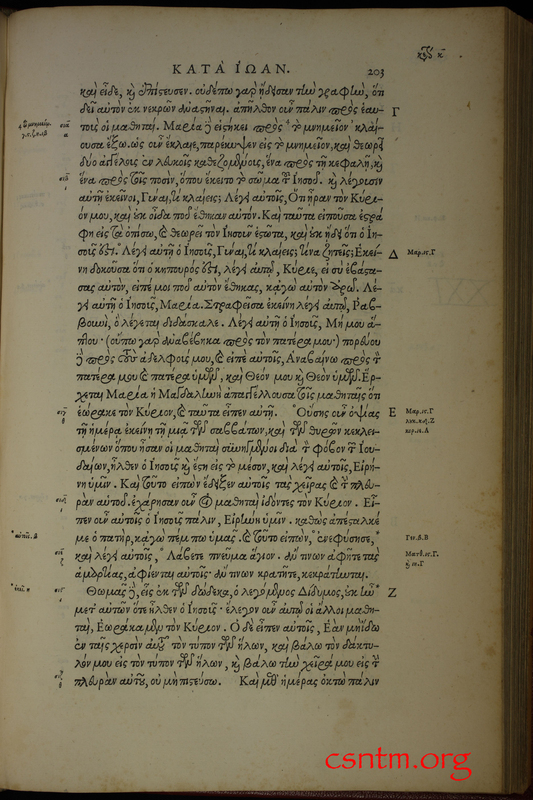 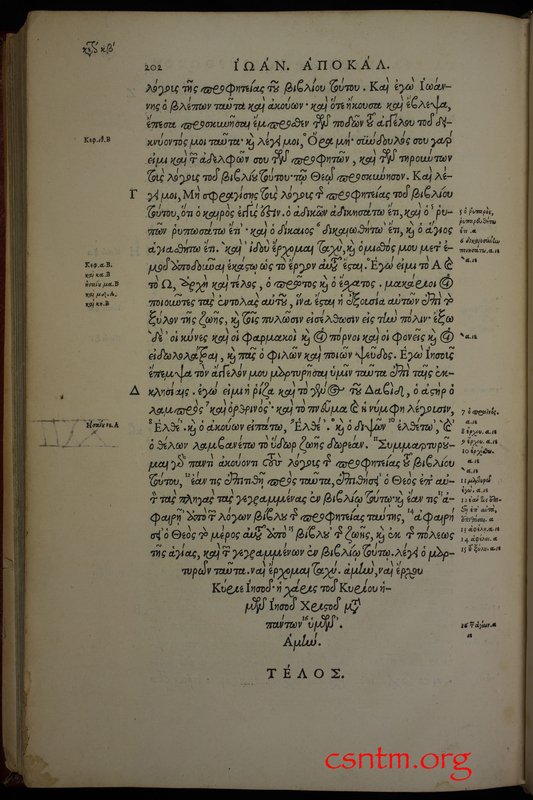 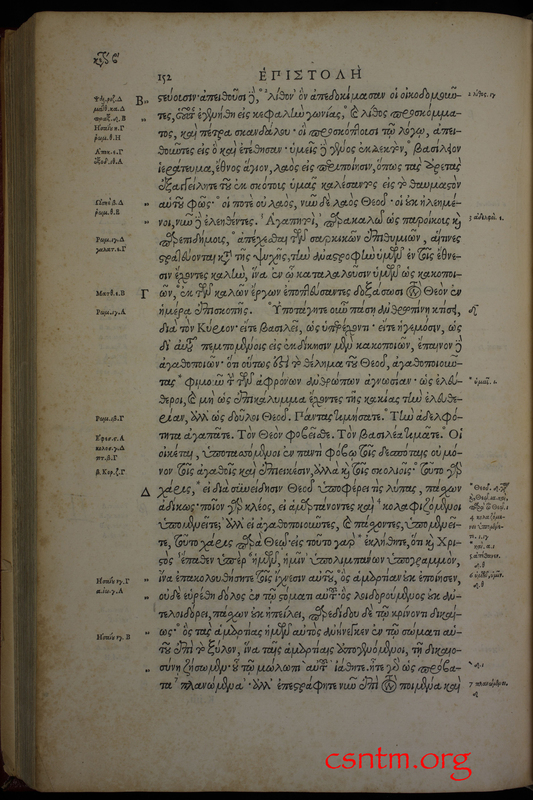 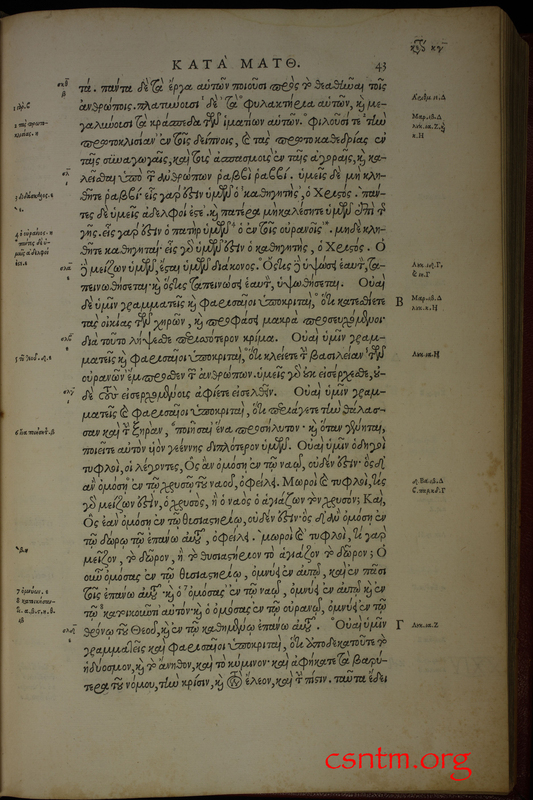 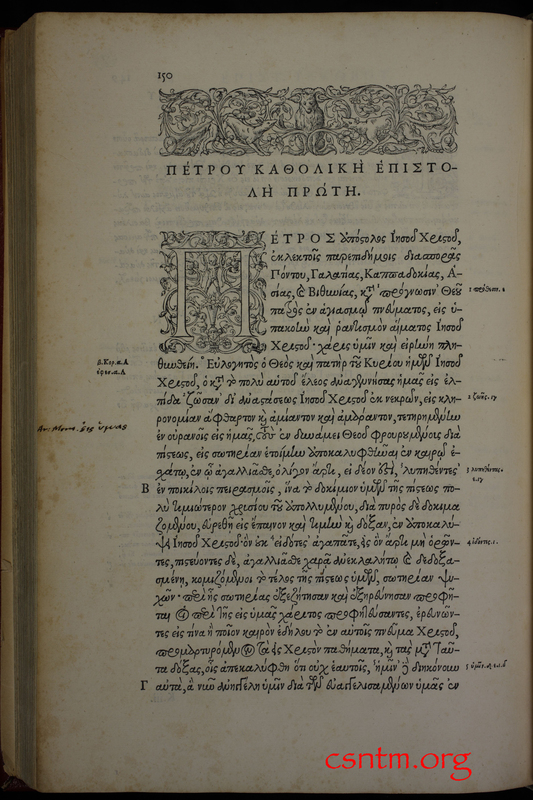 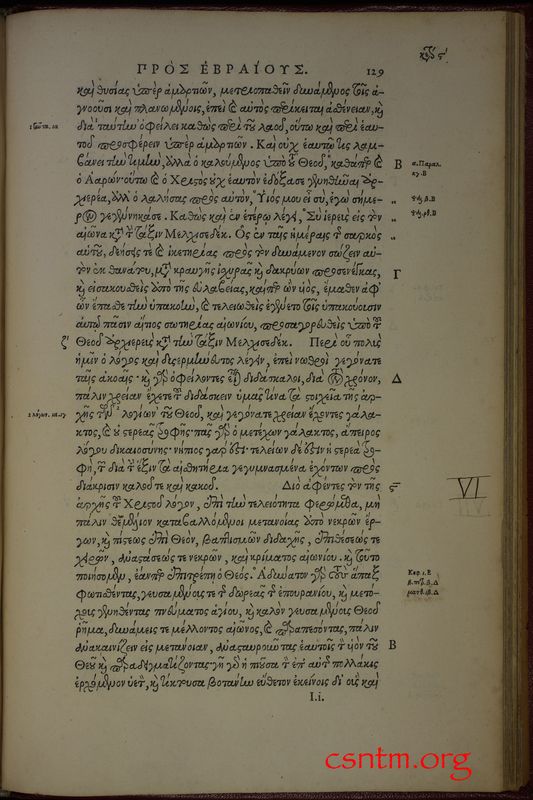 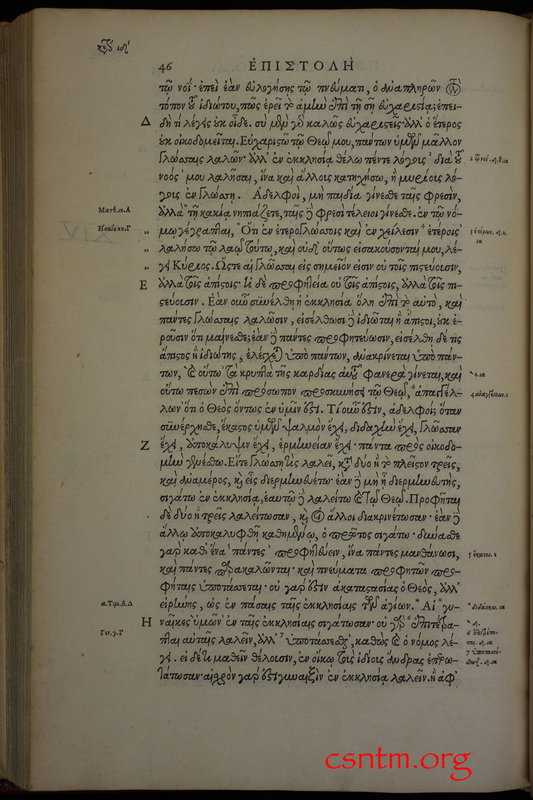 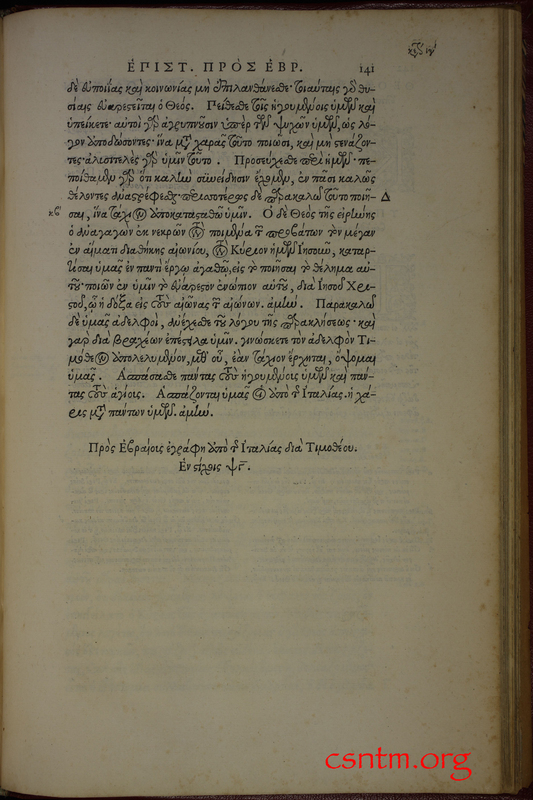 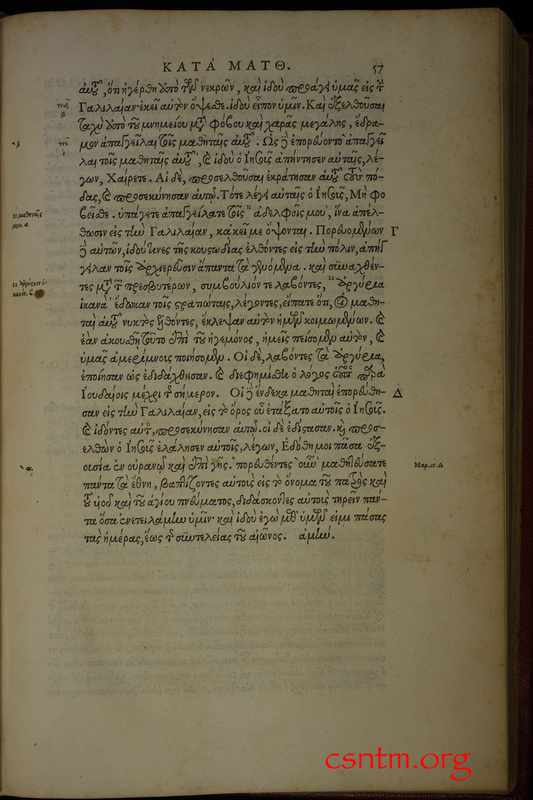 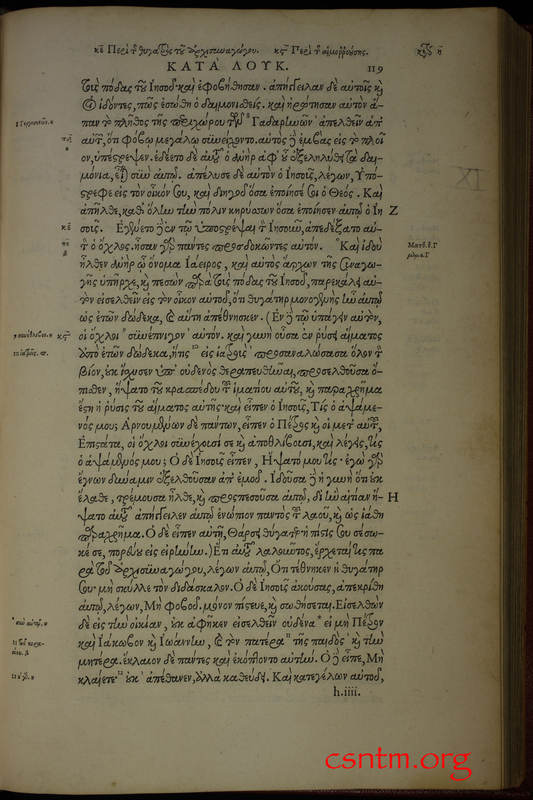 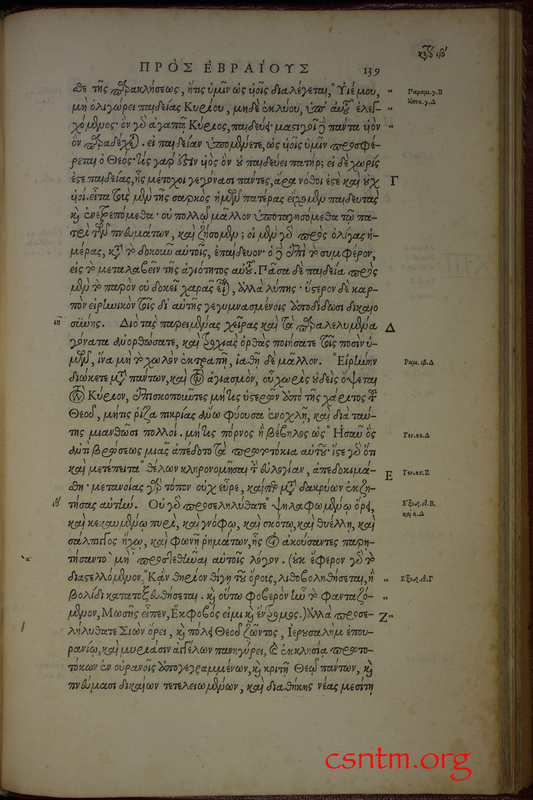 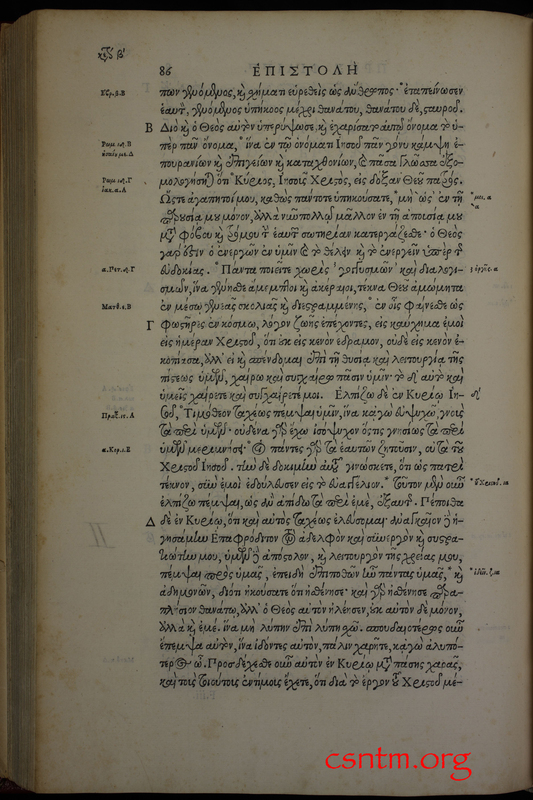 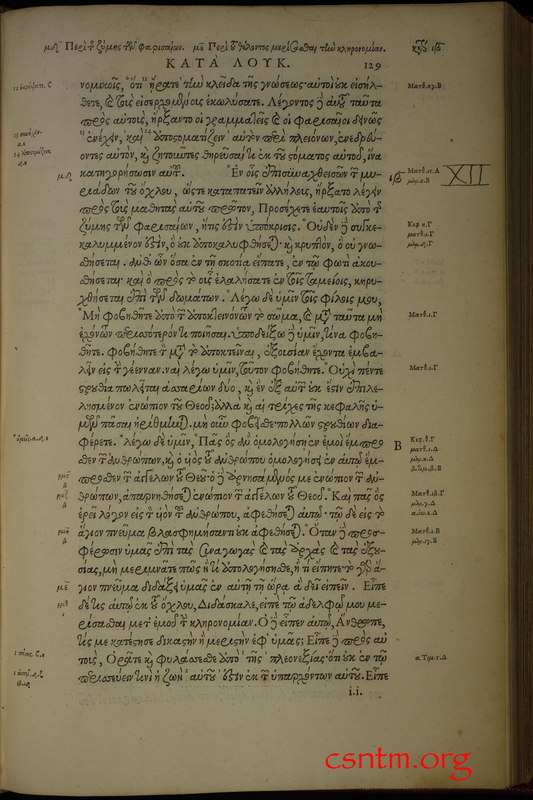 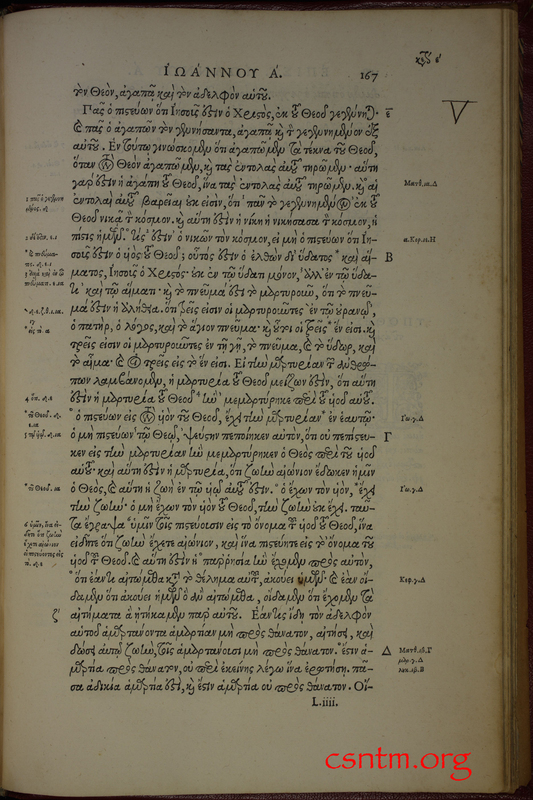 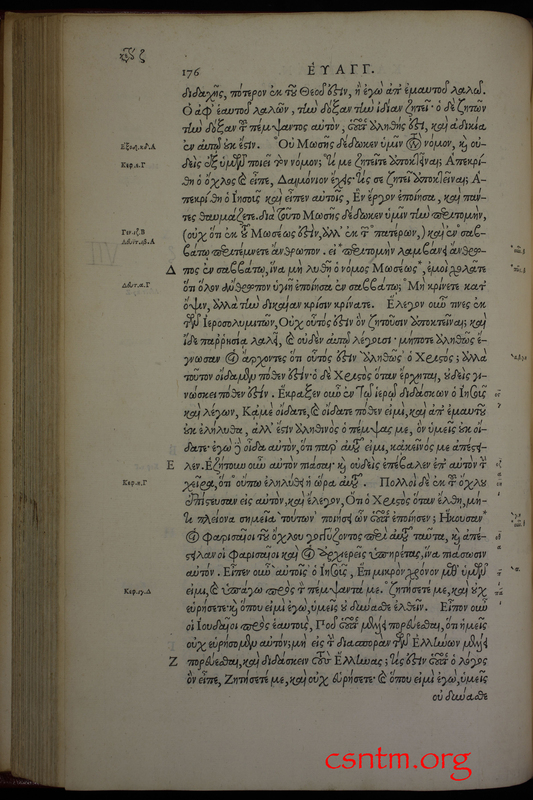 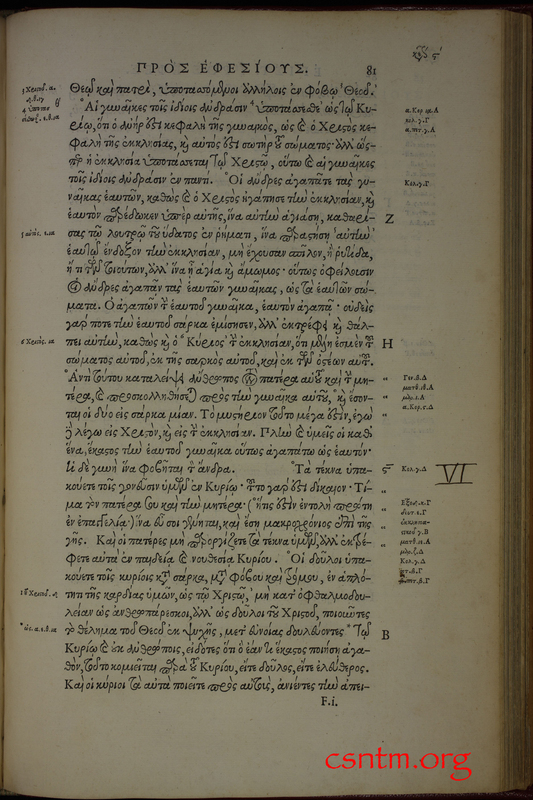 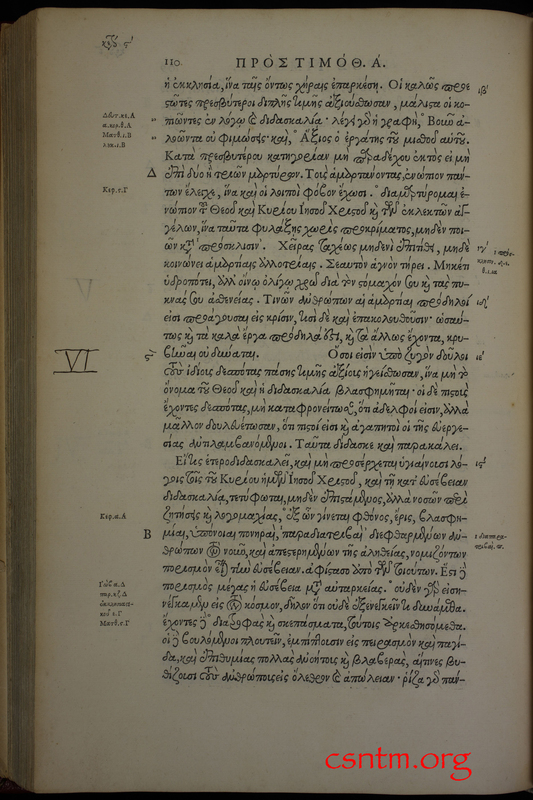 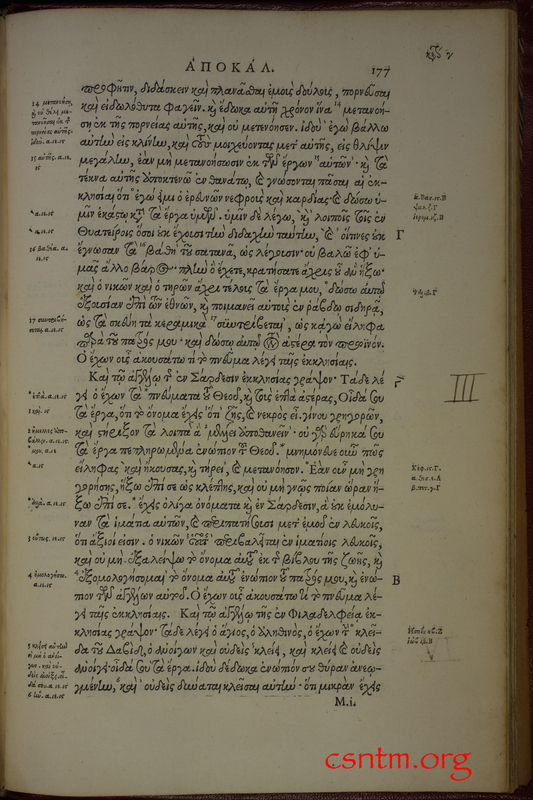 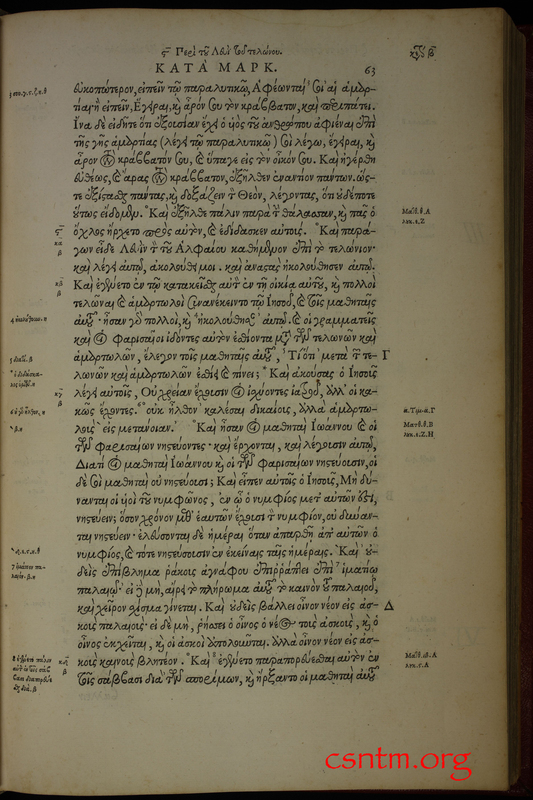 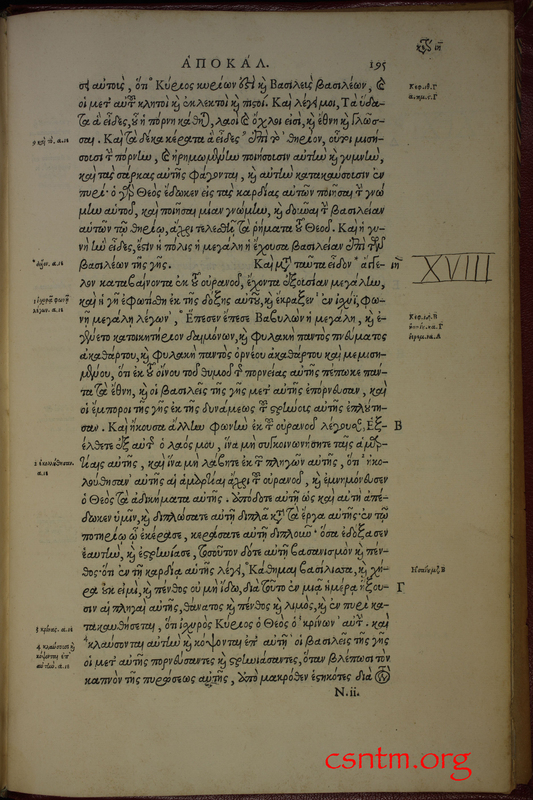 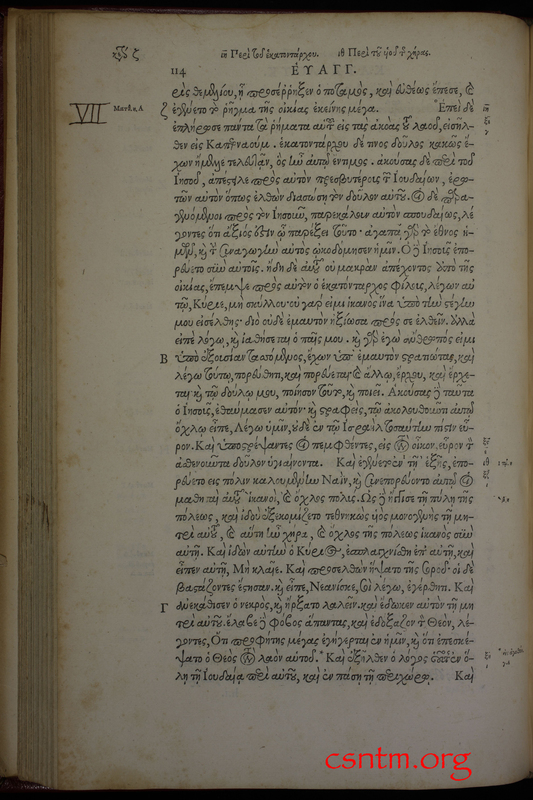 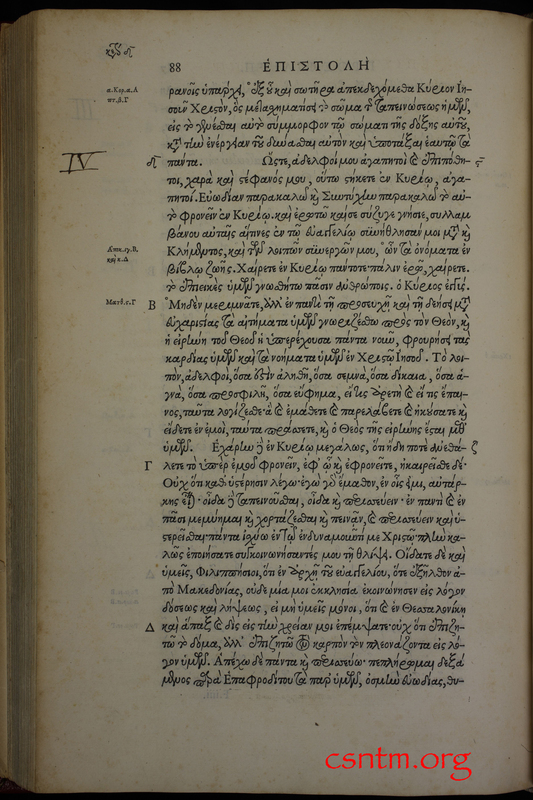 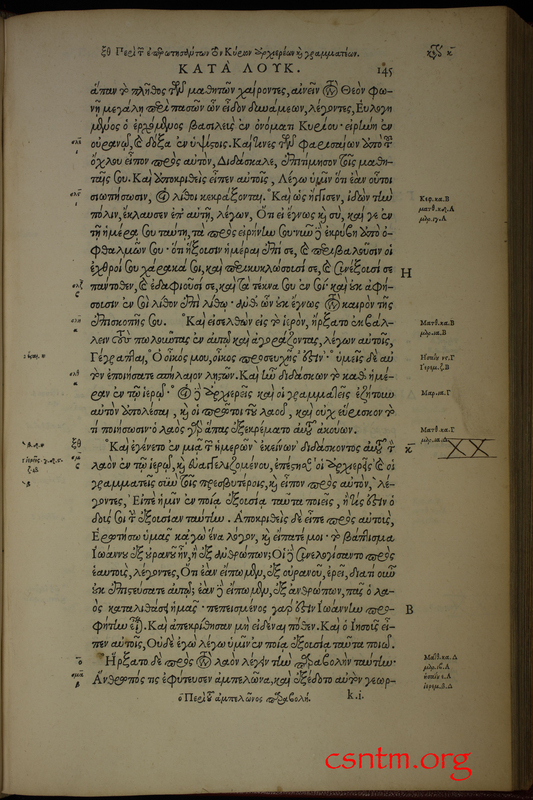 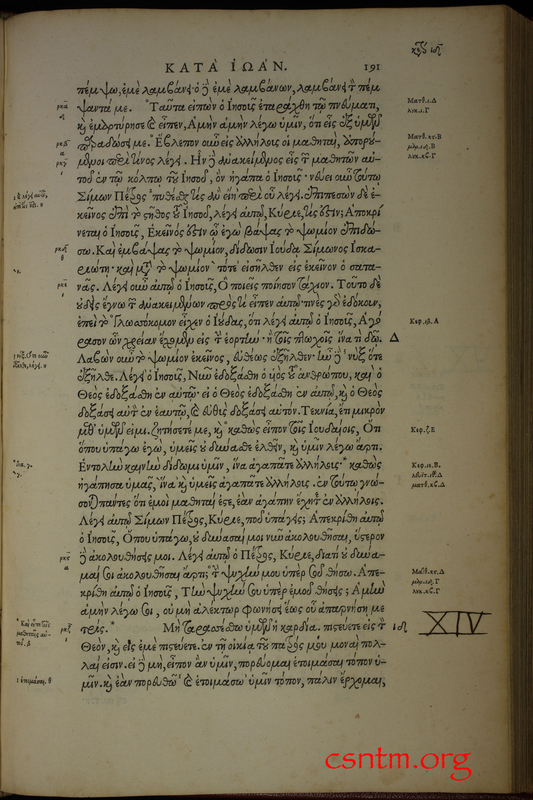 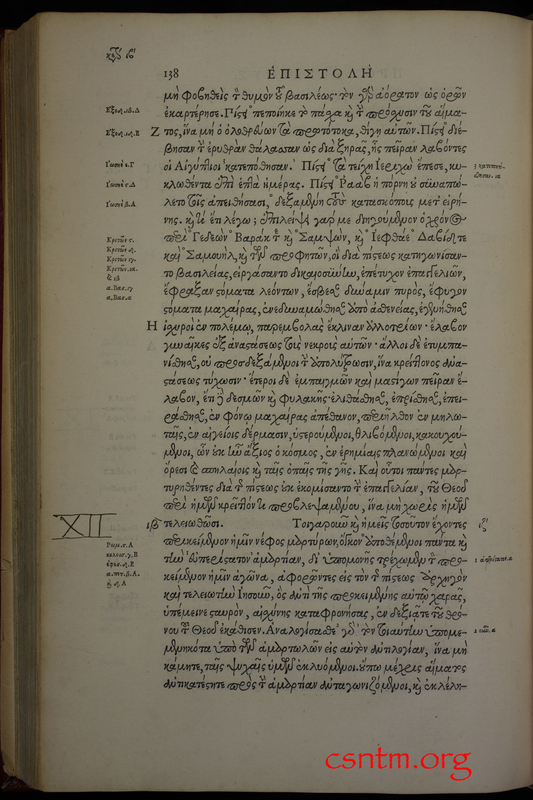 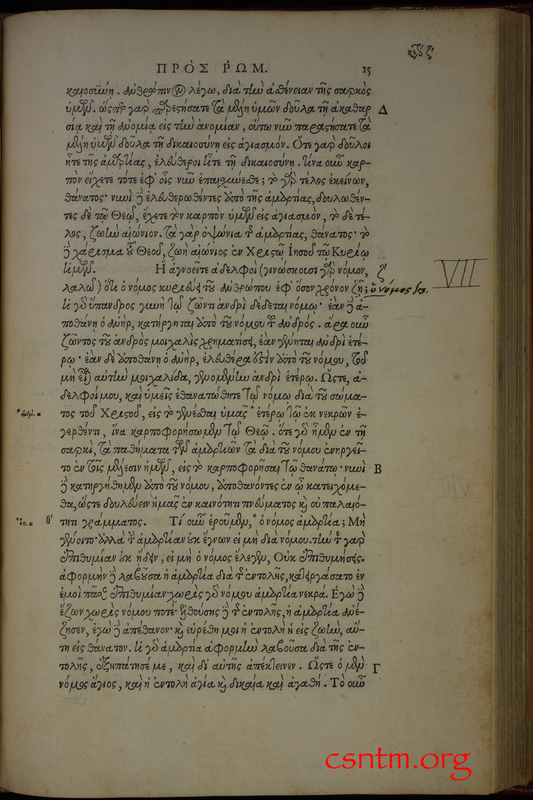 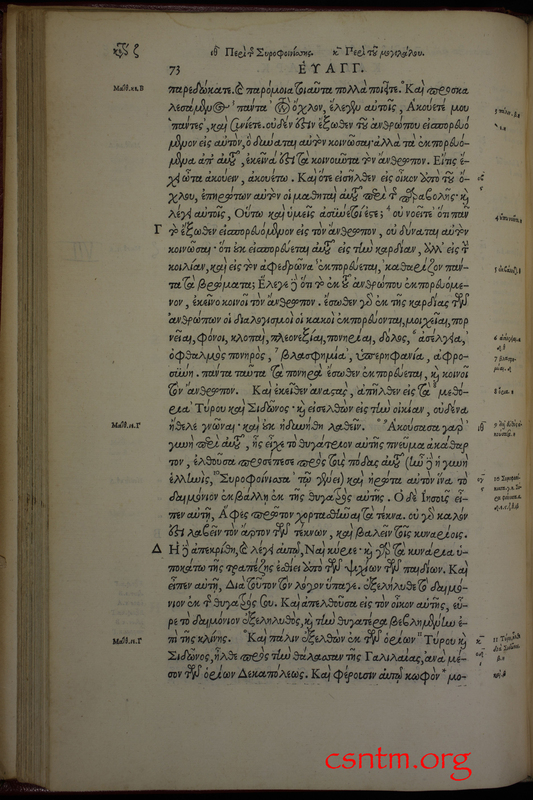 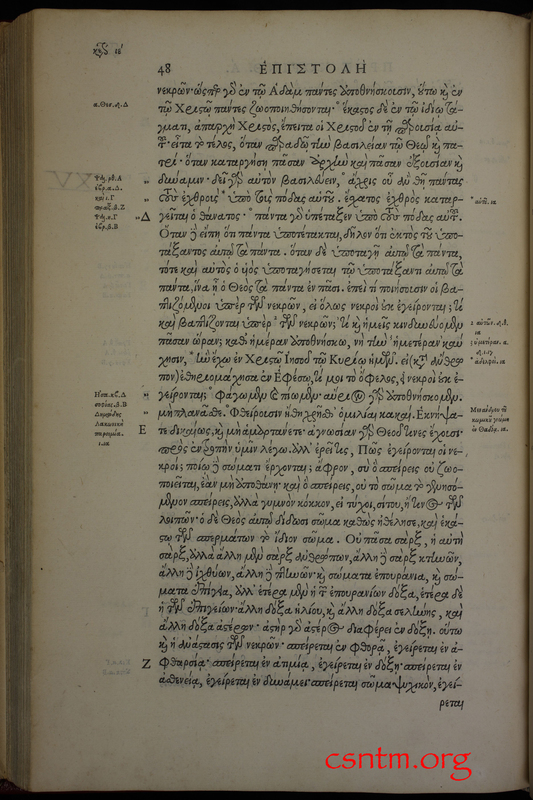 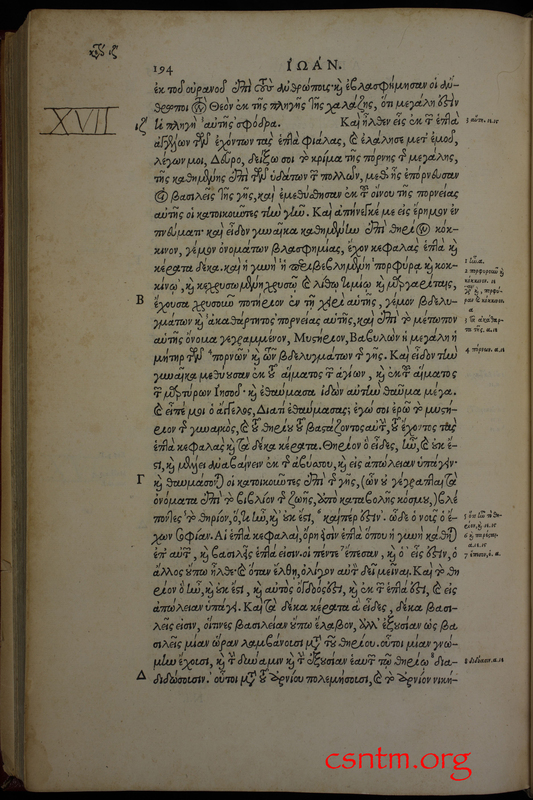 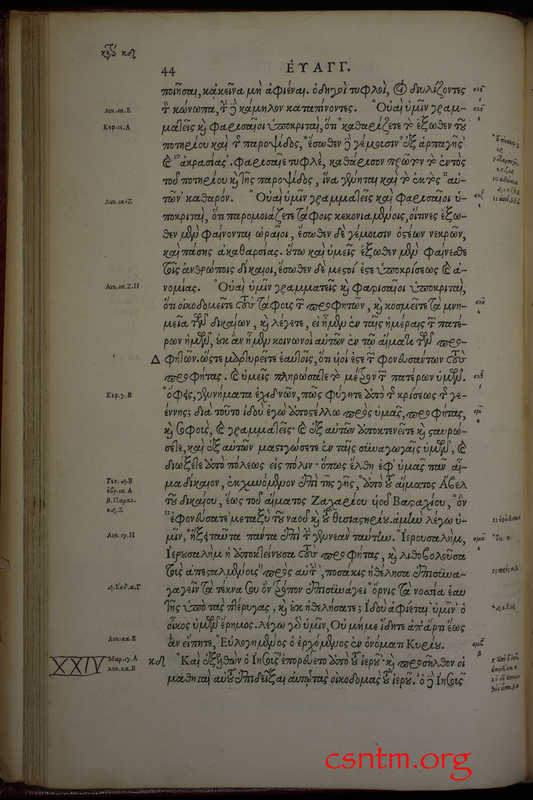 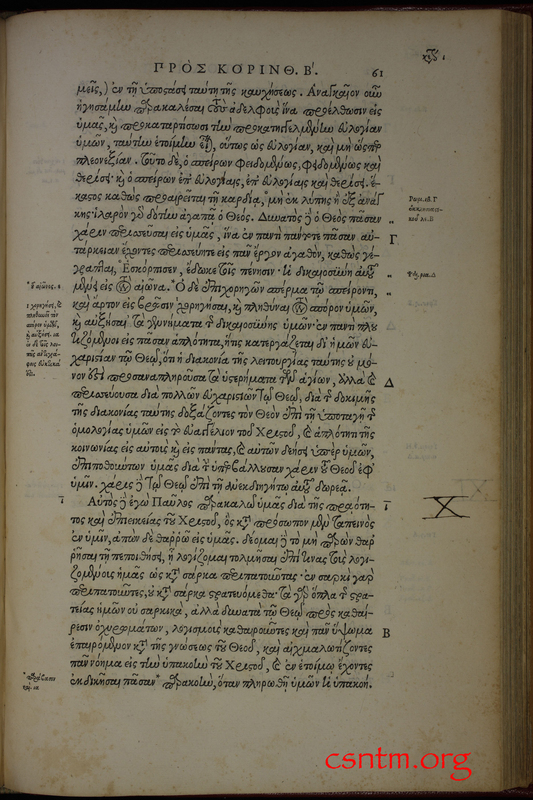 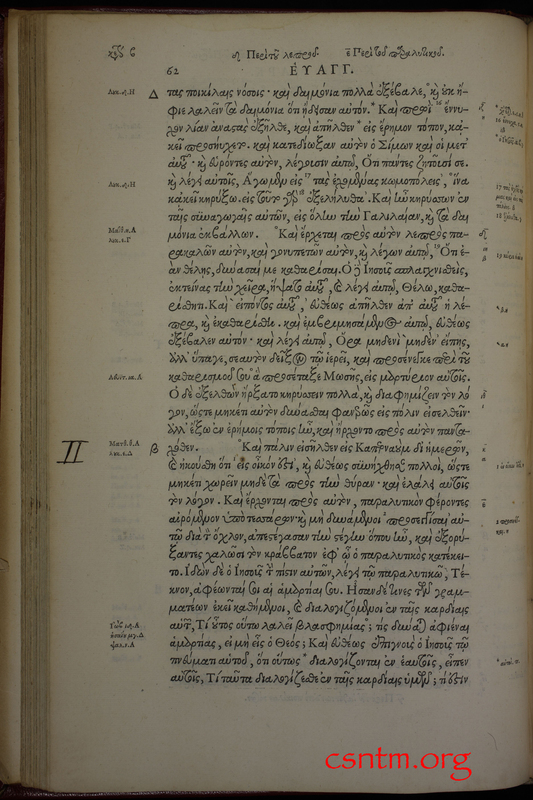 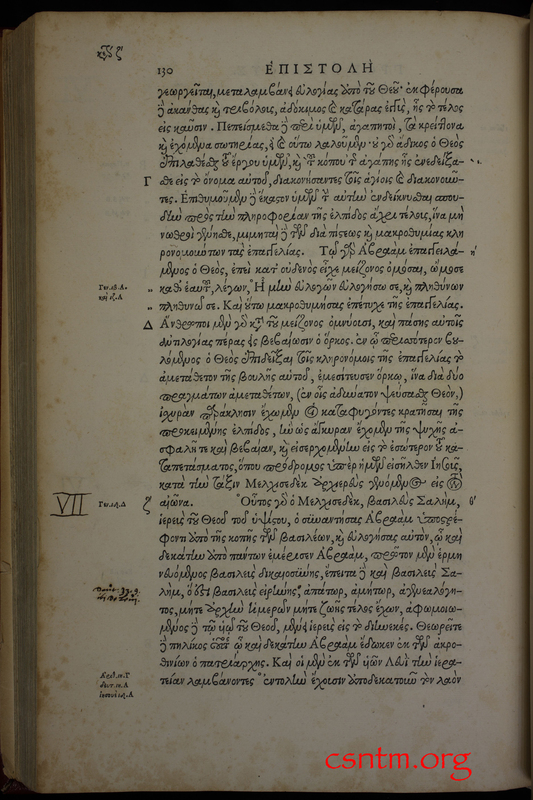 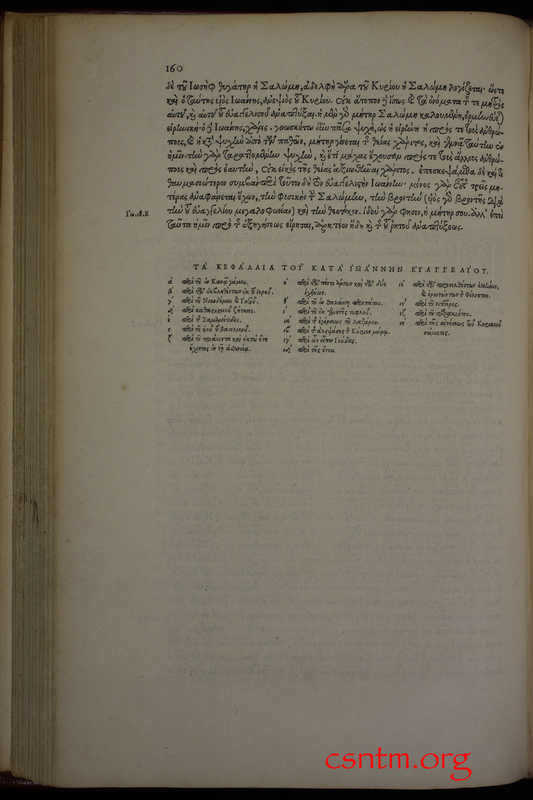 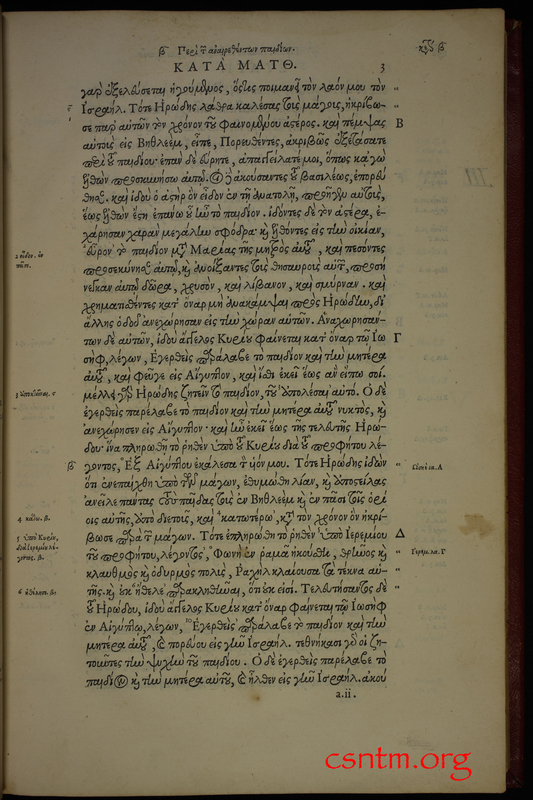 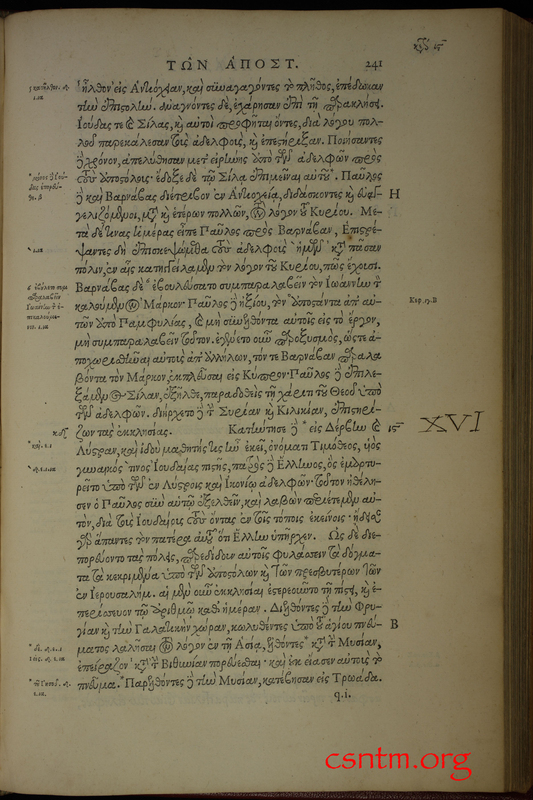 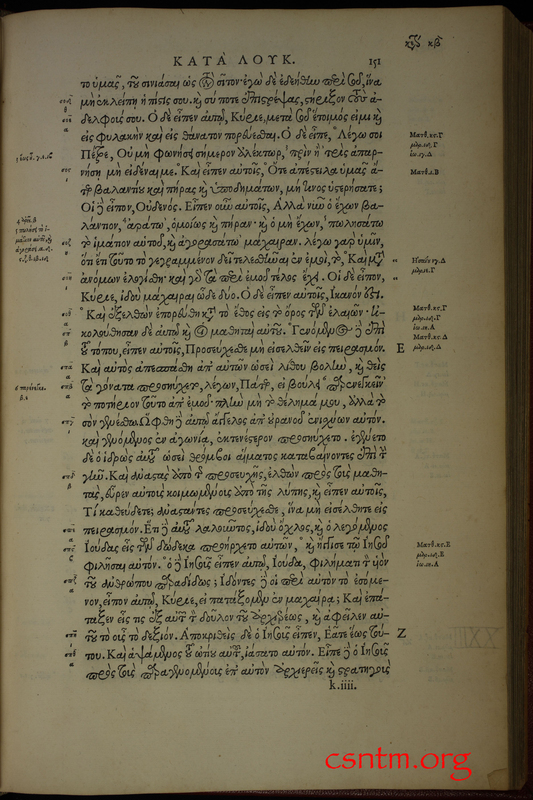 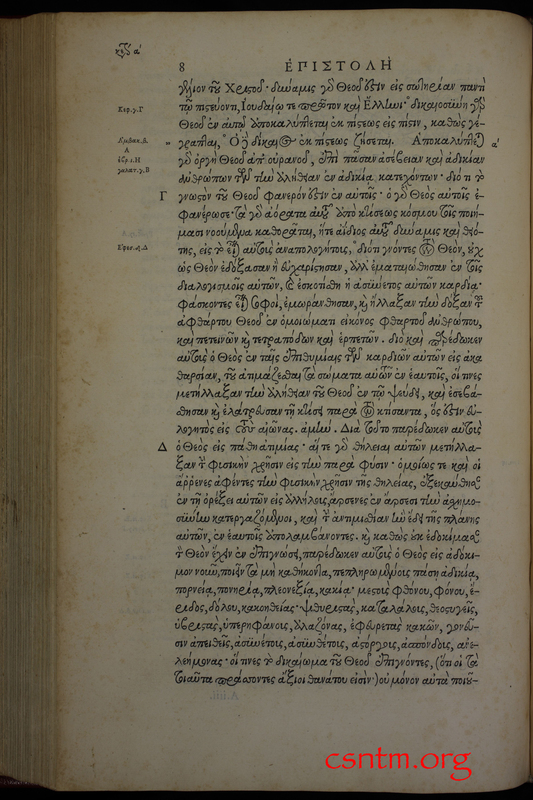 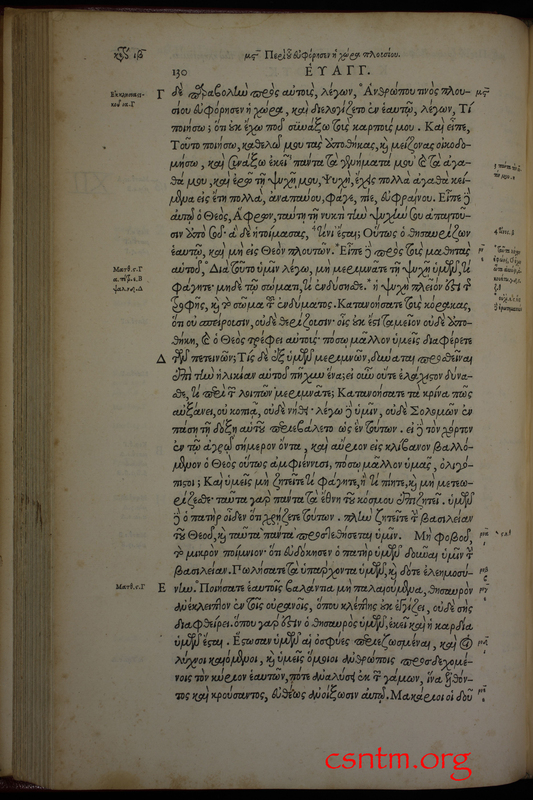 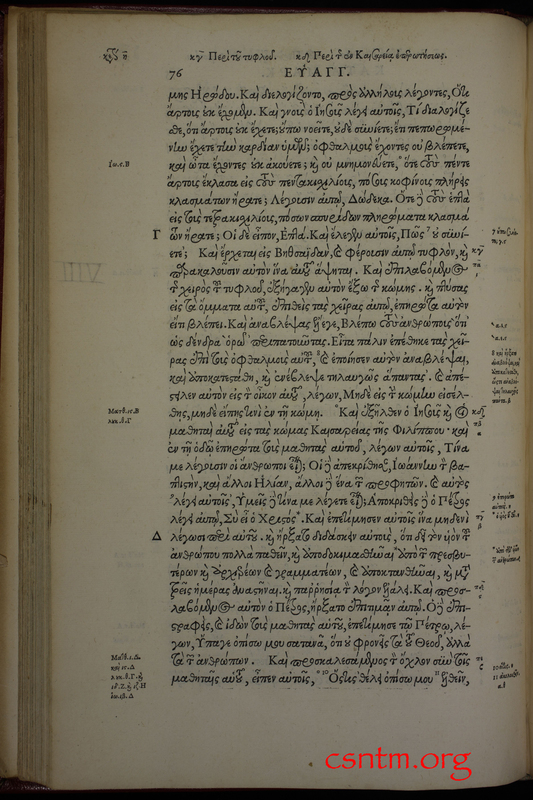 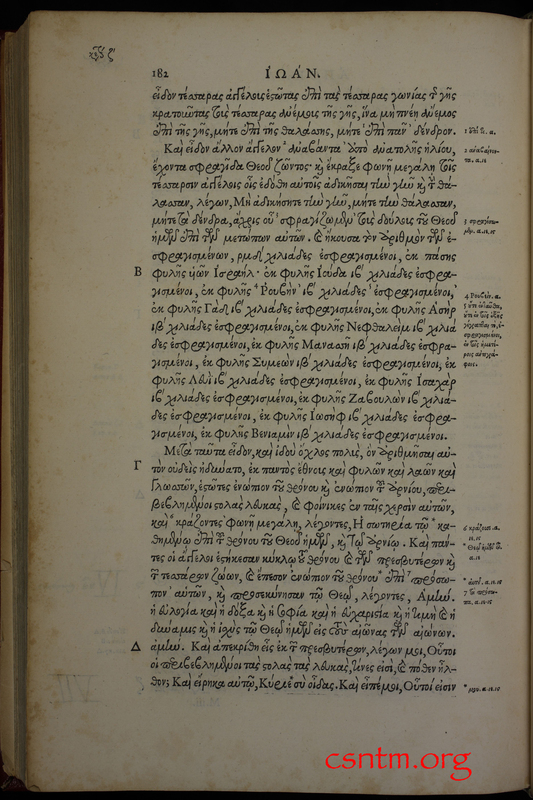 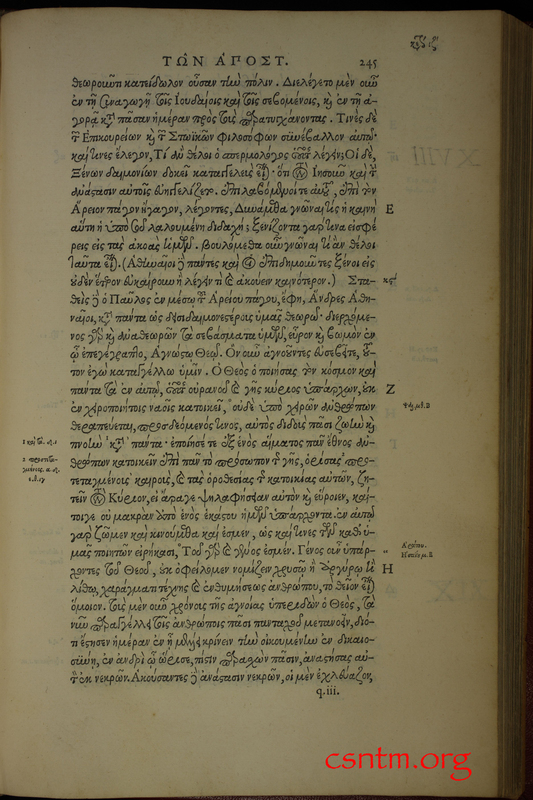 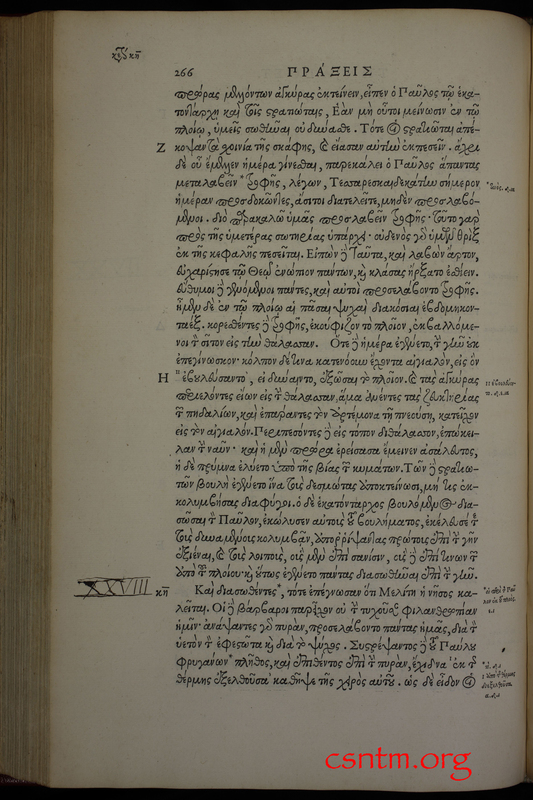 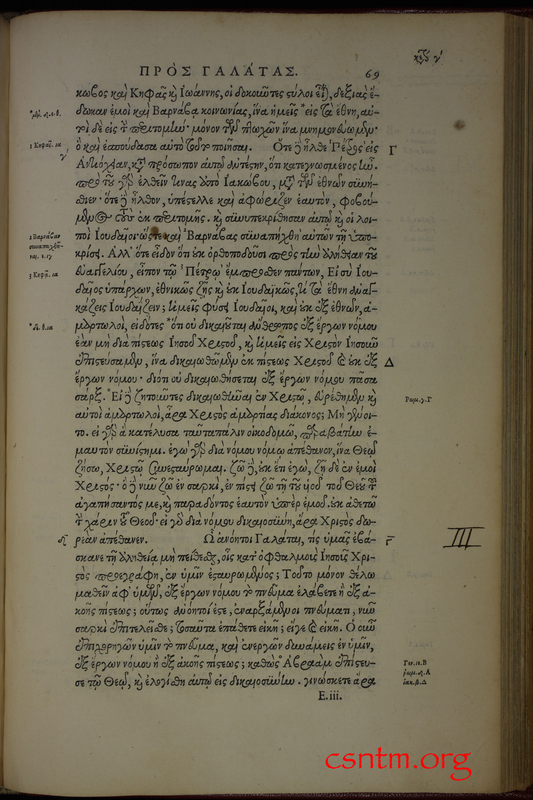 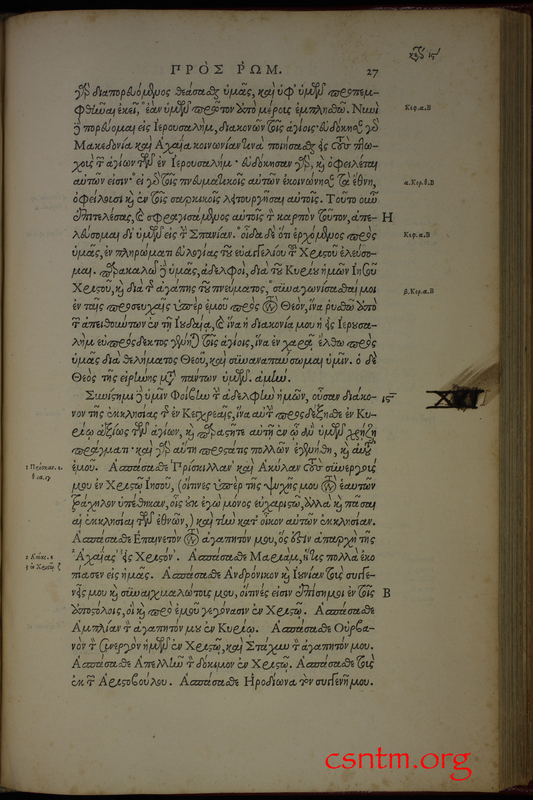 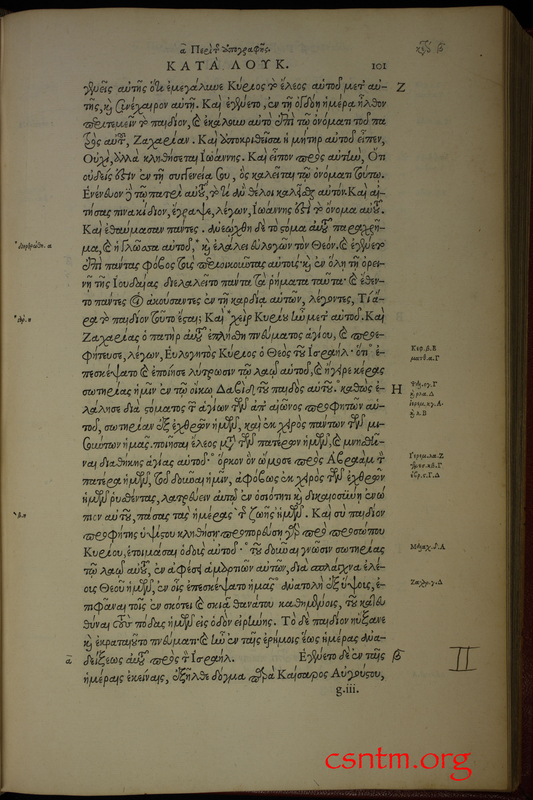 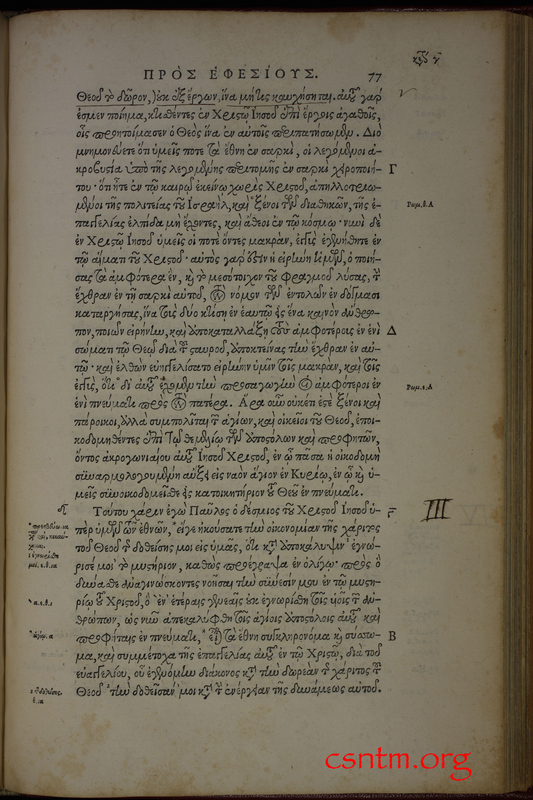 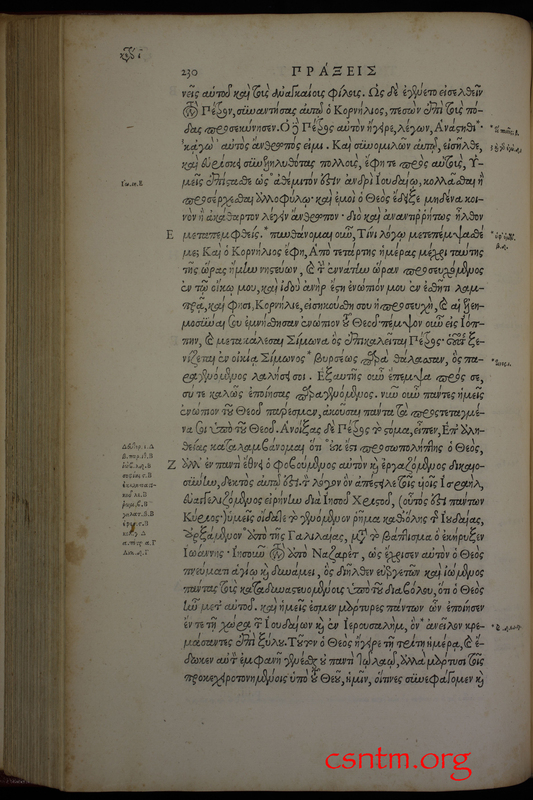 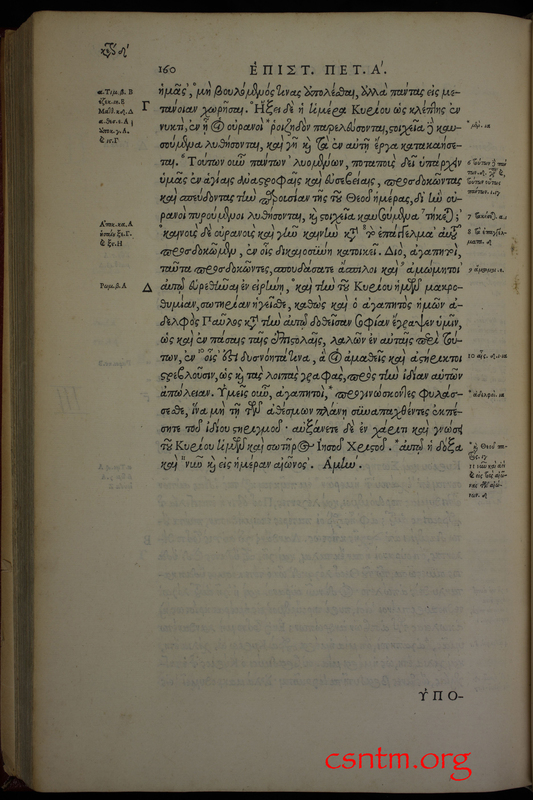 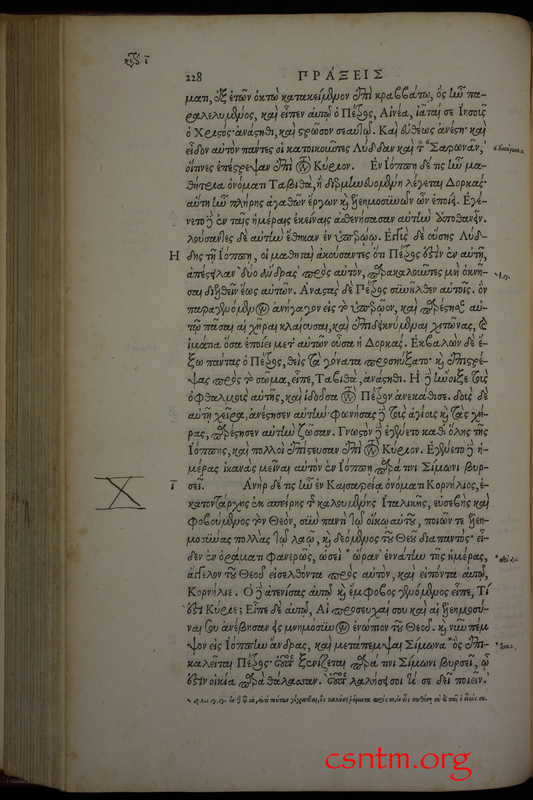 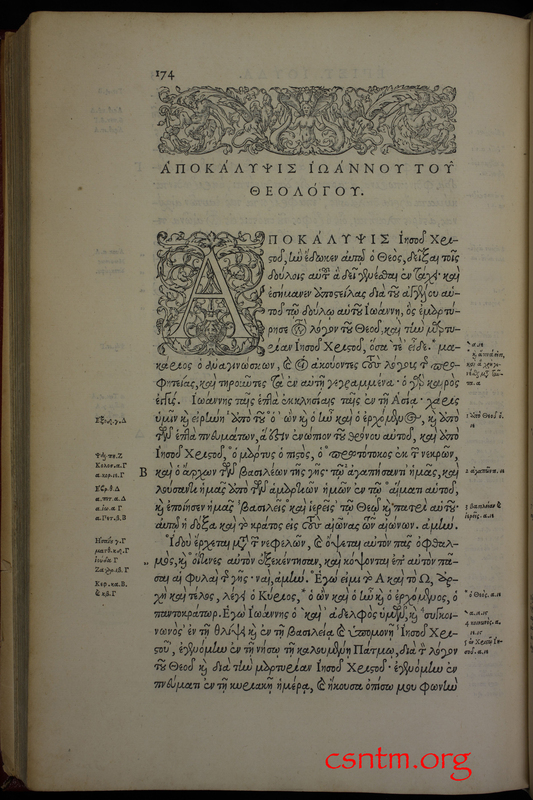 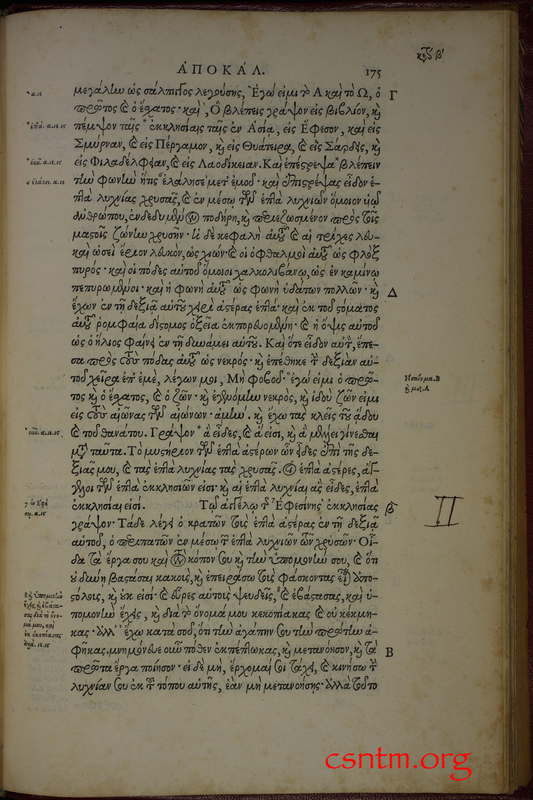 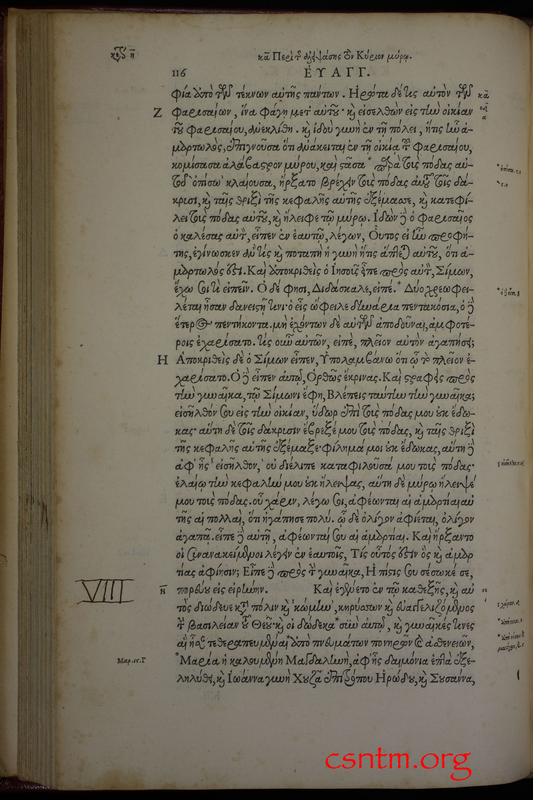 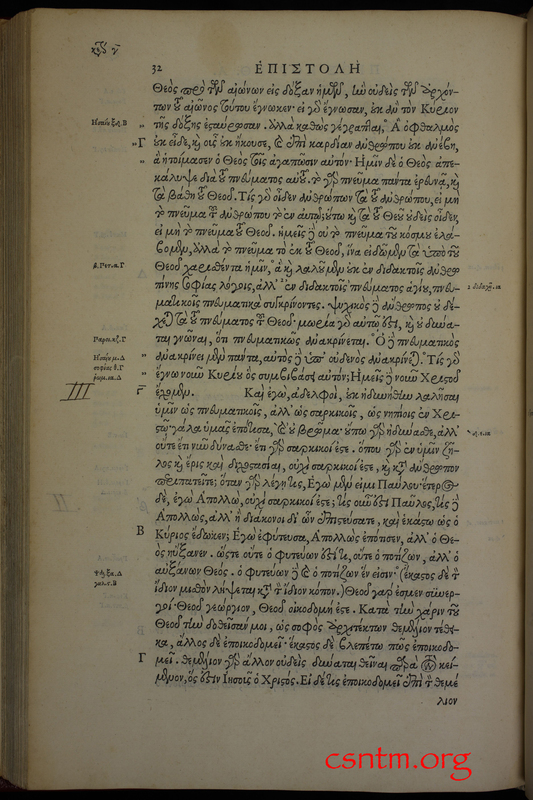 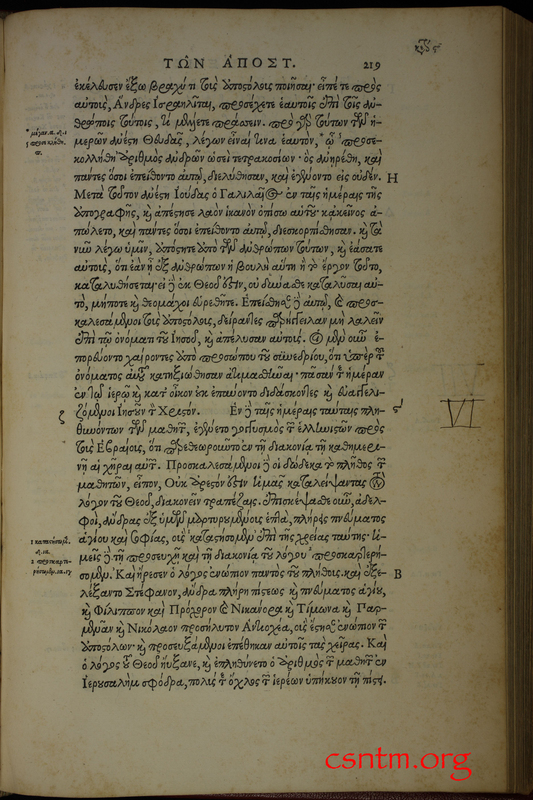 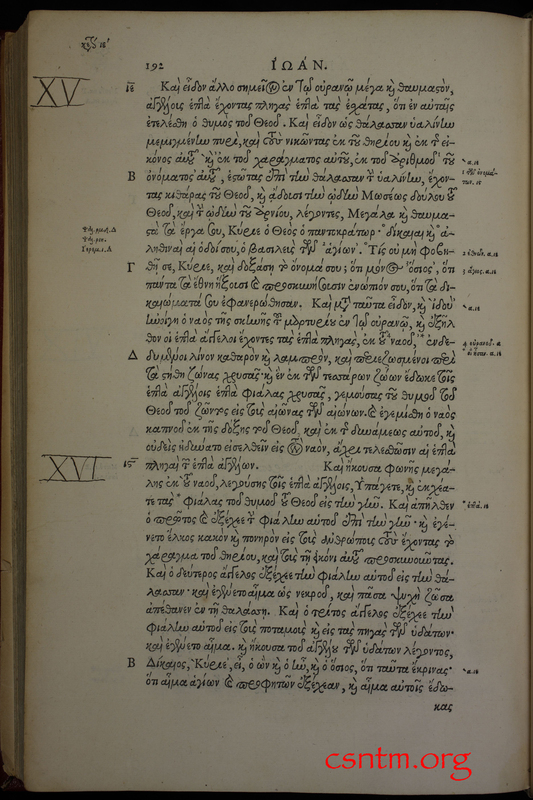 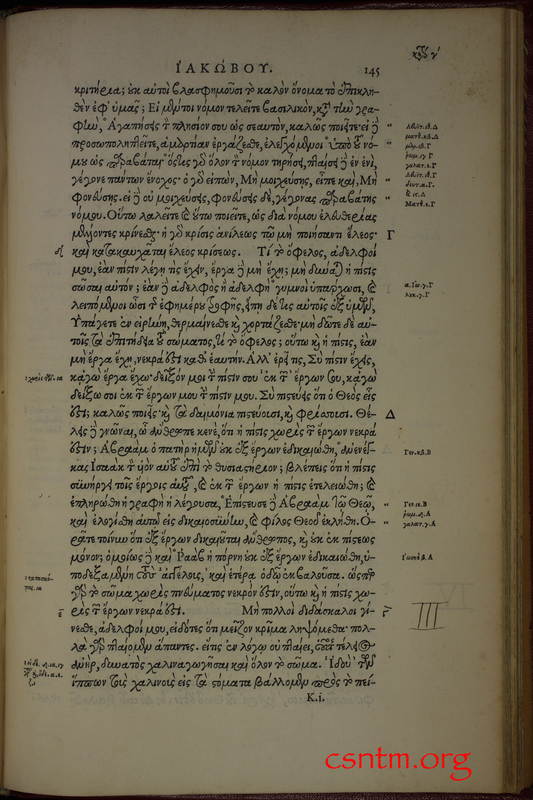 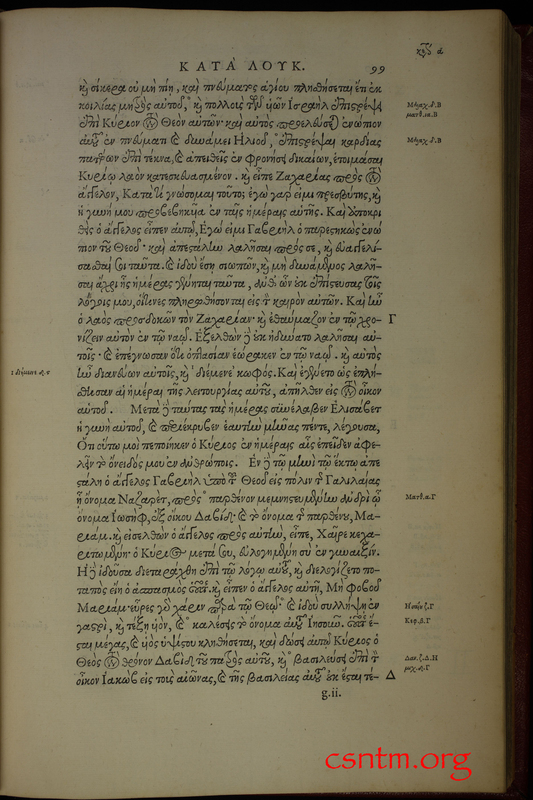 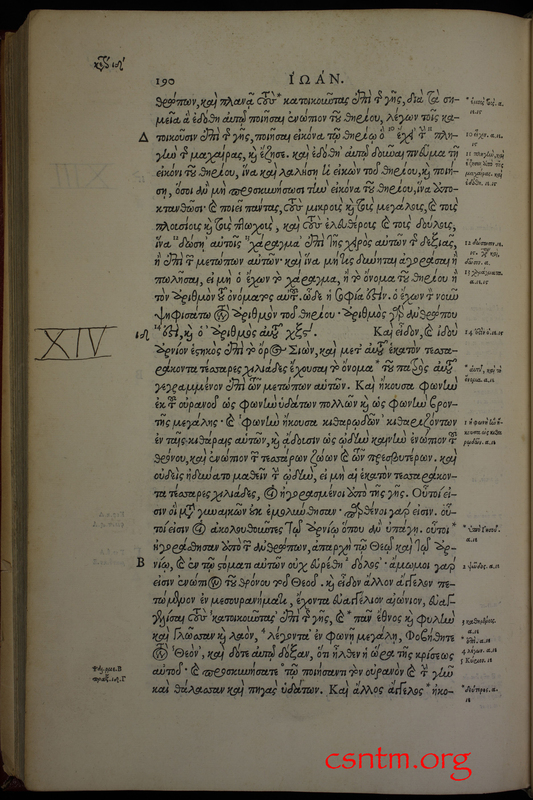 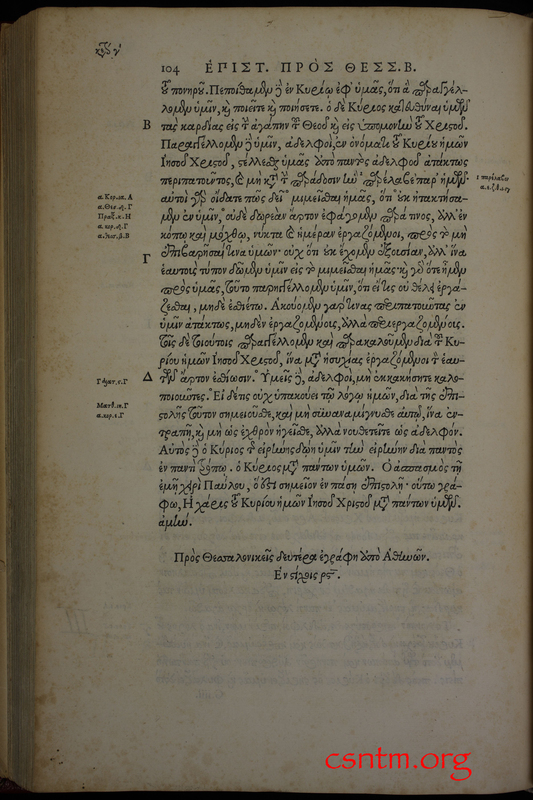 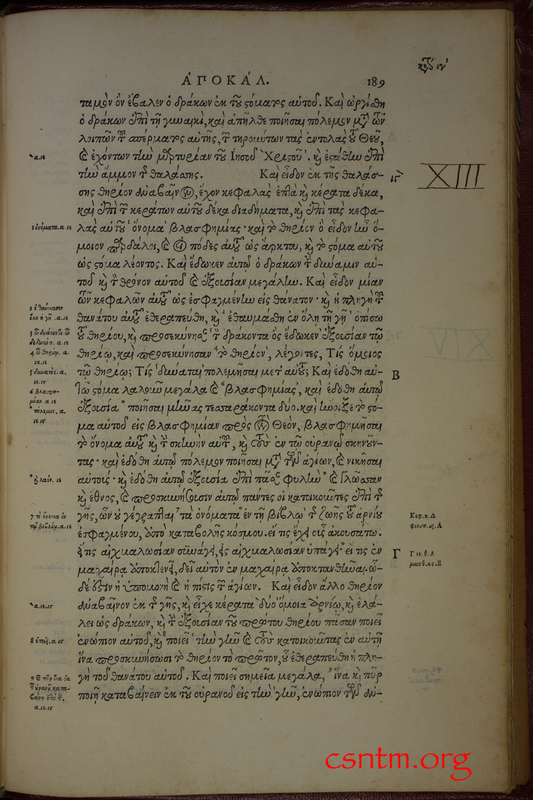 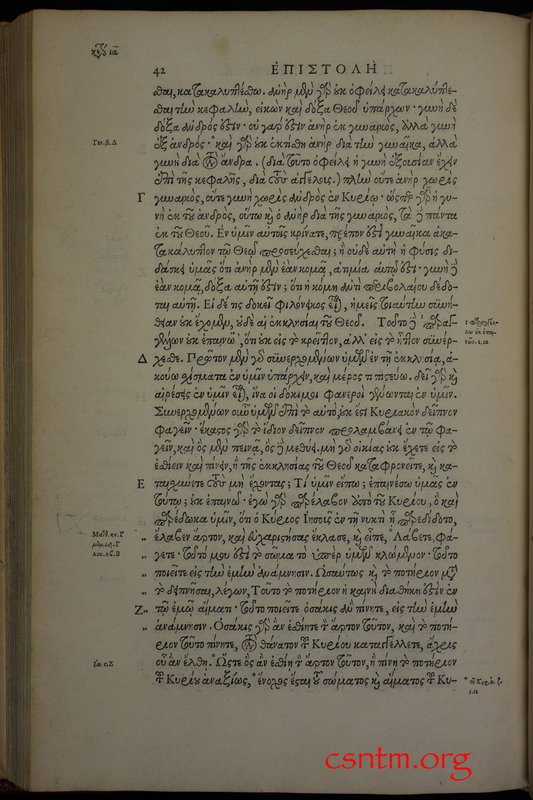 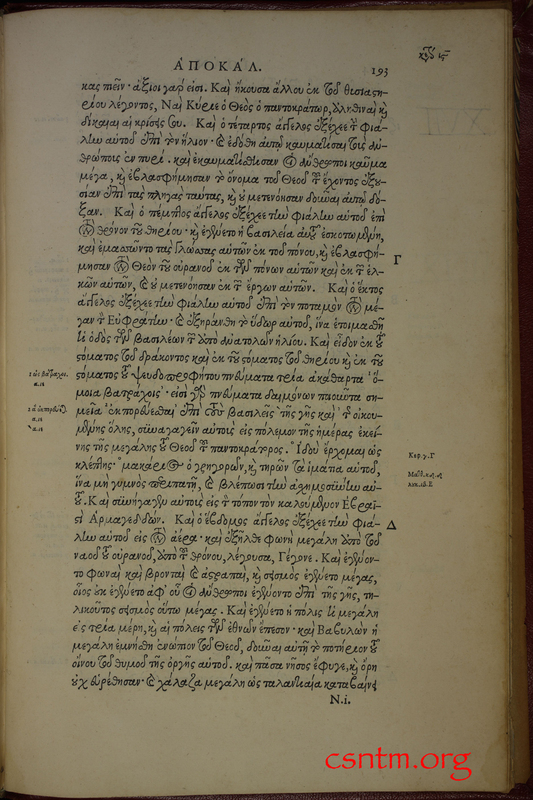 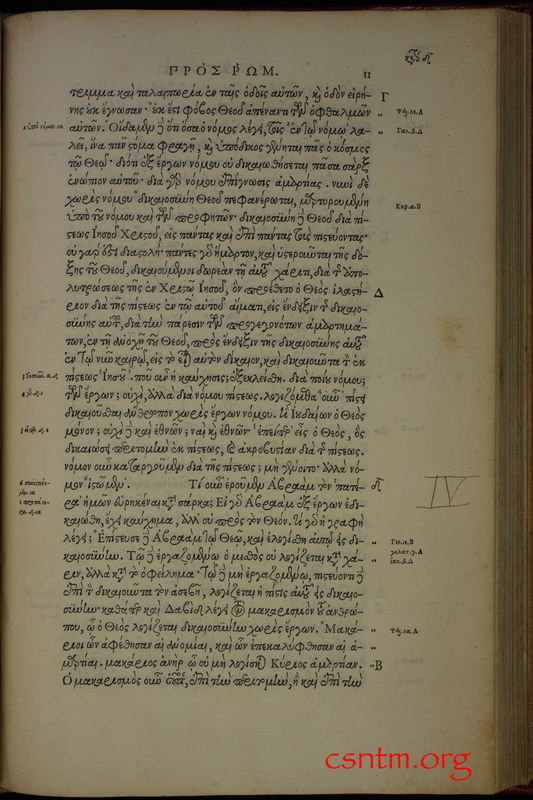 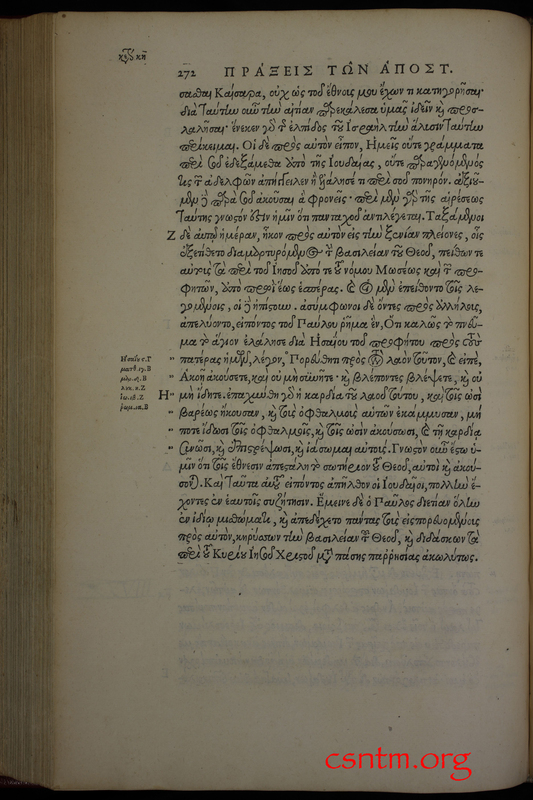 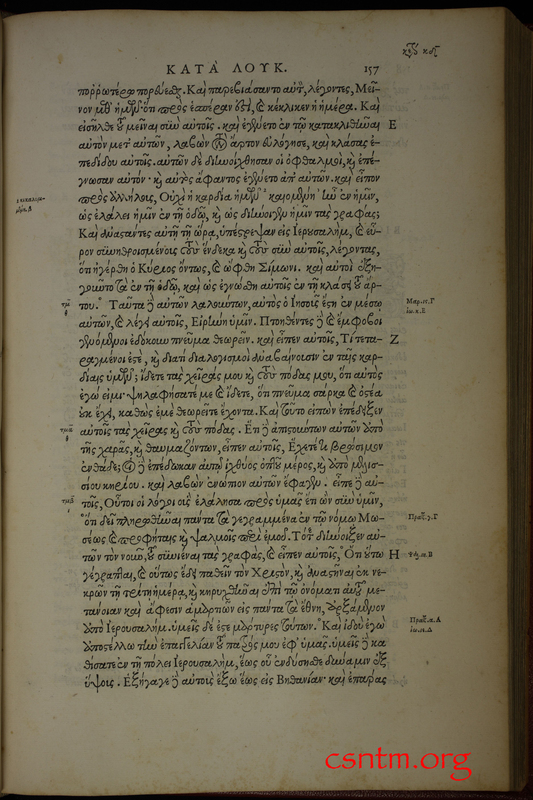 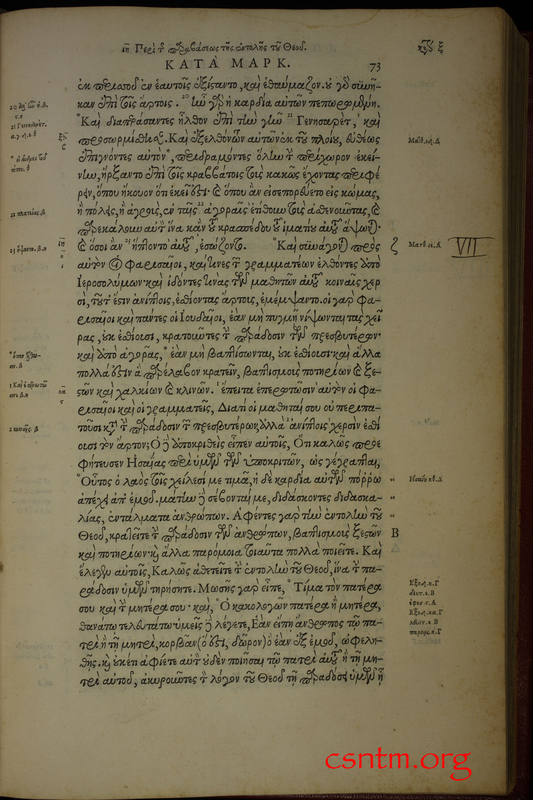 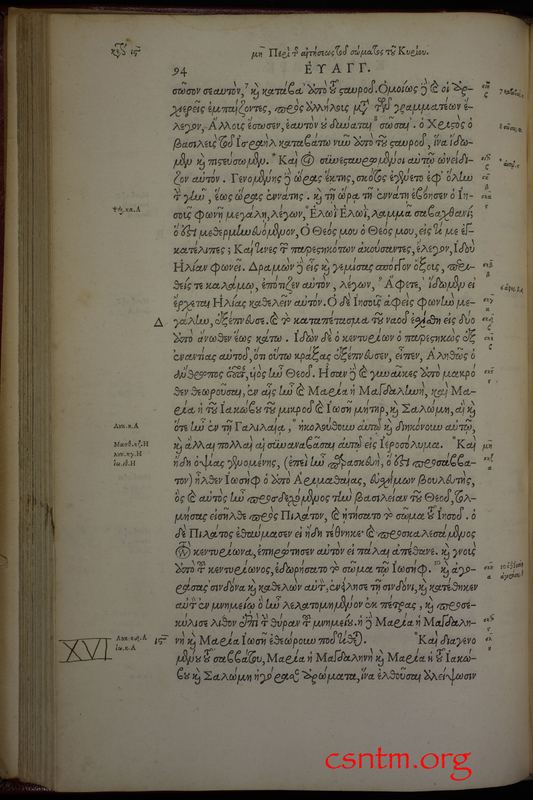 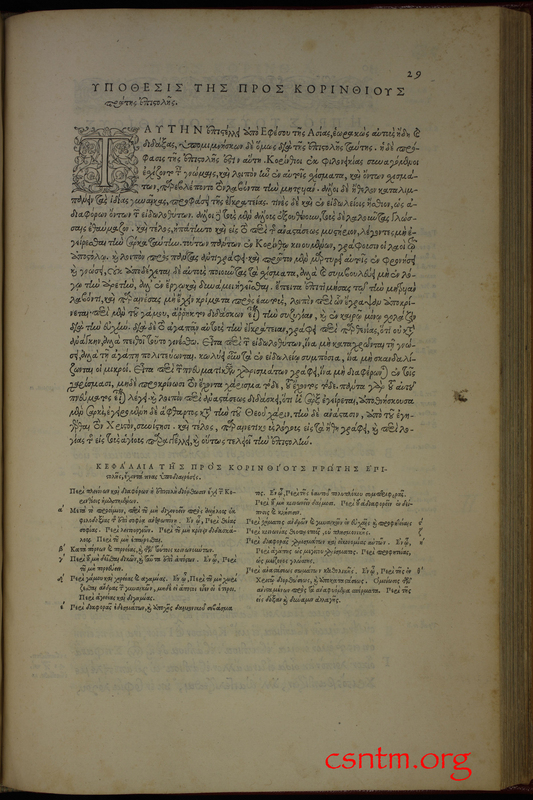 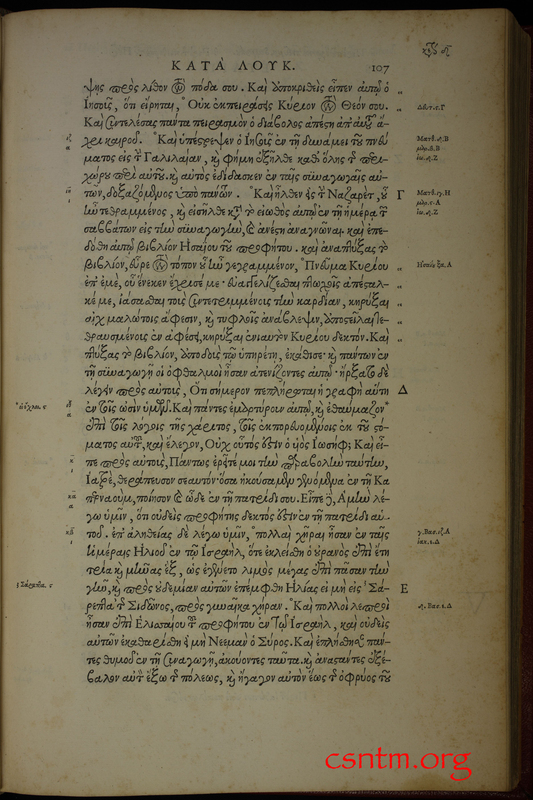 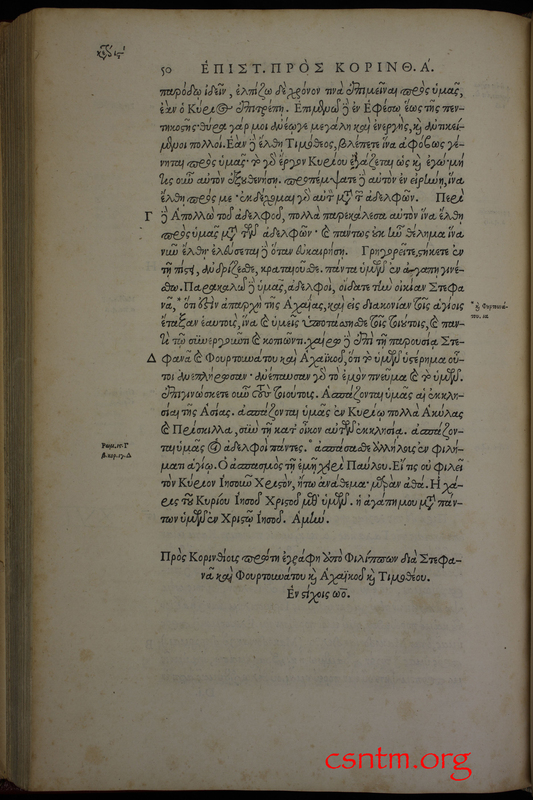 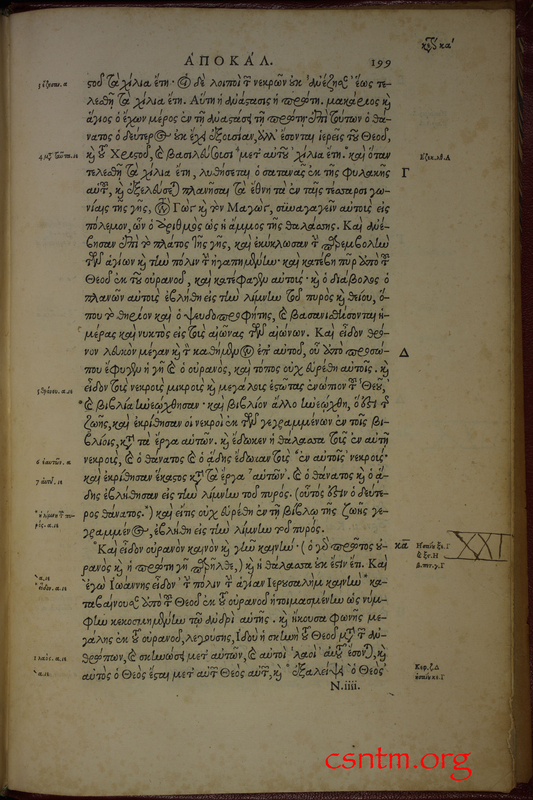 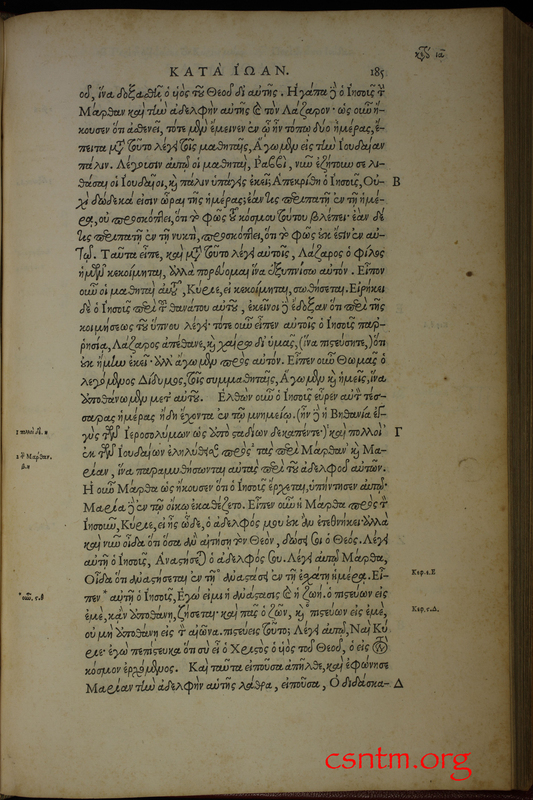 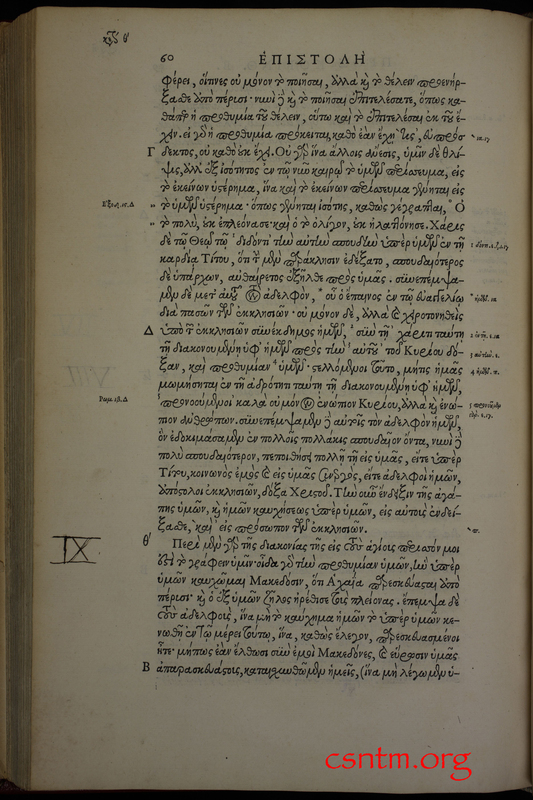 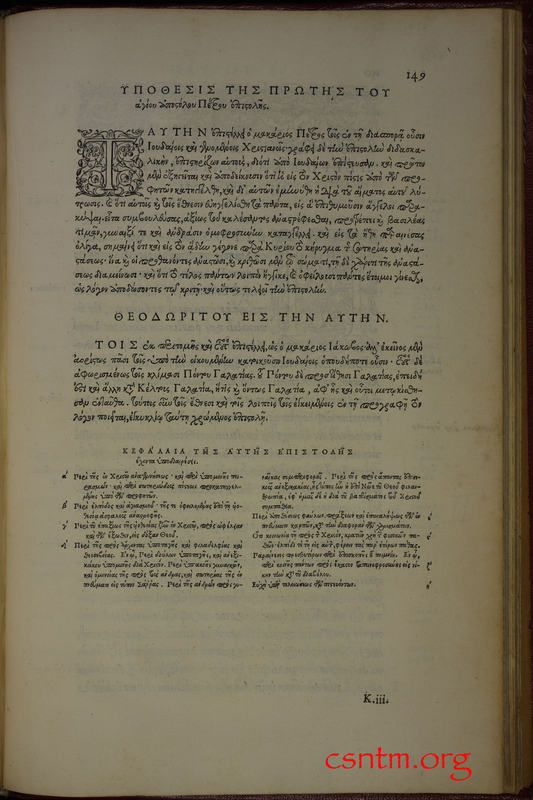 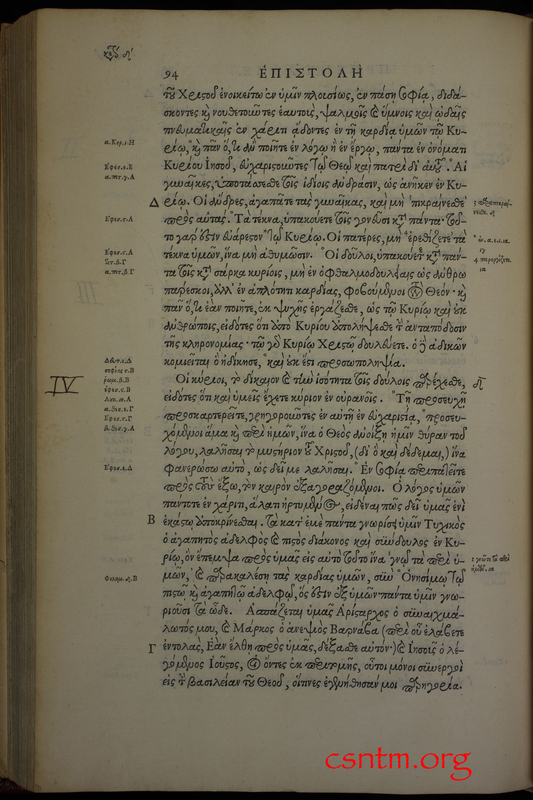 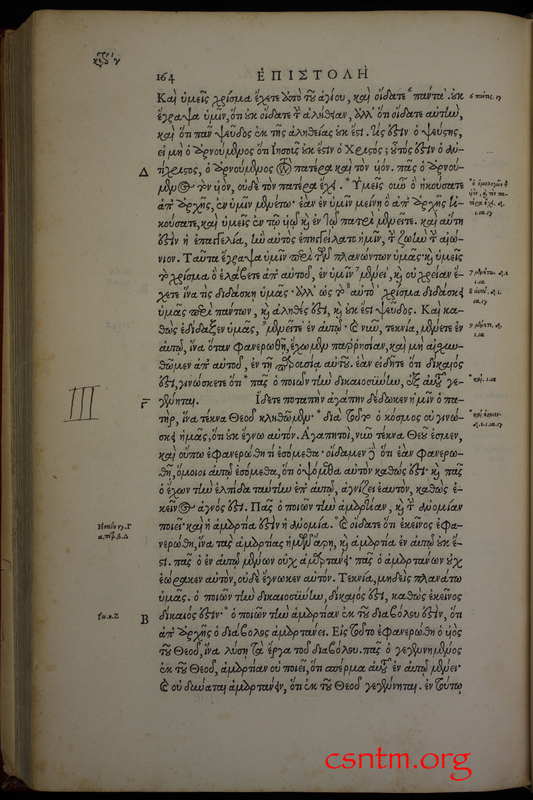 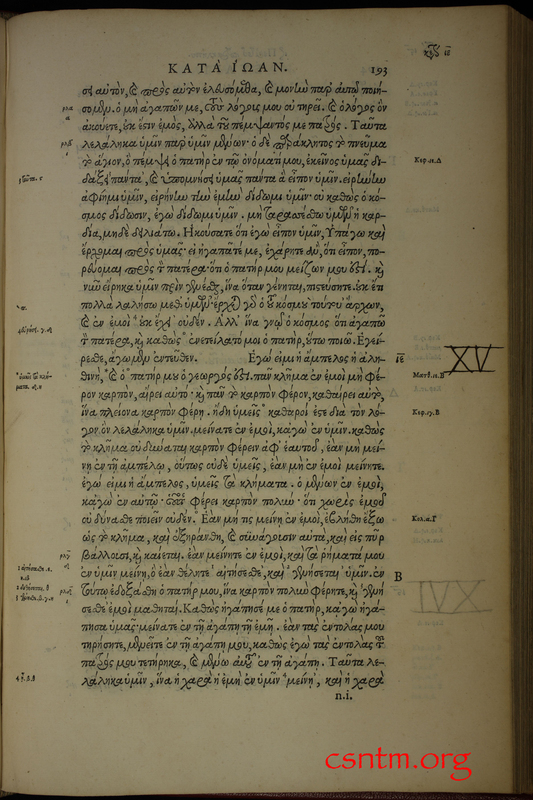 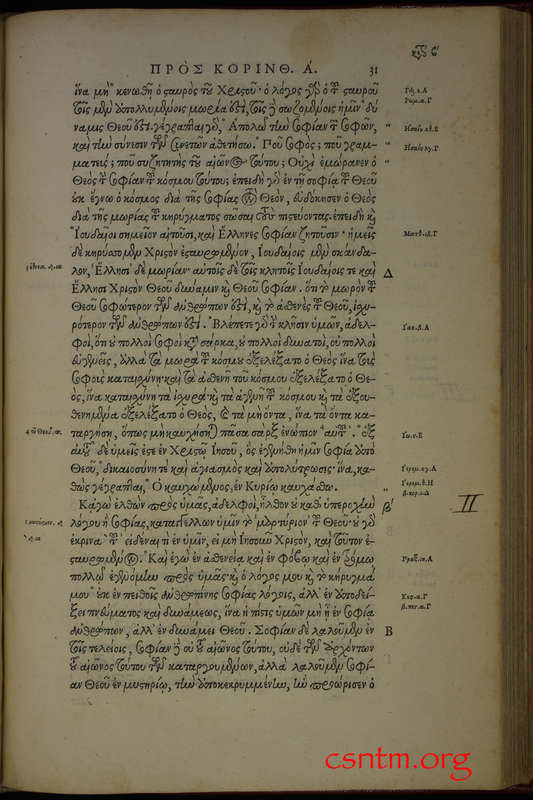 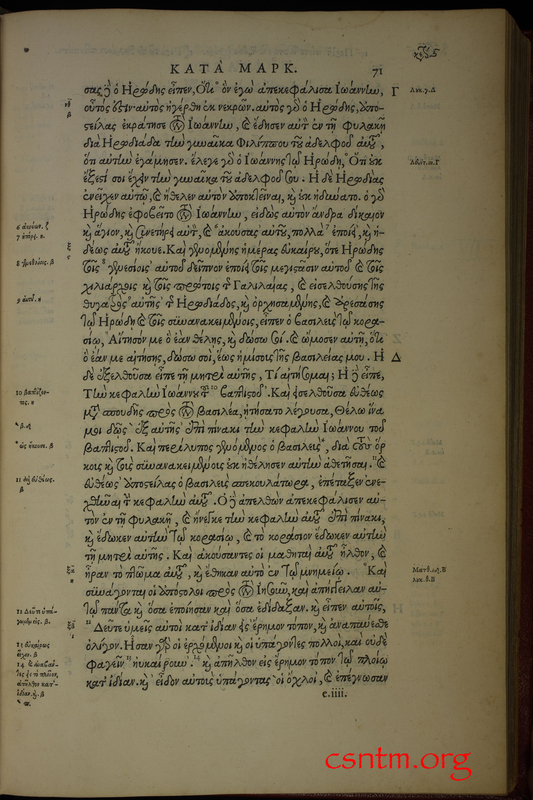 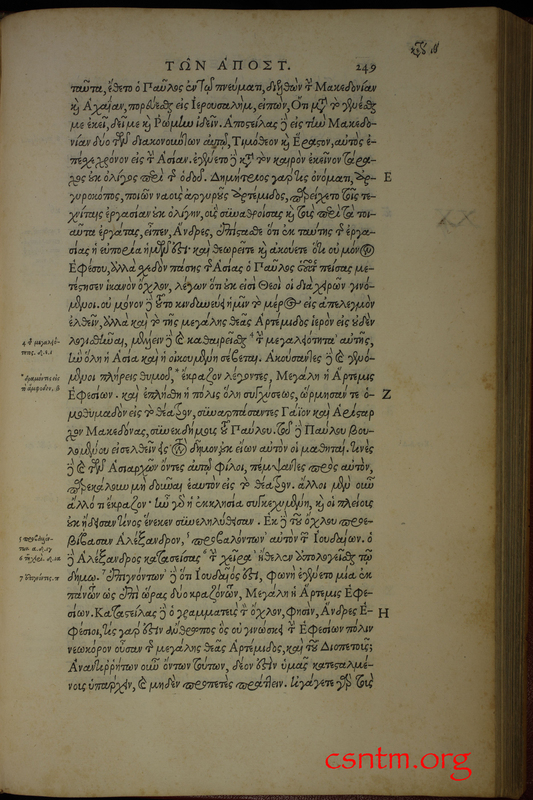 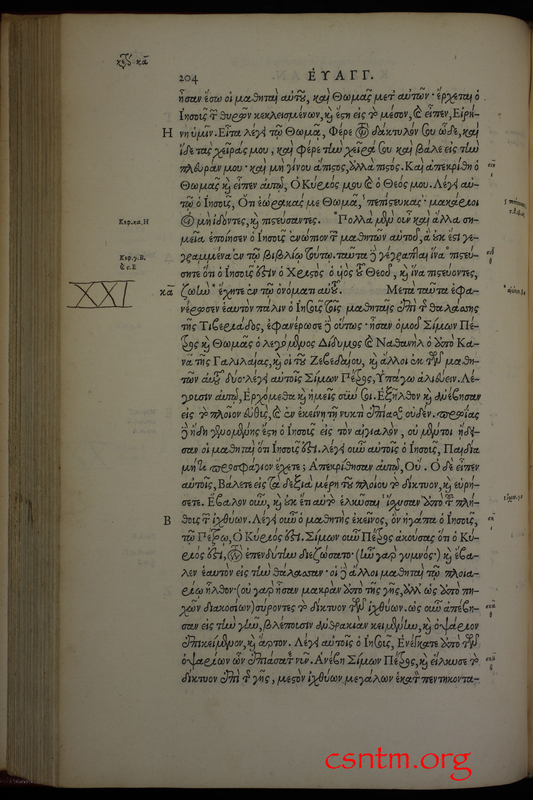 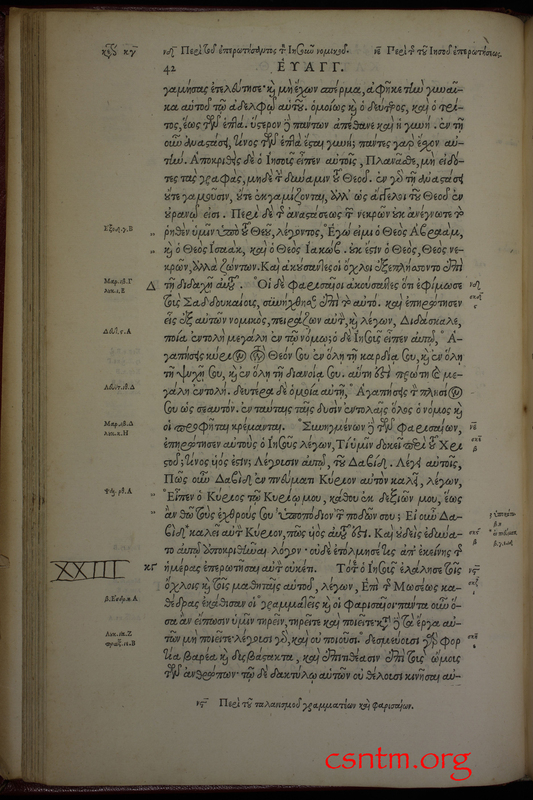 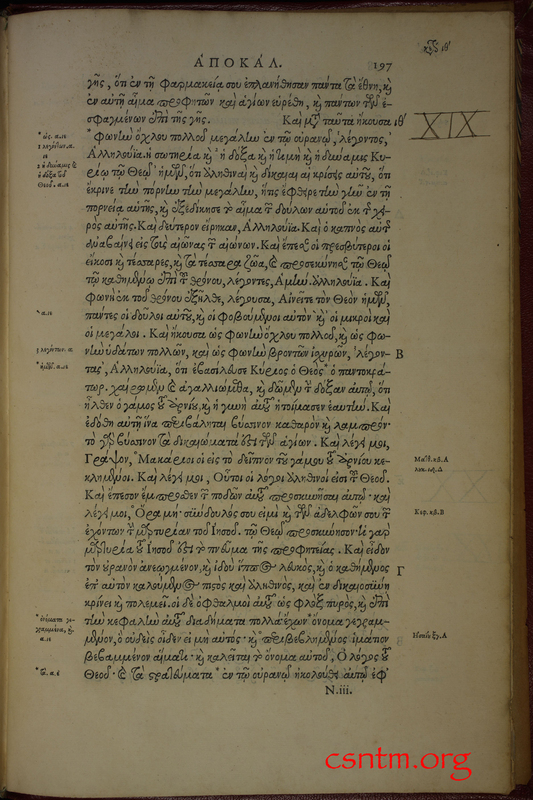 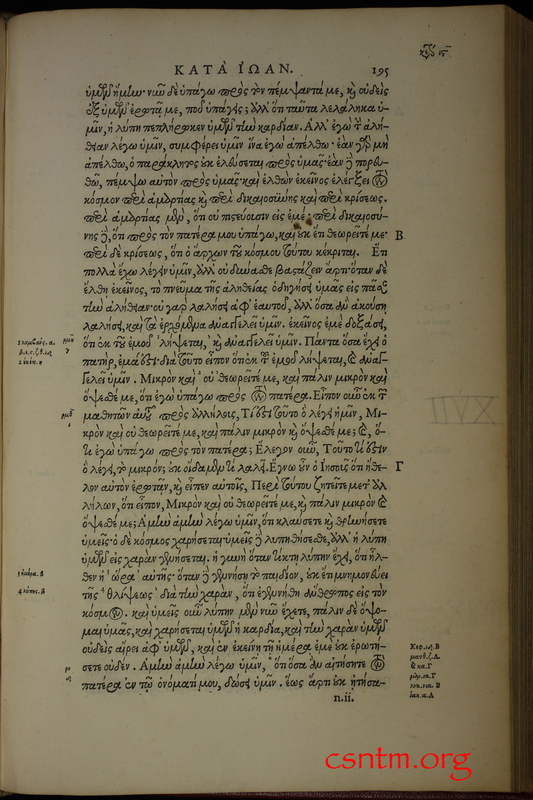 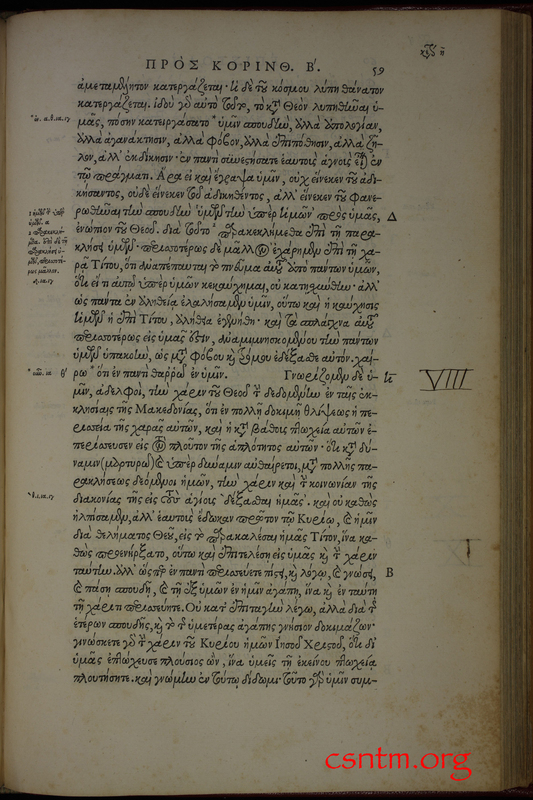 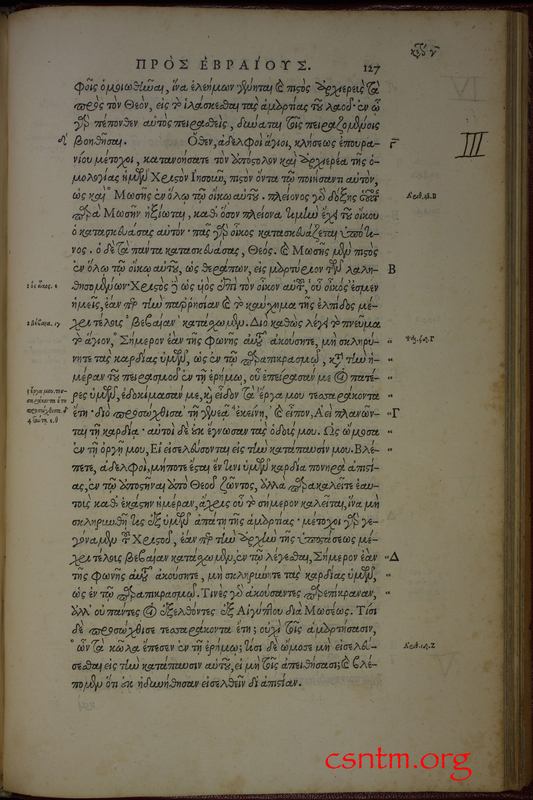 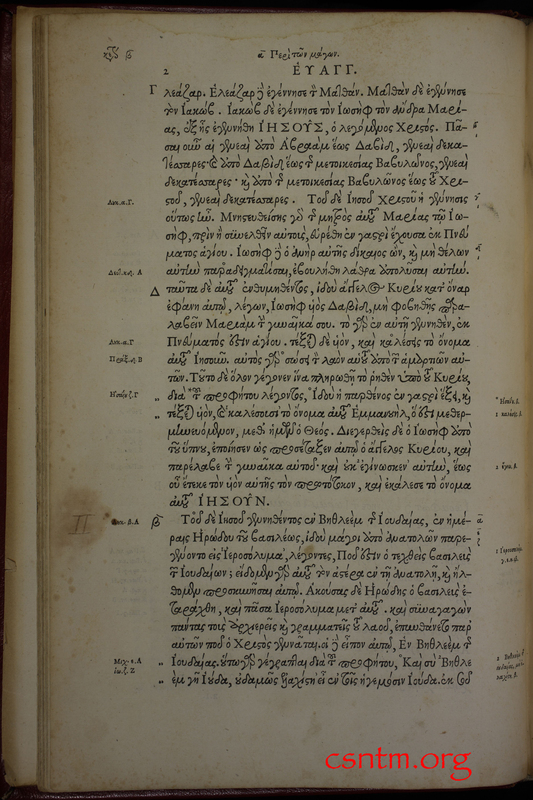 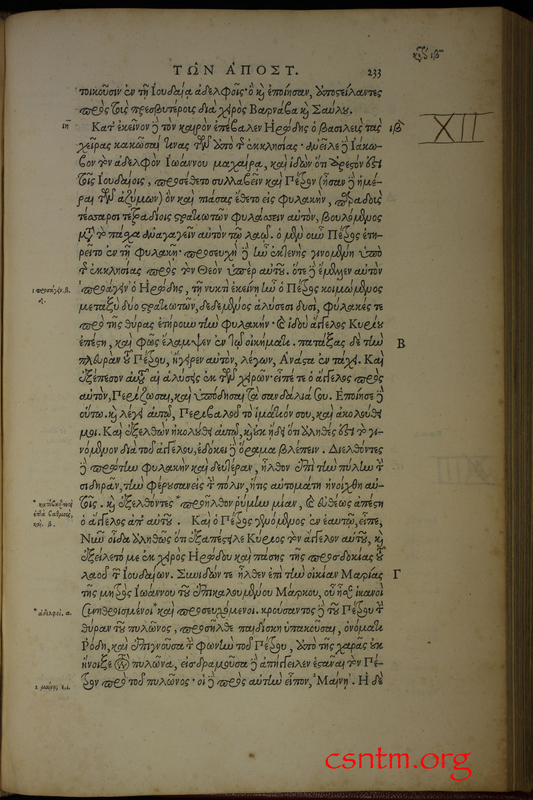 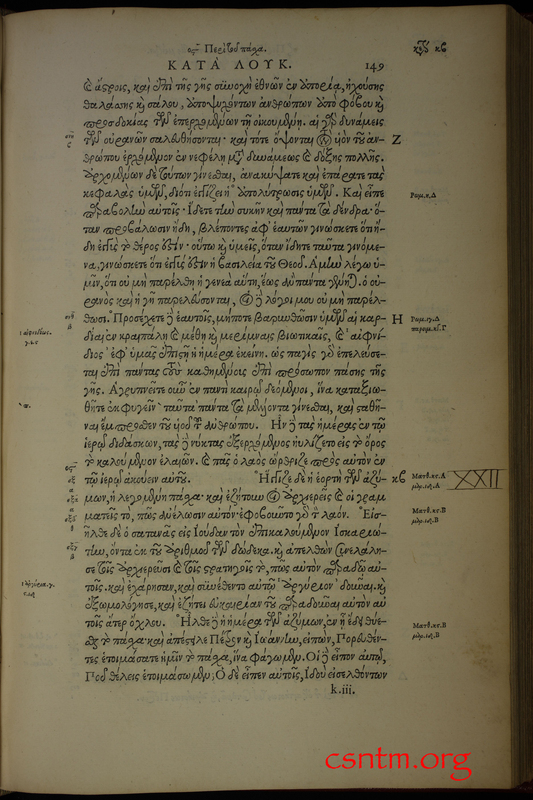 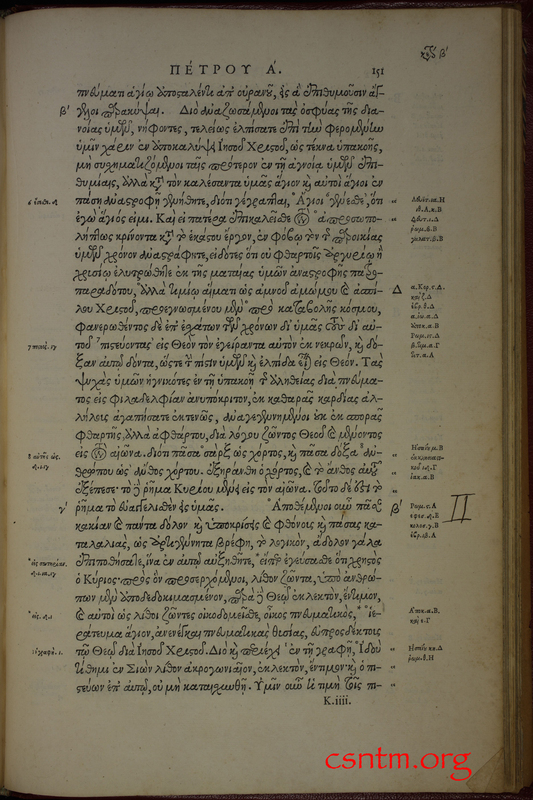 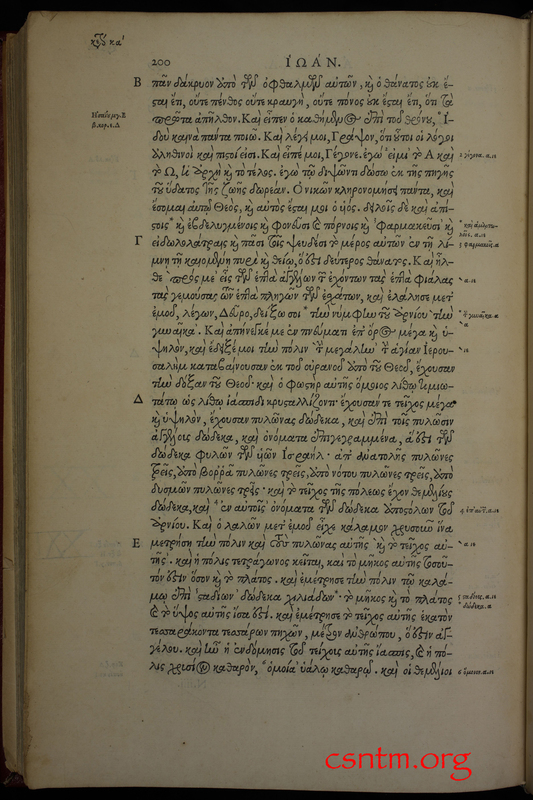 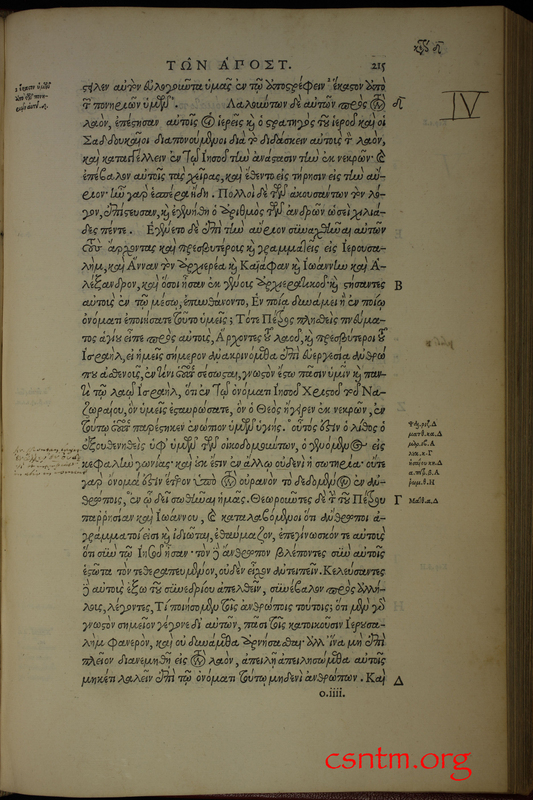 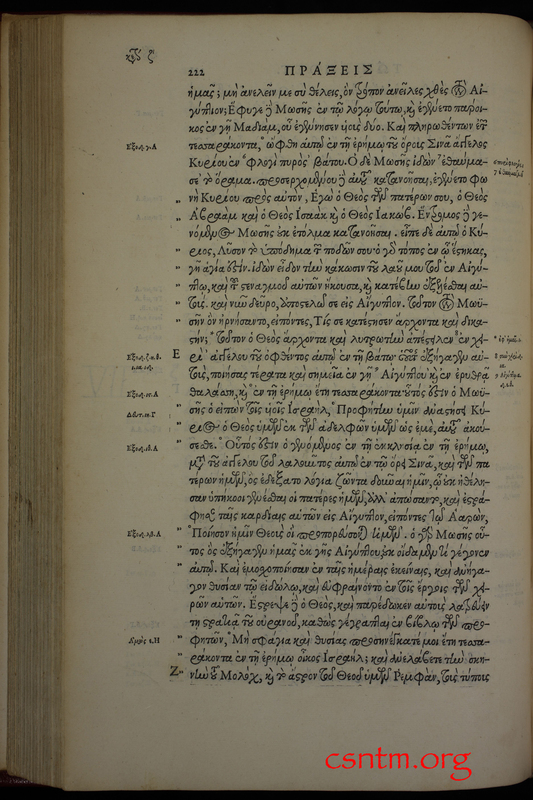 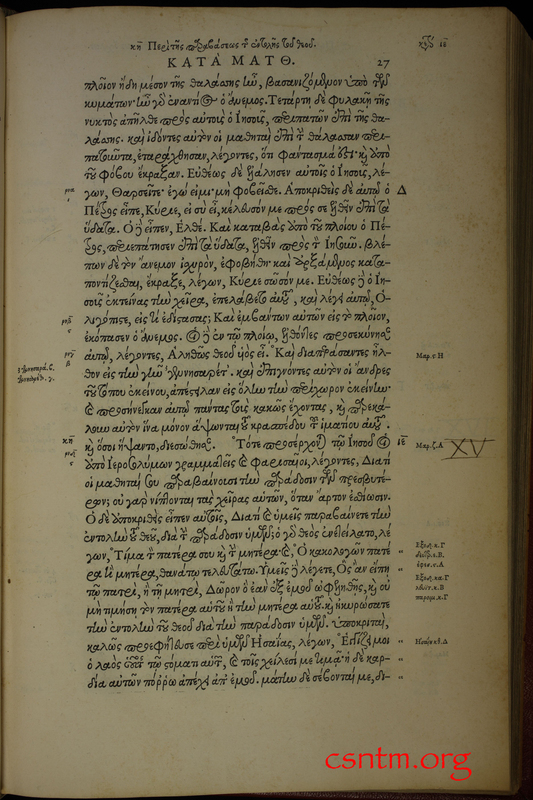 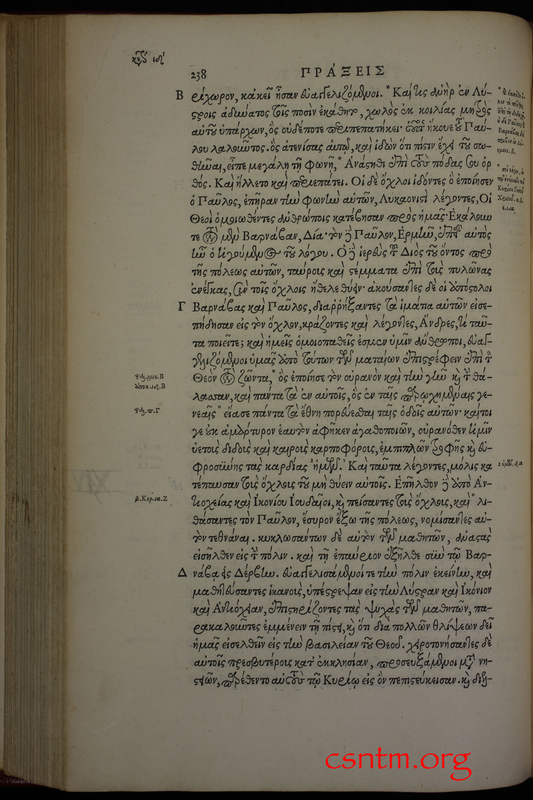 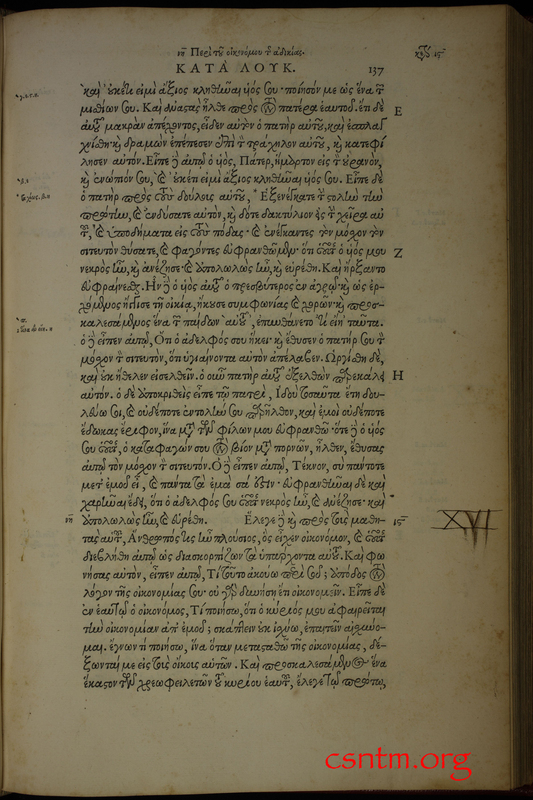 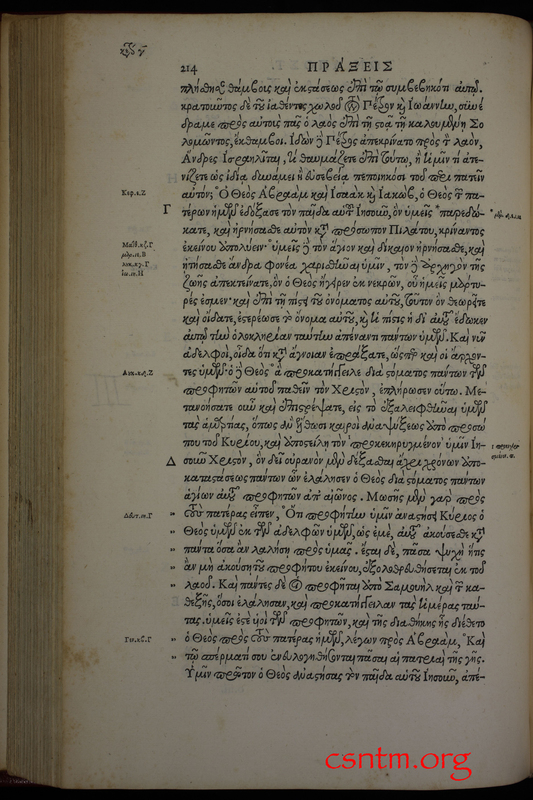 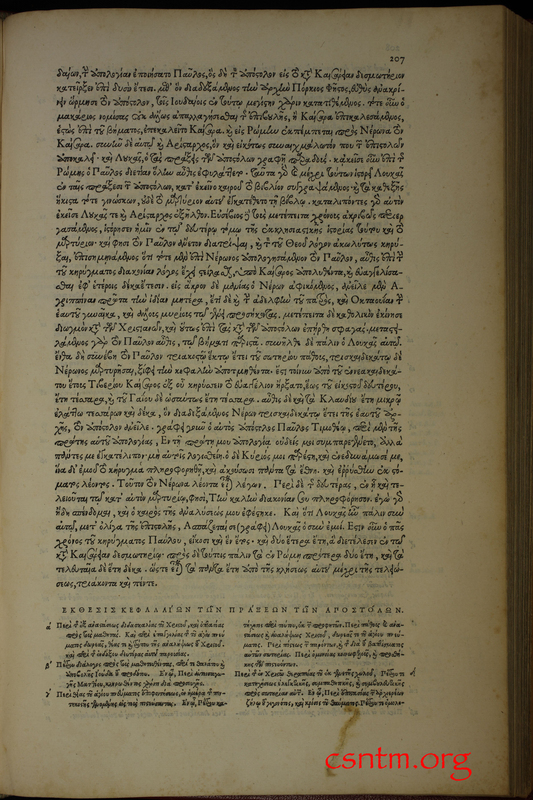 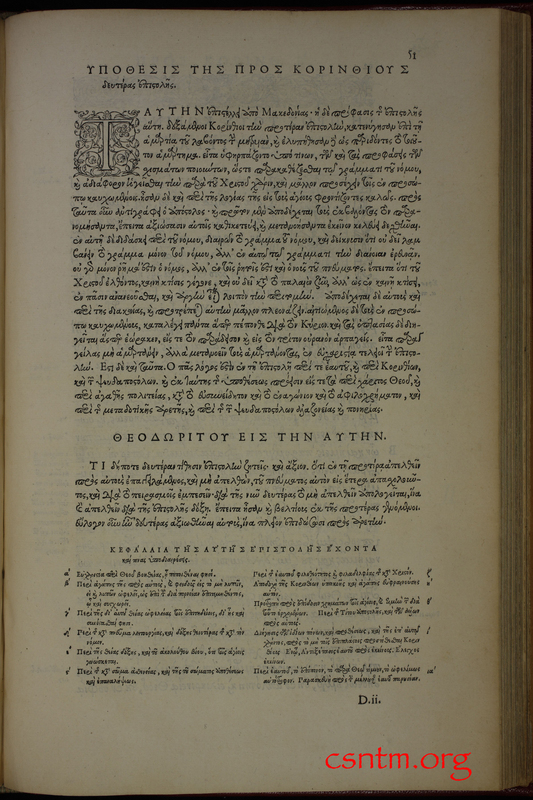 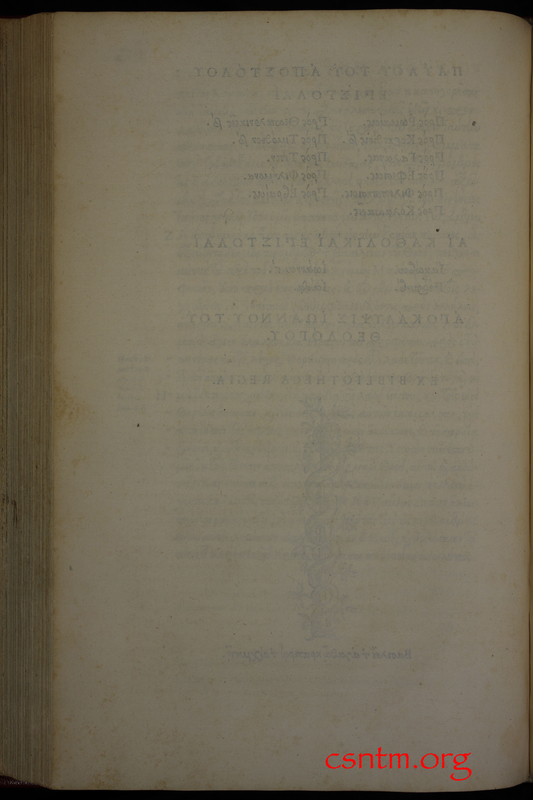 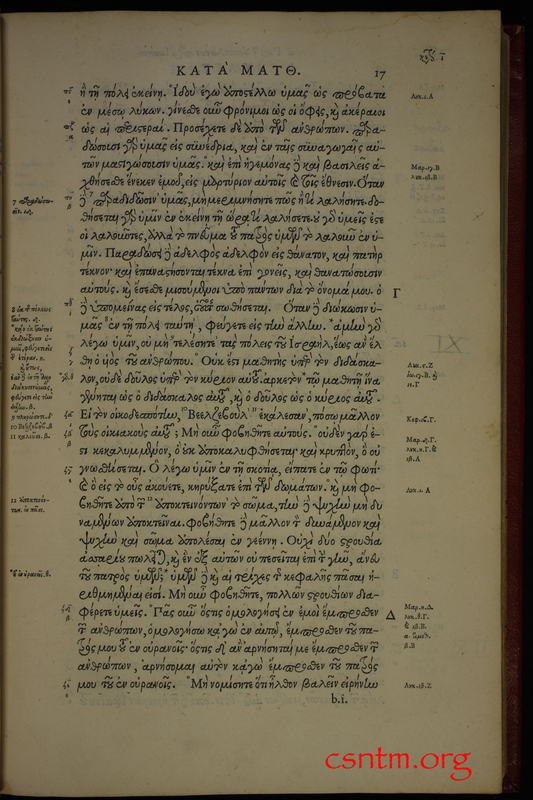 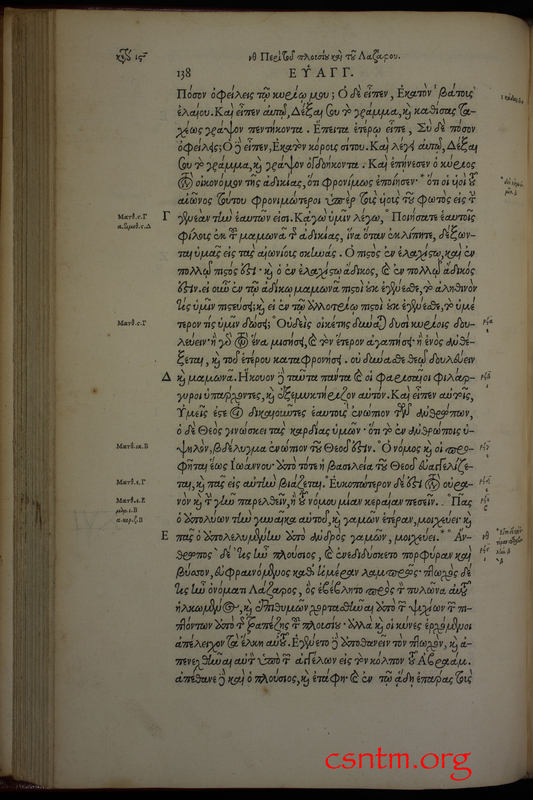 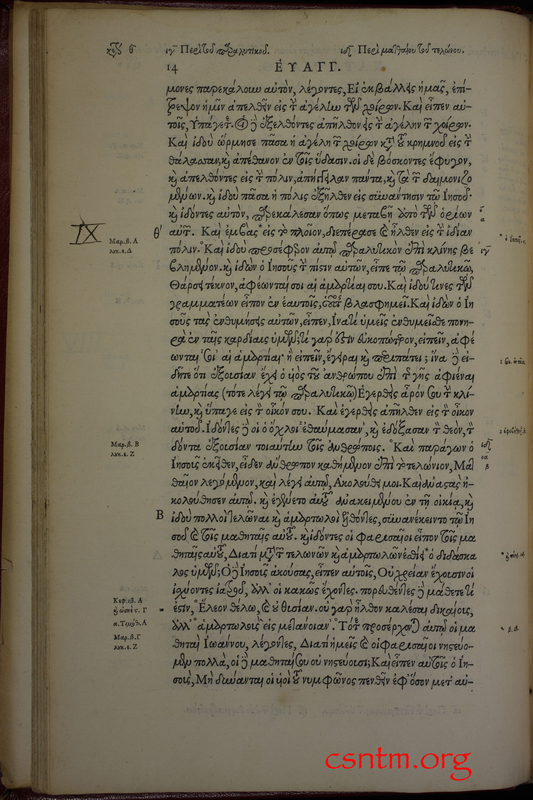 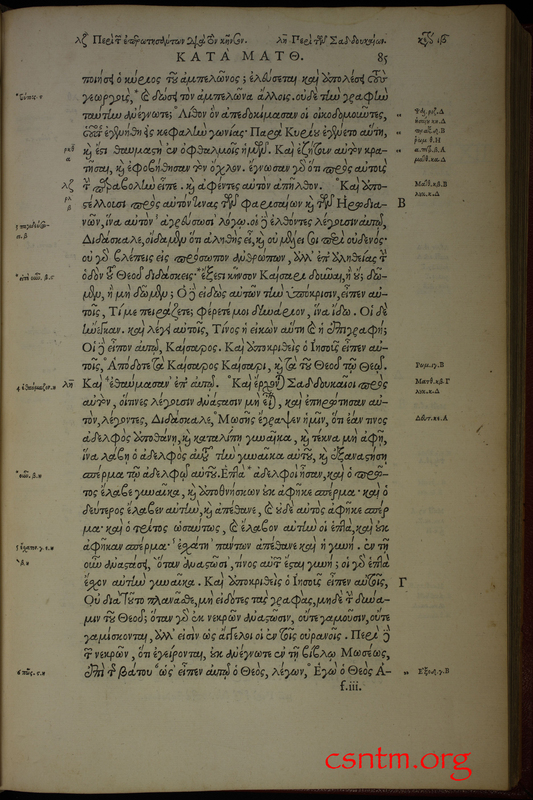 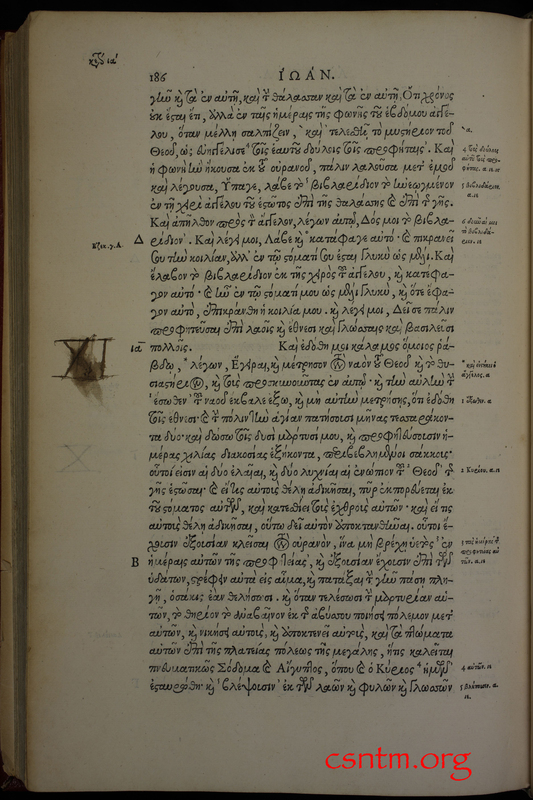 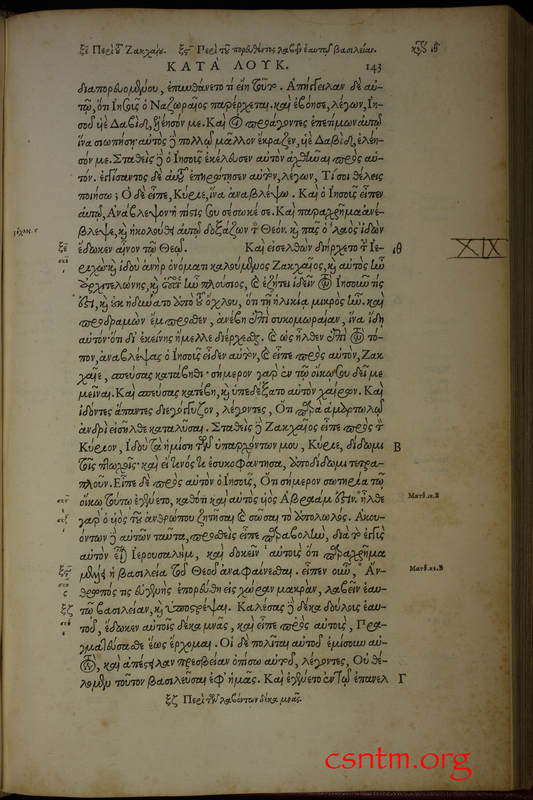 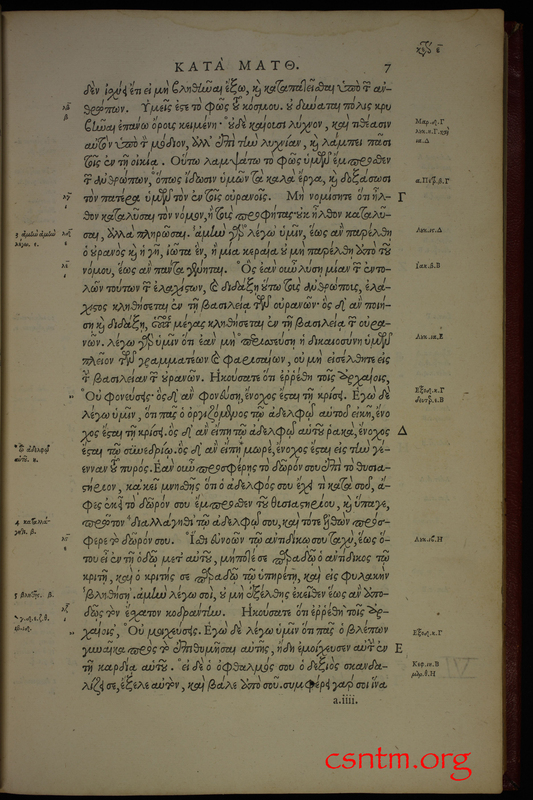 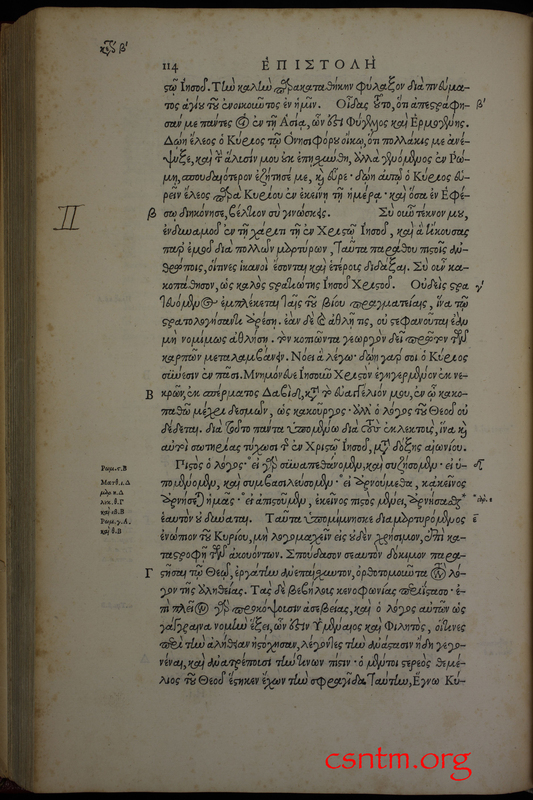 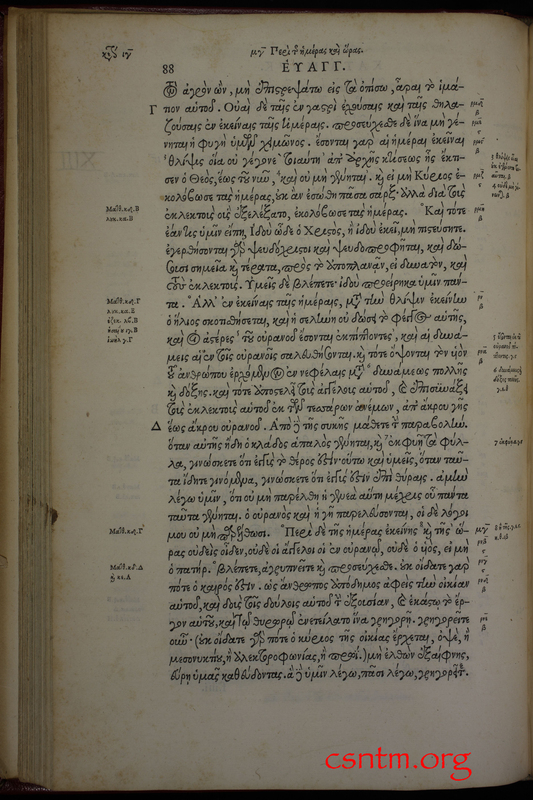 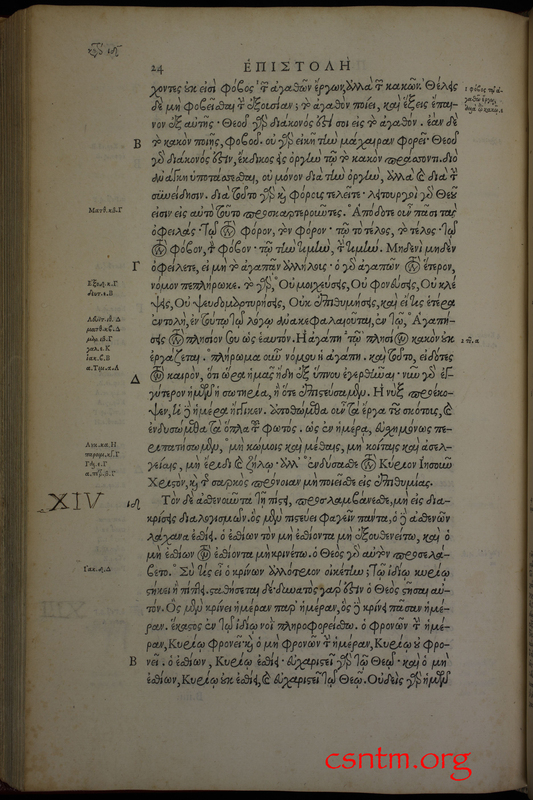 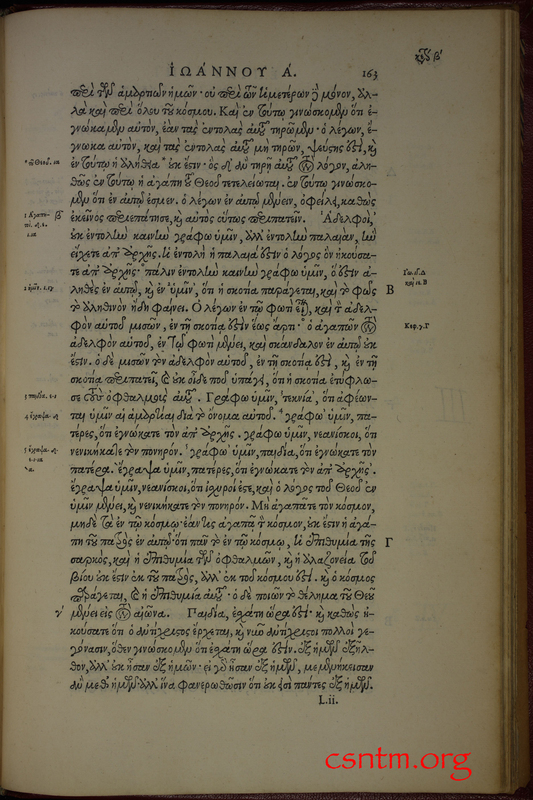 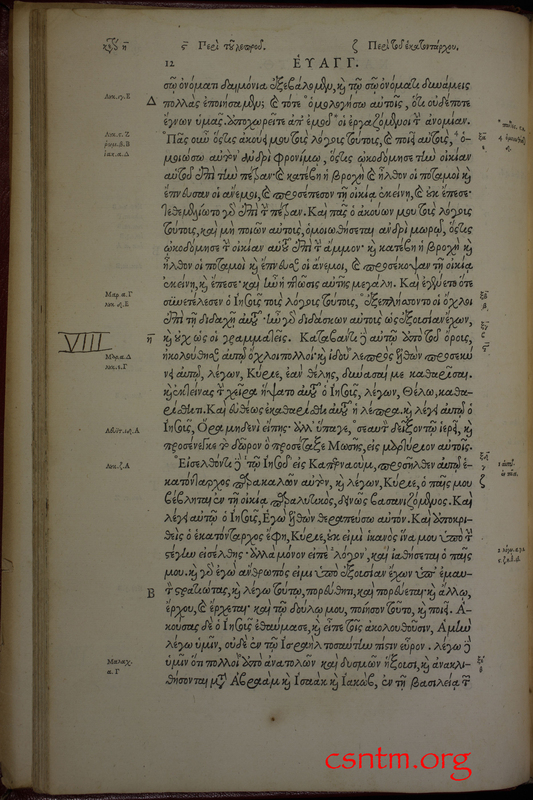 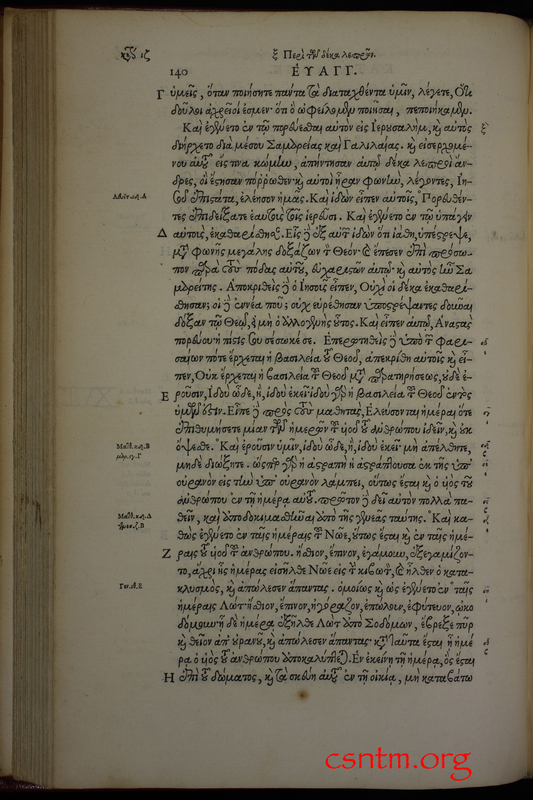 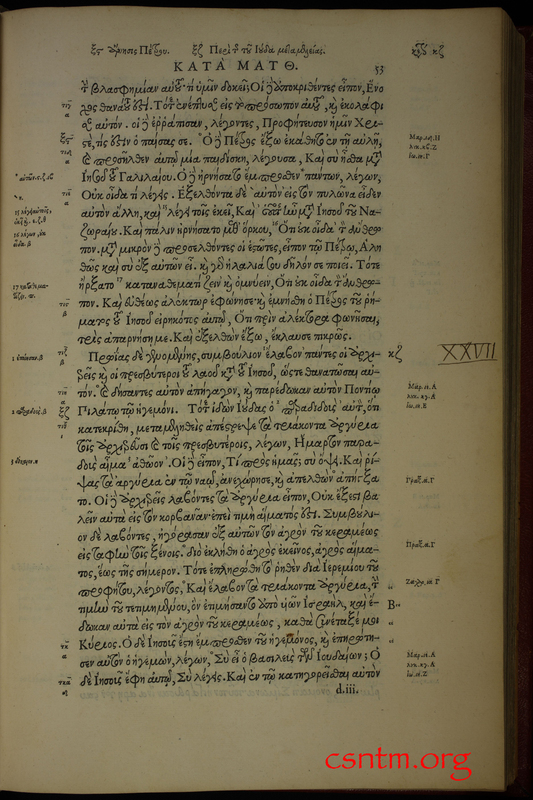 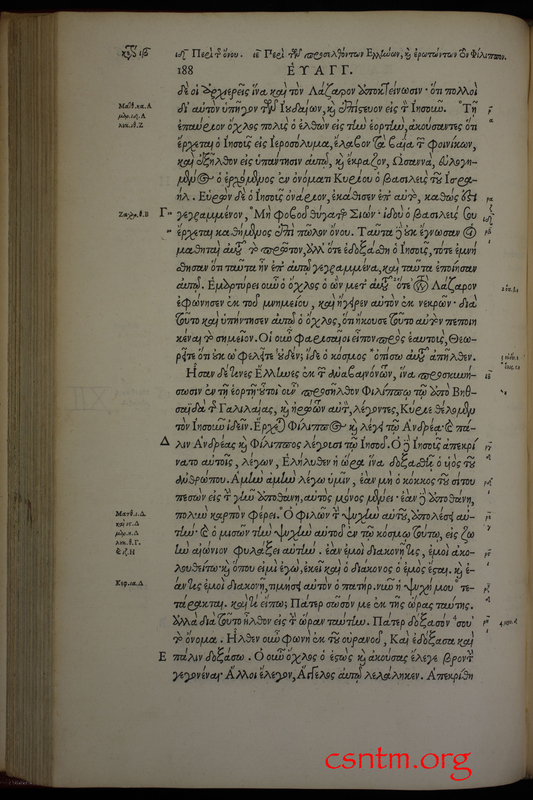 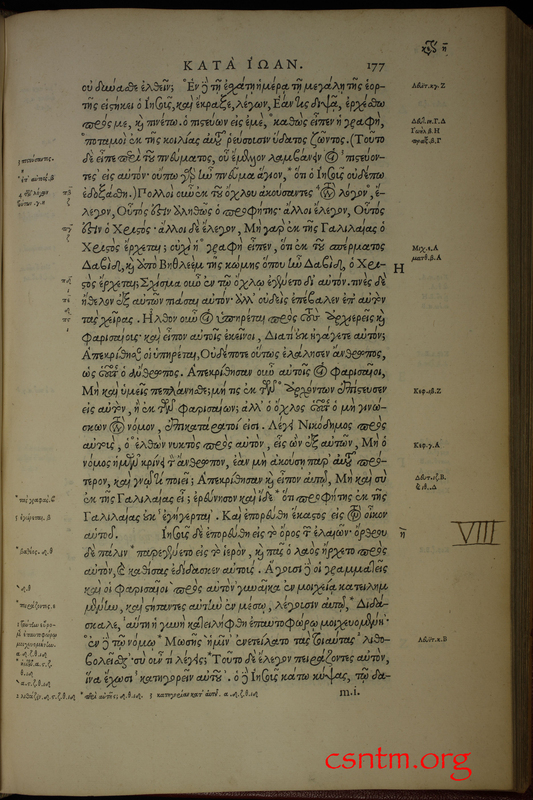 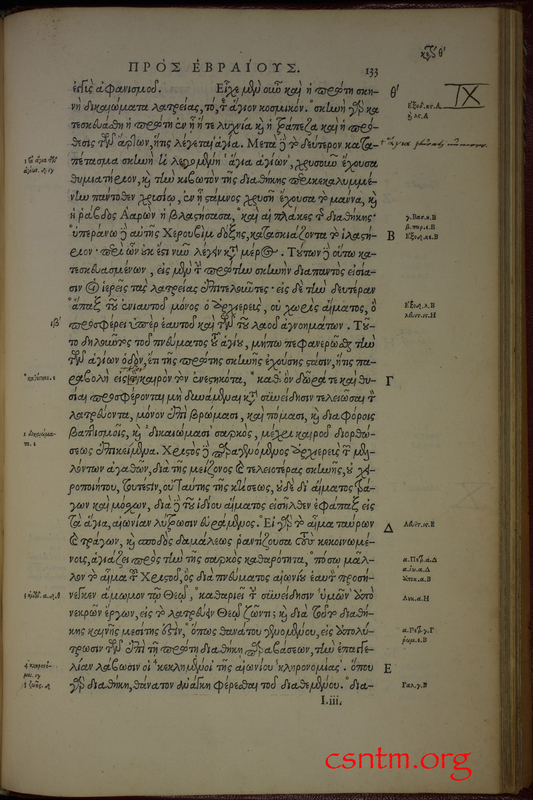 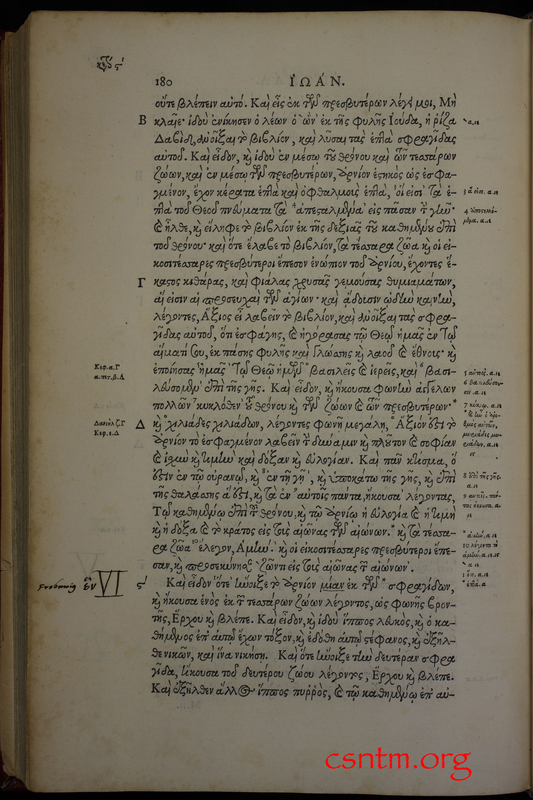 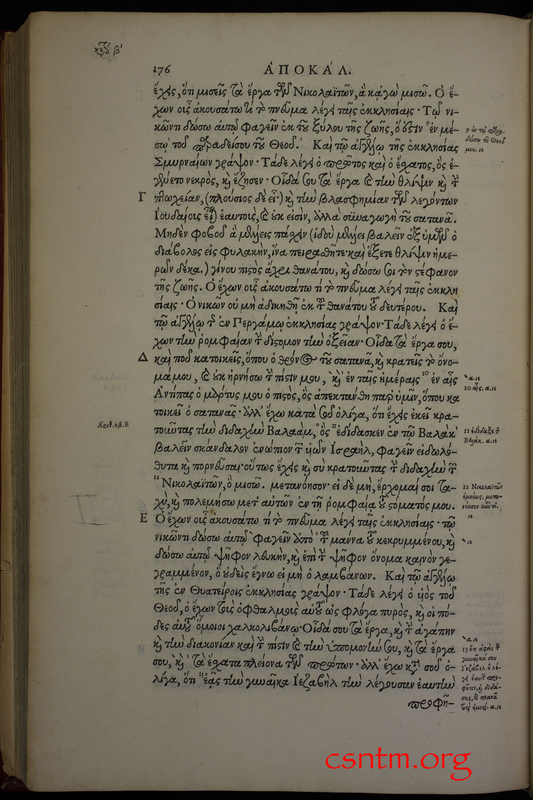 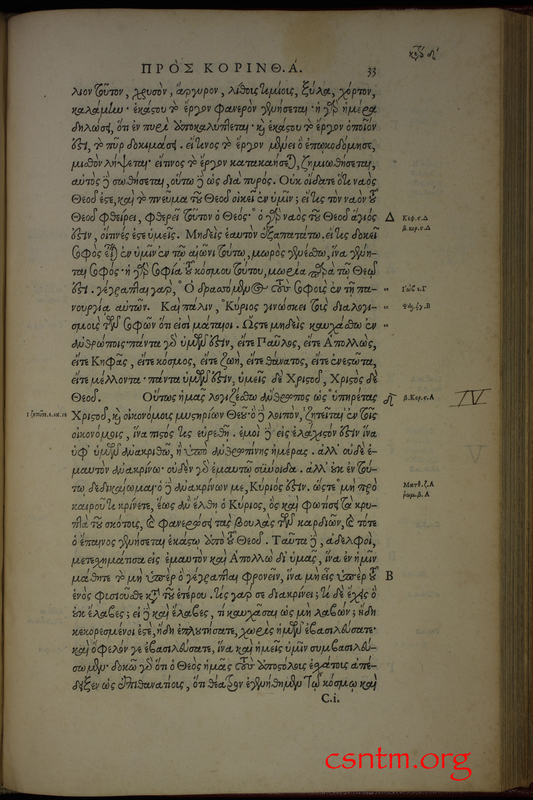 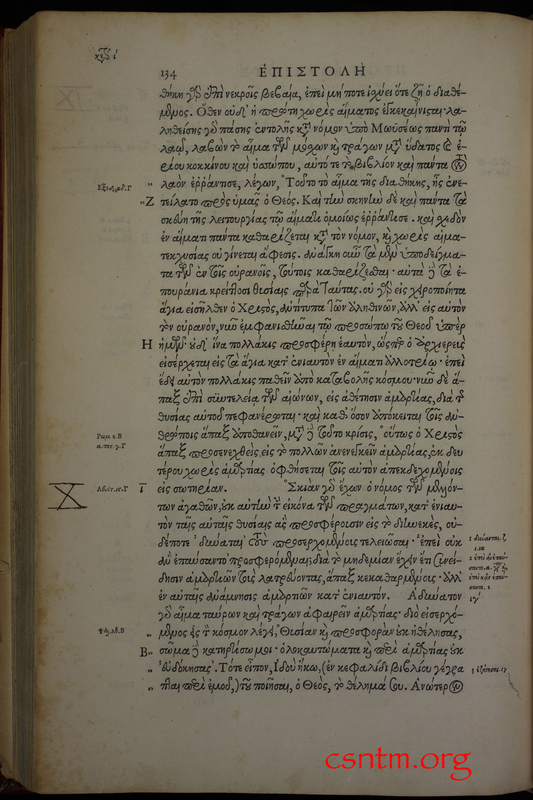 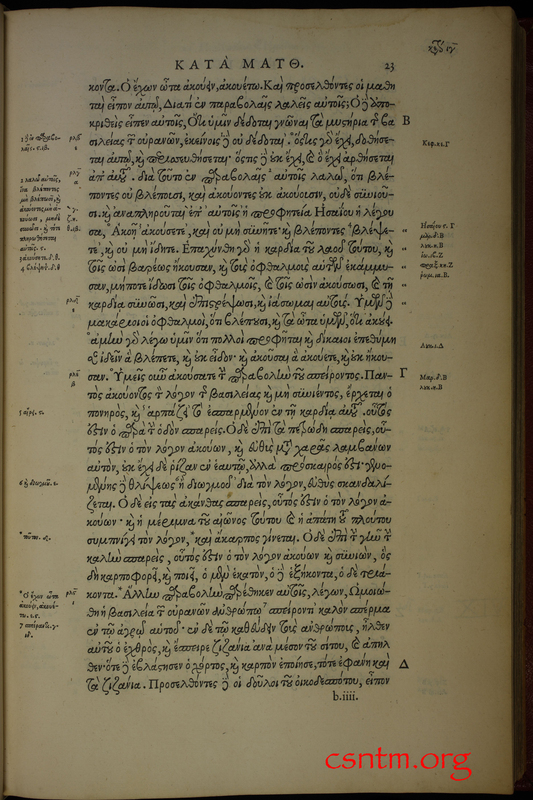 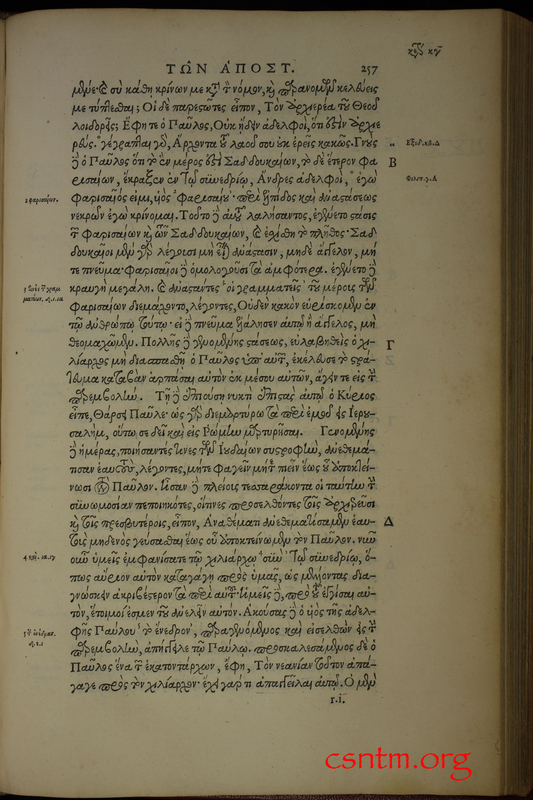 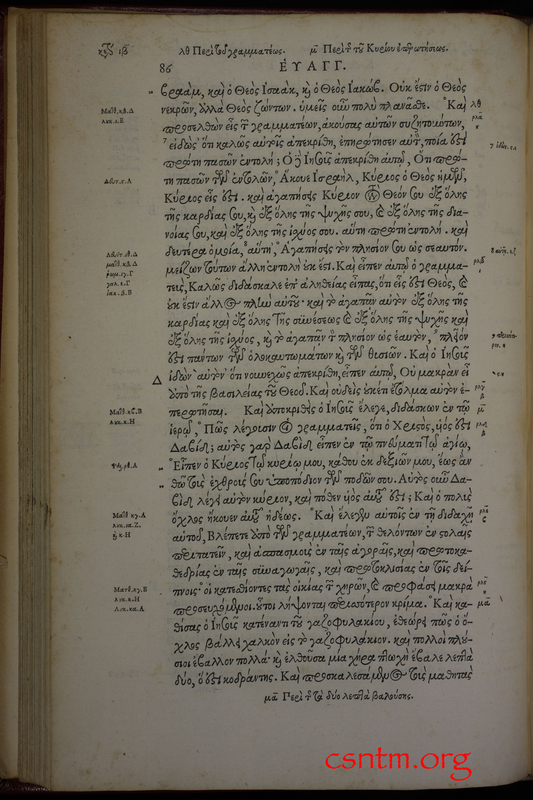 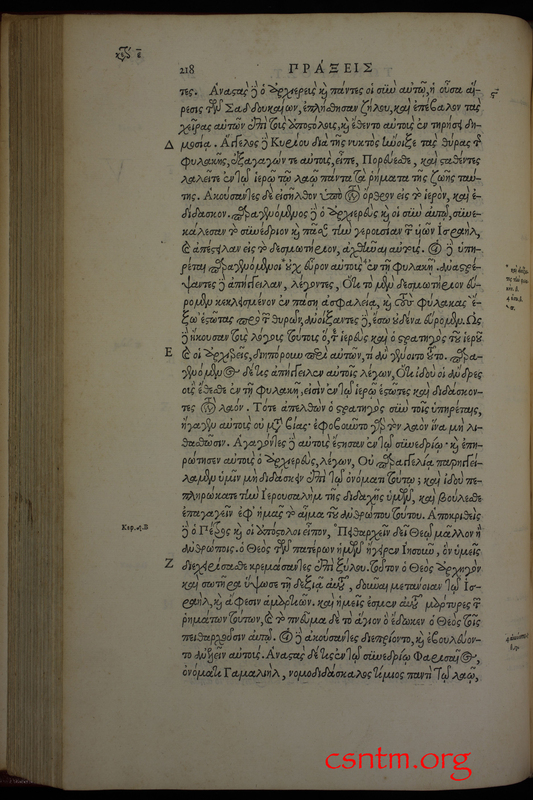 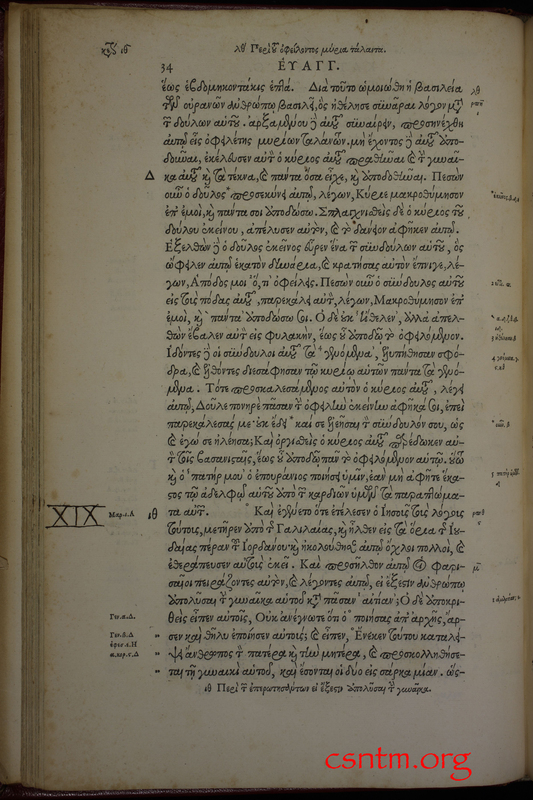 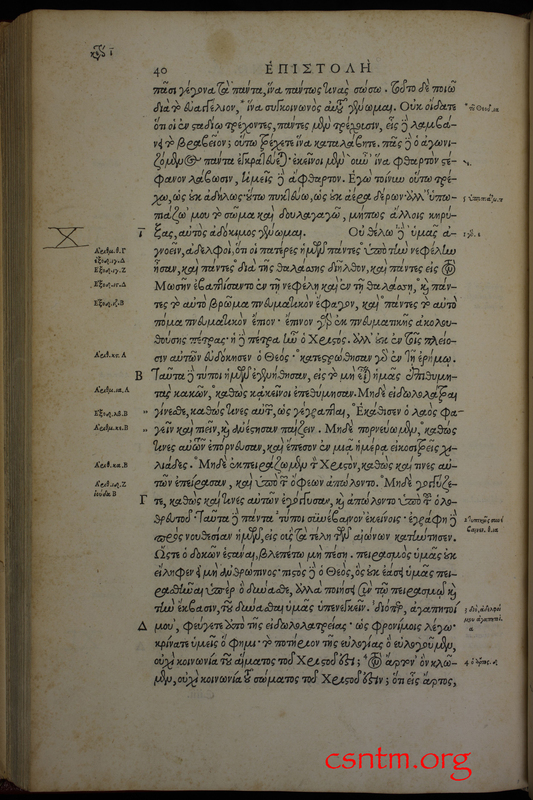 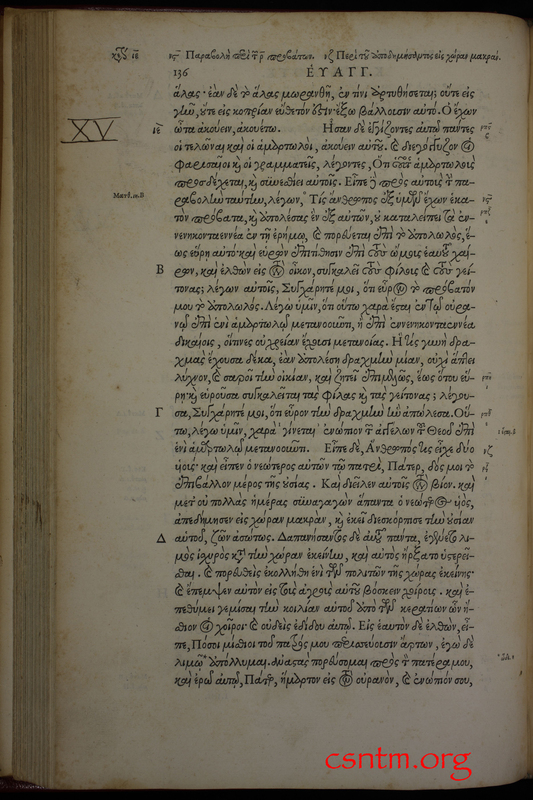 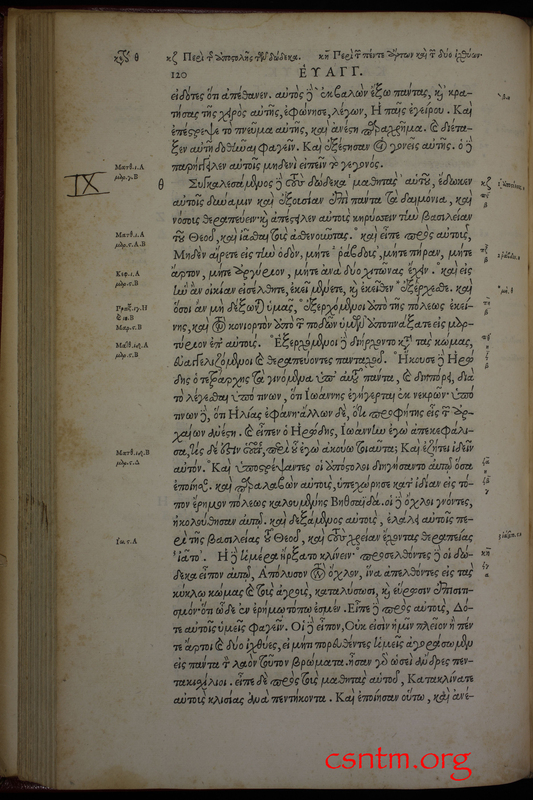 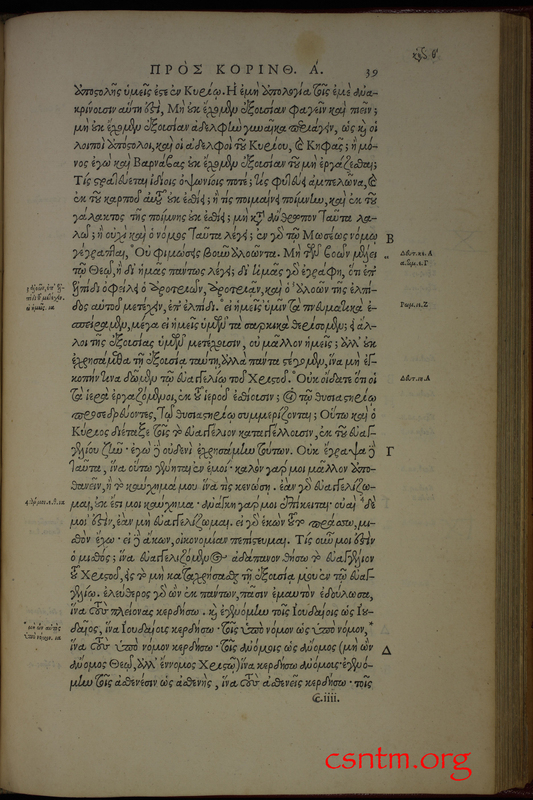 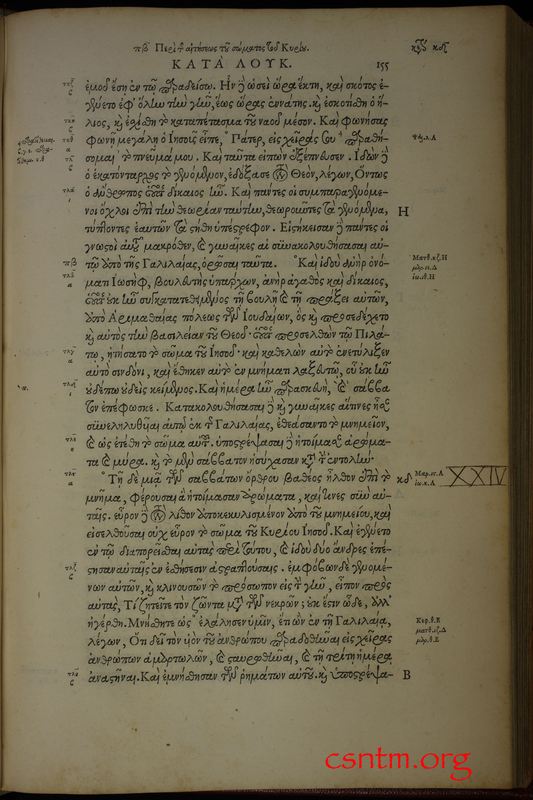 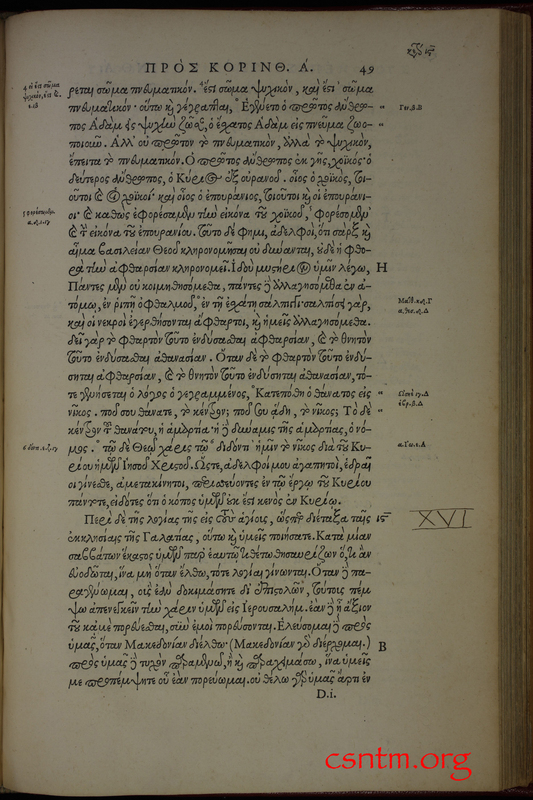 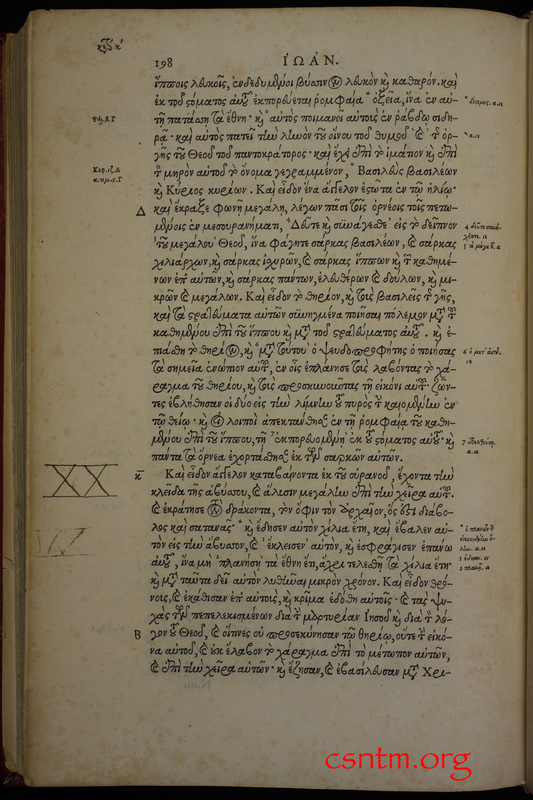 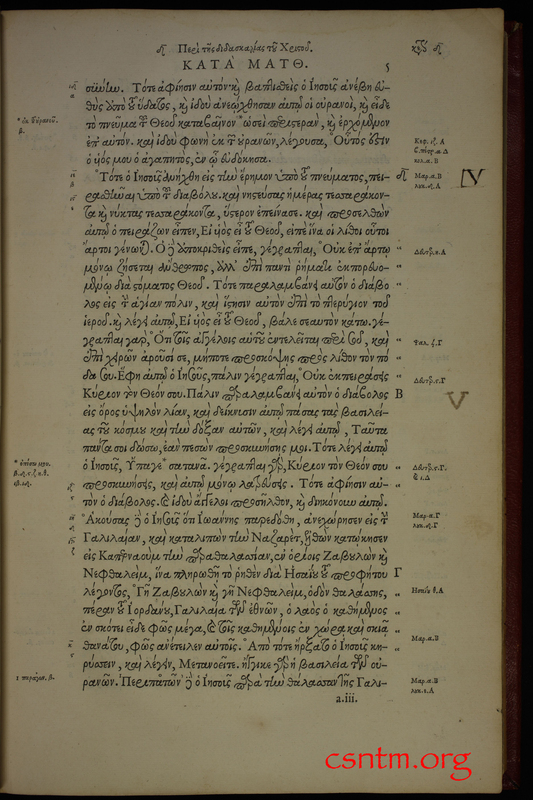 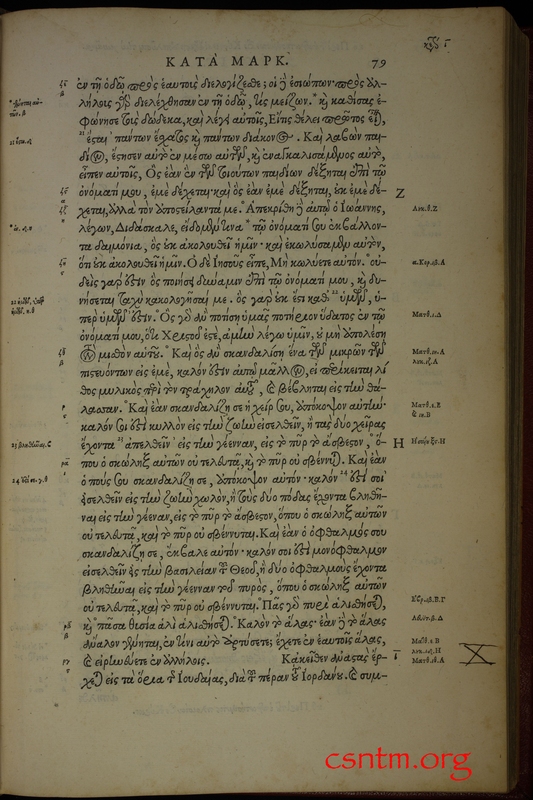 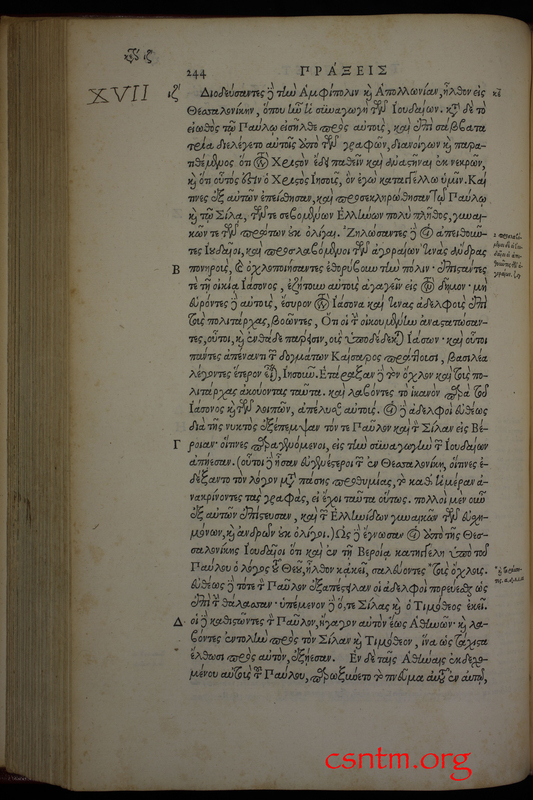 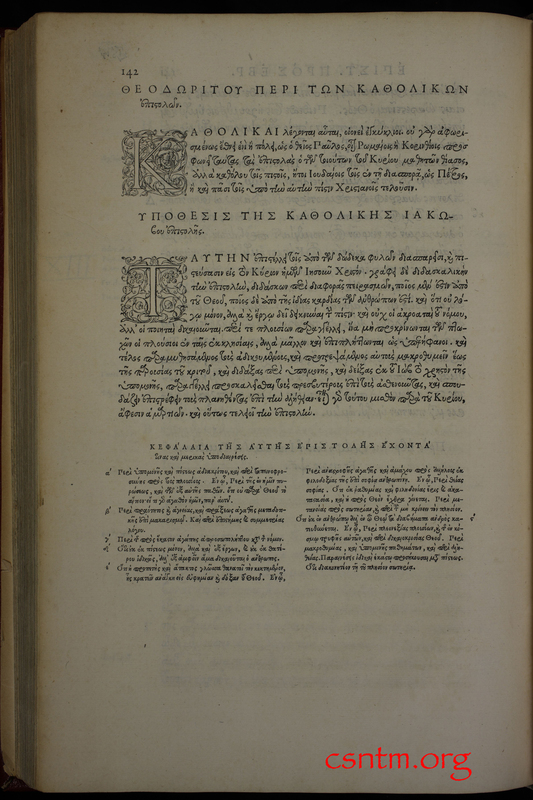 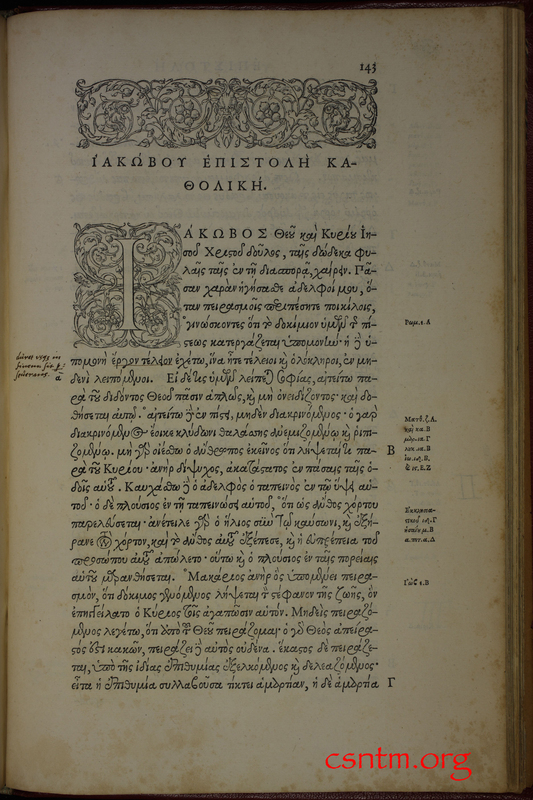 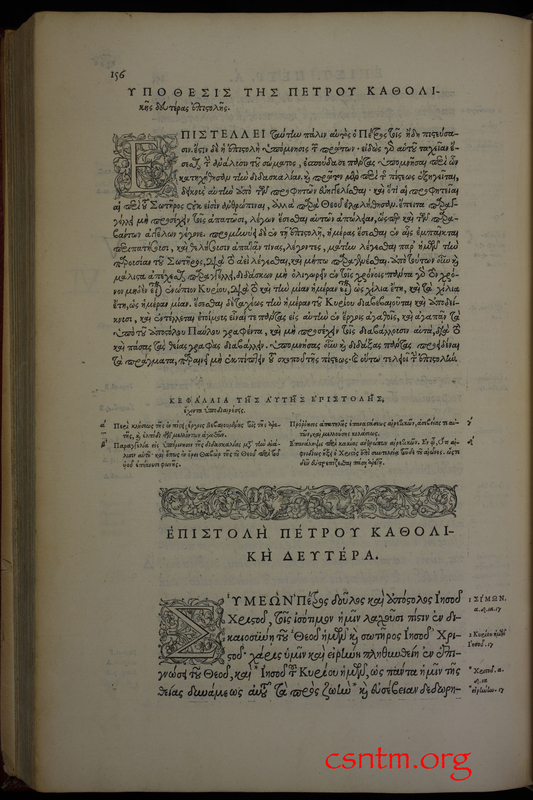 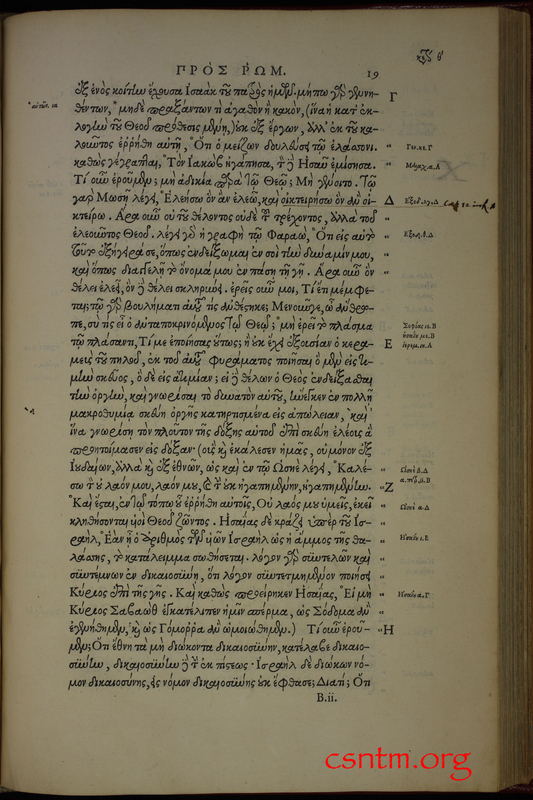 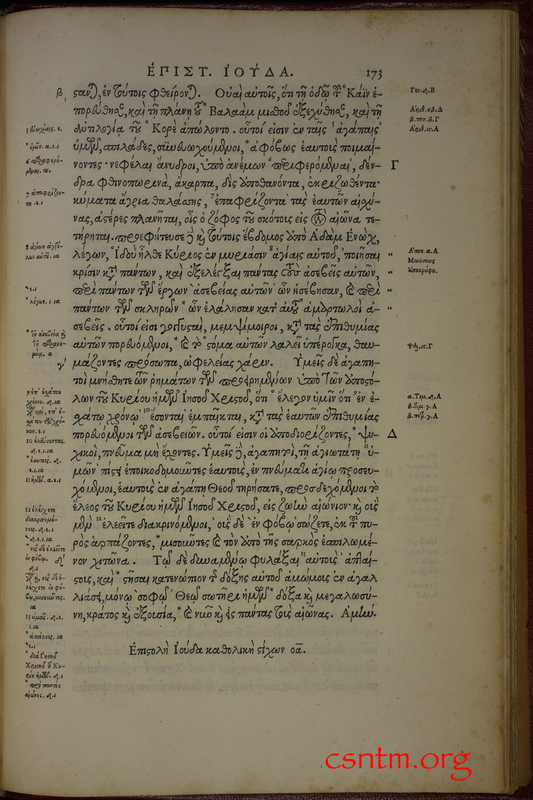 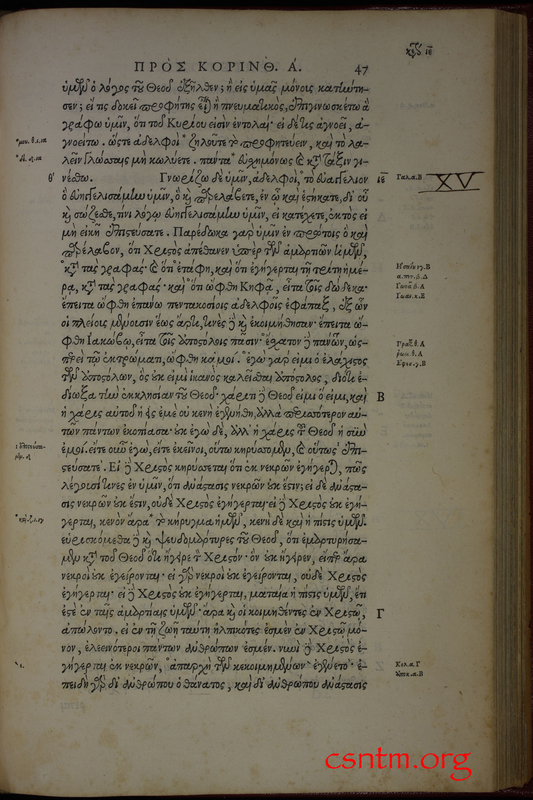 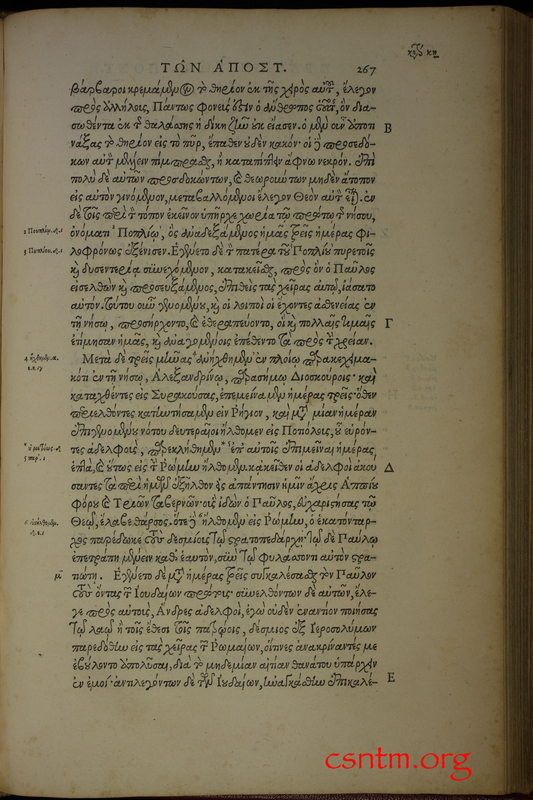 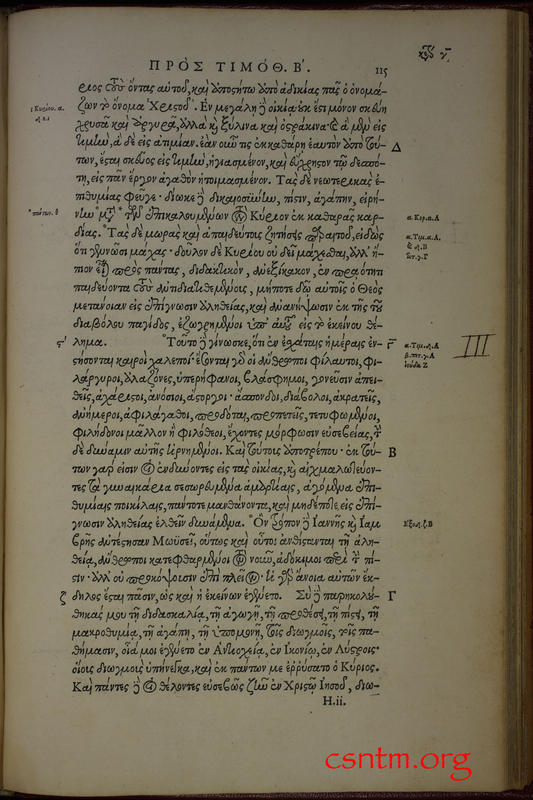 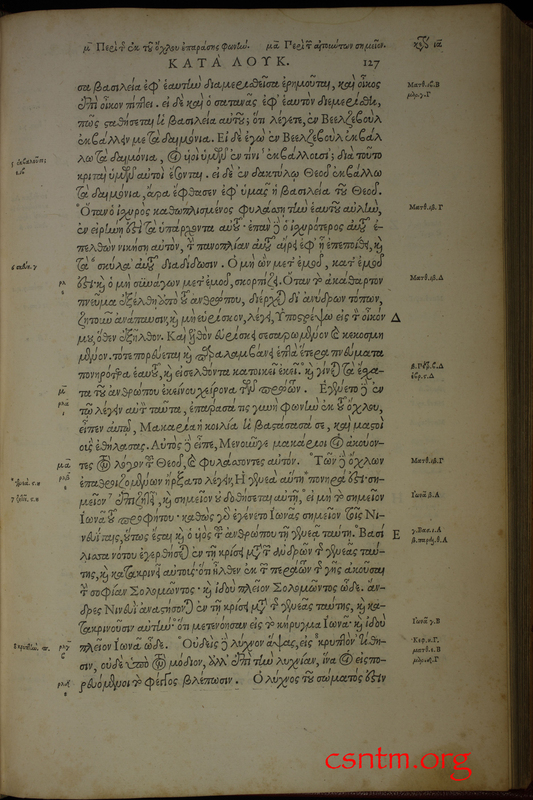 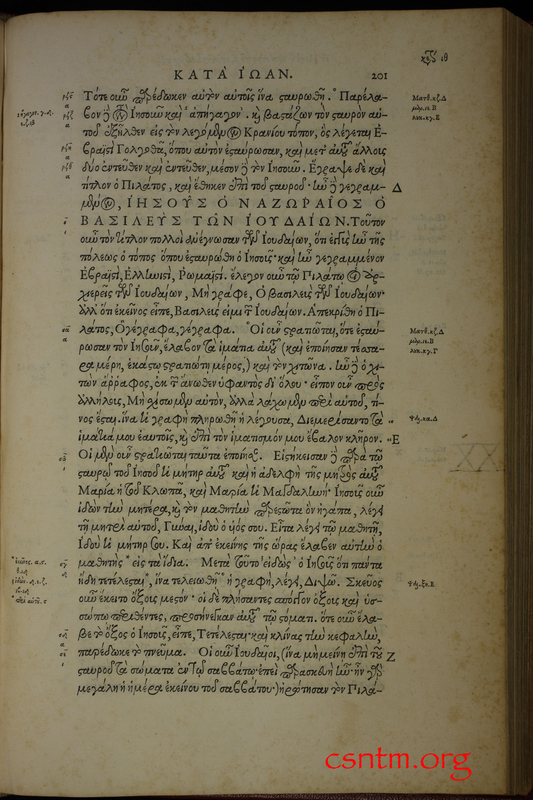 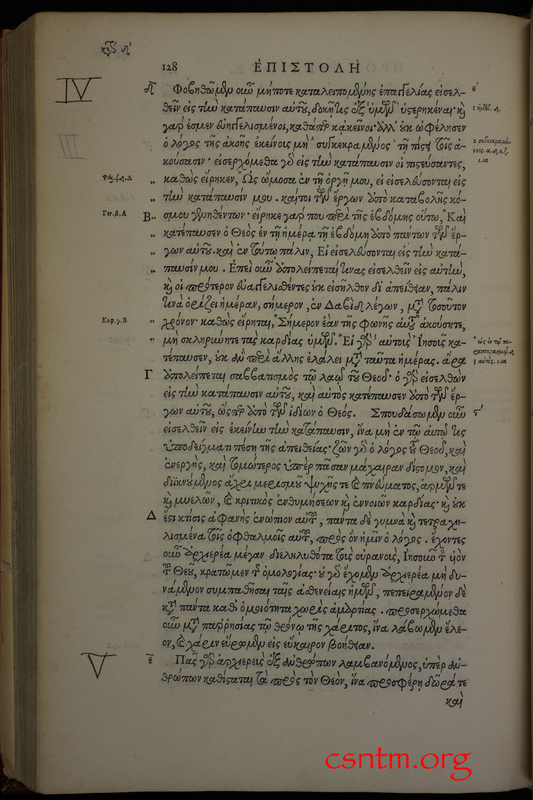 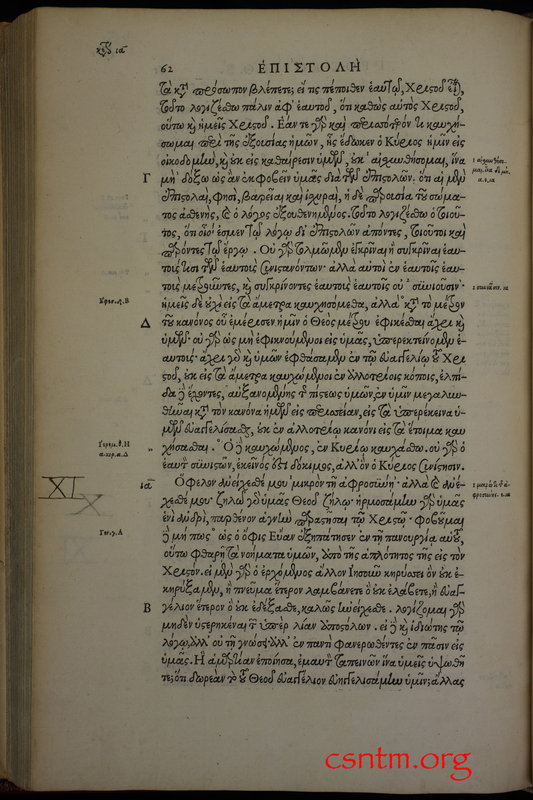 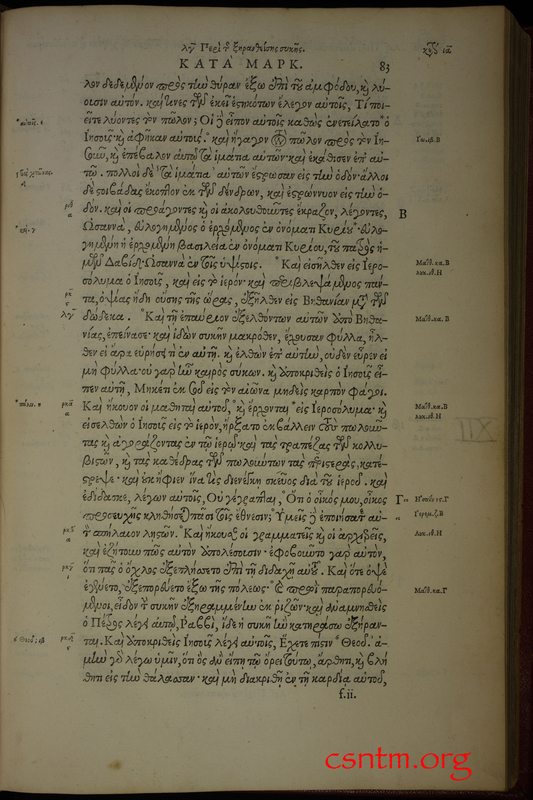 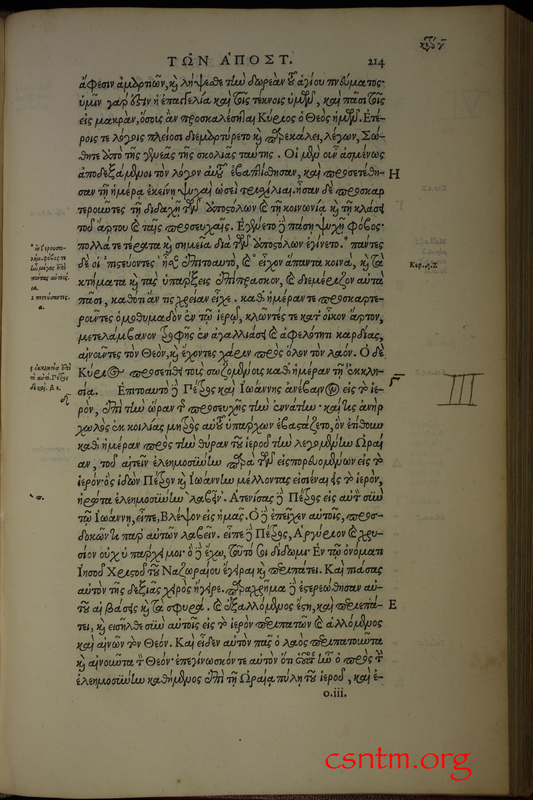 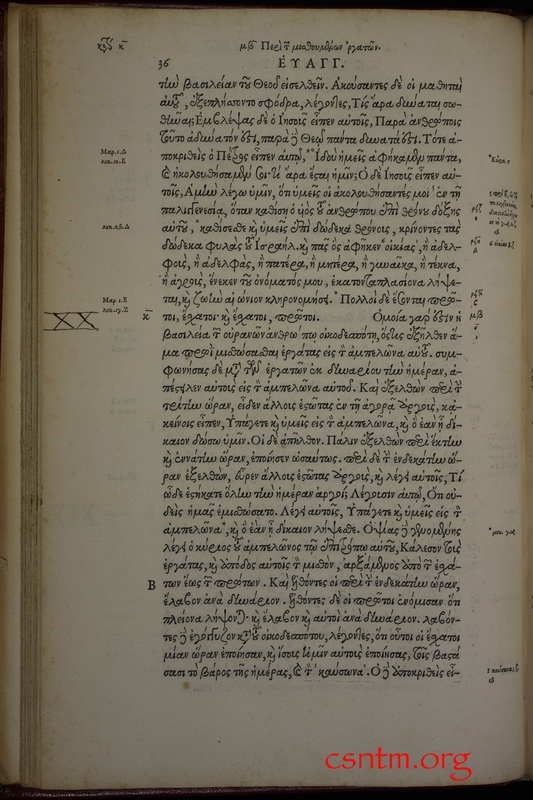 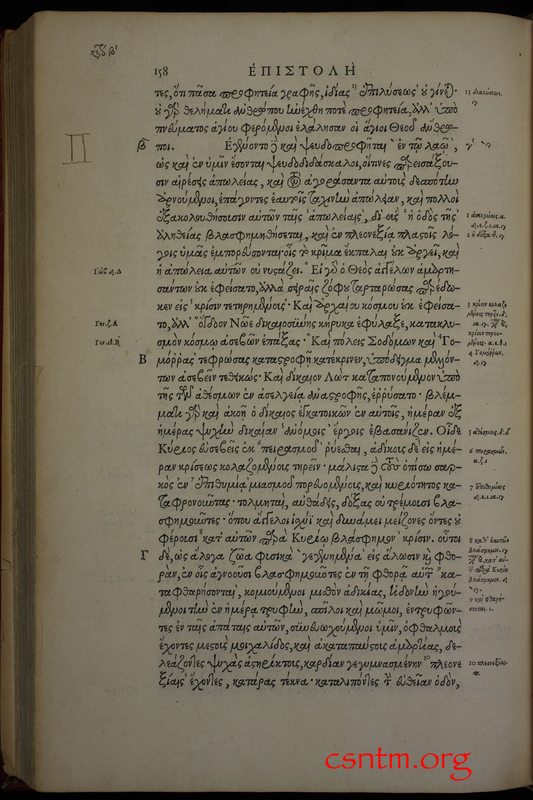 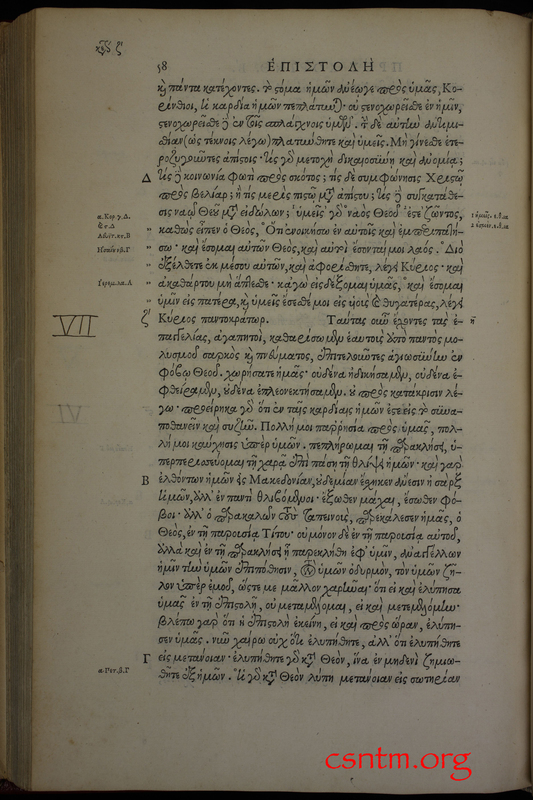 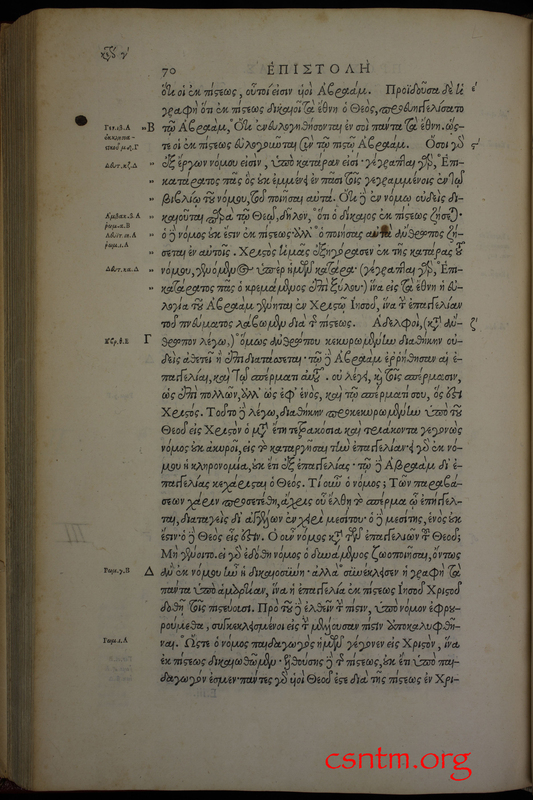 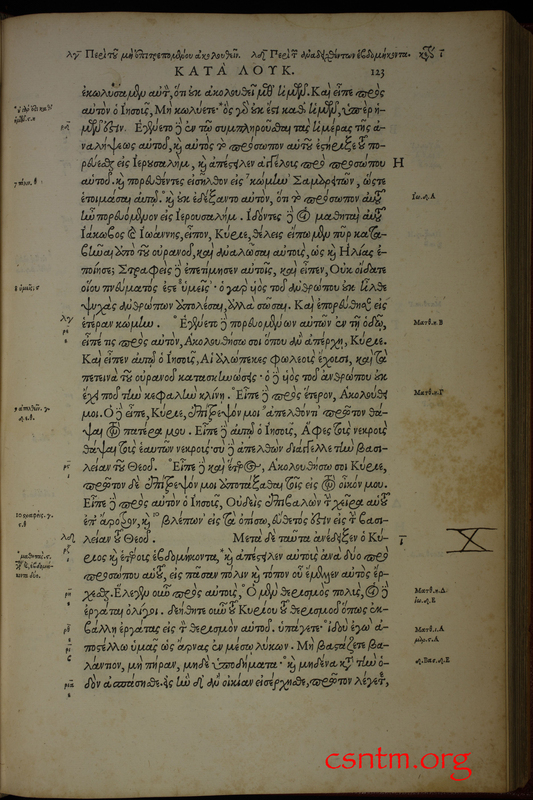 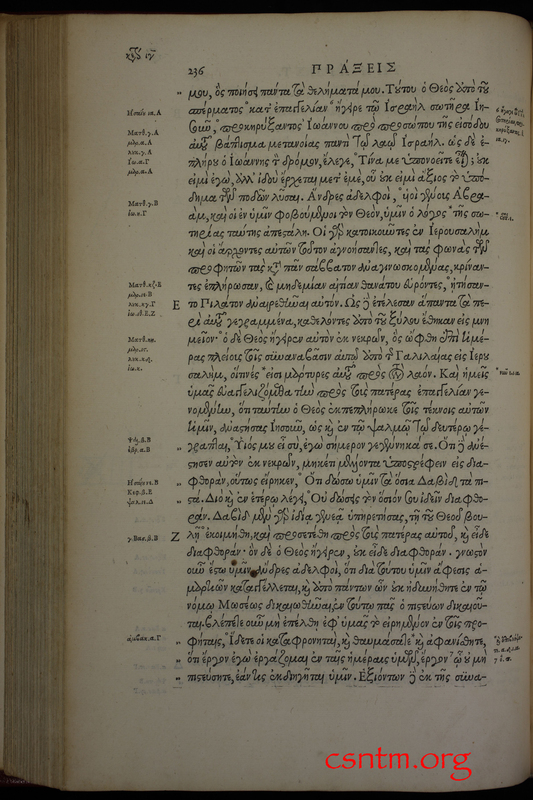 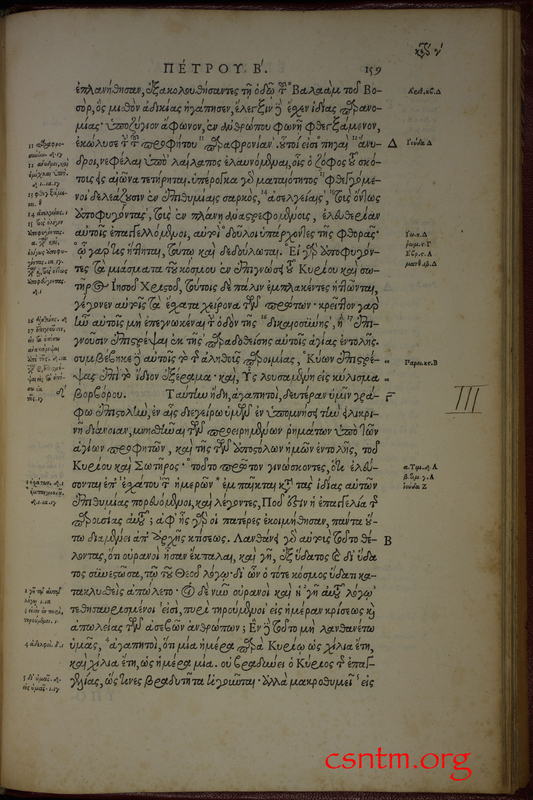 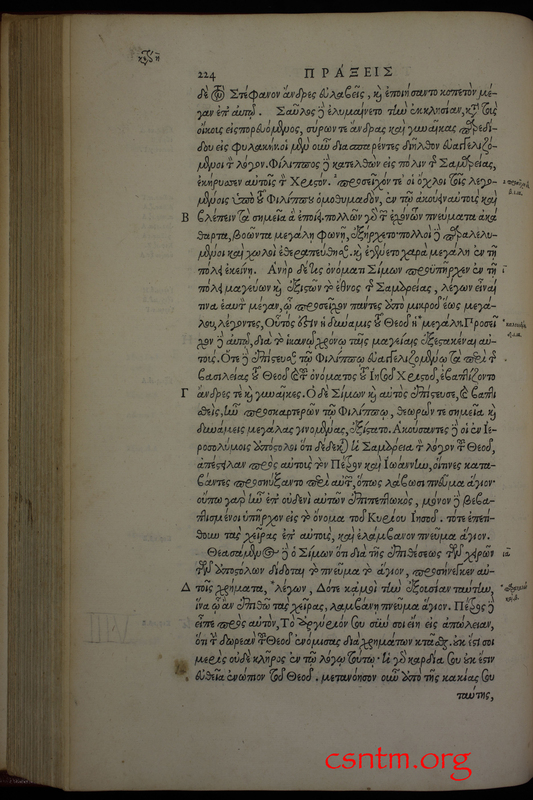 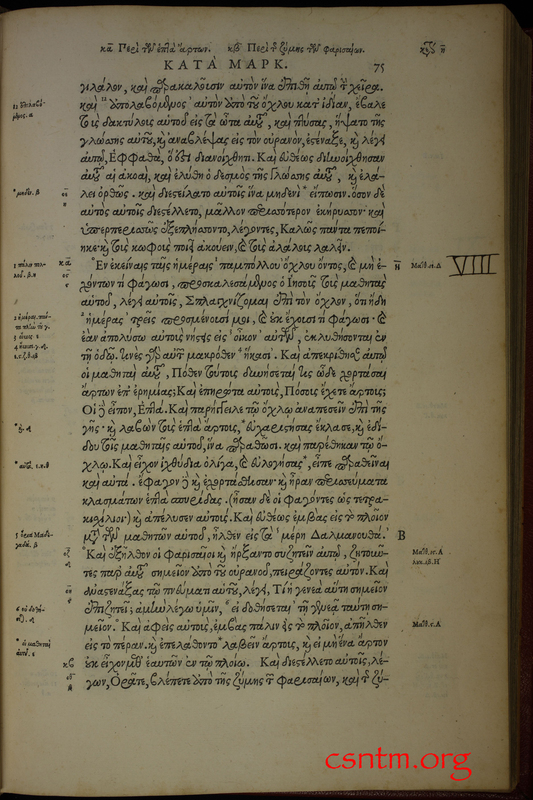 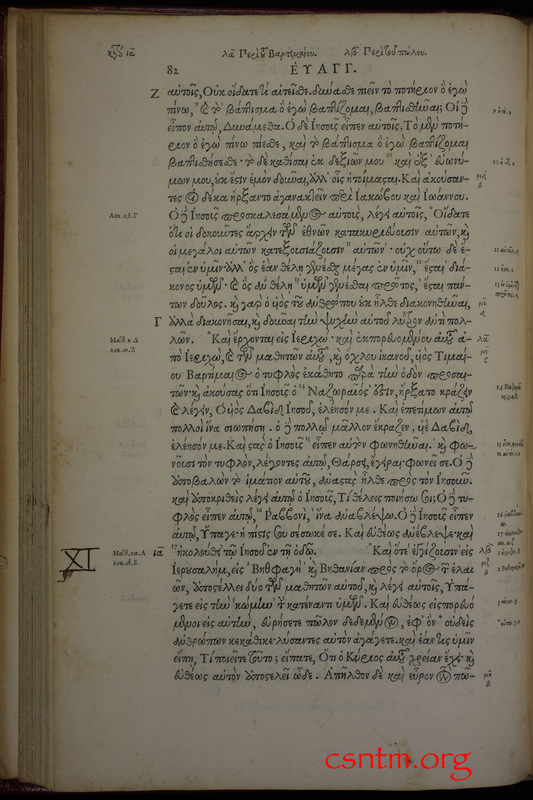 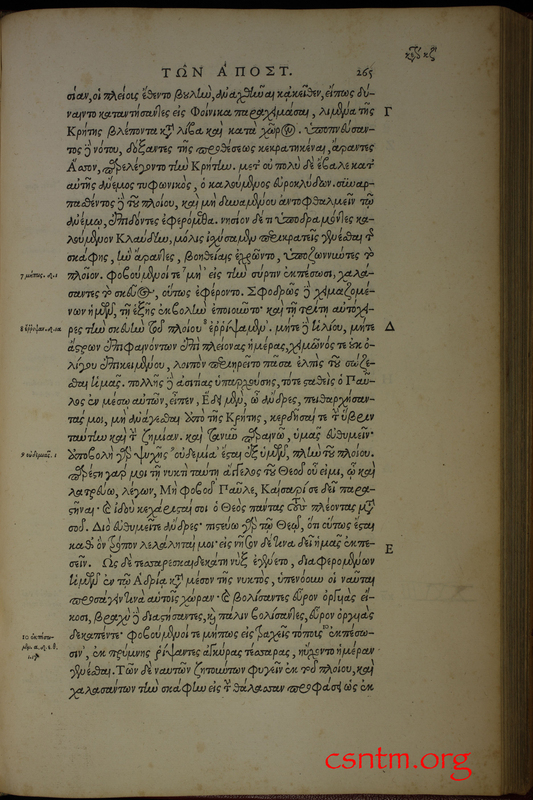 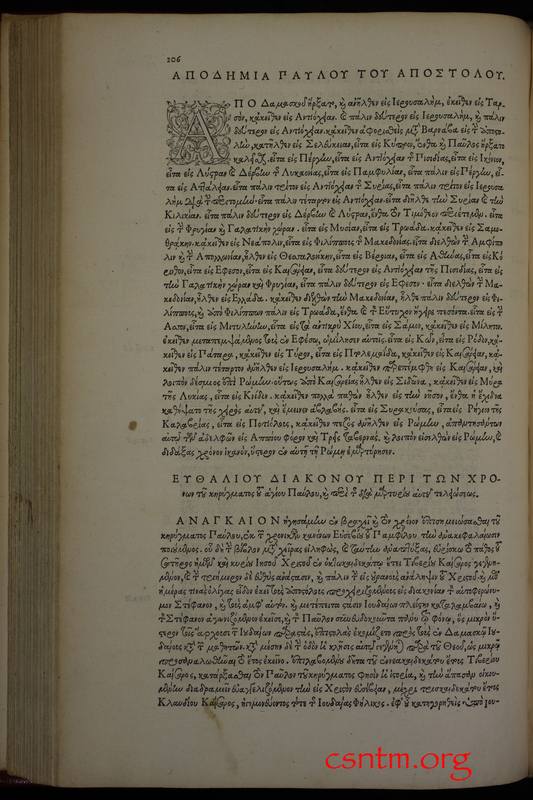 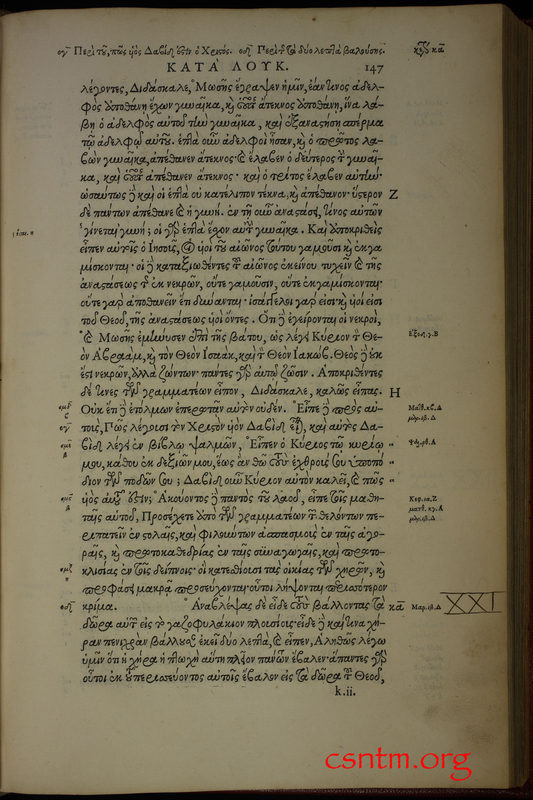 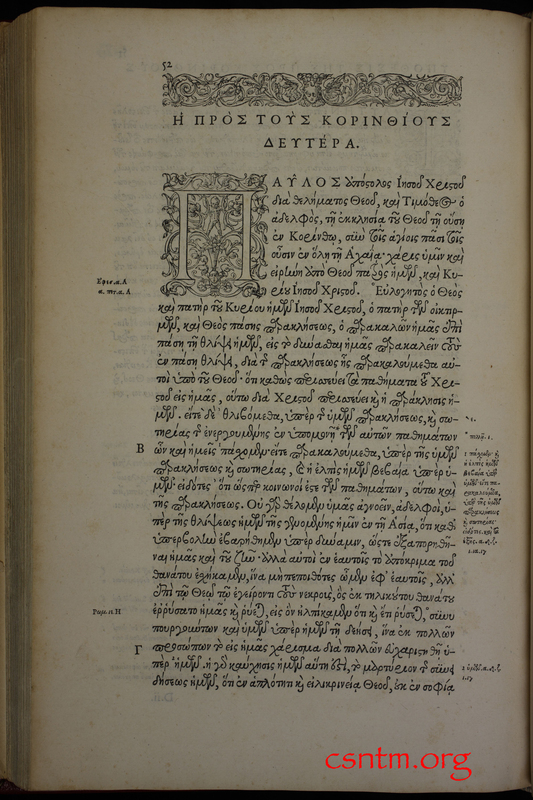 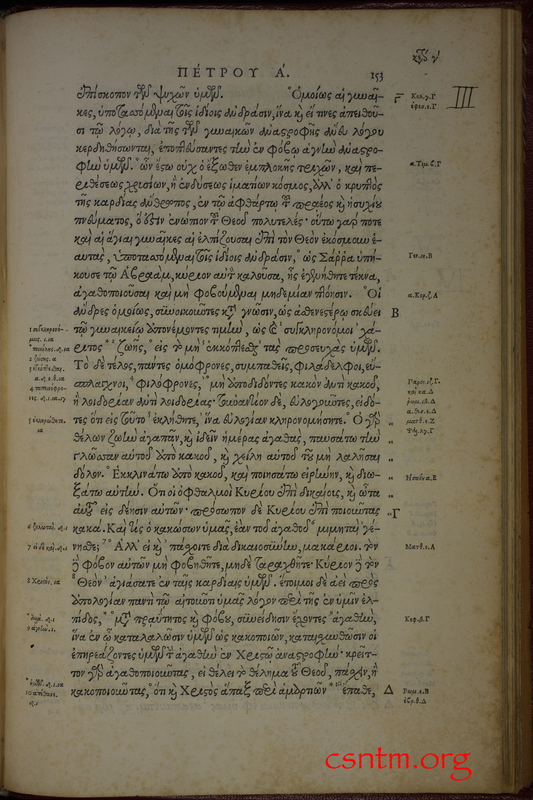 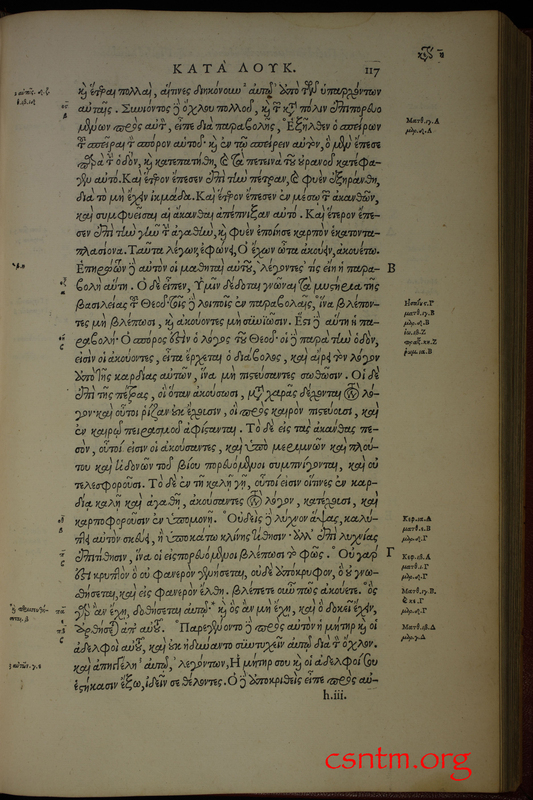 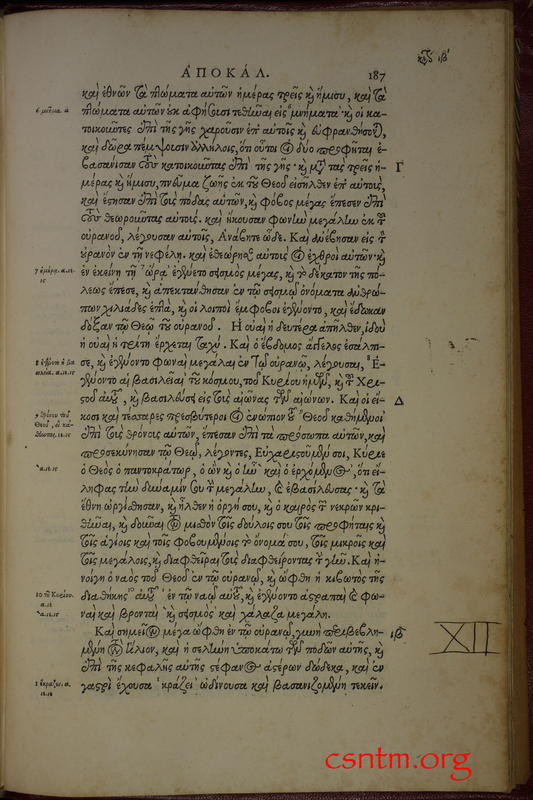 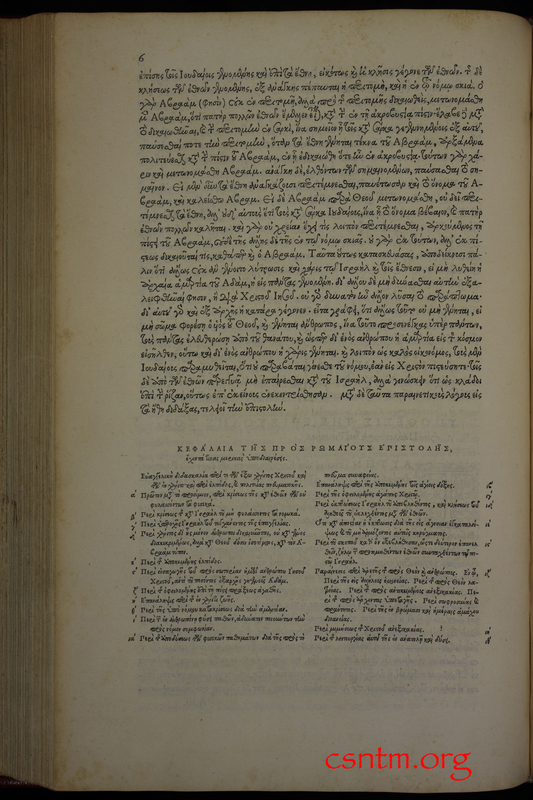 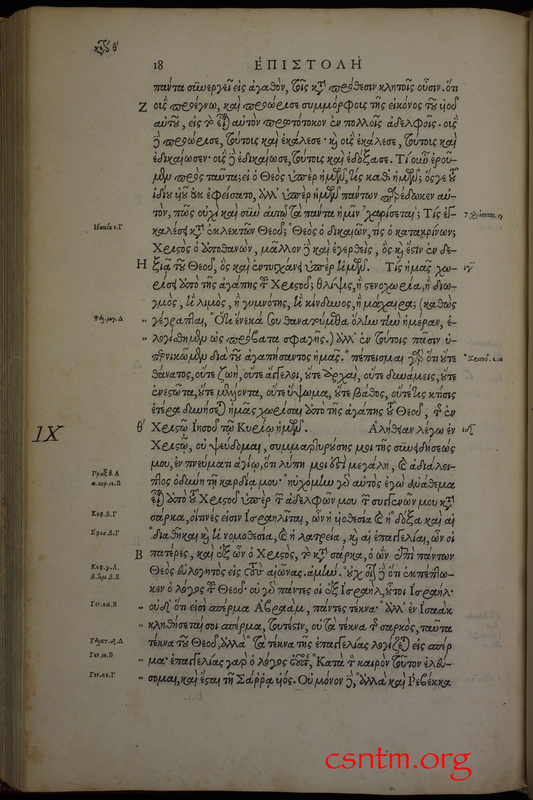 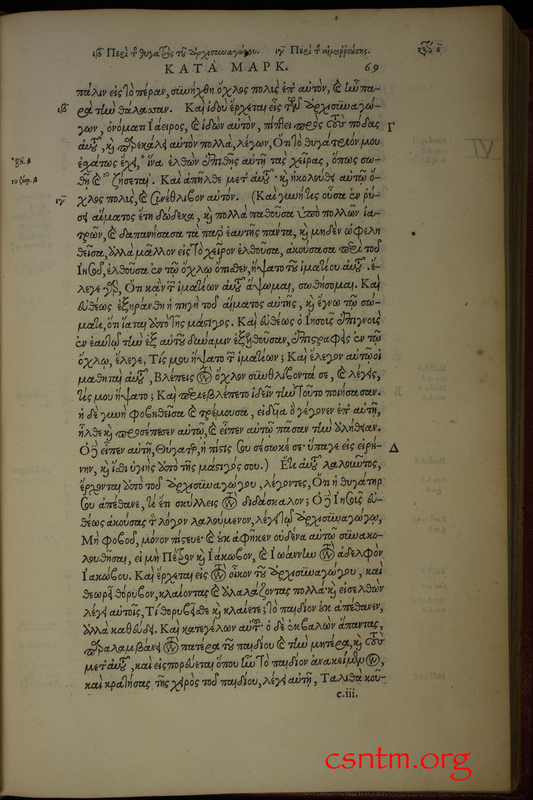 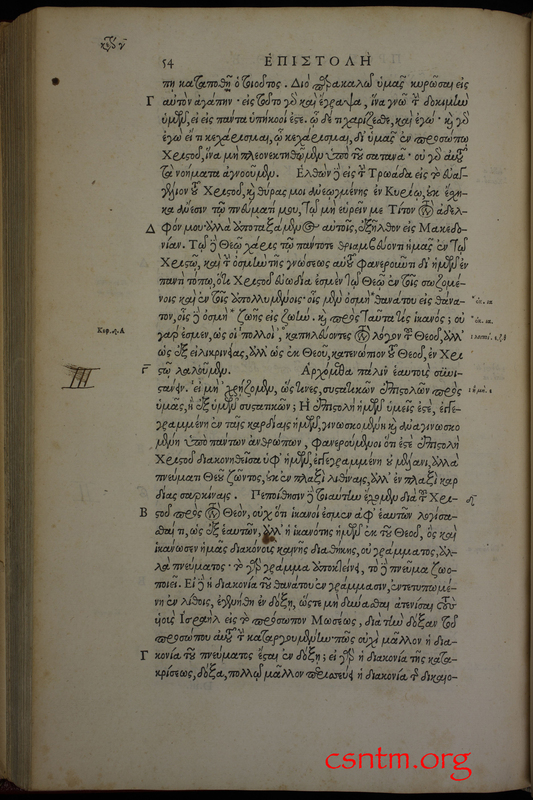 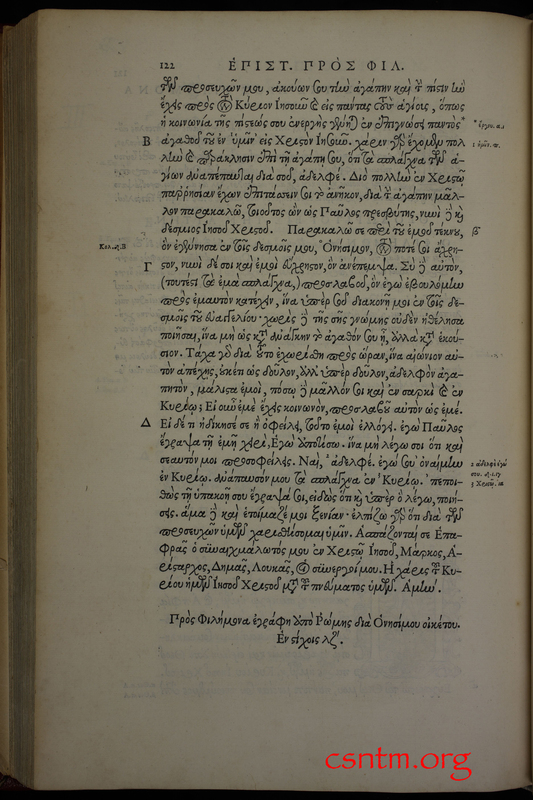 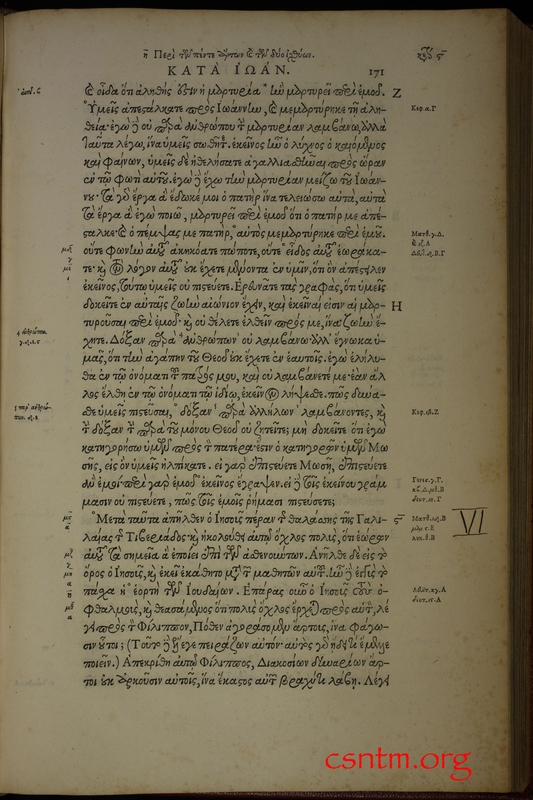 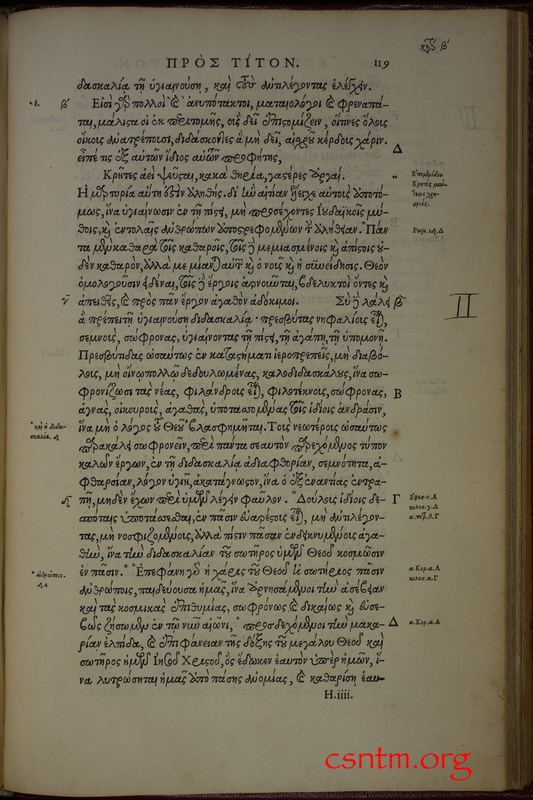 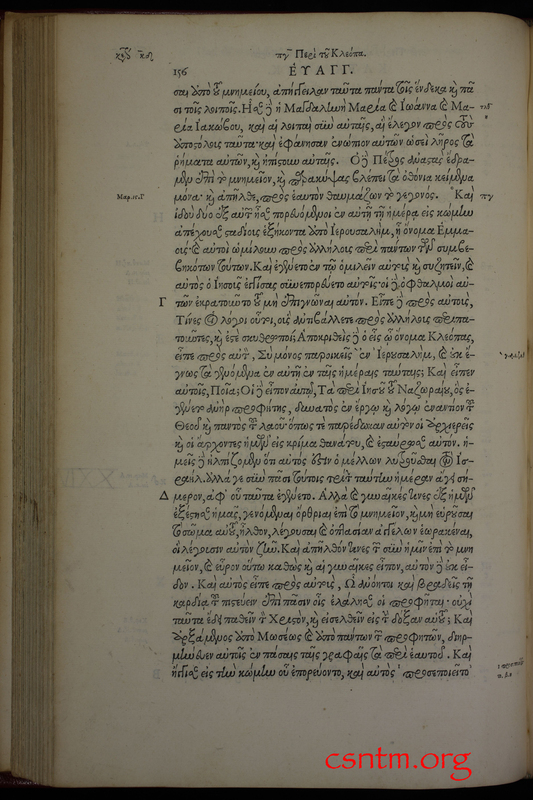 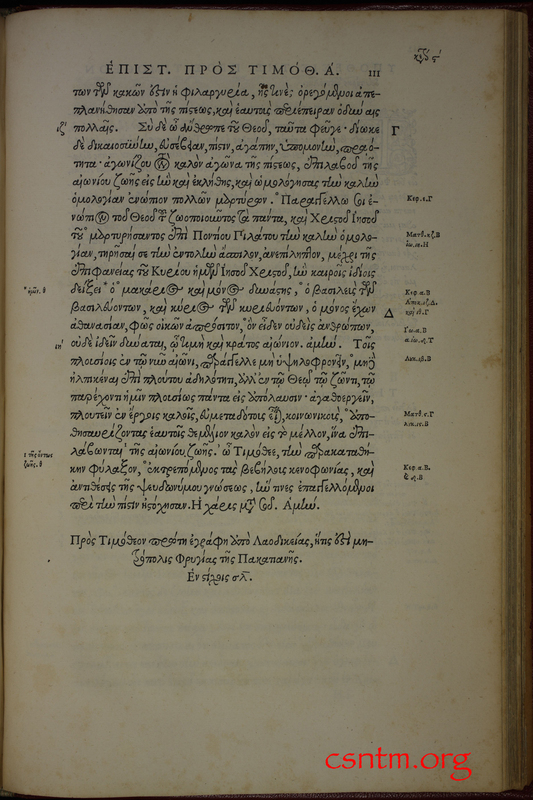 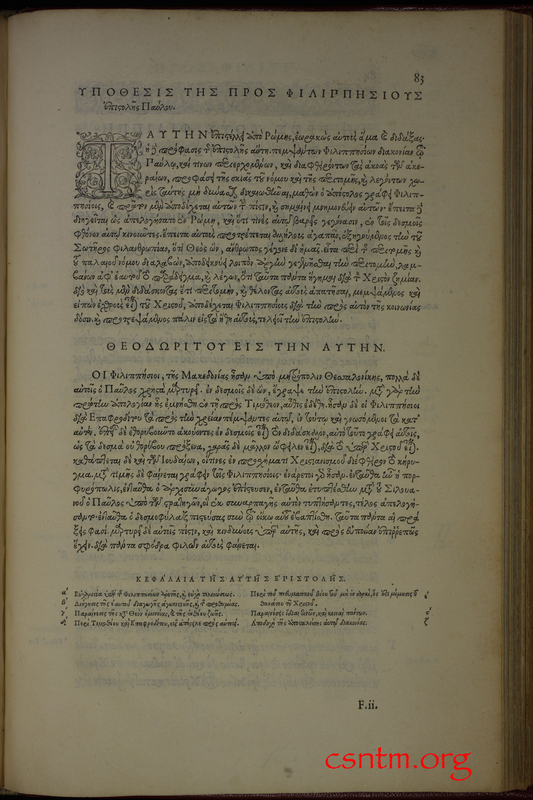 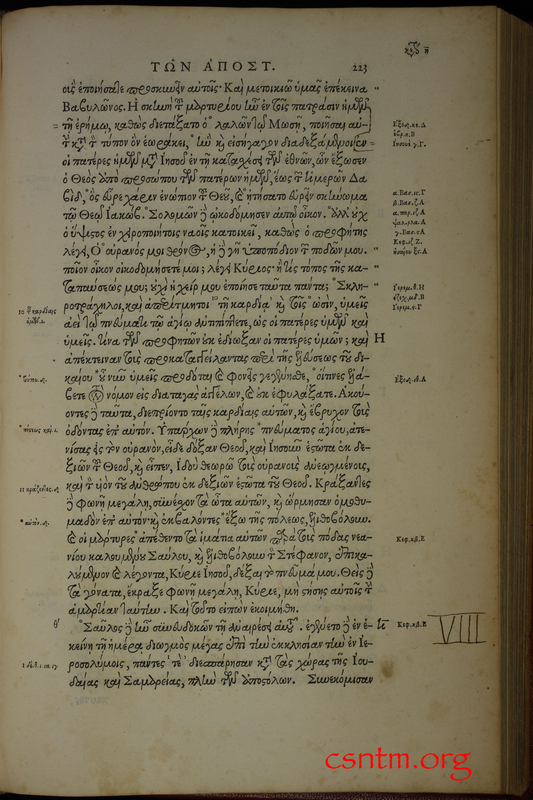 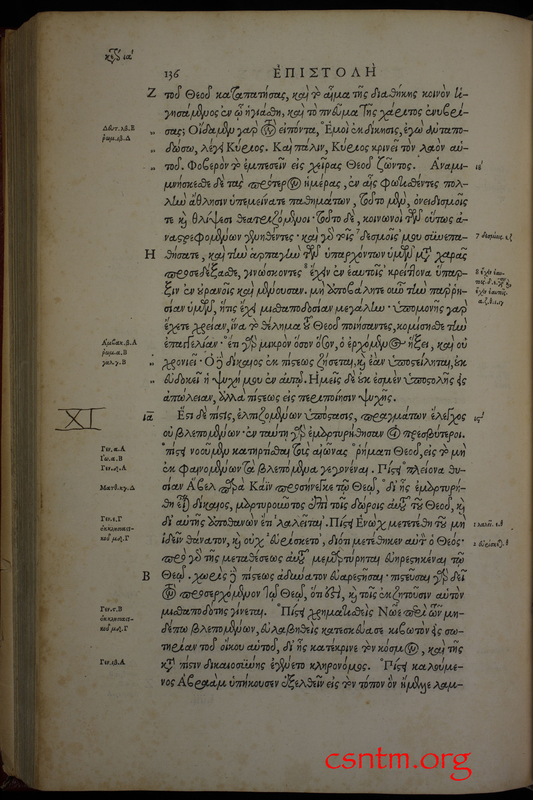 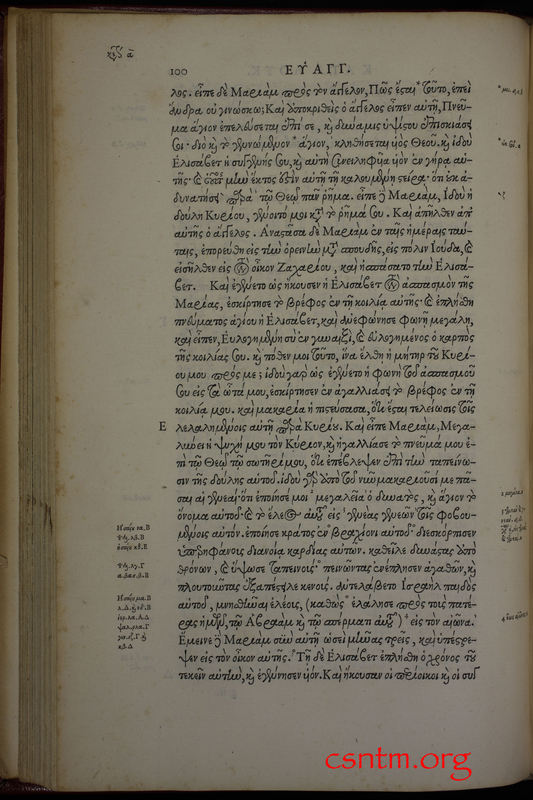 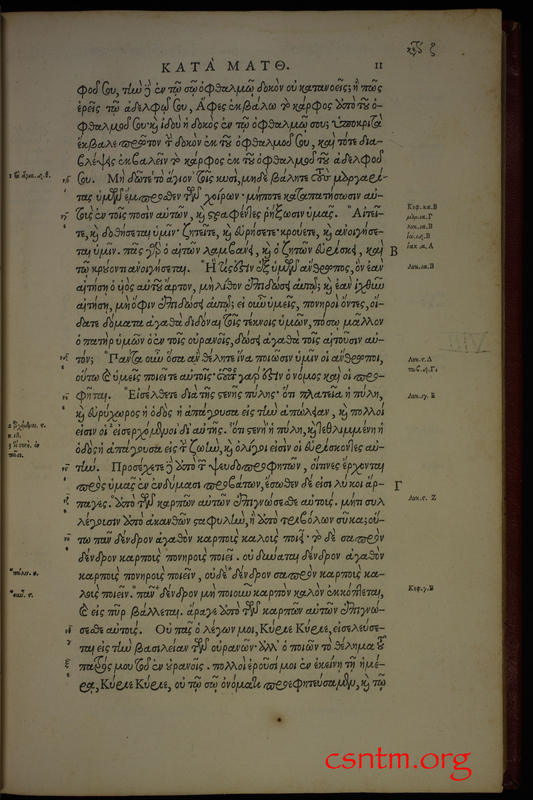 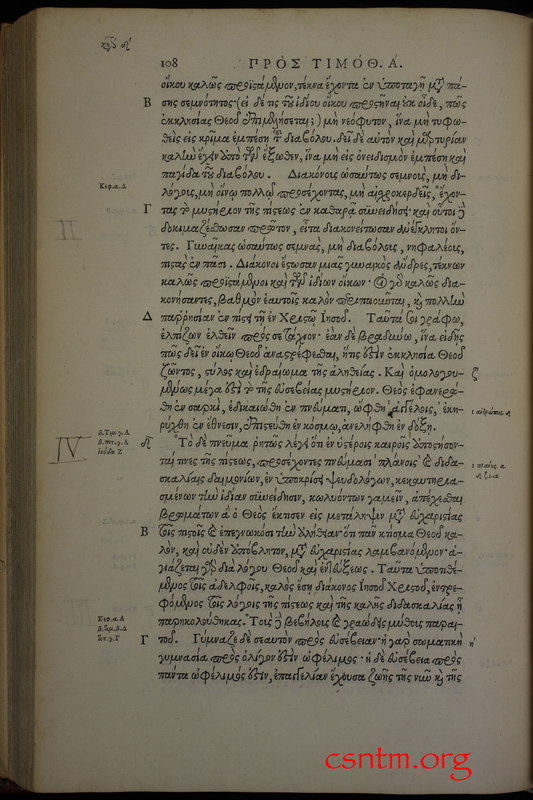 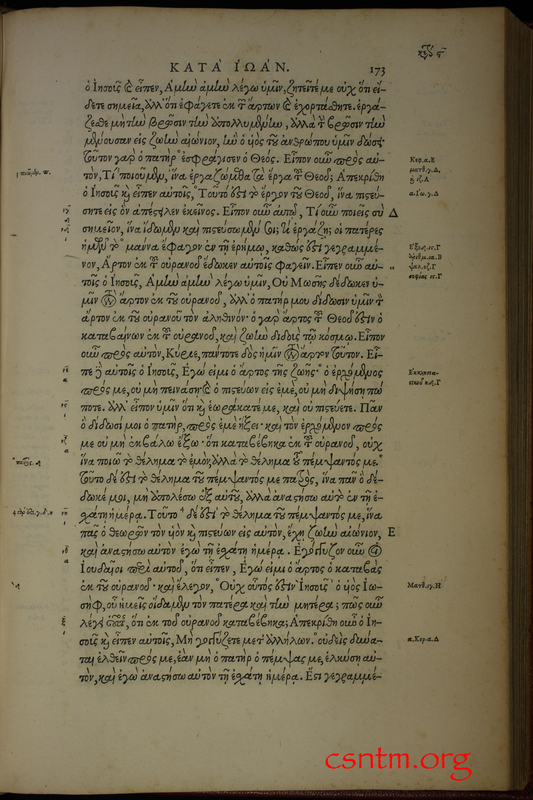 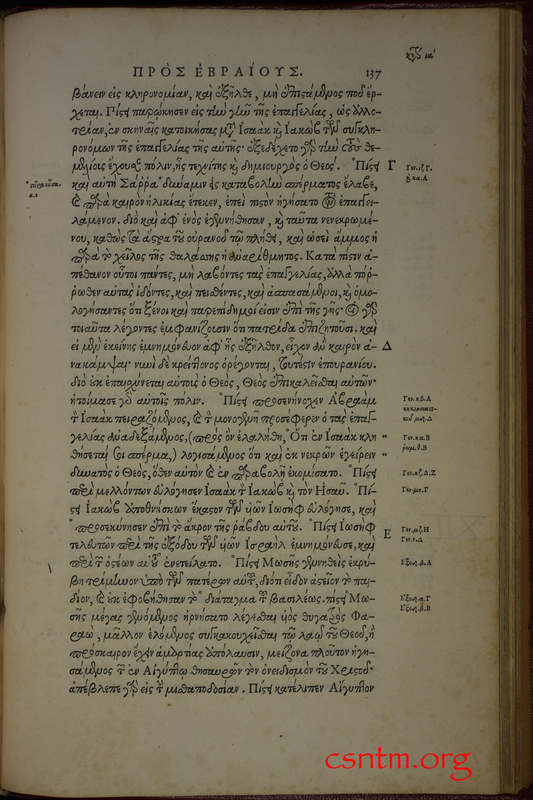 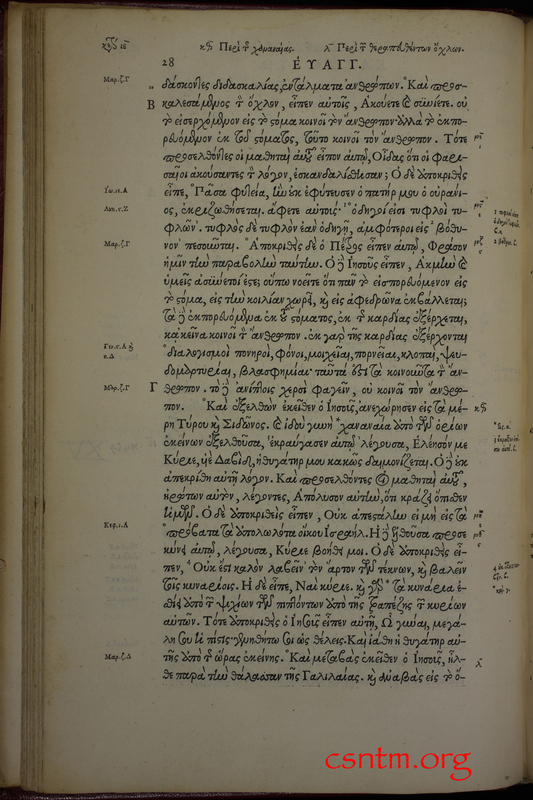 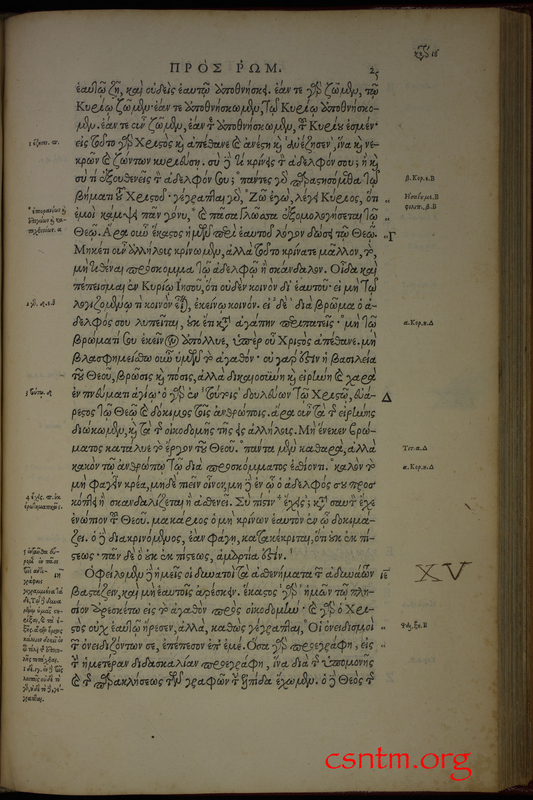 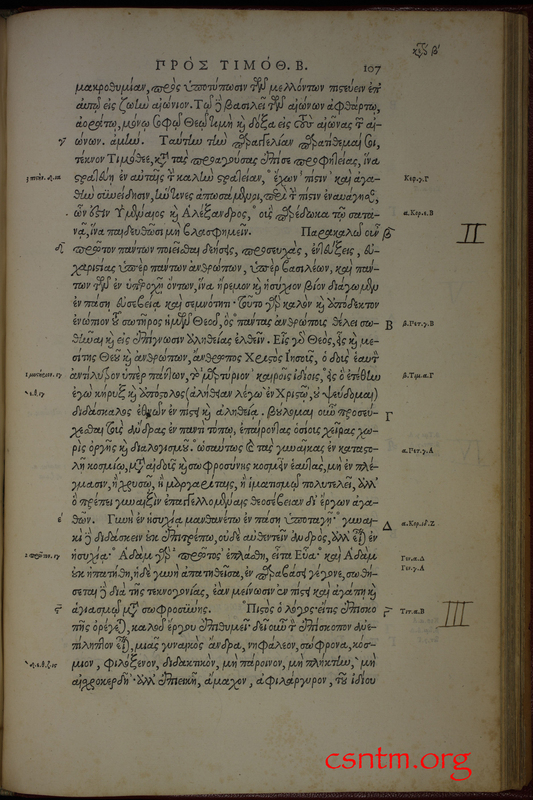 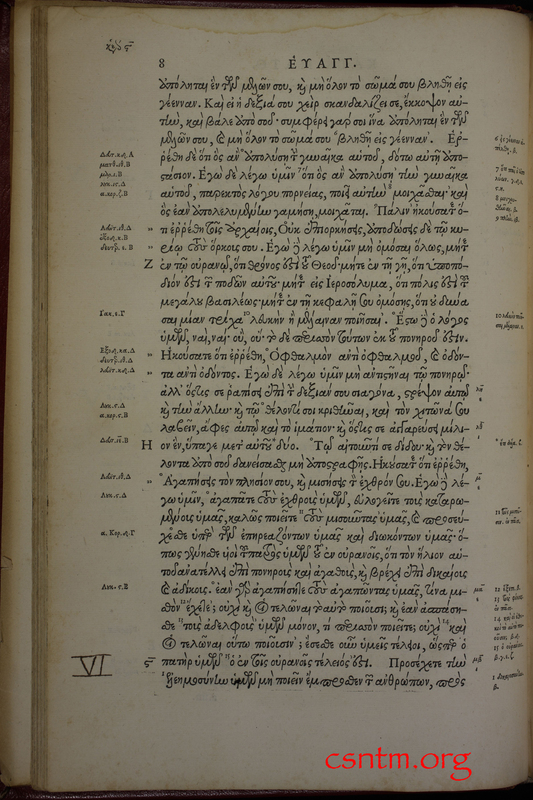 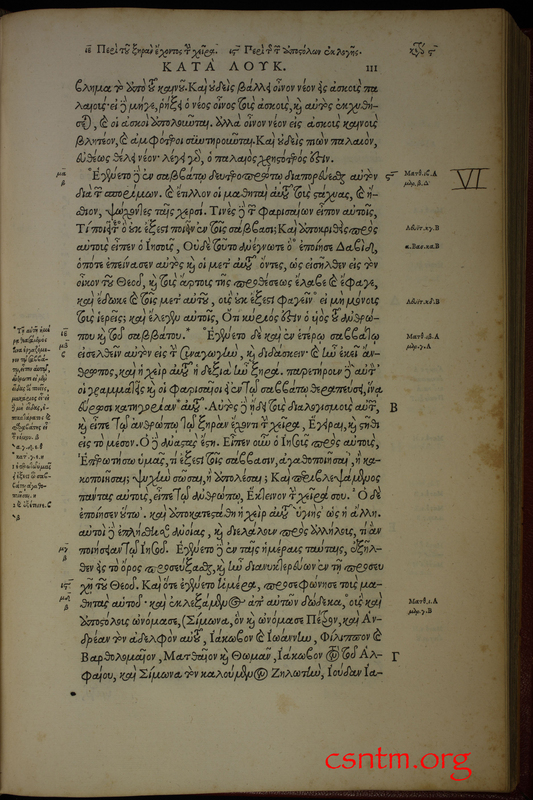 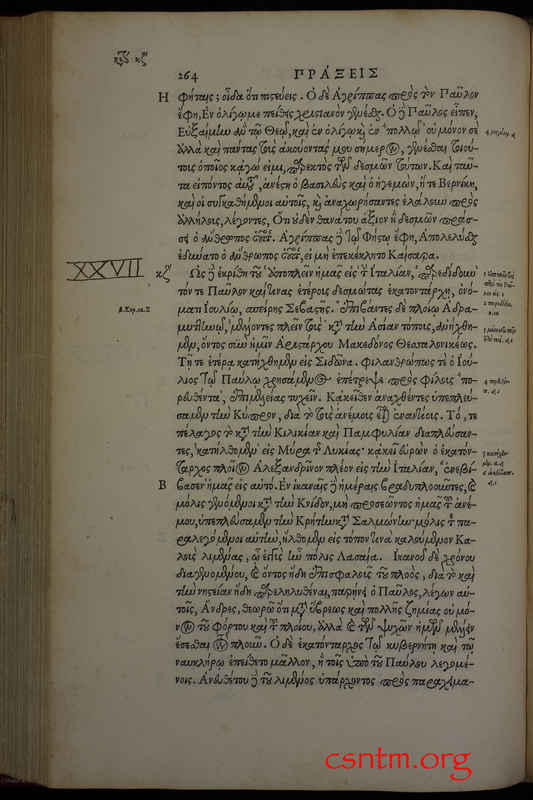 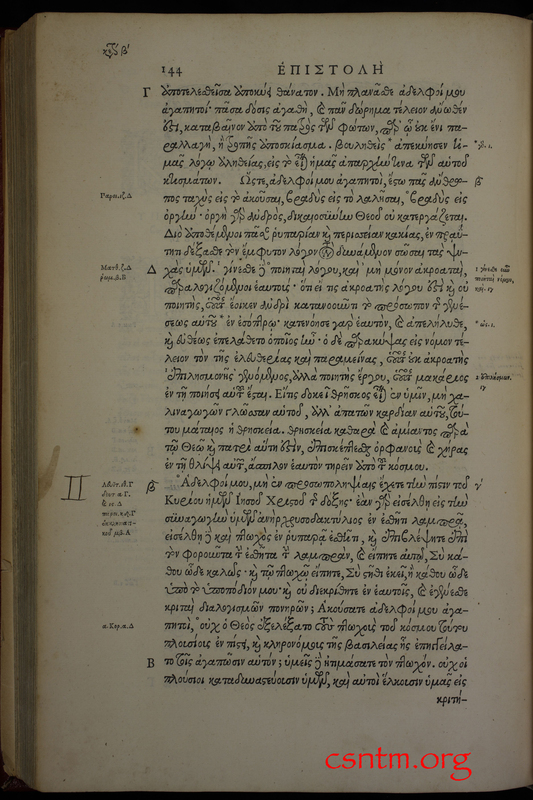 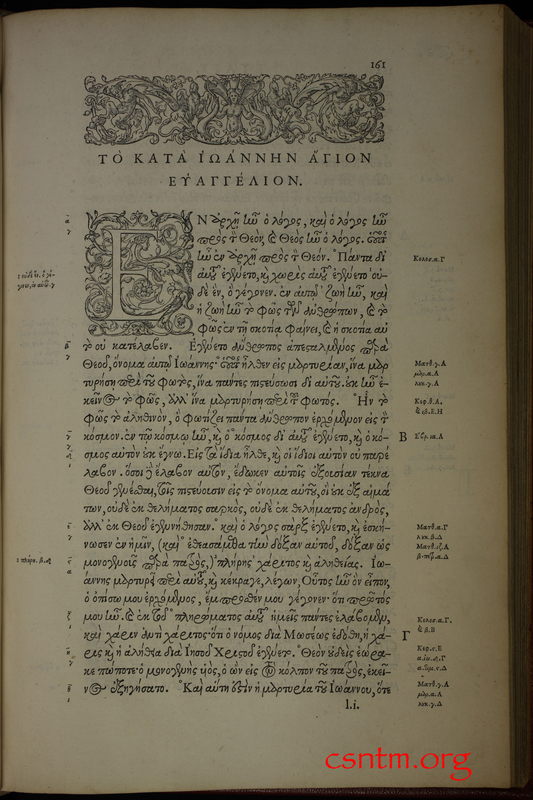 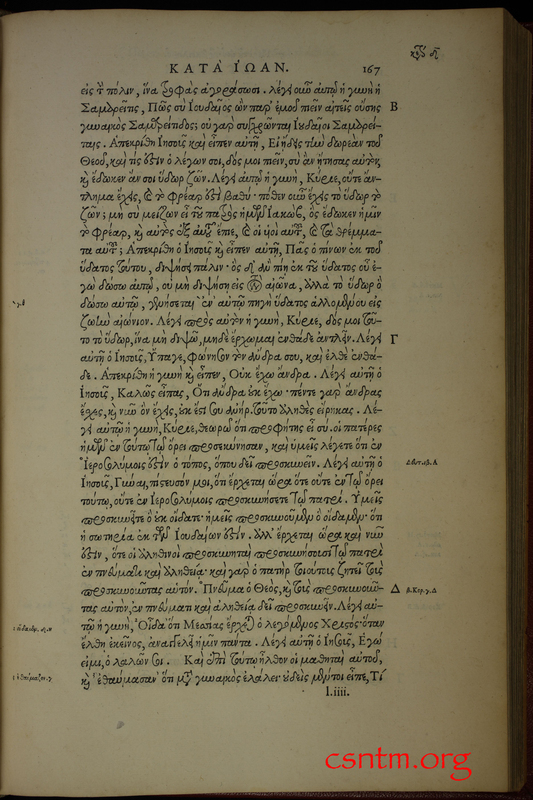 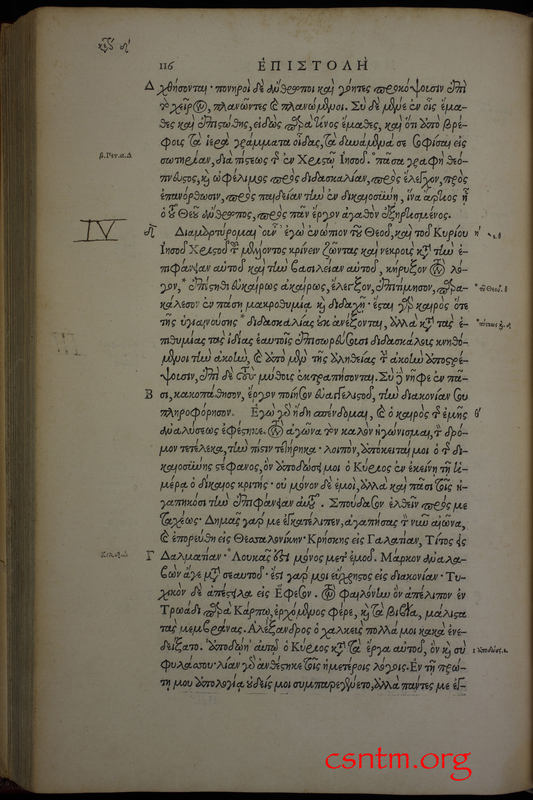 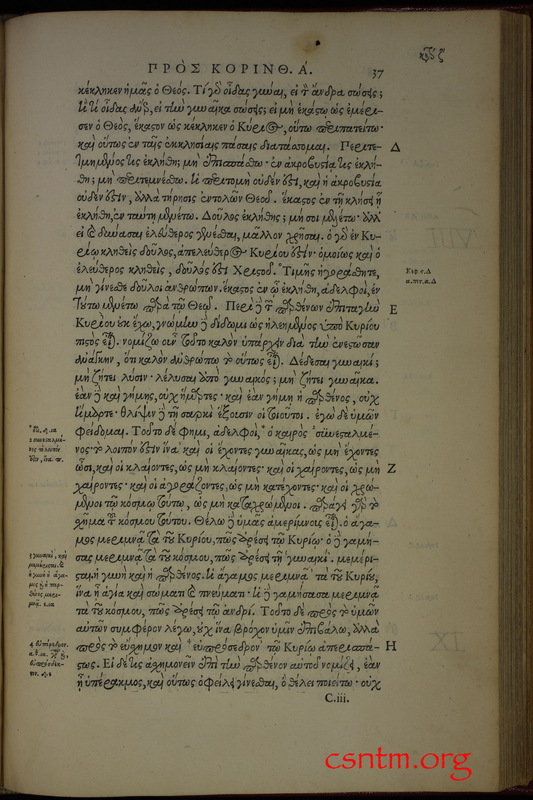 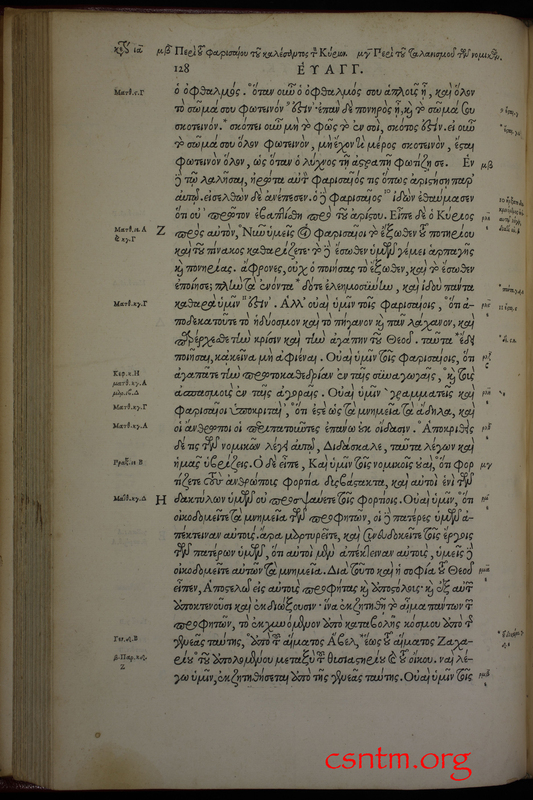 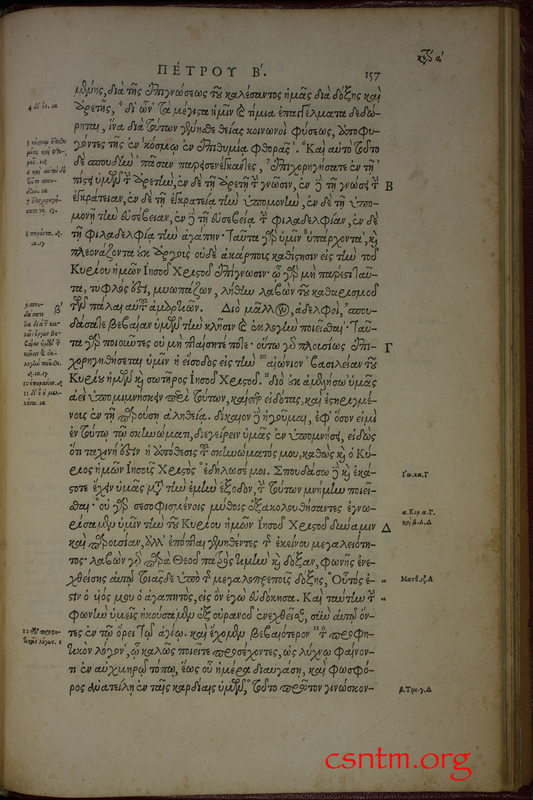 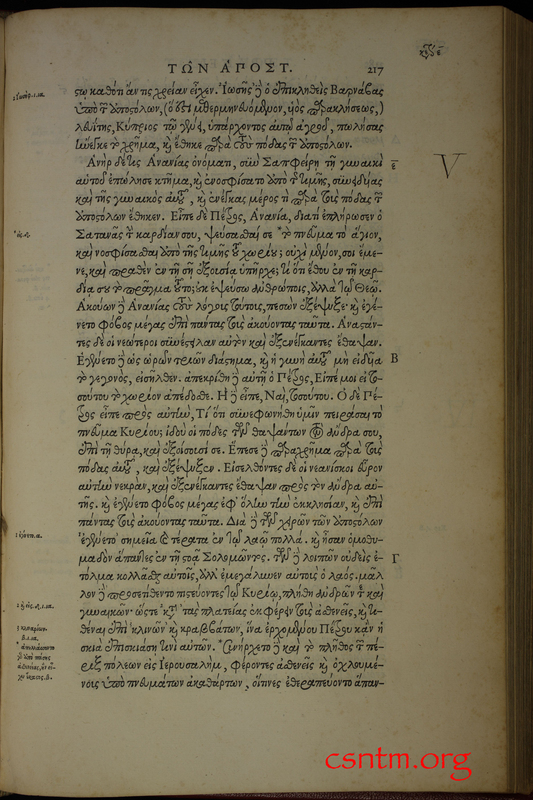 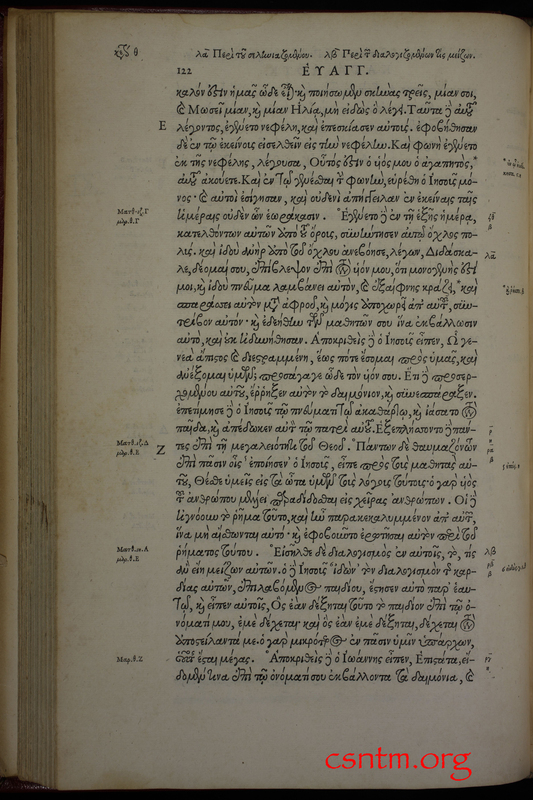 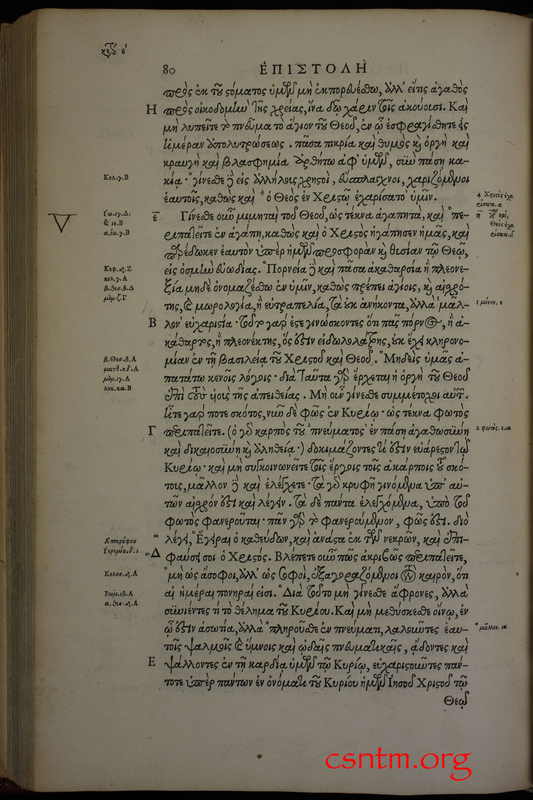 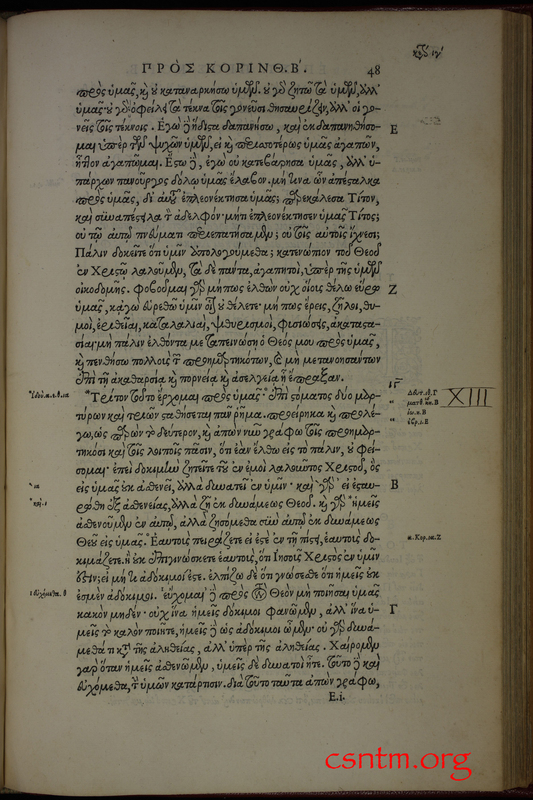 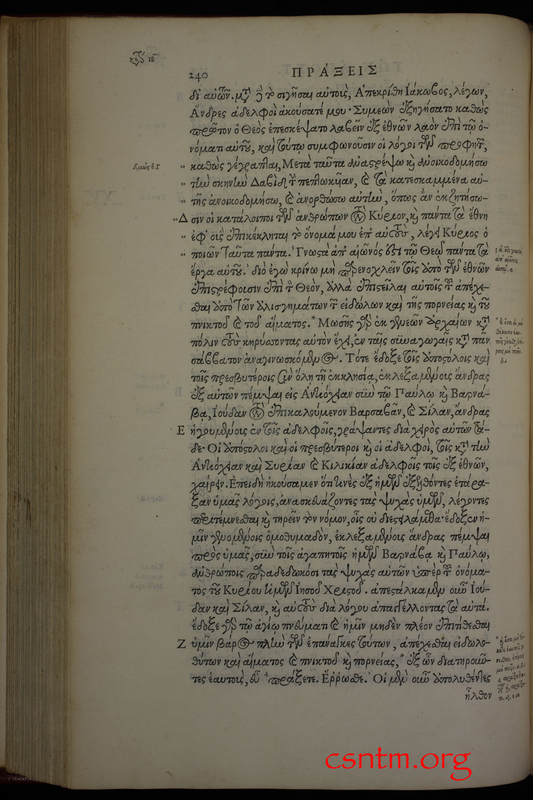 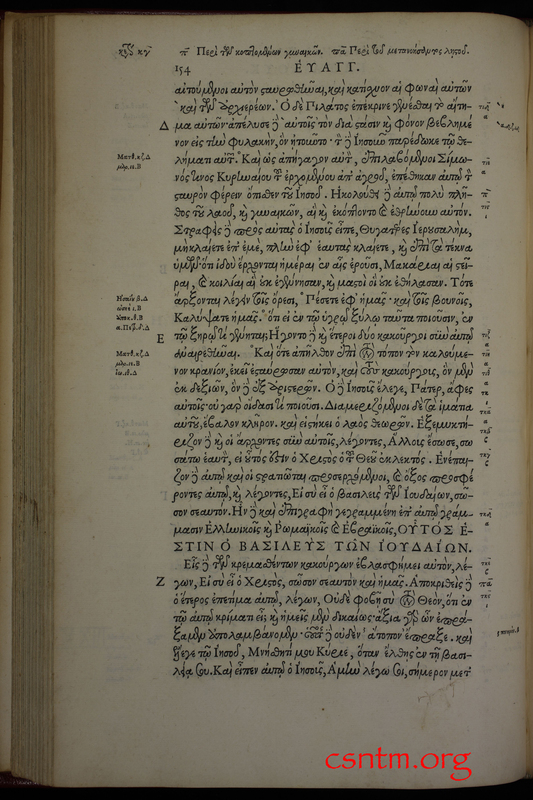 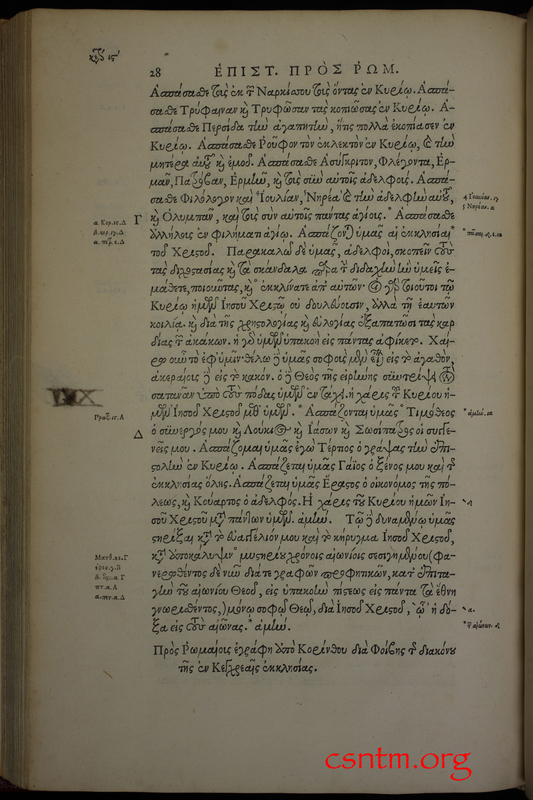 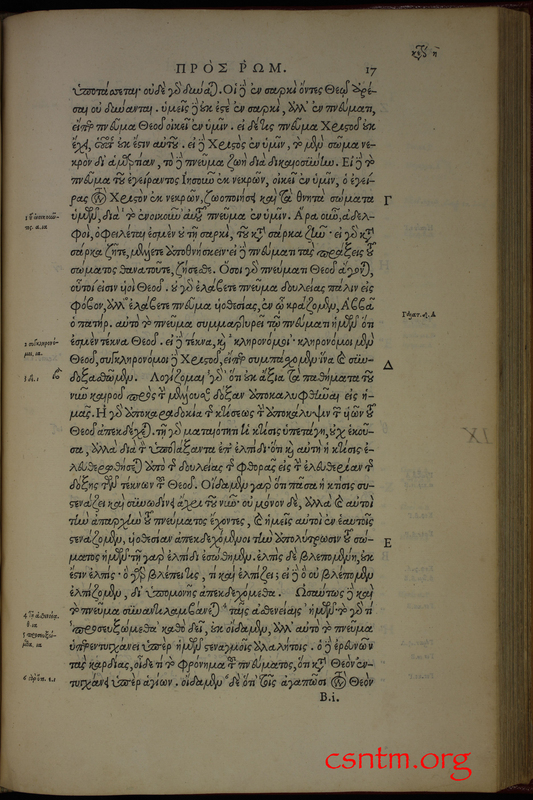 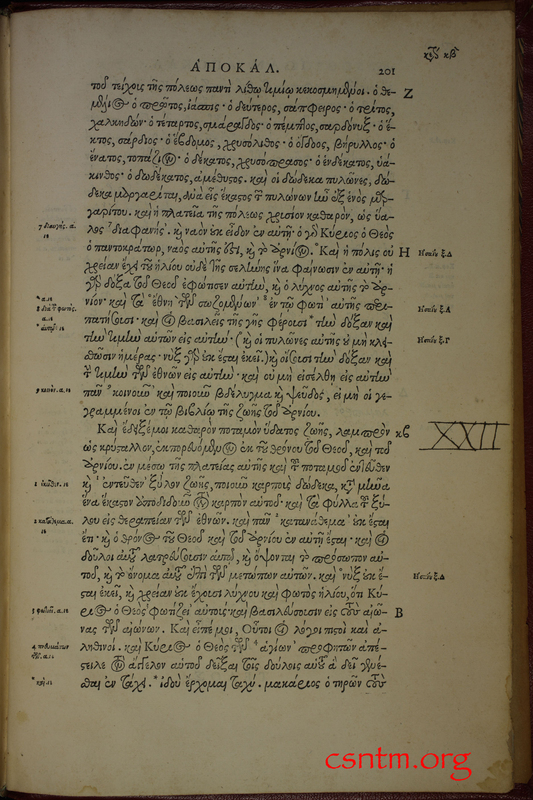 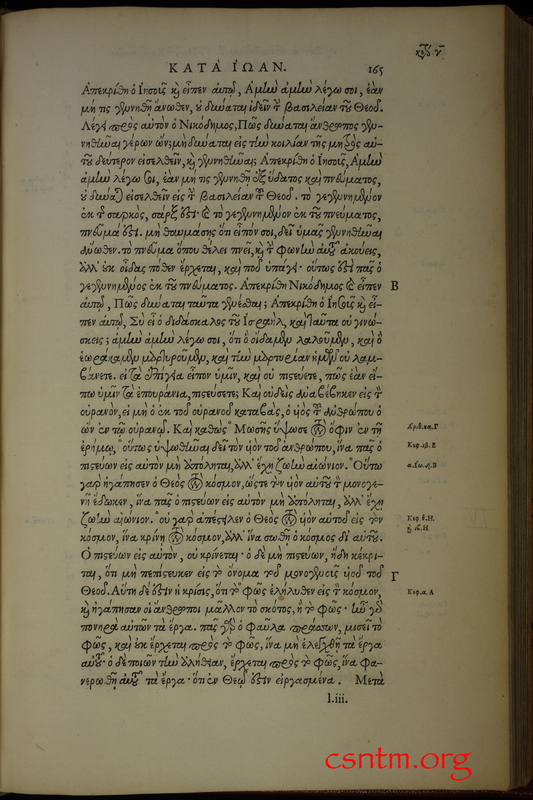 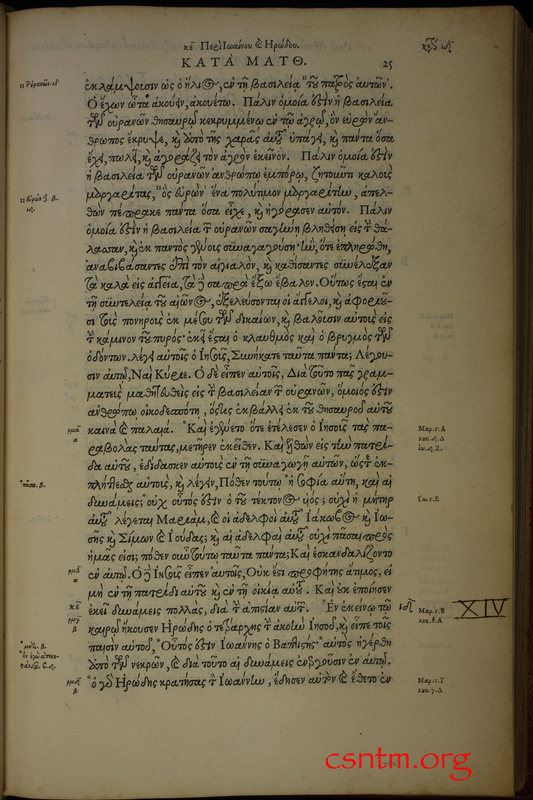 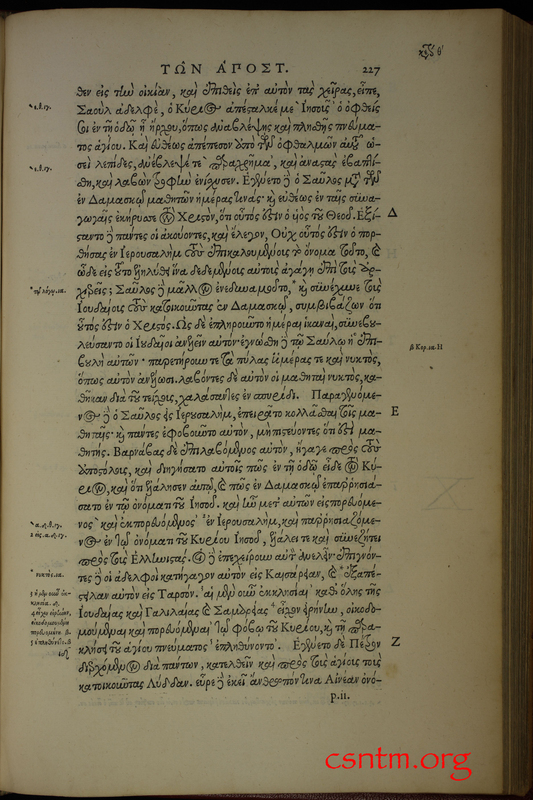 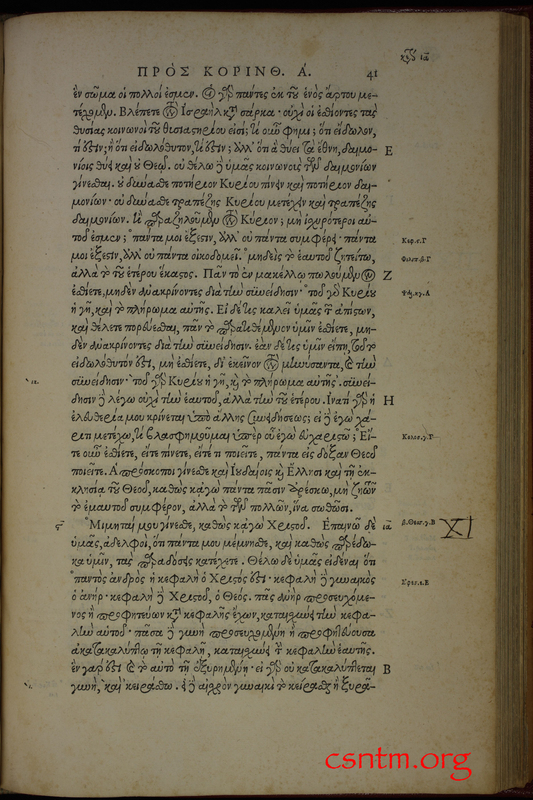 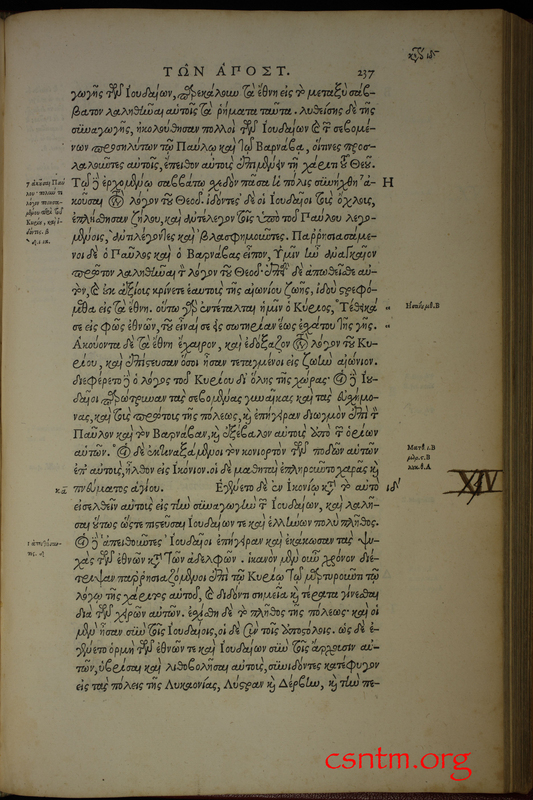 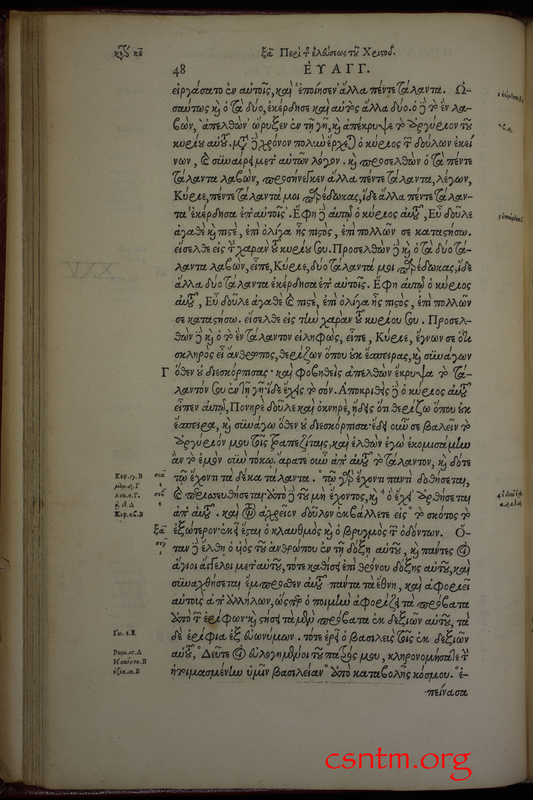 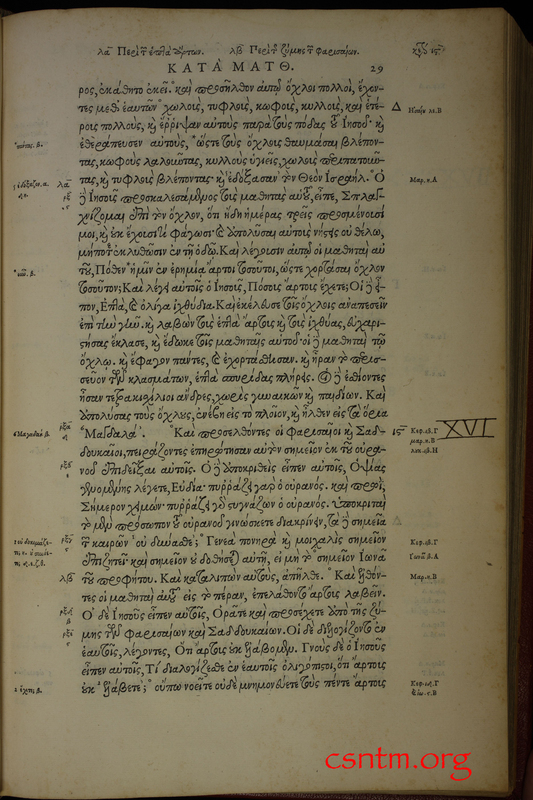 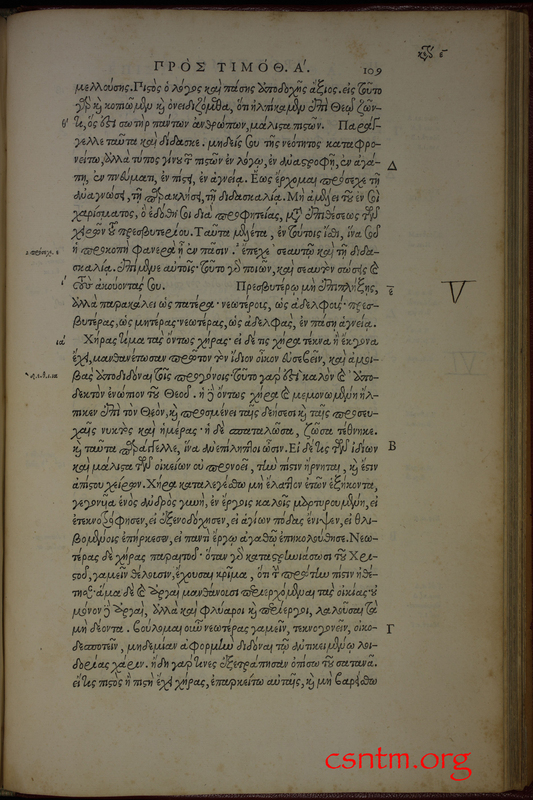 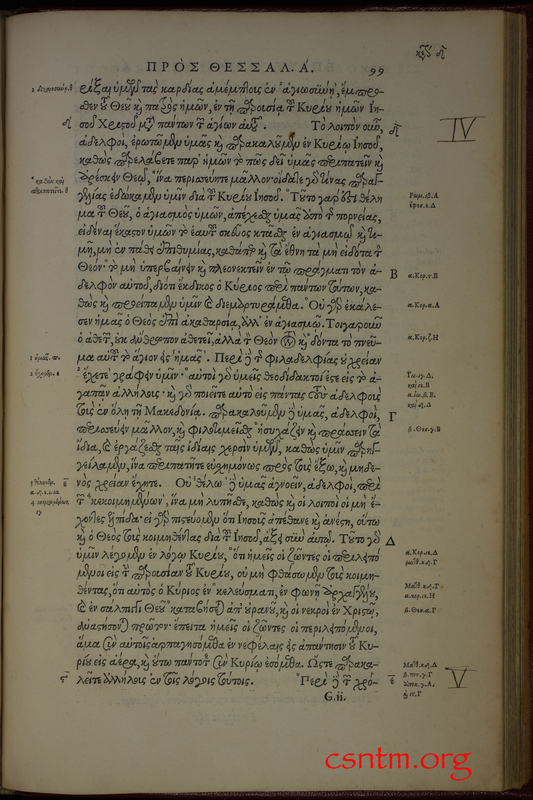 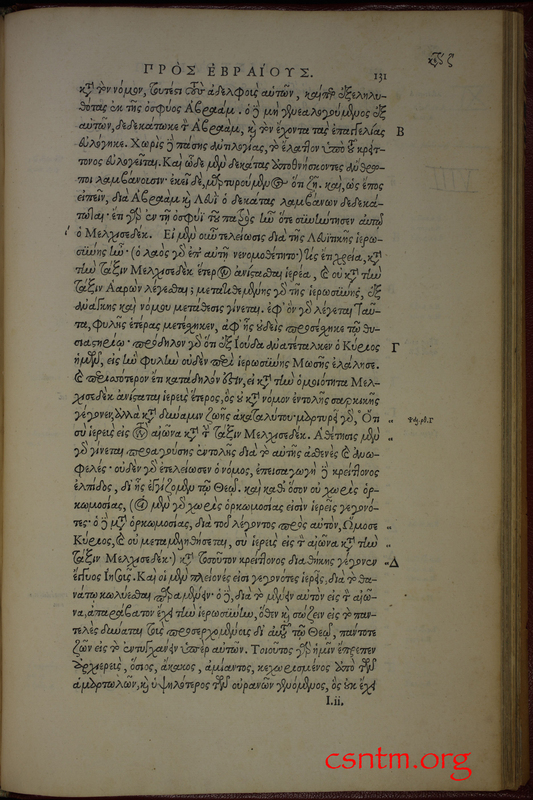 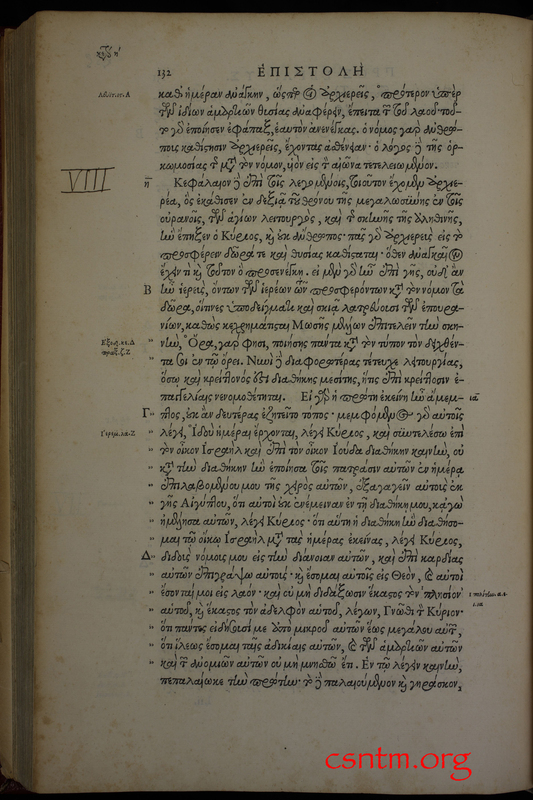 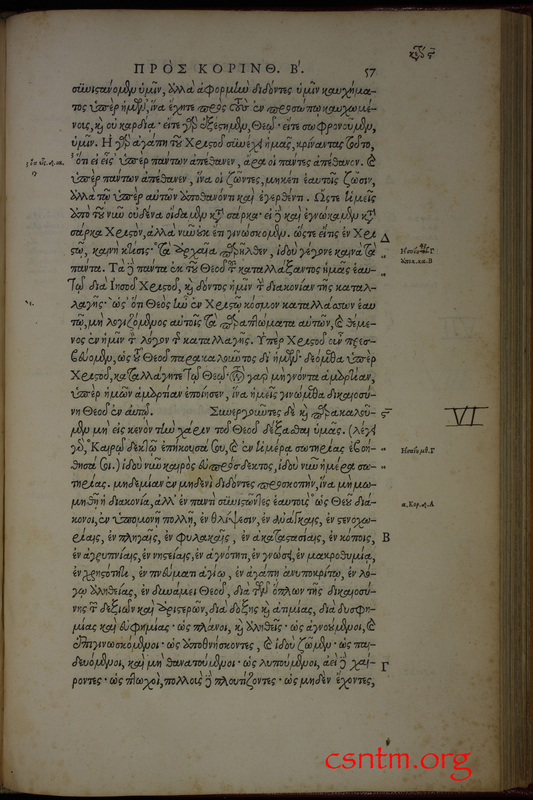 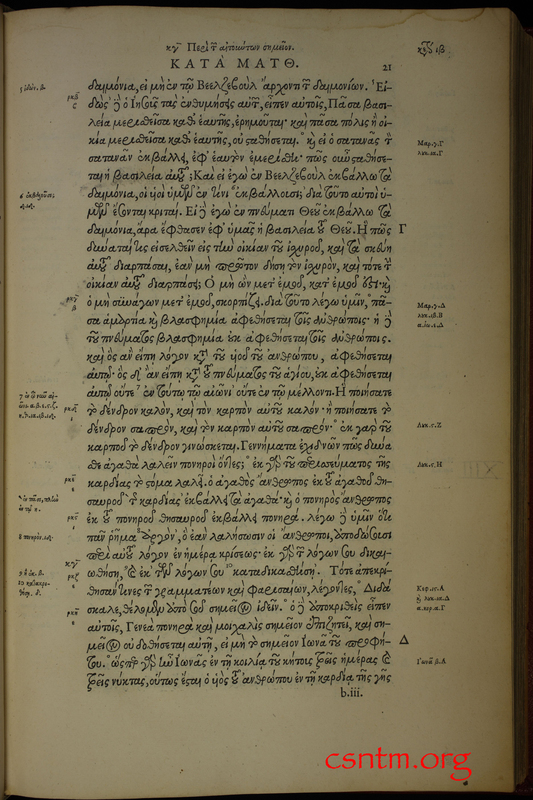 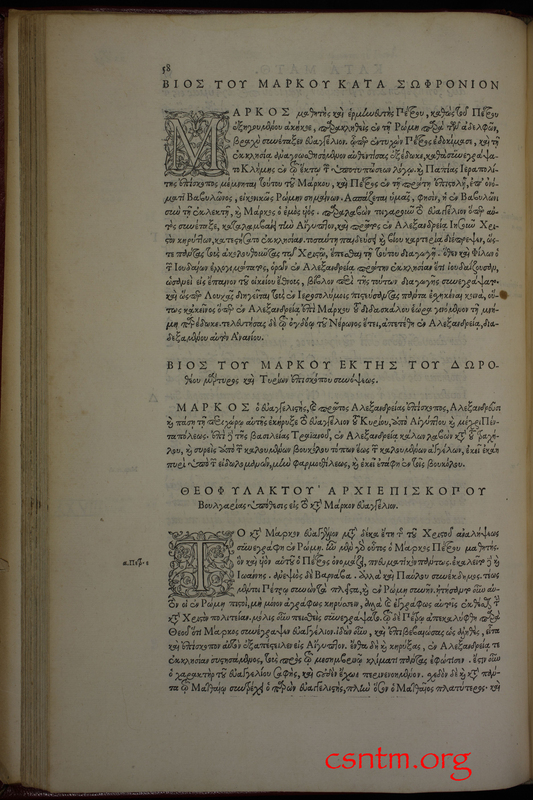 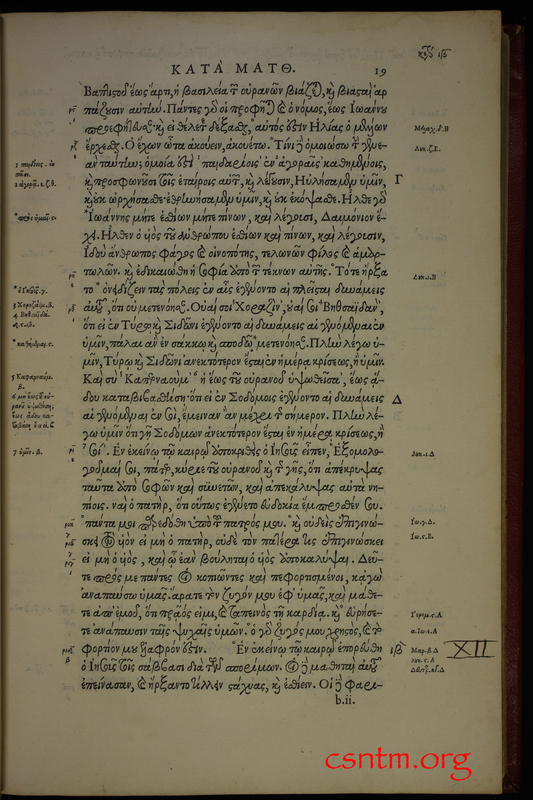 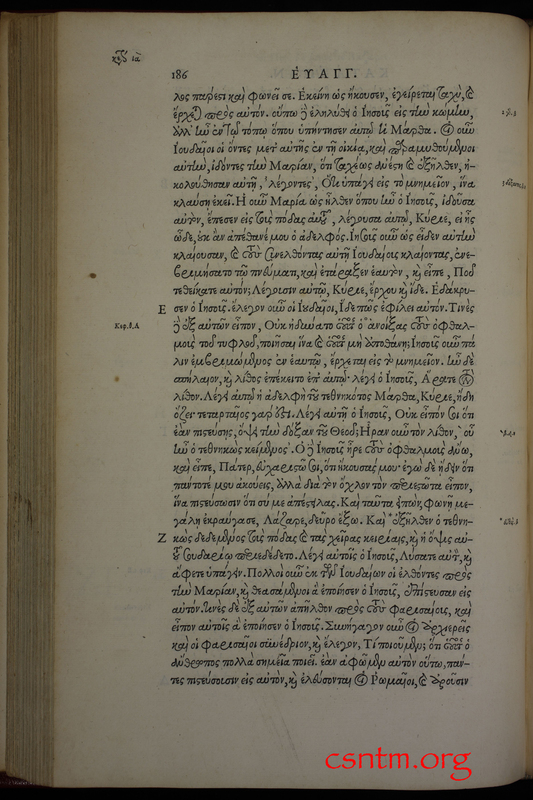 Stephanus’s fourth edition was the first to have verse divisions in it, a feature that Stephanus invented to help the reader more easily compare the two Latin translations and the Greek that are found in the fourth edition. 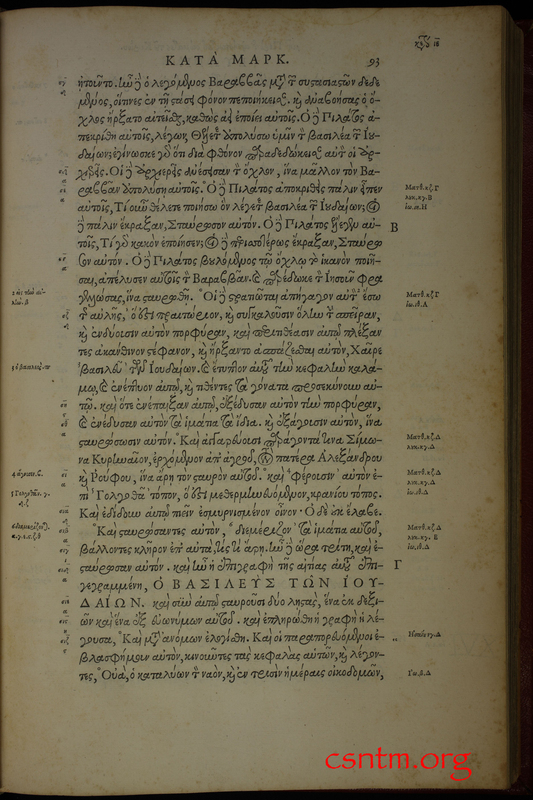 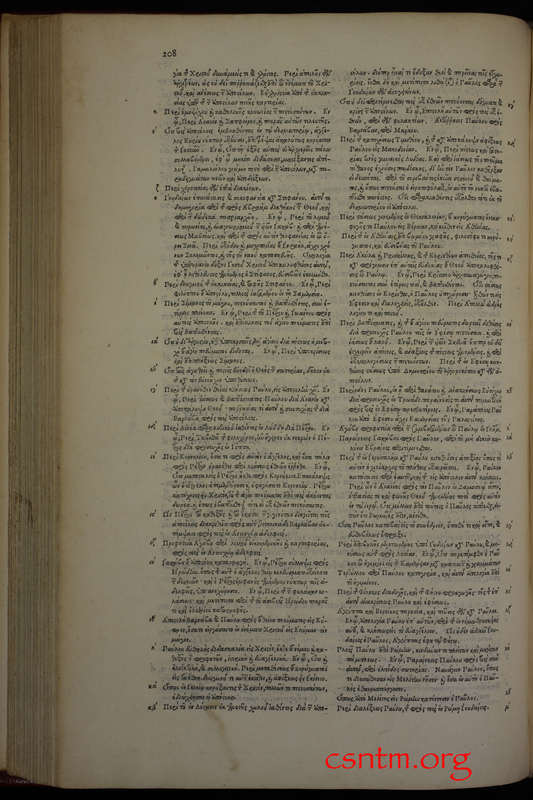 Though the text of the third and fourth editions was virtually identical, the fourth became the basis for the Geneva Bible, the first Bible translation to have verse divisions. 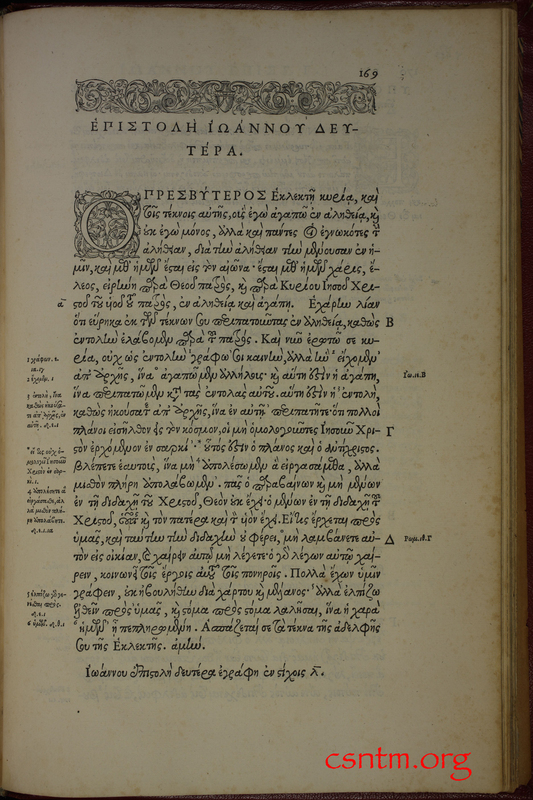 The 1550 Stephanus also became the standard text to be used as a collating base for countless collations of Greek New Testament manuscripts.